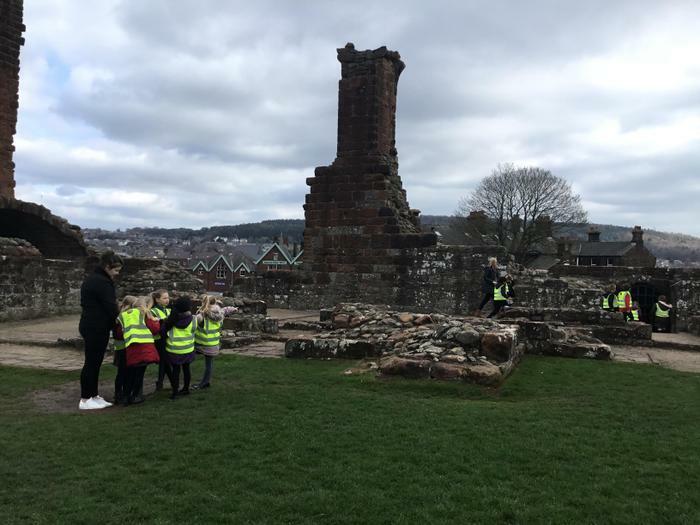 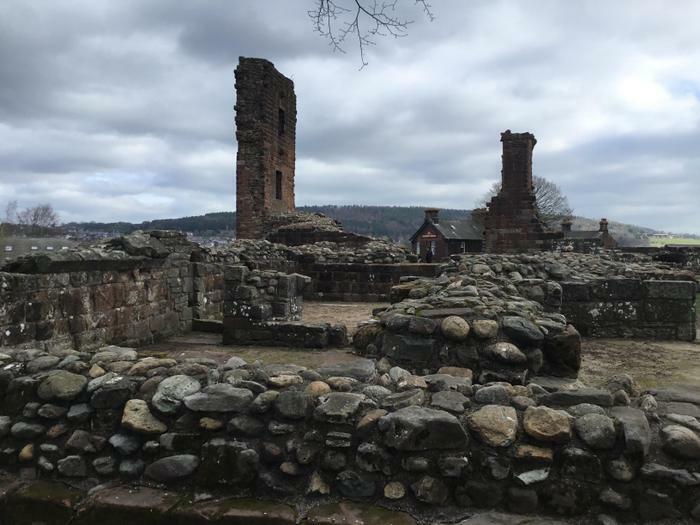 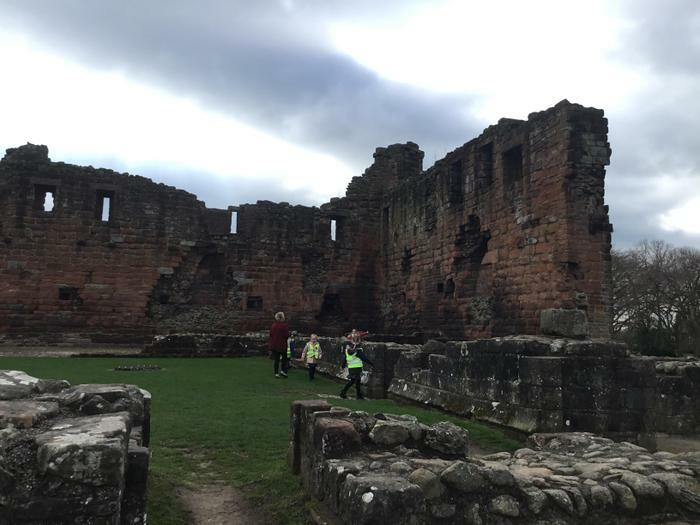 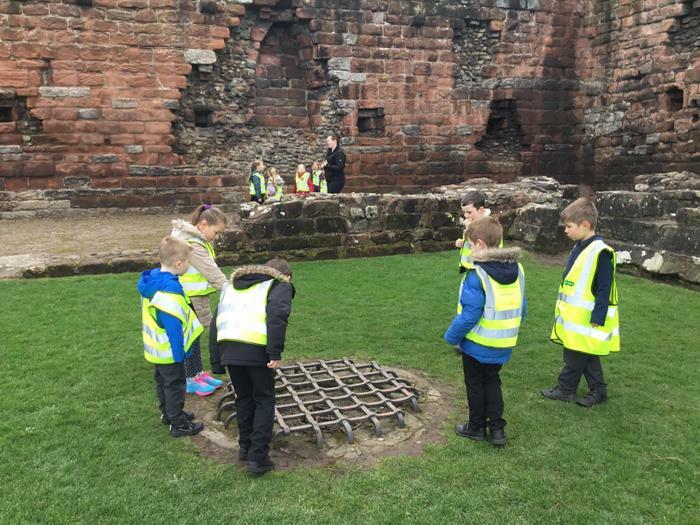 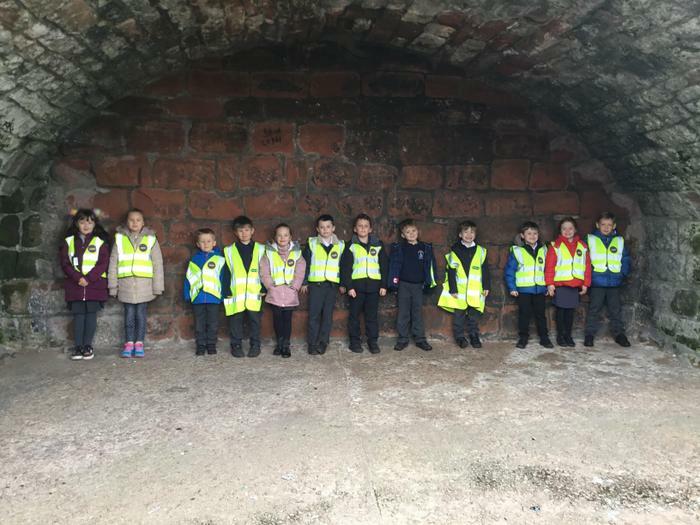 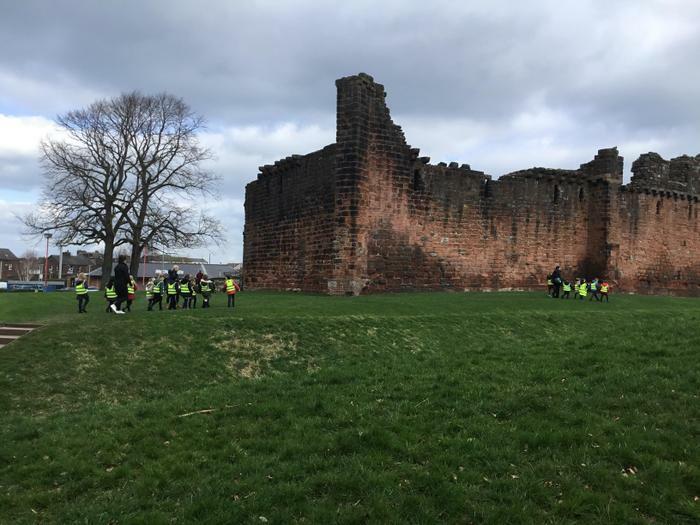 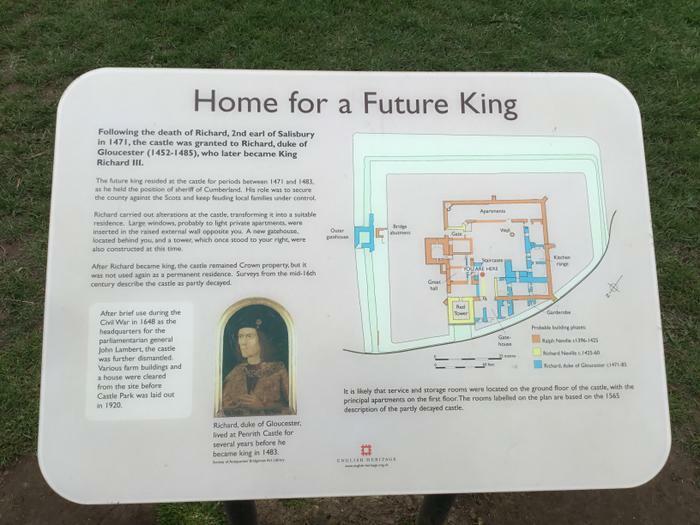 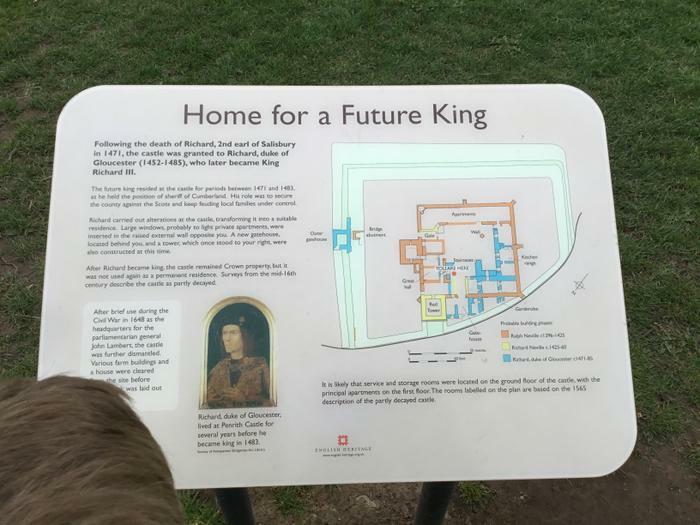 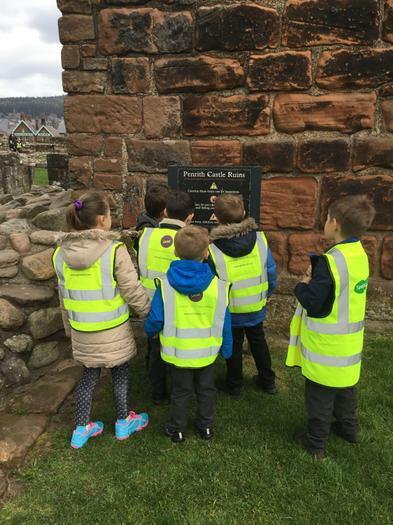 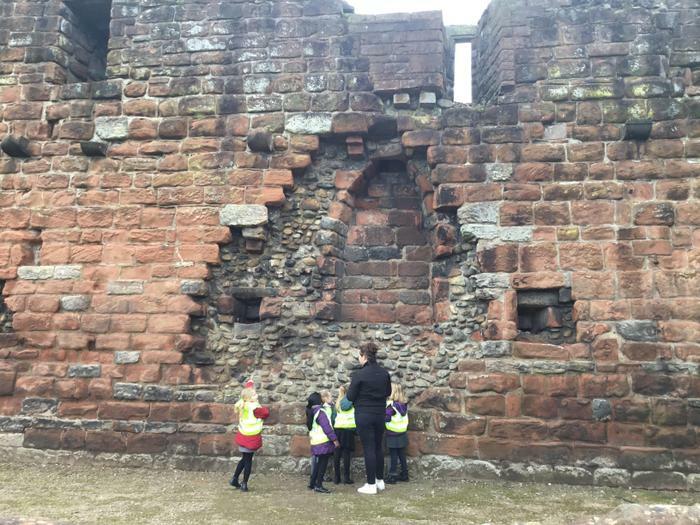 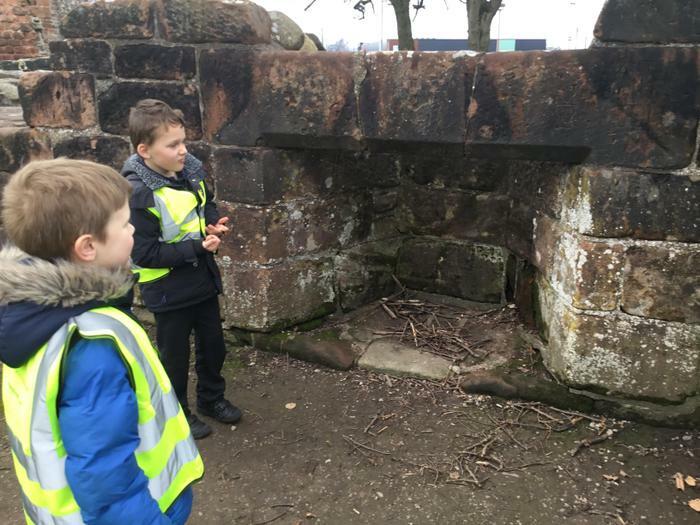 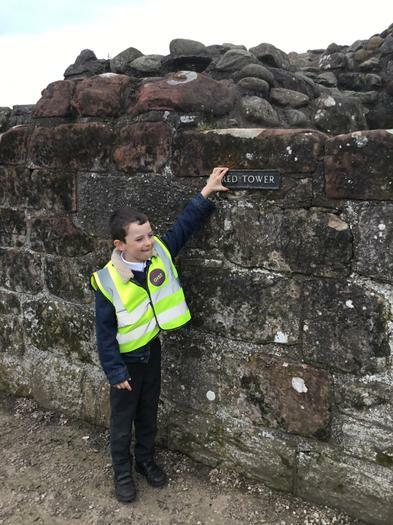 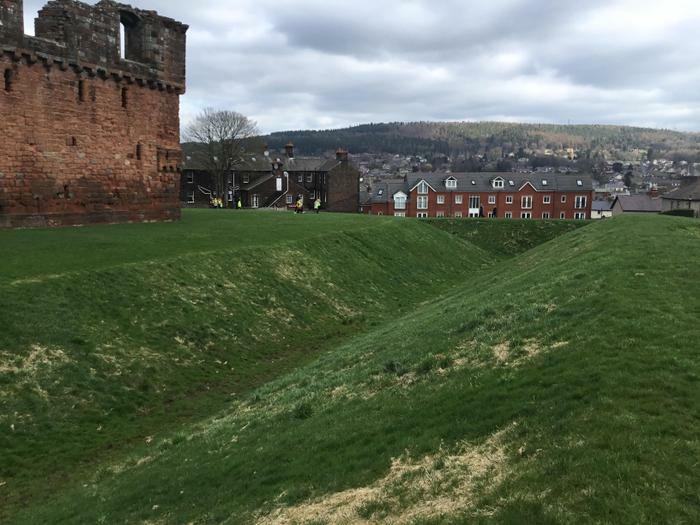 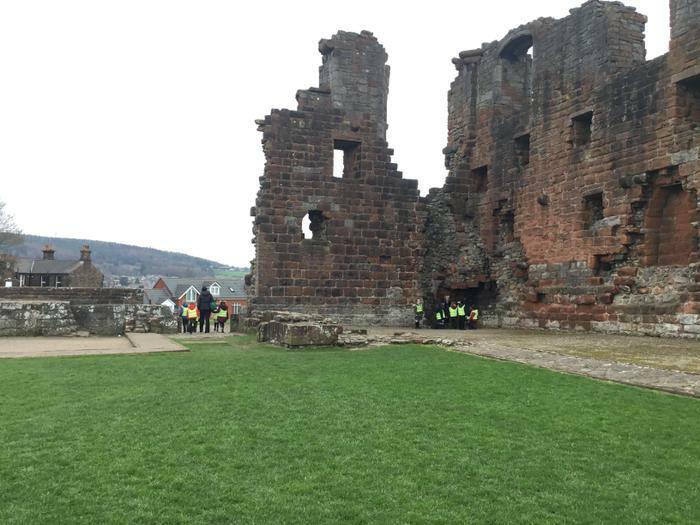 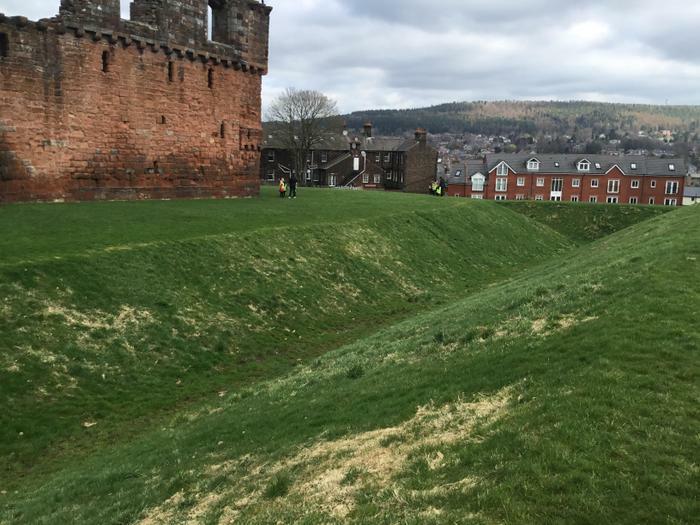 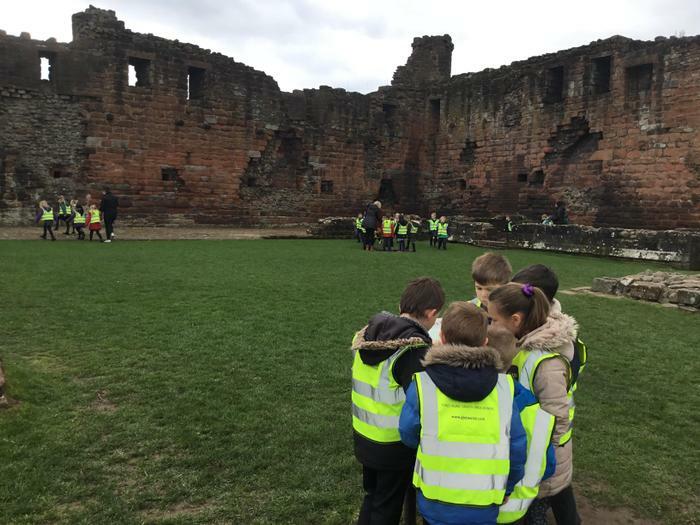 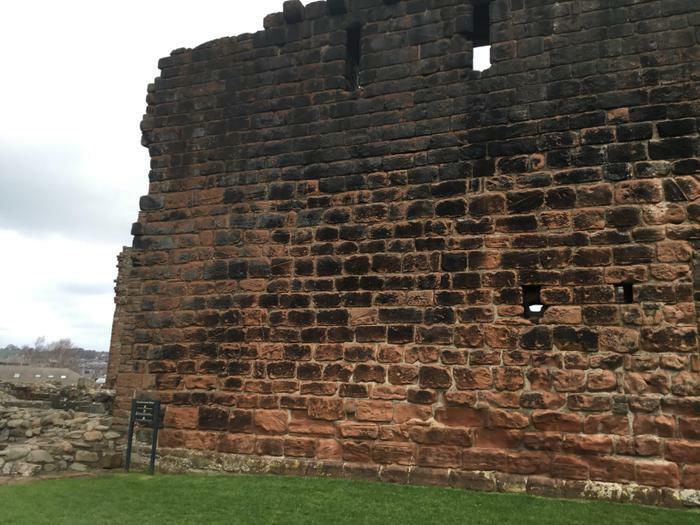 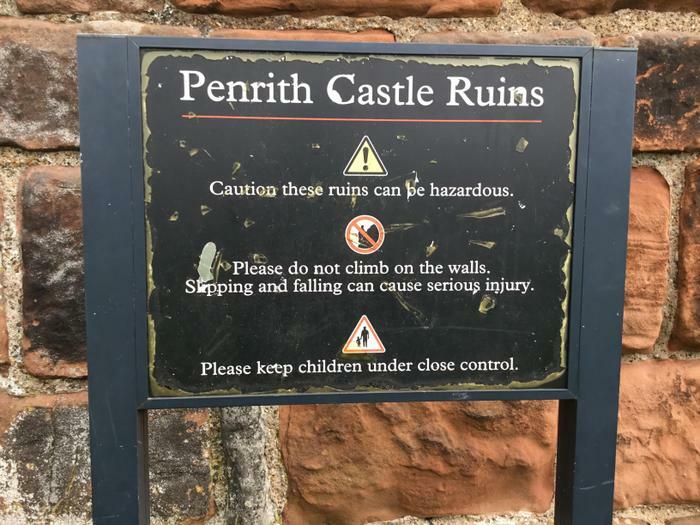 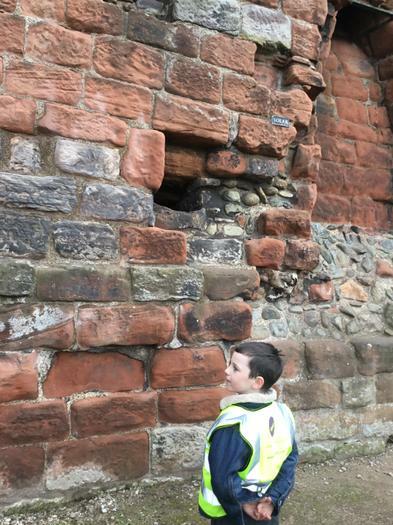 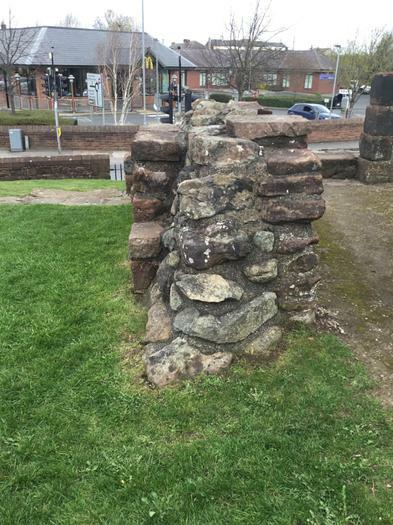 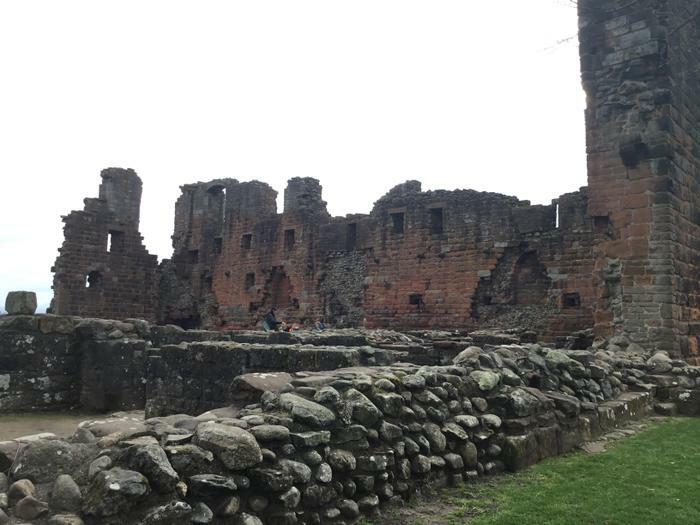 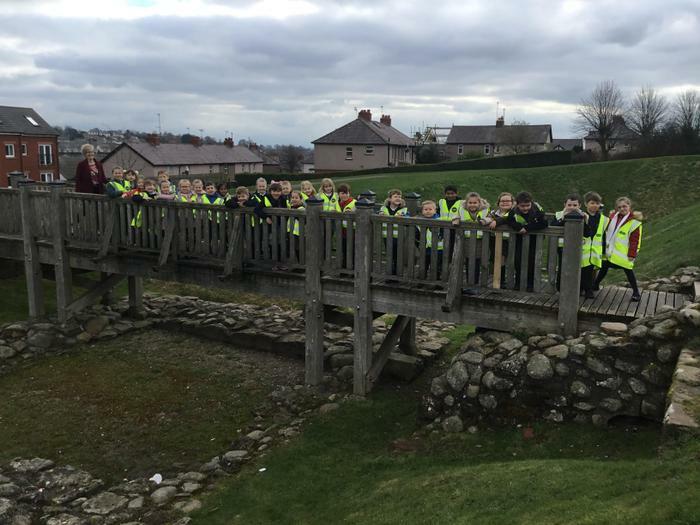 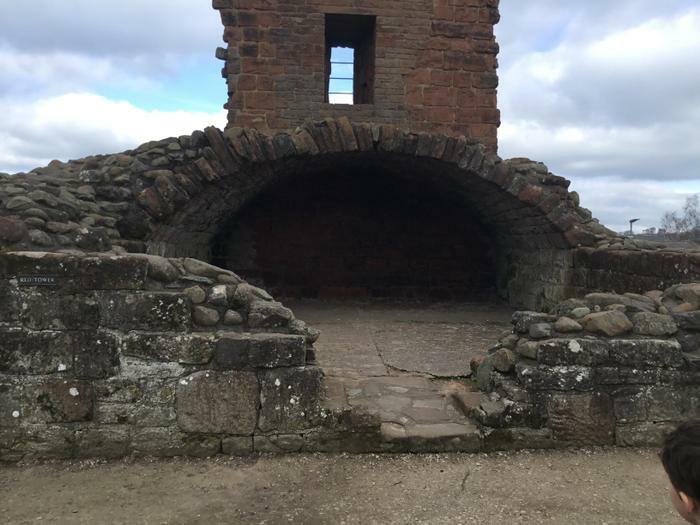 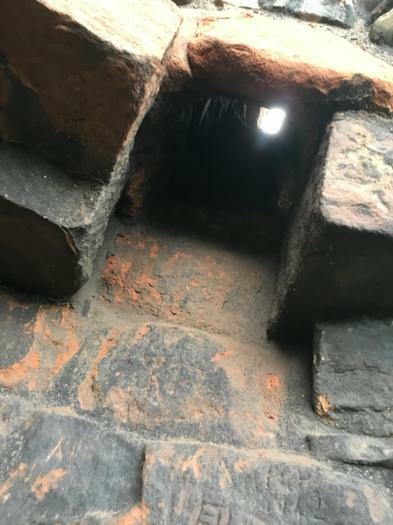 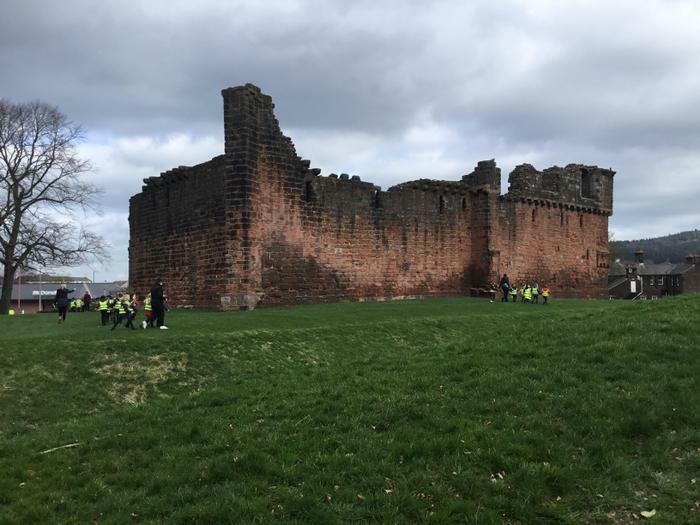 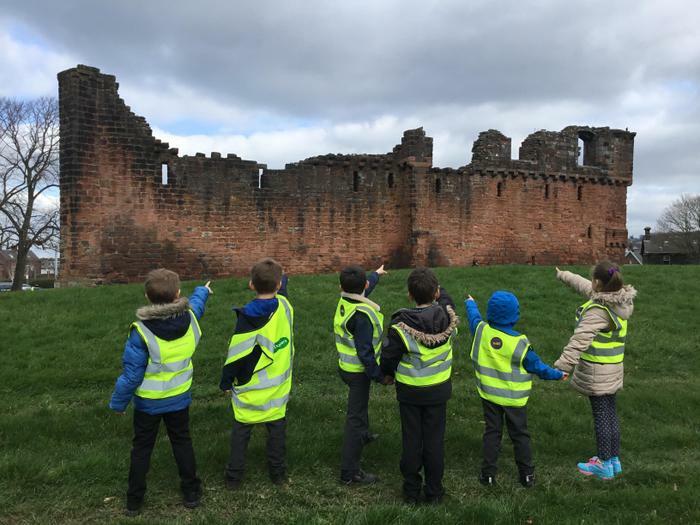 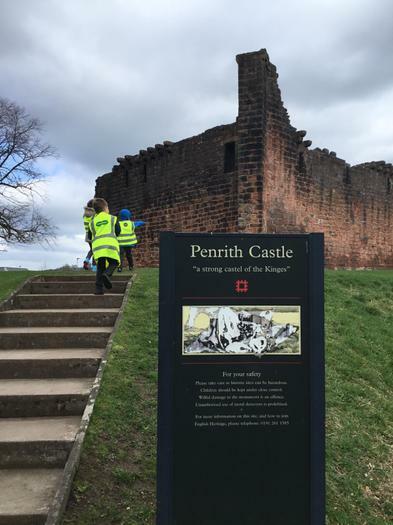 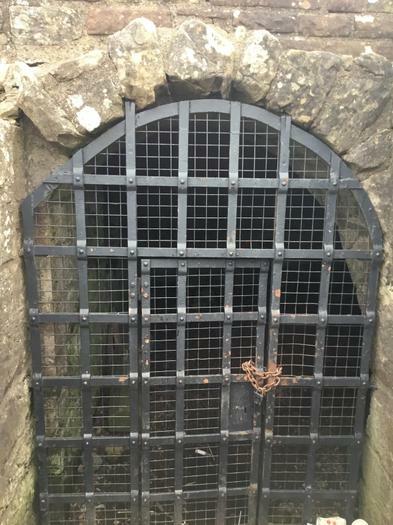 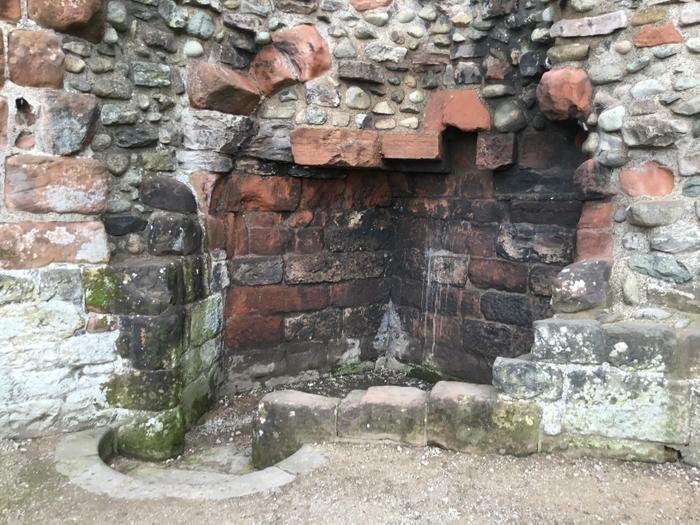 March: We visited Penrith castle and tried to identify different features... can you spot the moat, thick walls, dungeon, kitchen, drawbridge, arrow slits? 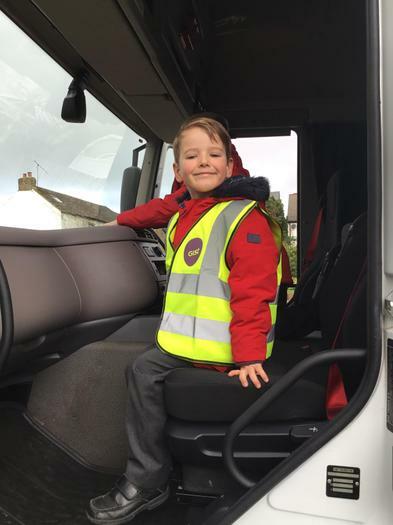 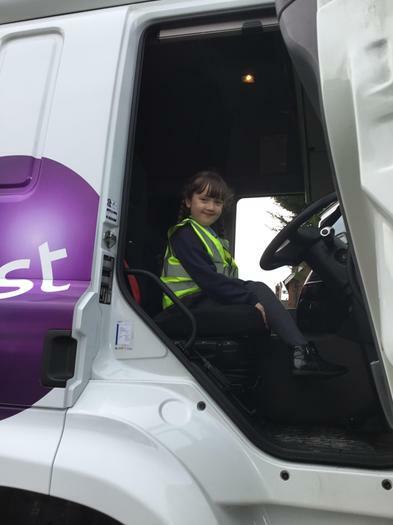 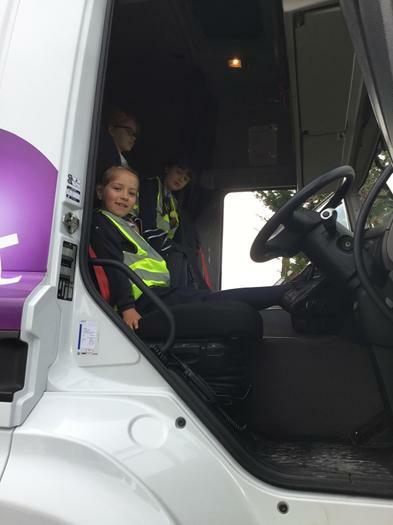 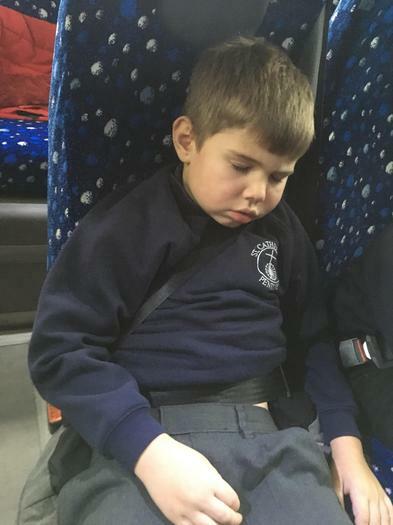 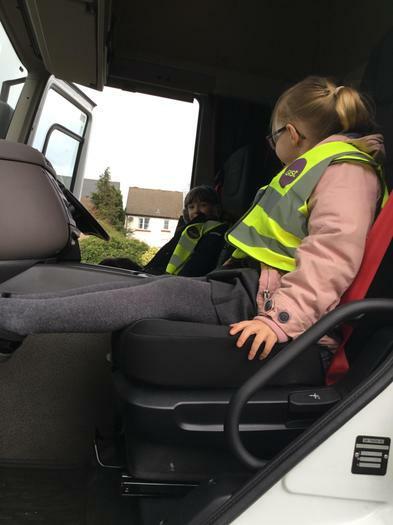 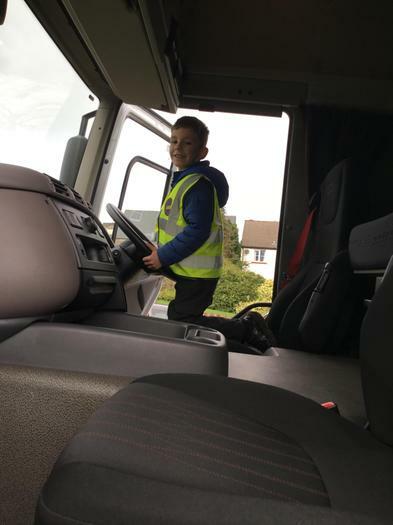 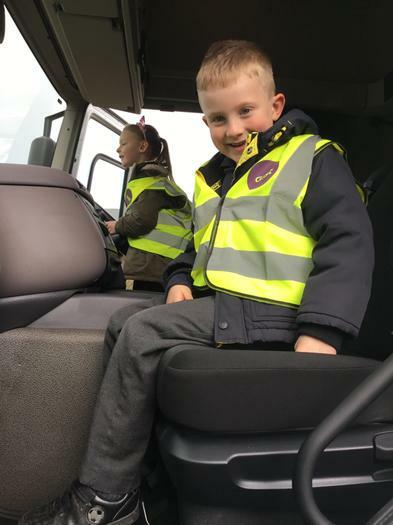 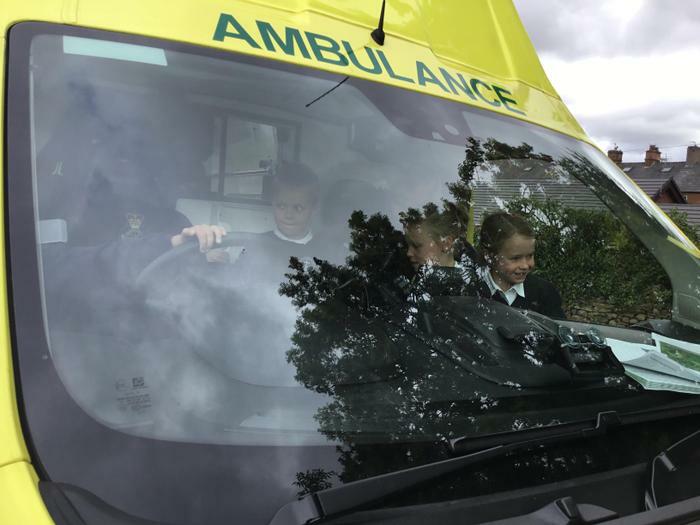 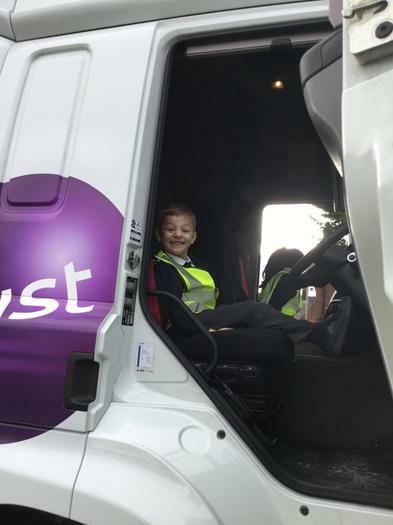 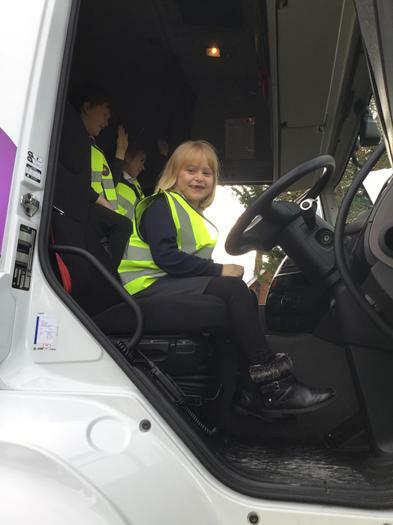 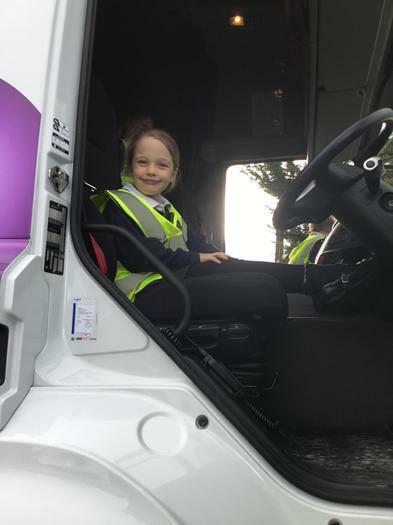 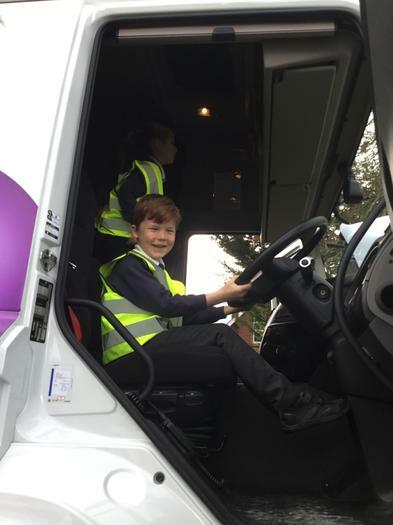 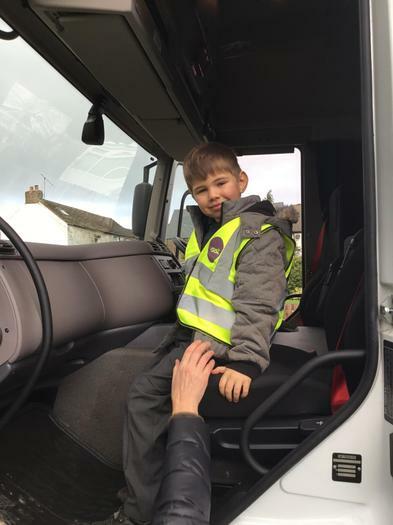 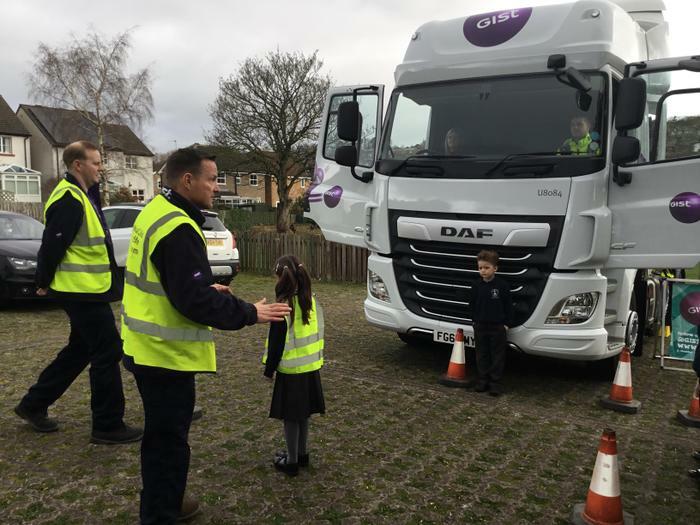 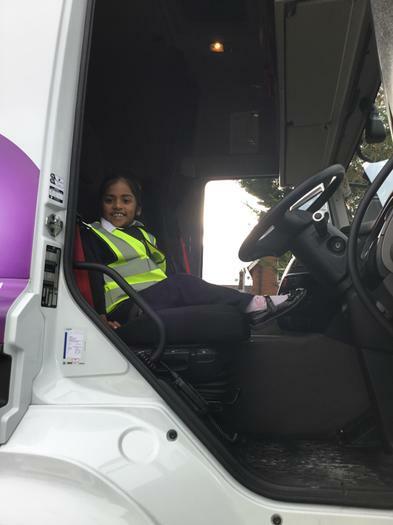 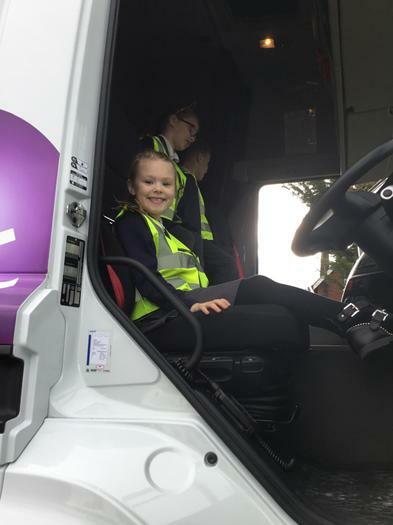 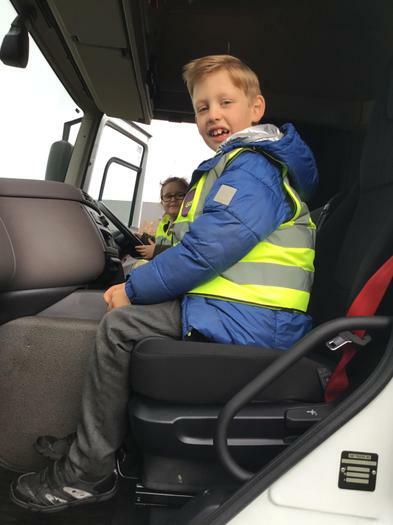 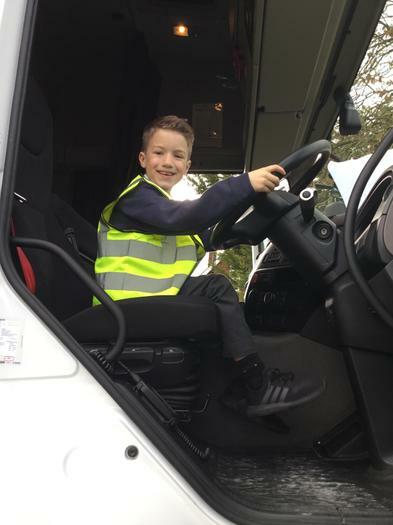 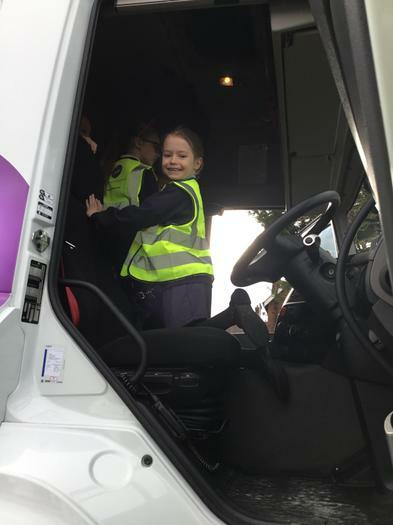 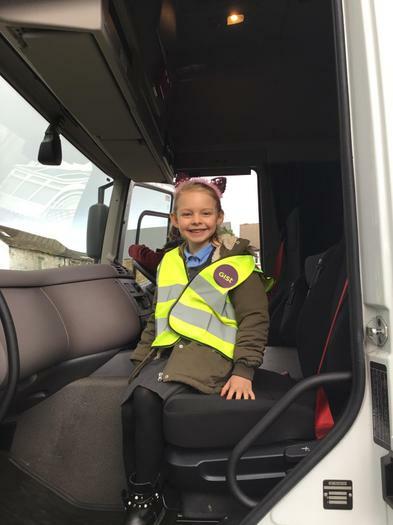 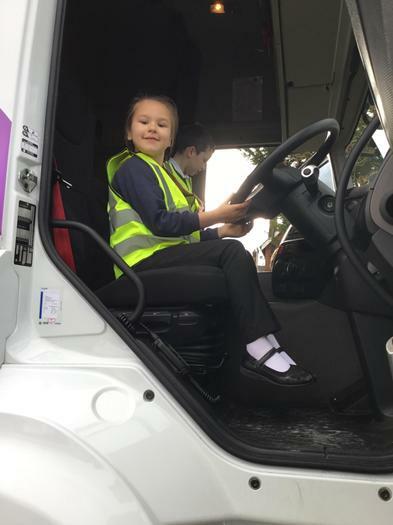 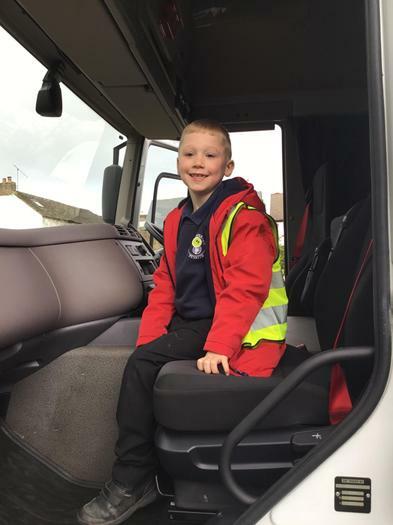 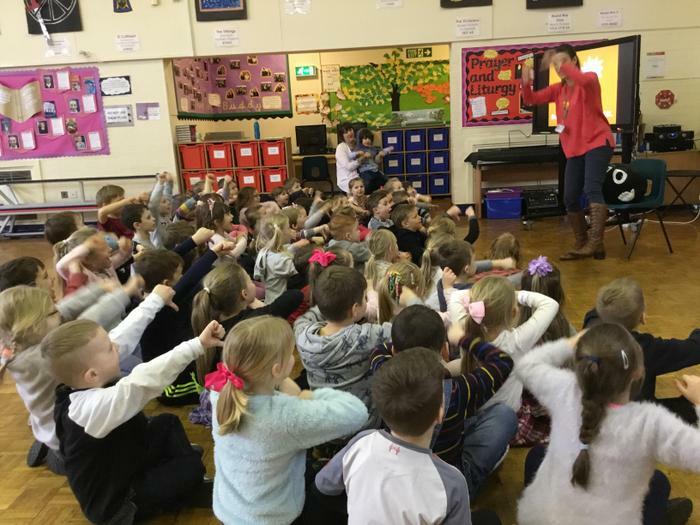 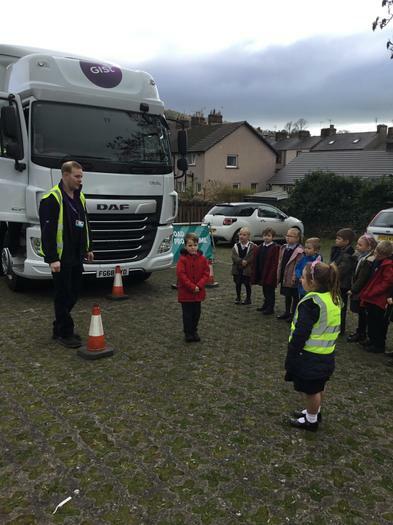 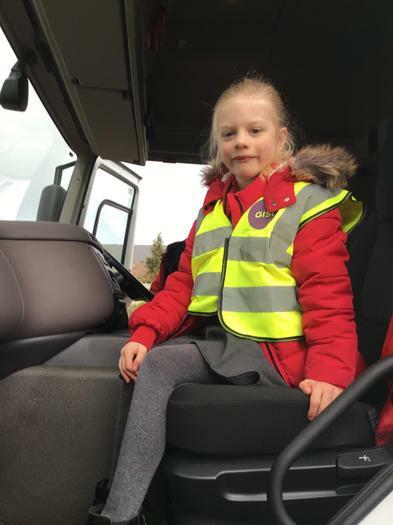 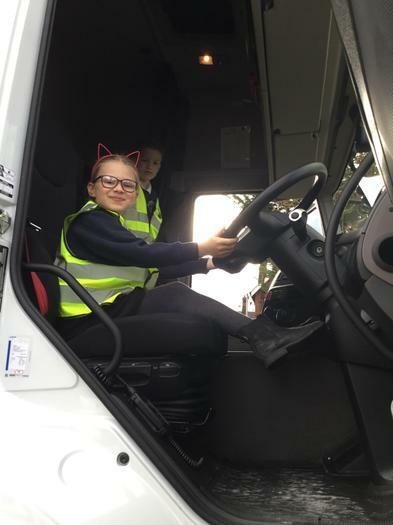 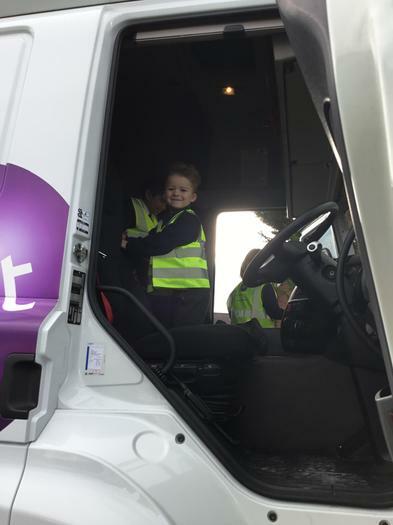 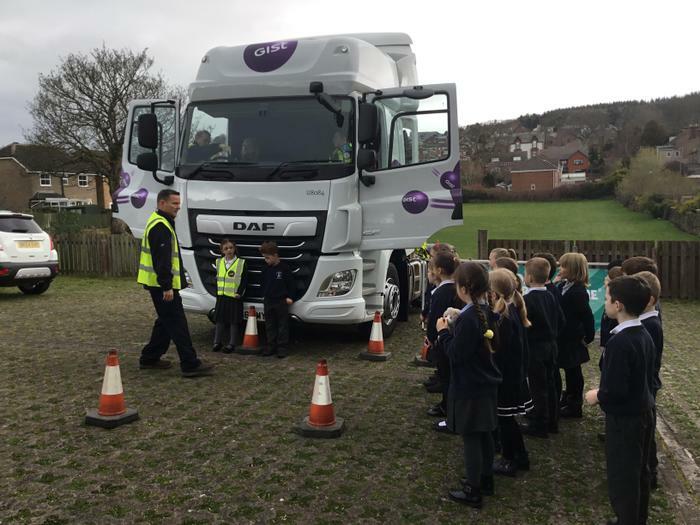 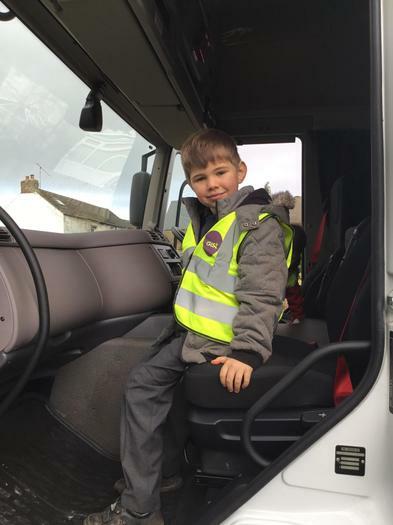 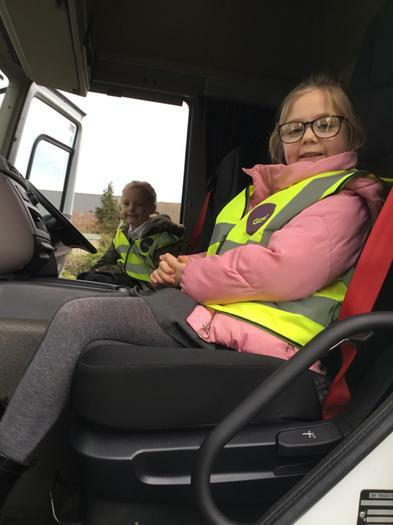 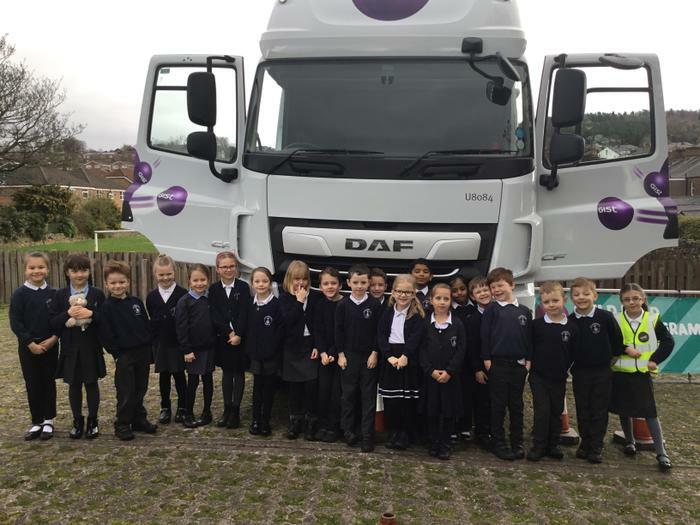 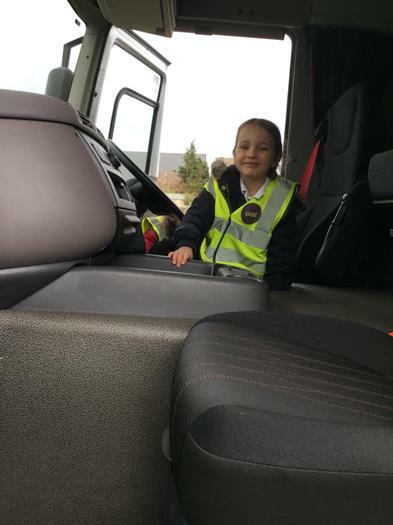 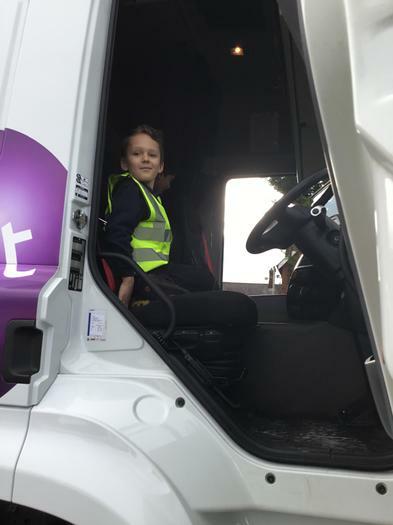 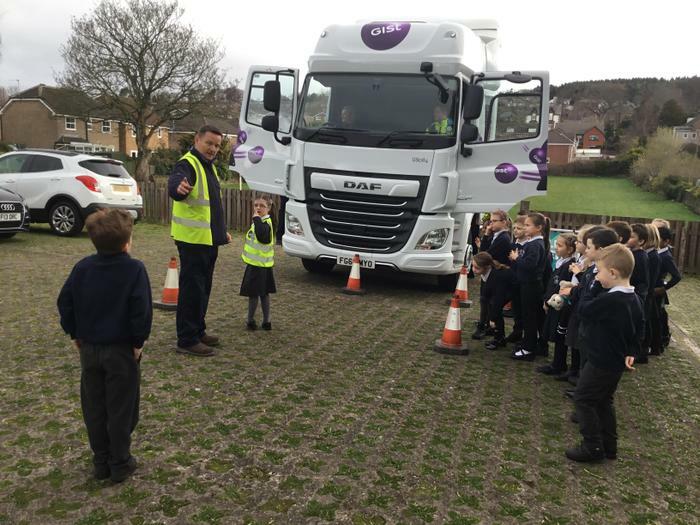 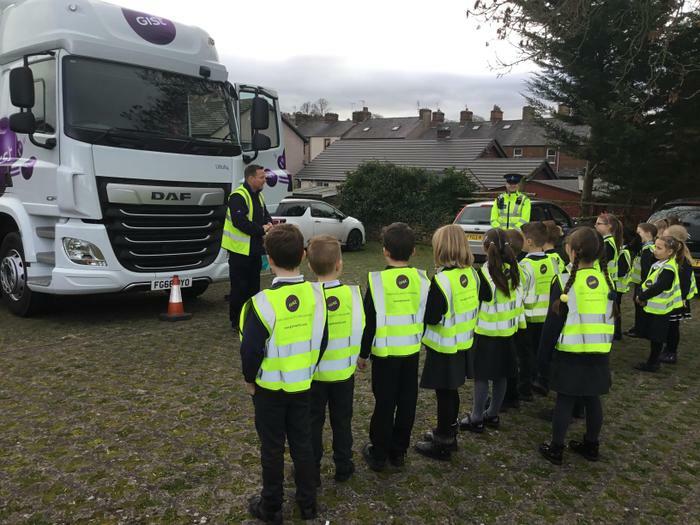 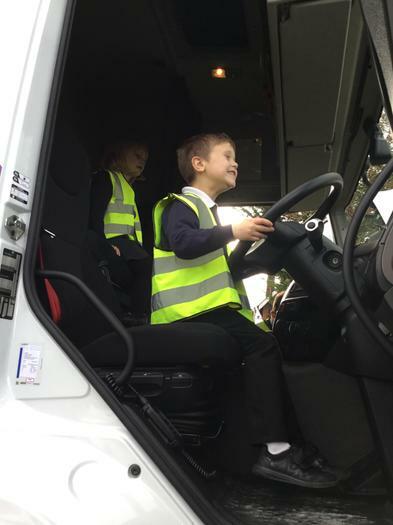 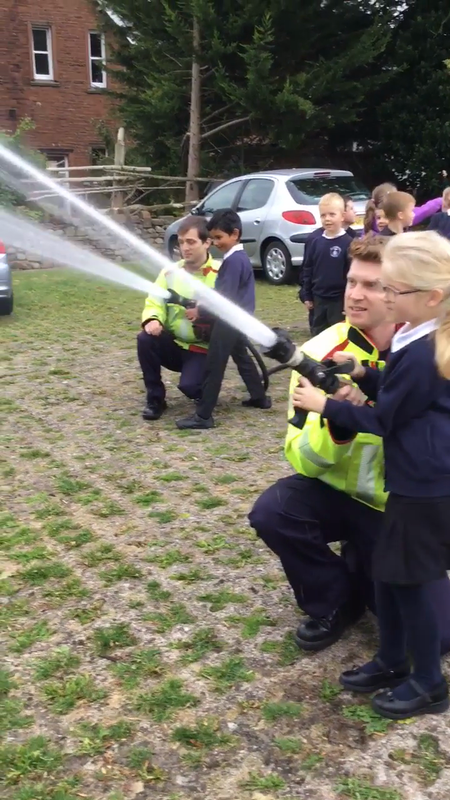 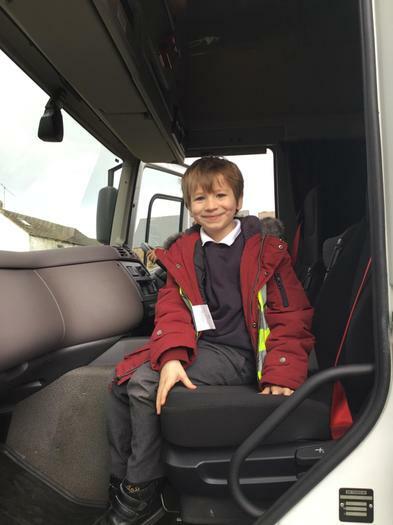 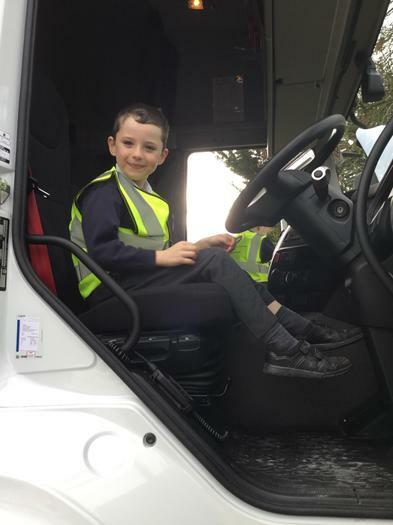 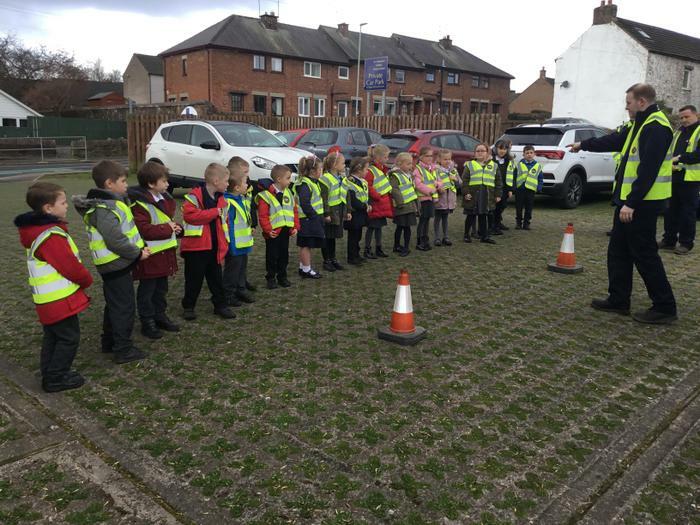 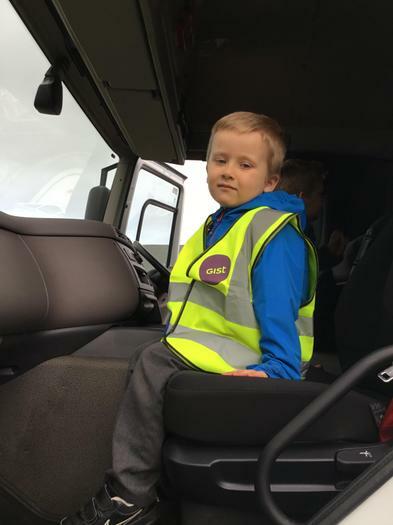 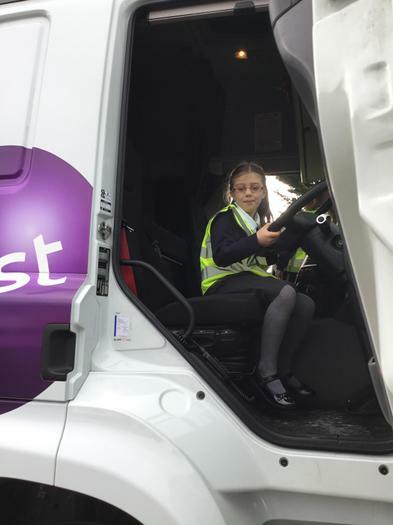 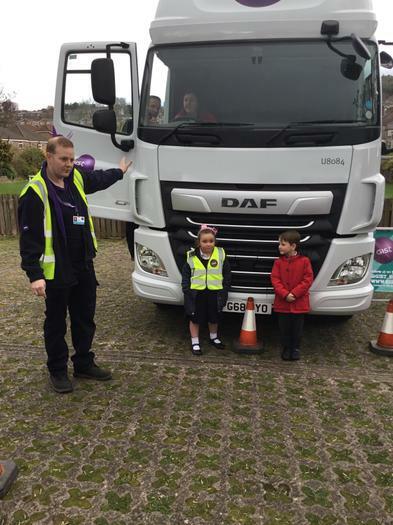 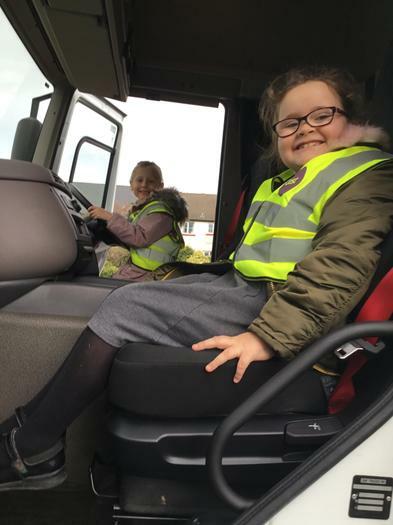 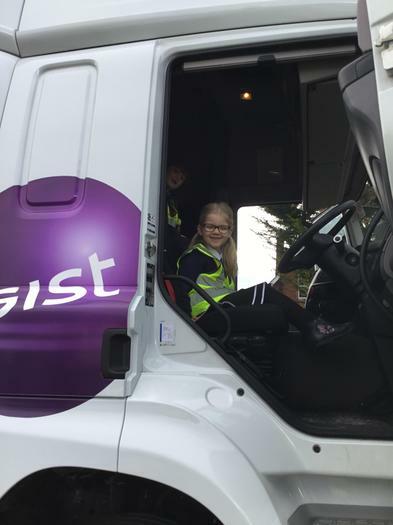 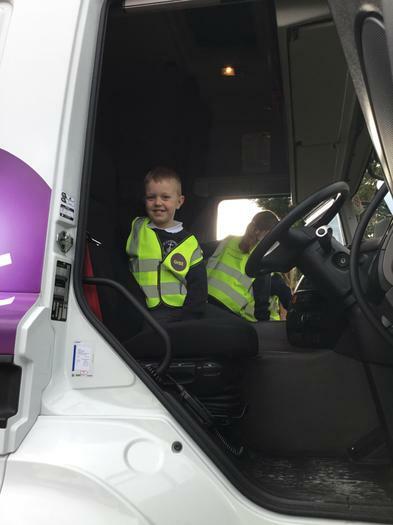 March: Gist visited our school and taught us how to stay safe on roads, near lorries and other large vehicles. 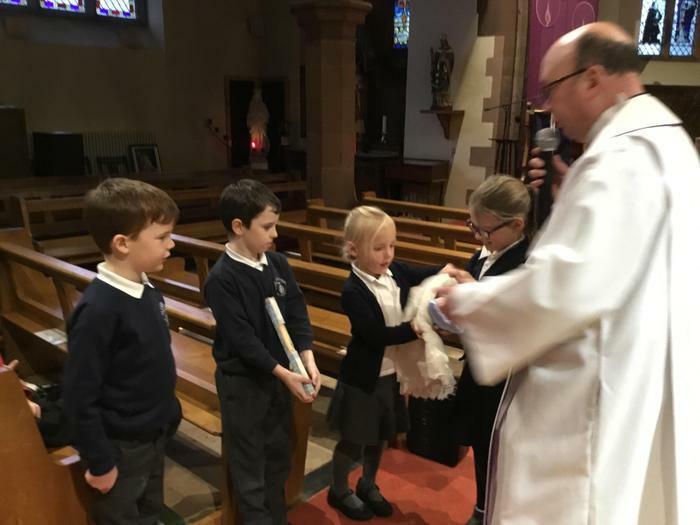 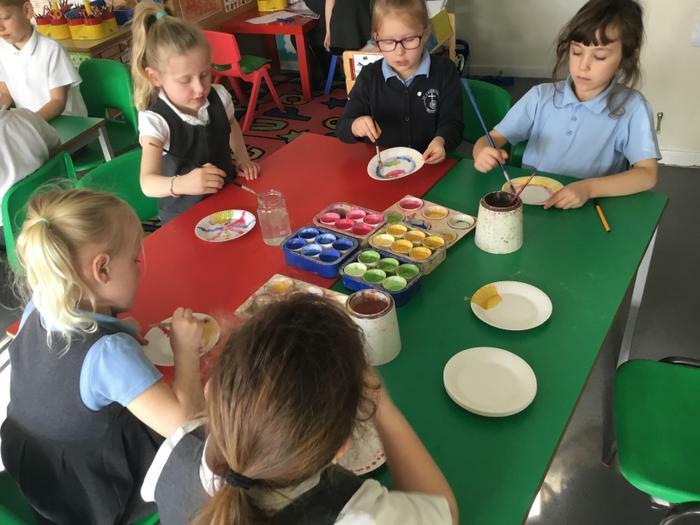 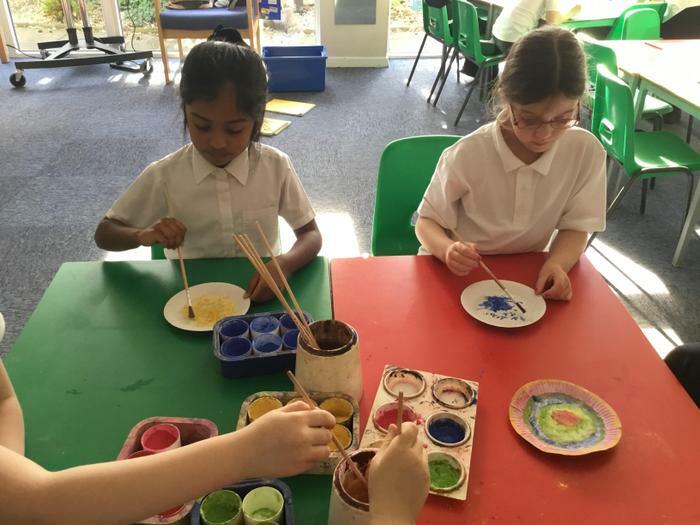 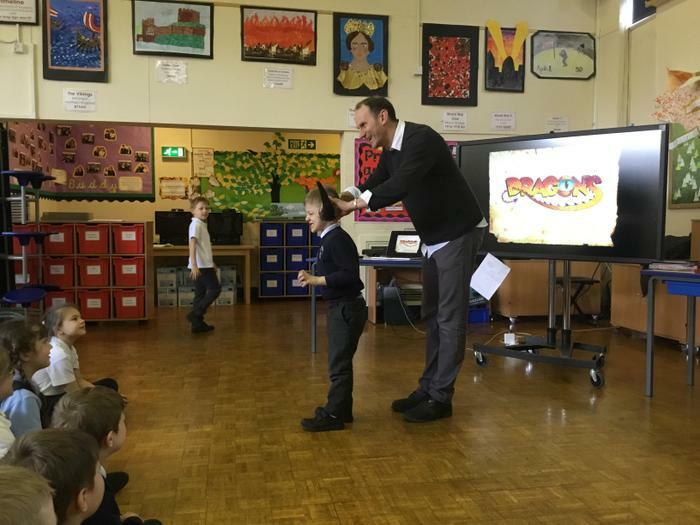 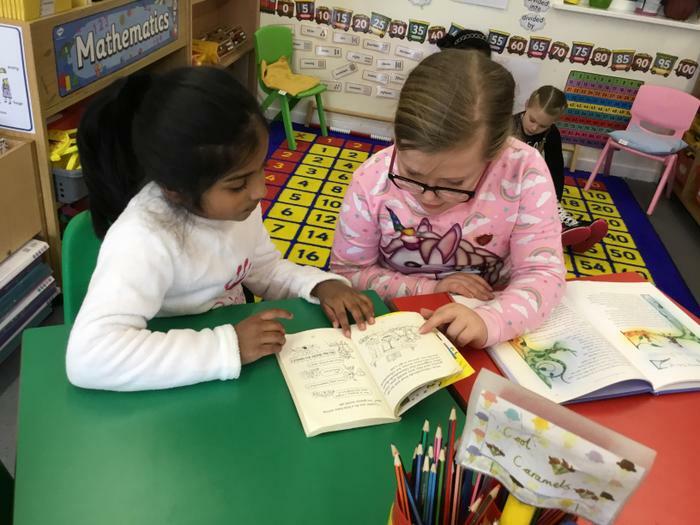 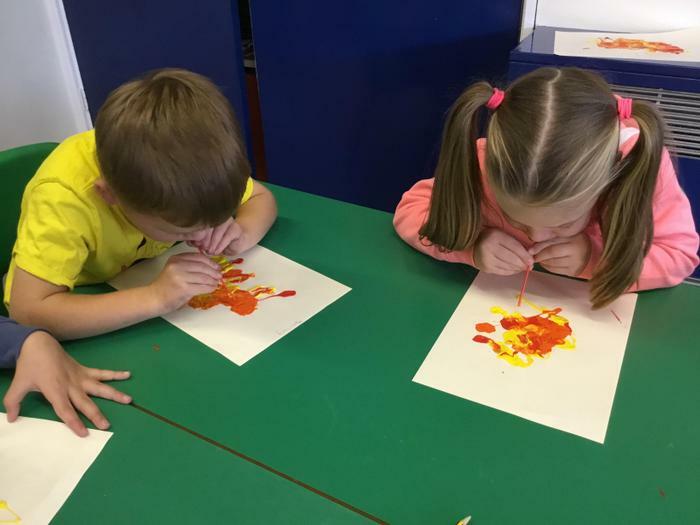 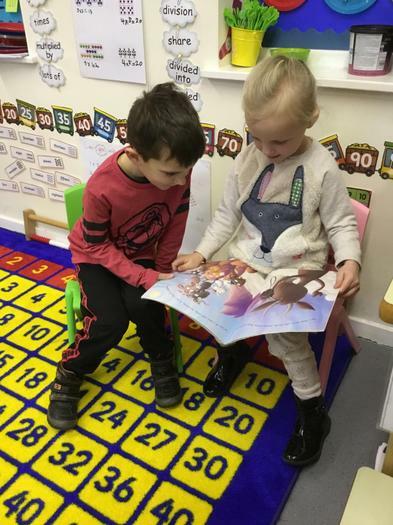 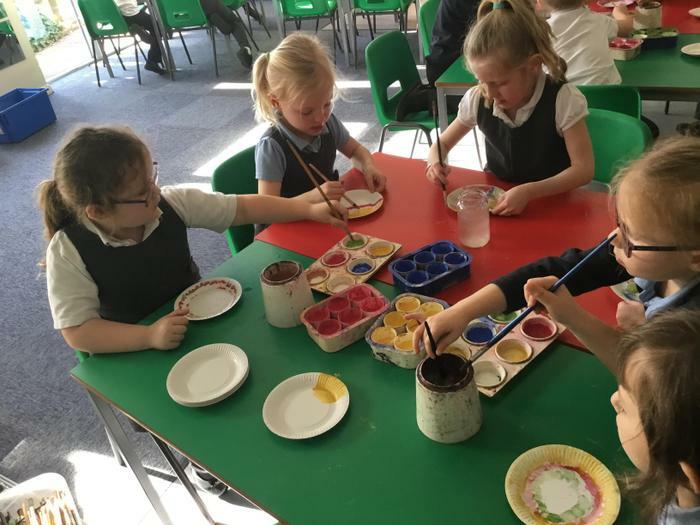 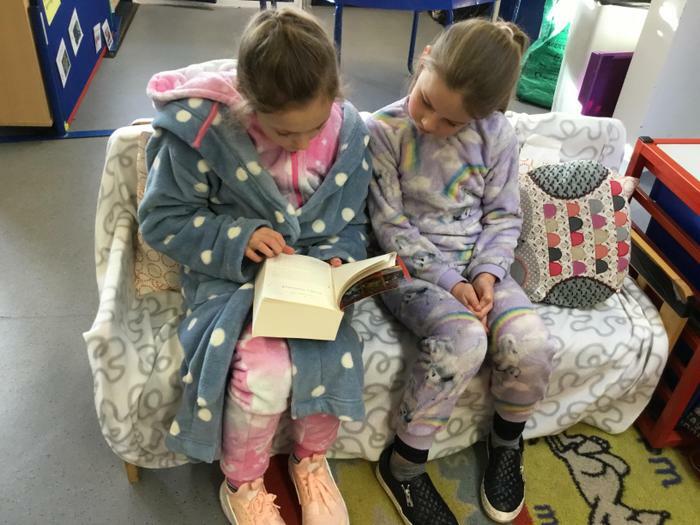 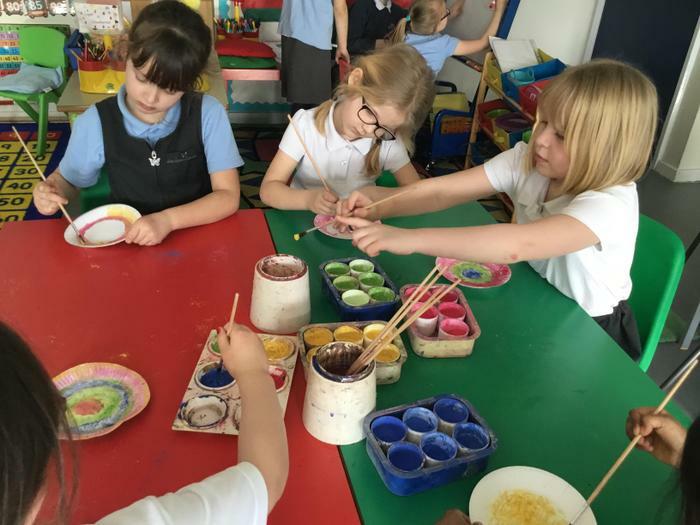 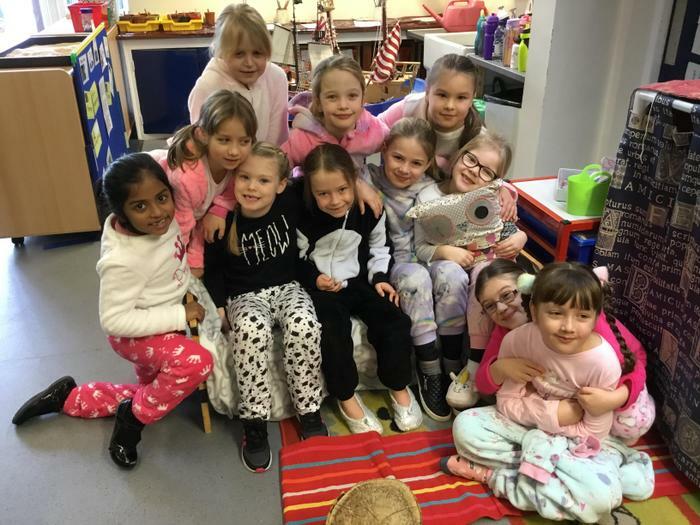 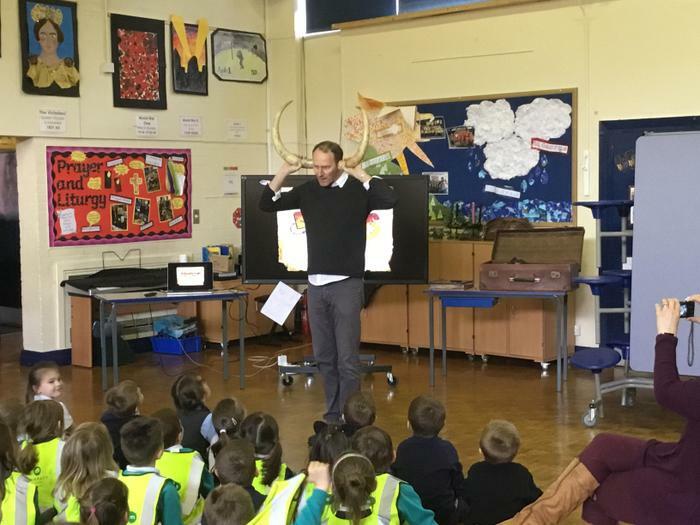 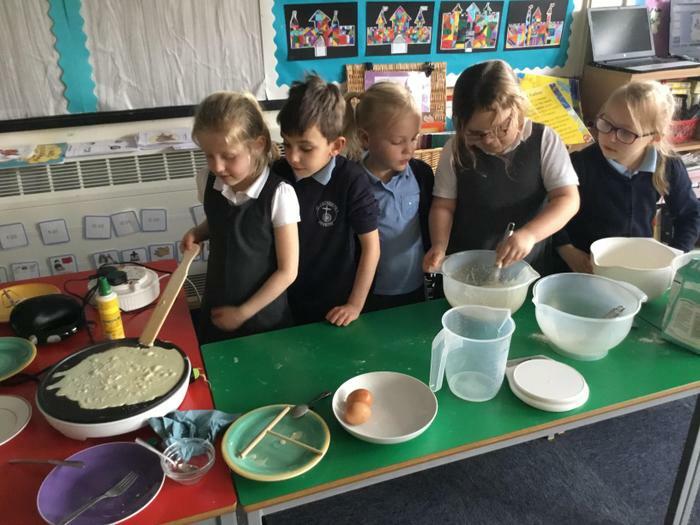 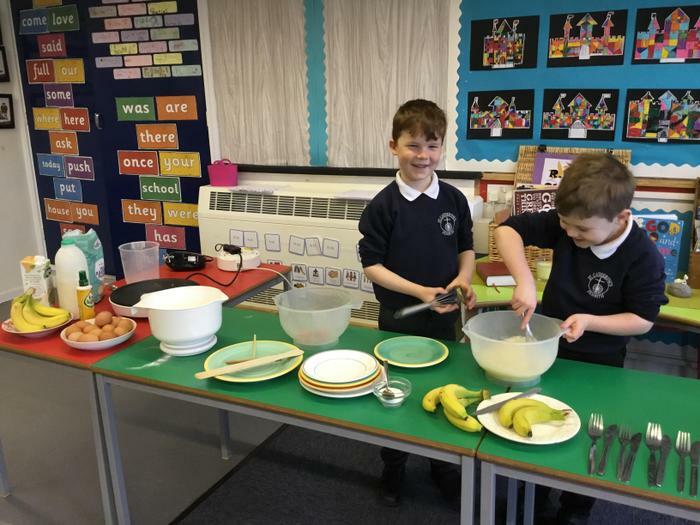 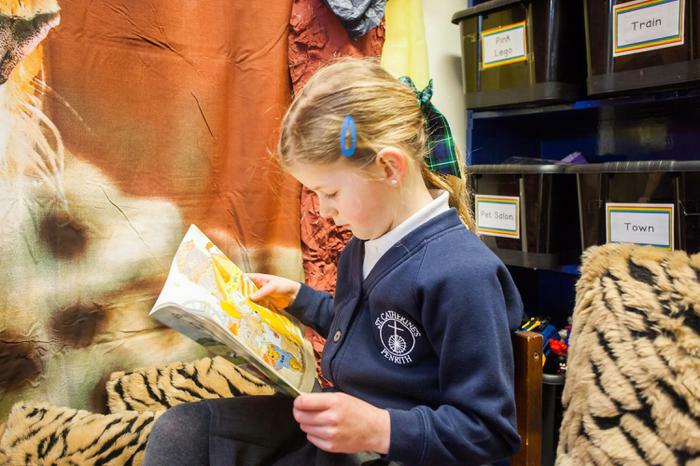 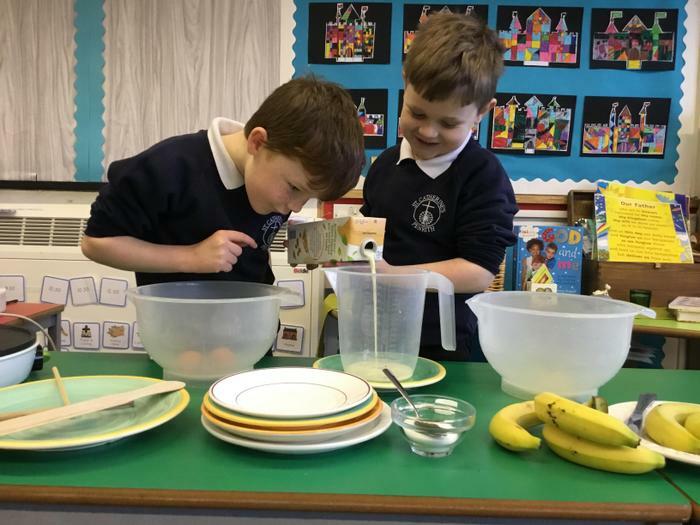 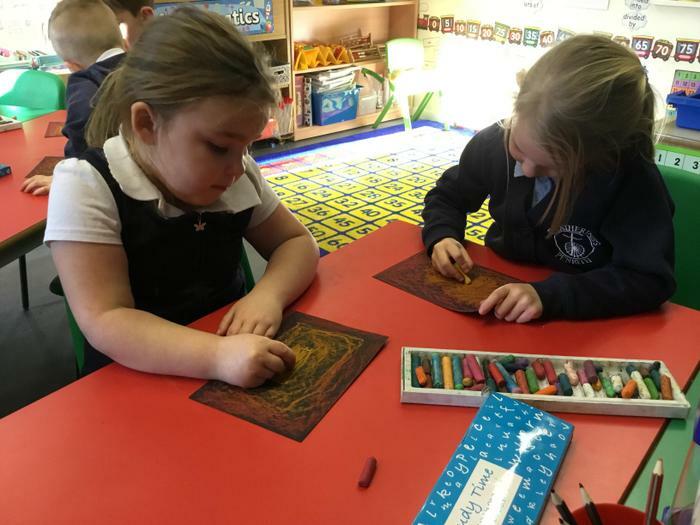 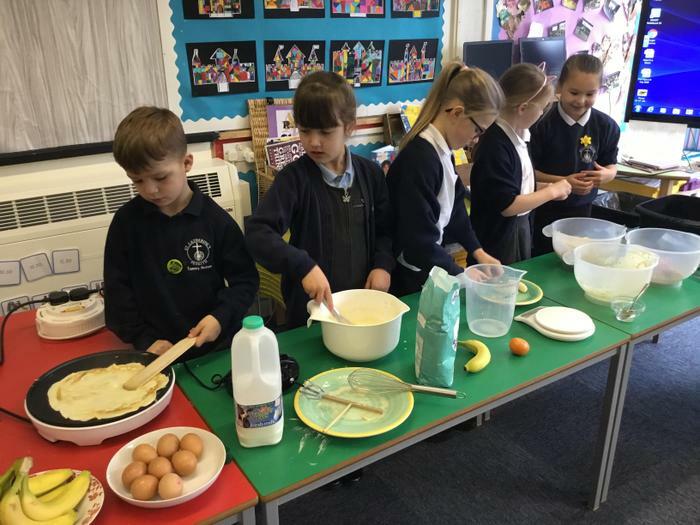 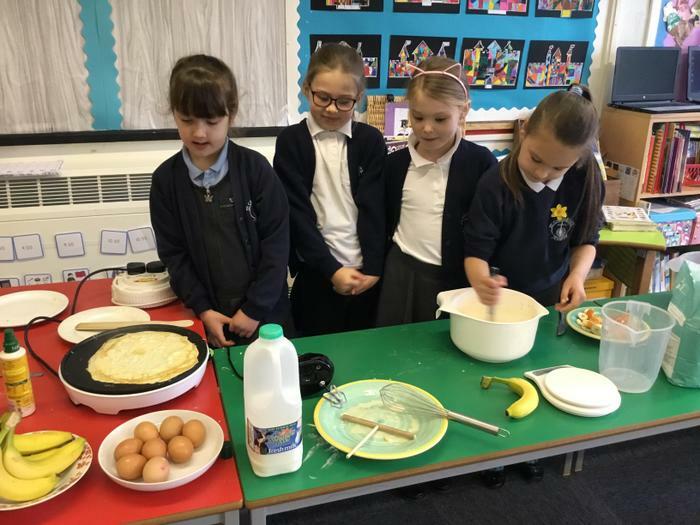 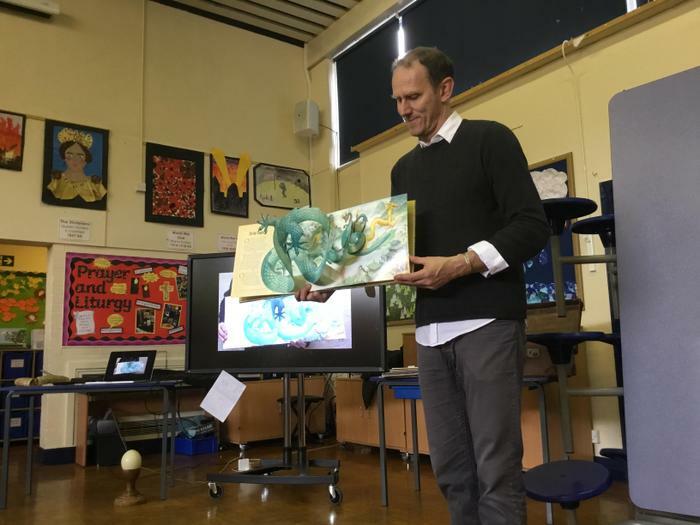 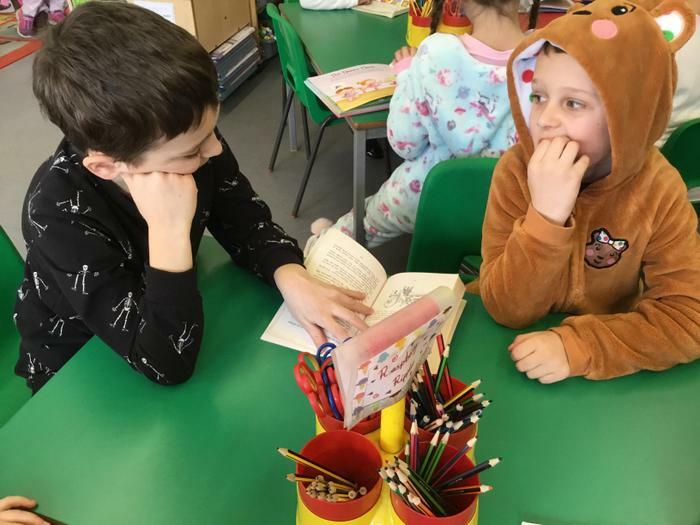 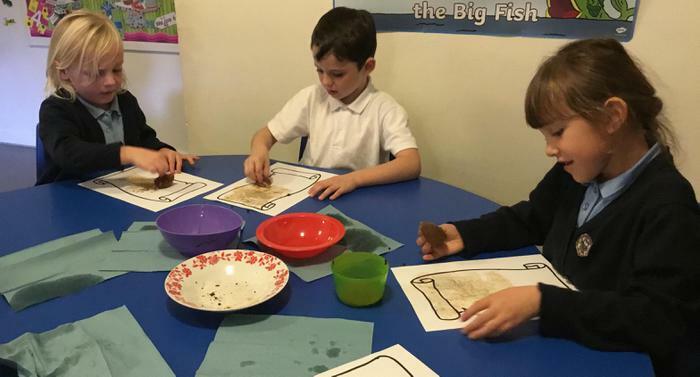 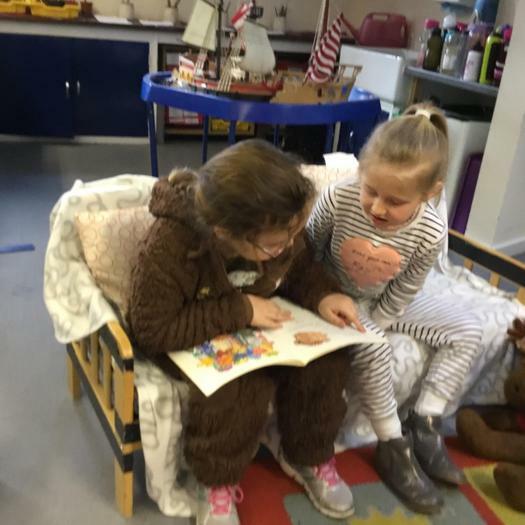 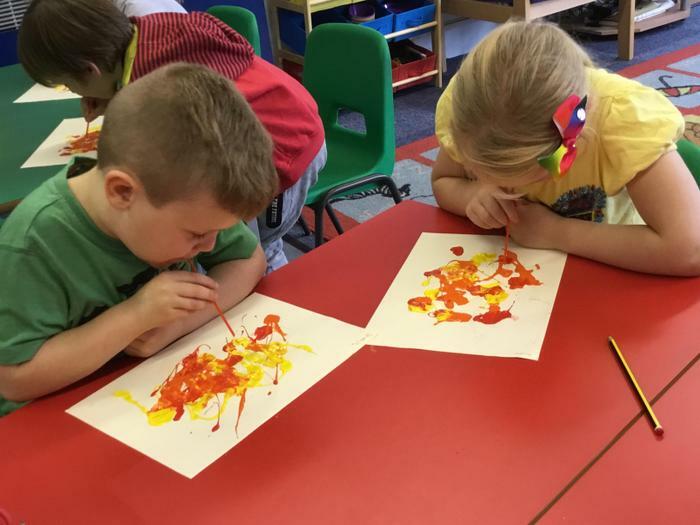 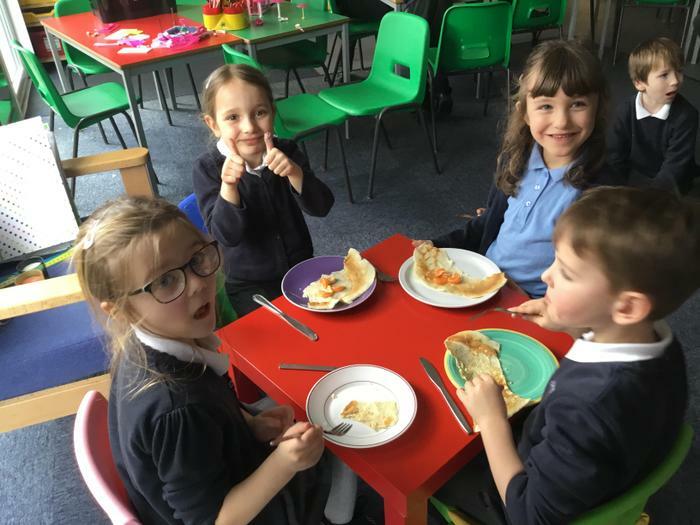 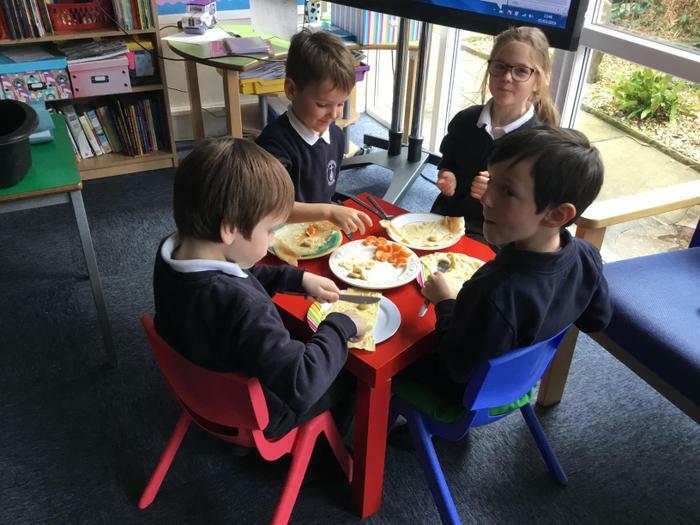 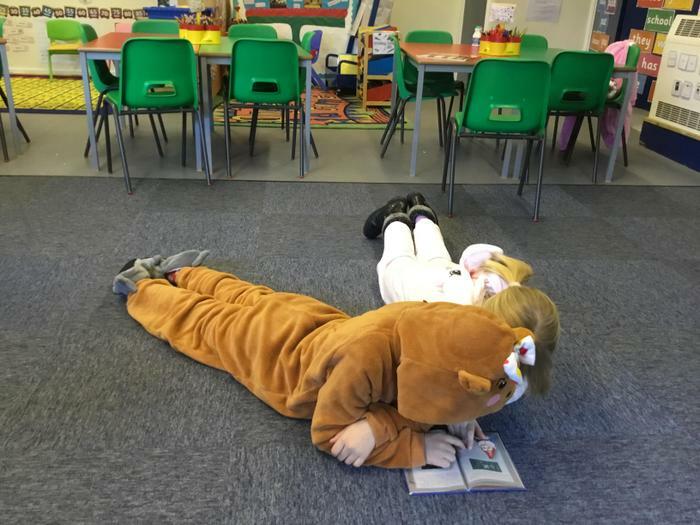 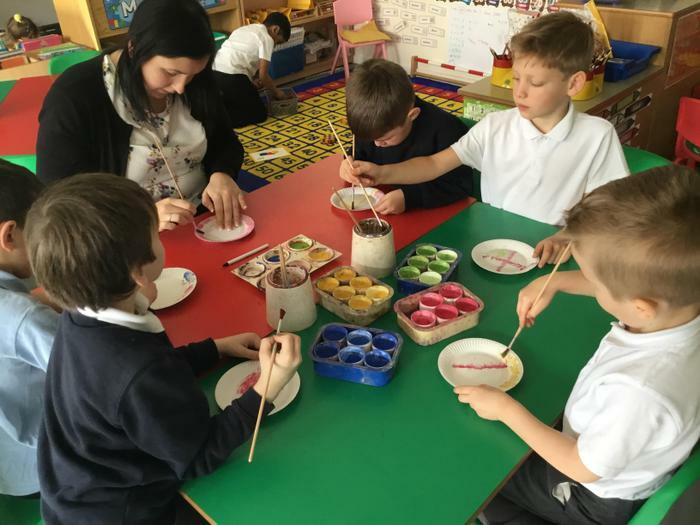 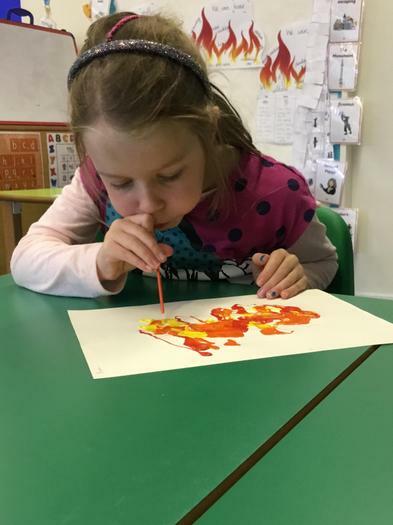 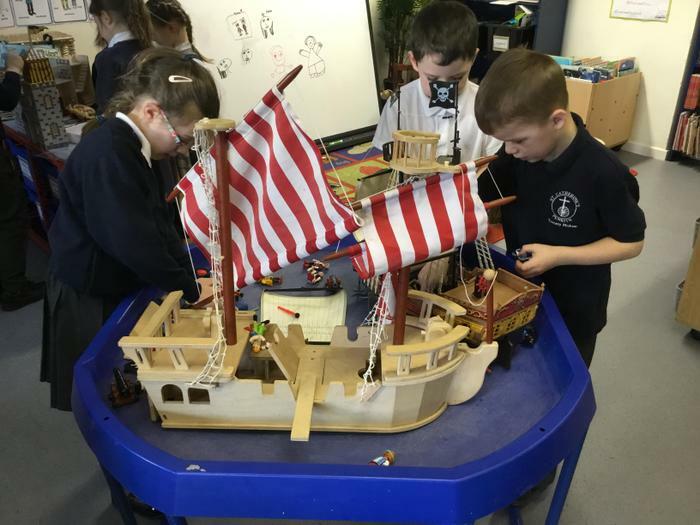 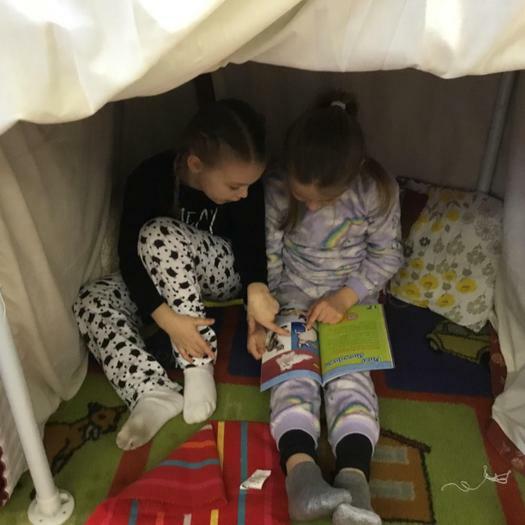 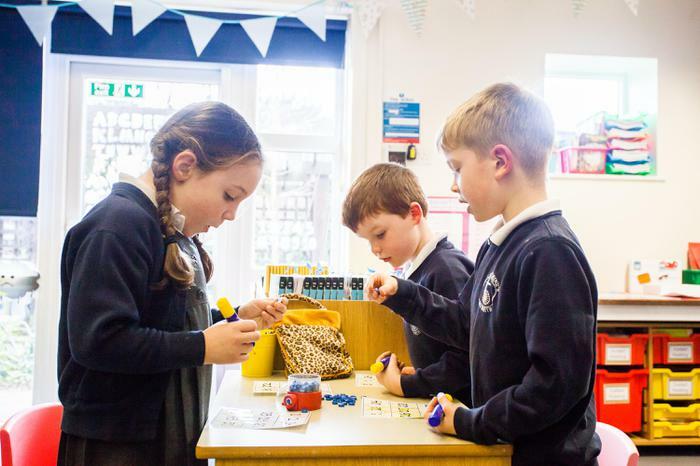 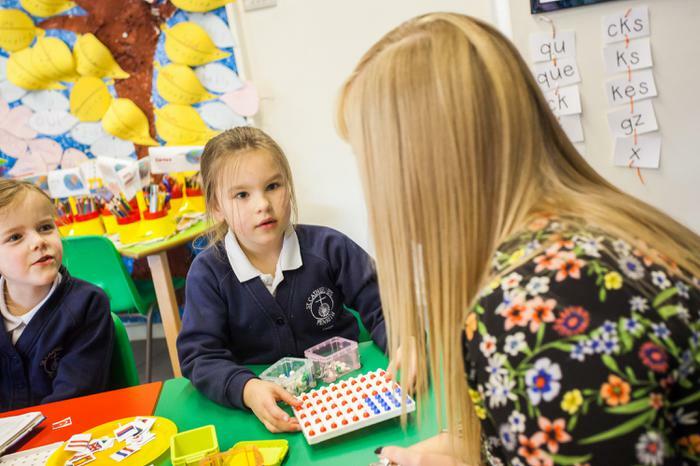 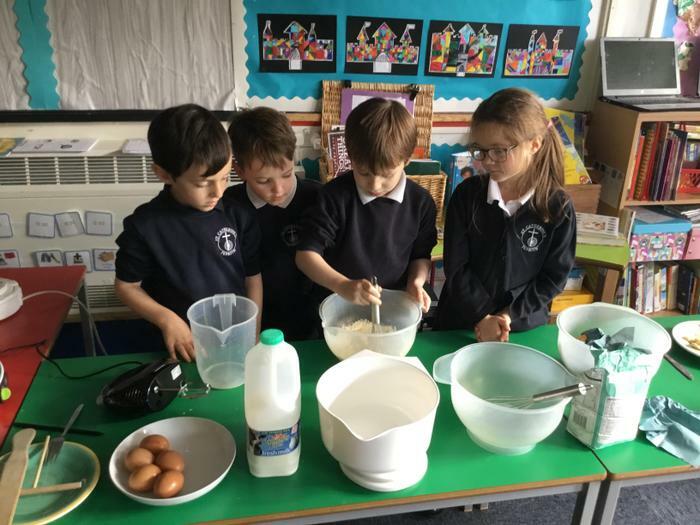 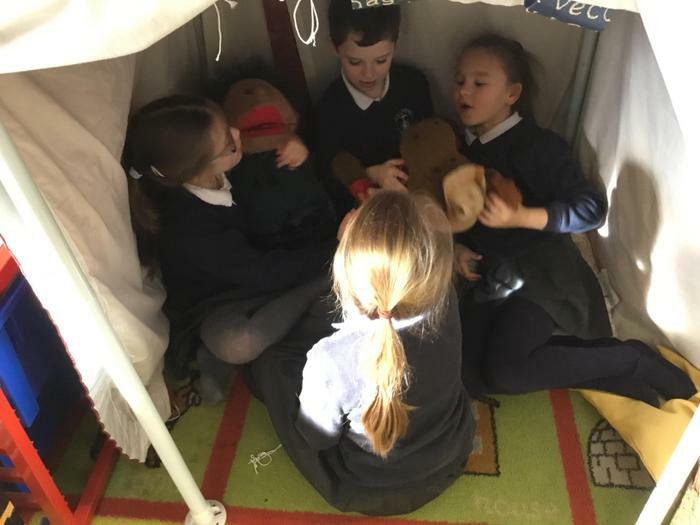 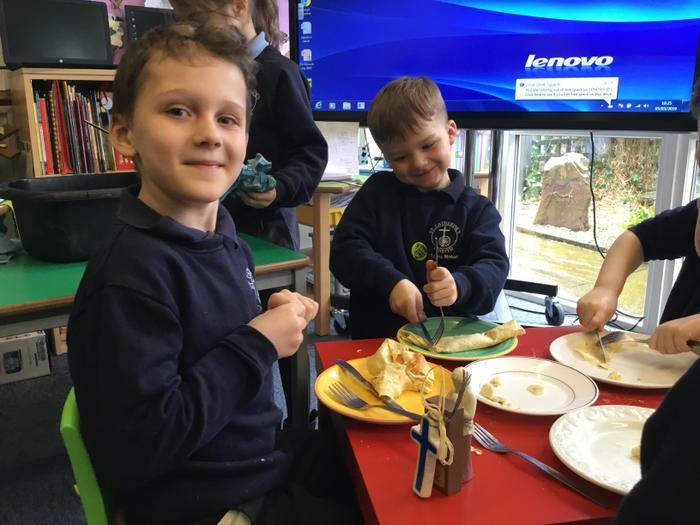 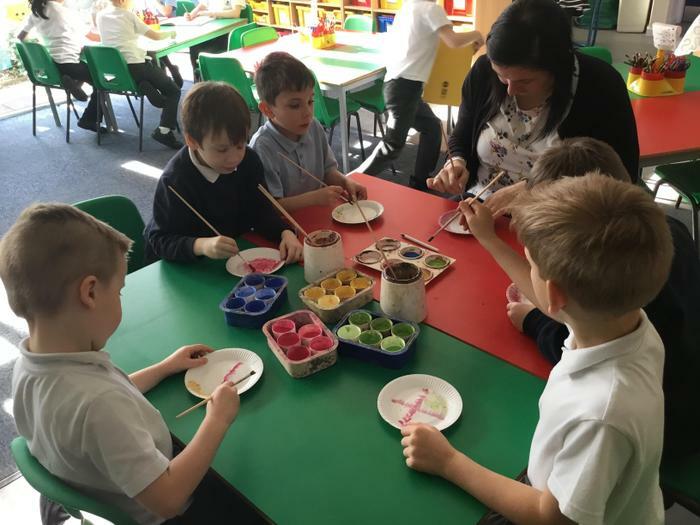 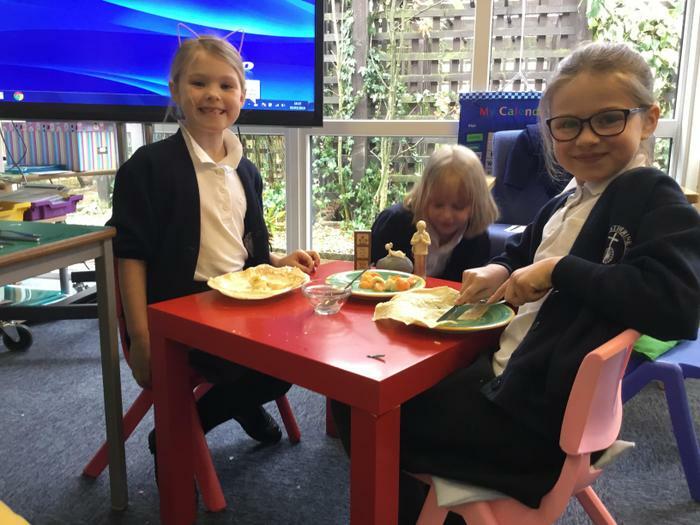 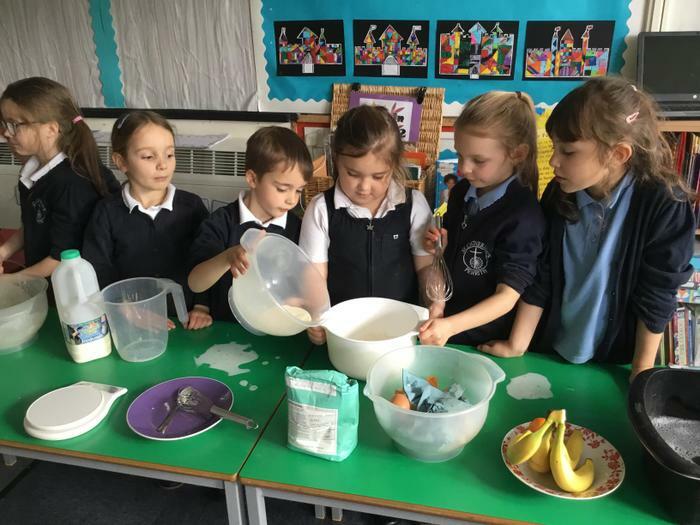 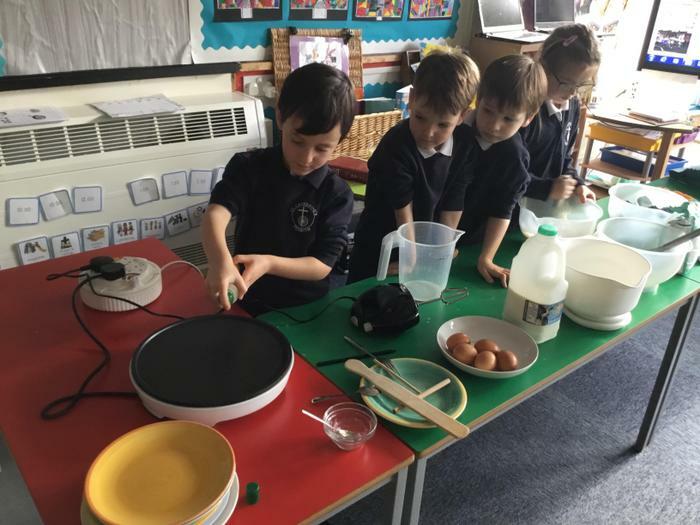 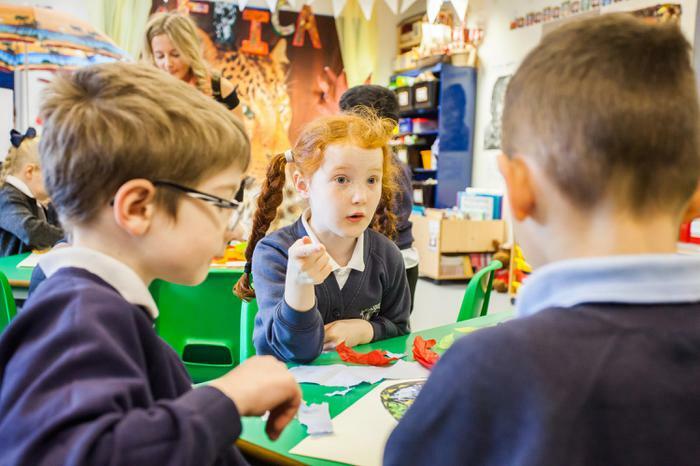 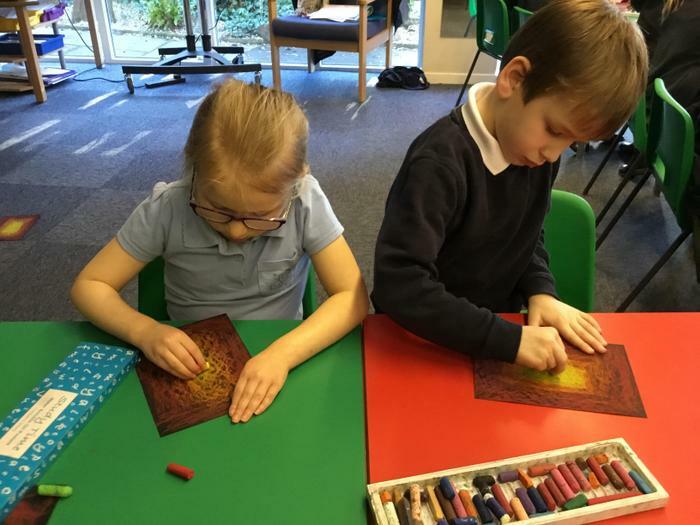 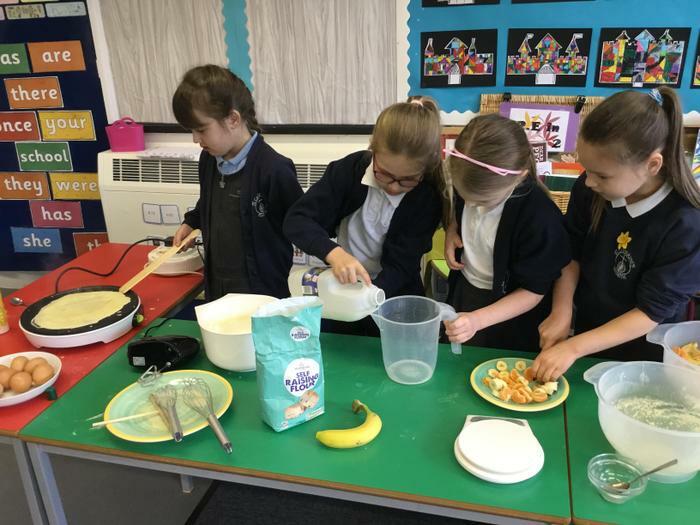 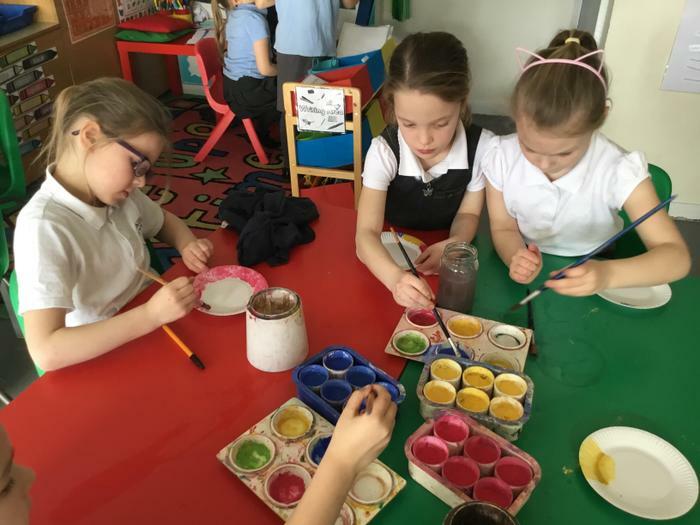 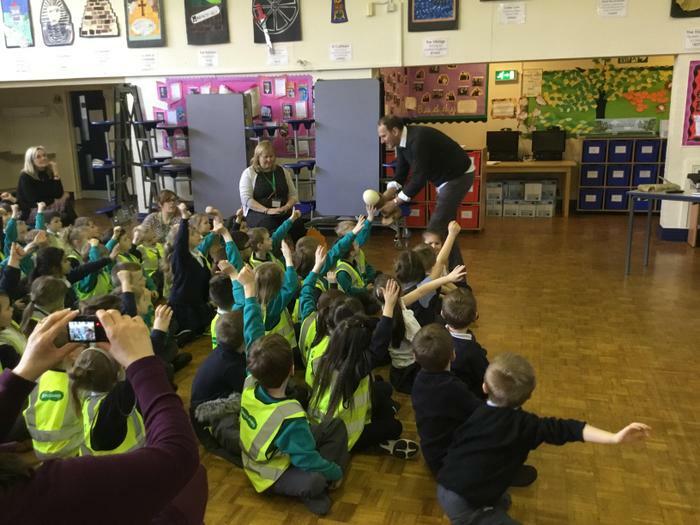 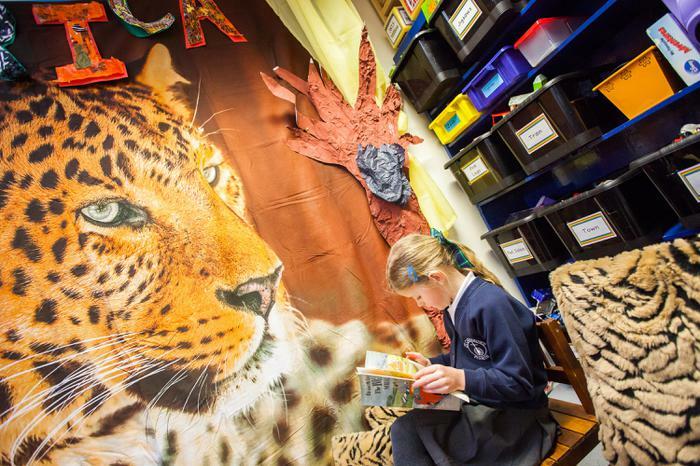 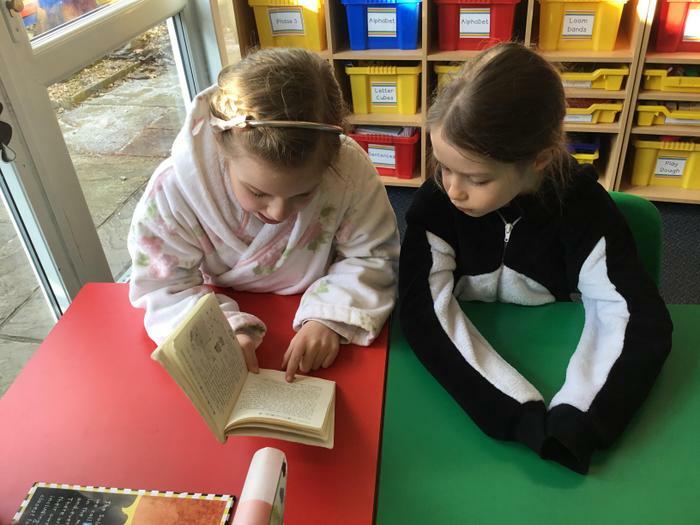 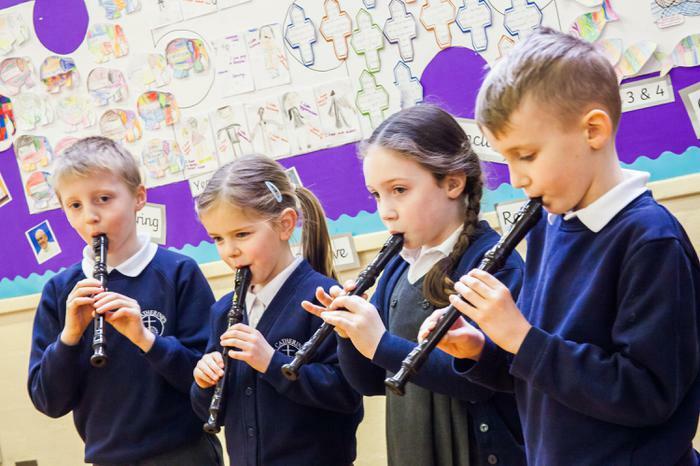 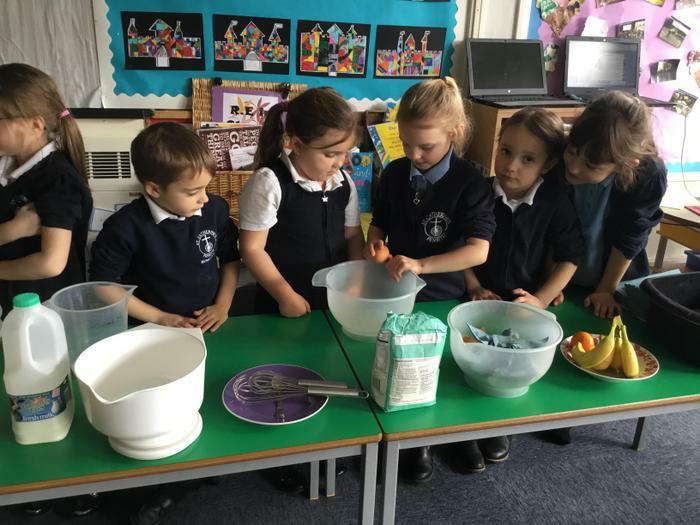 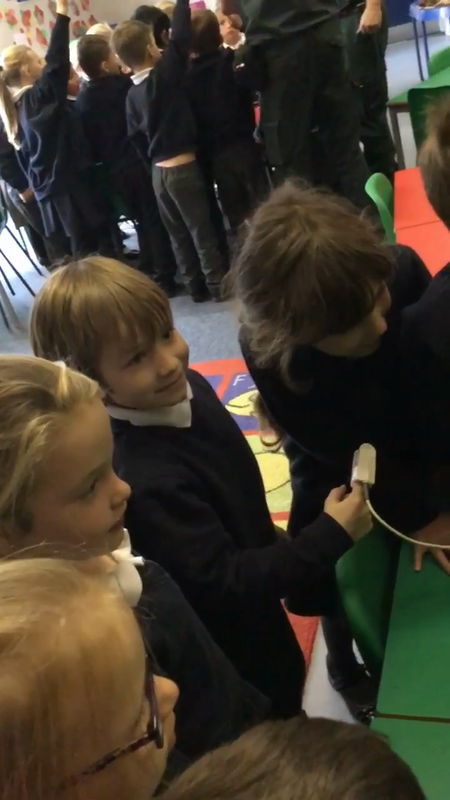 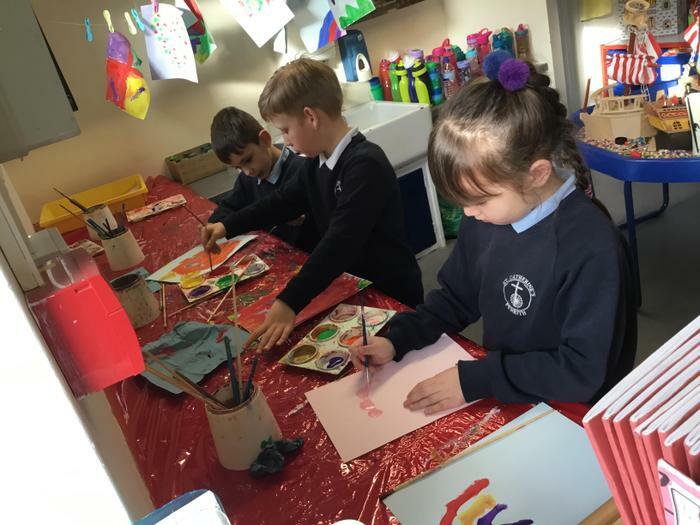 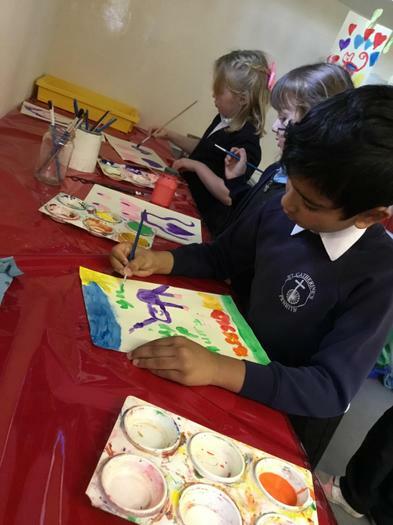 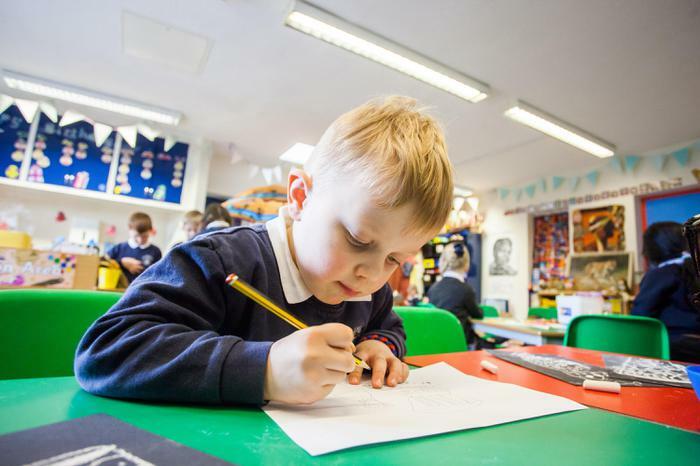 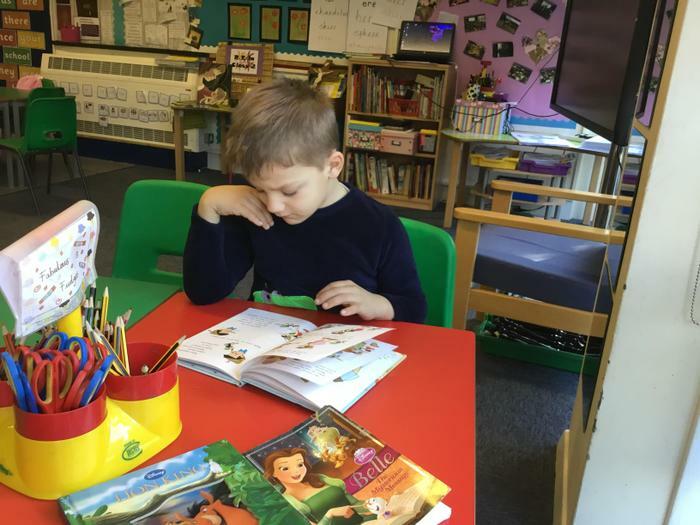 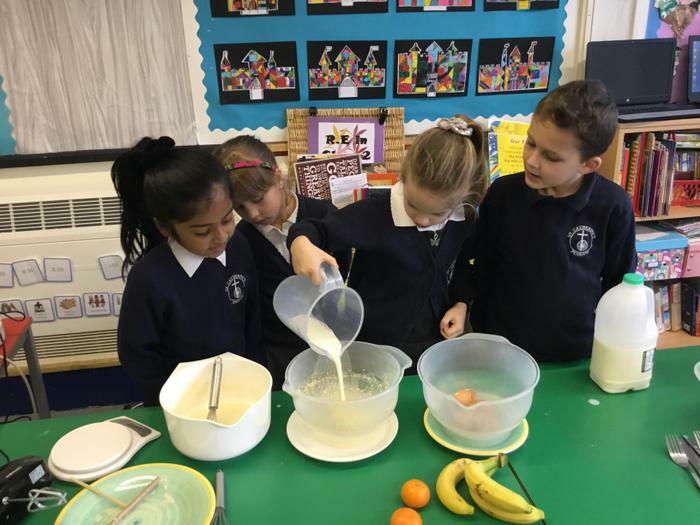 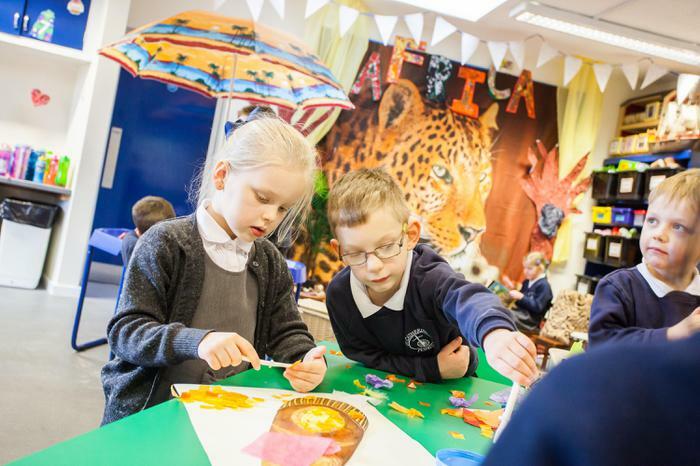 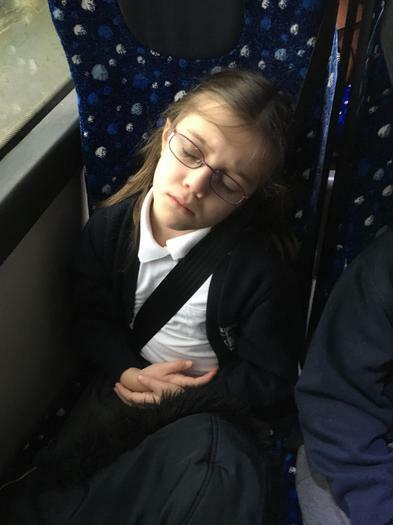 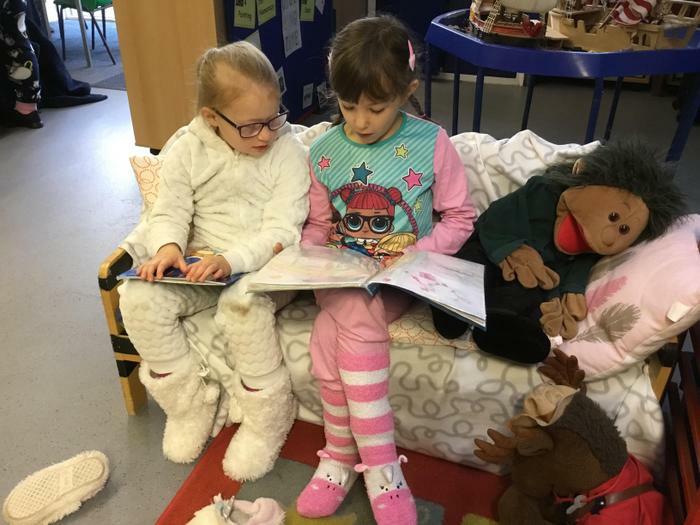 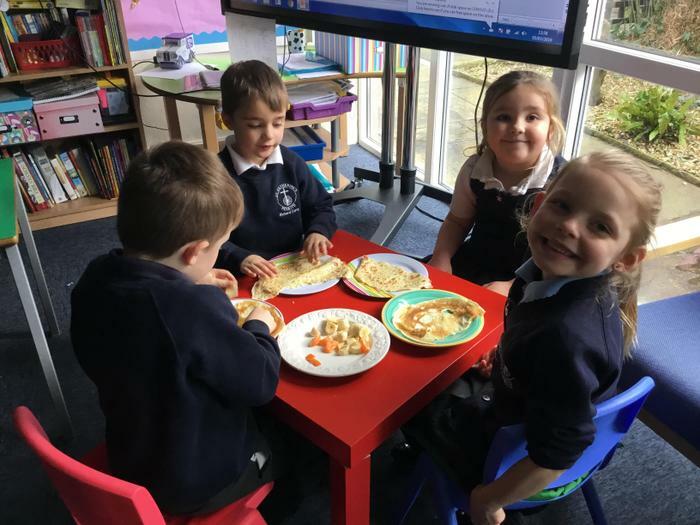 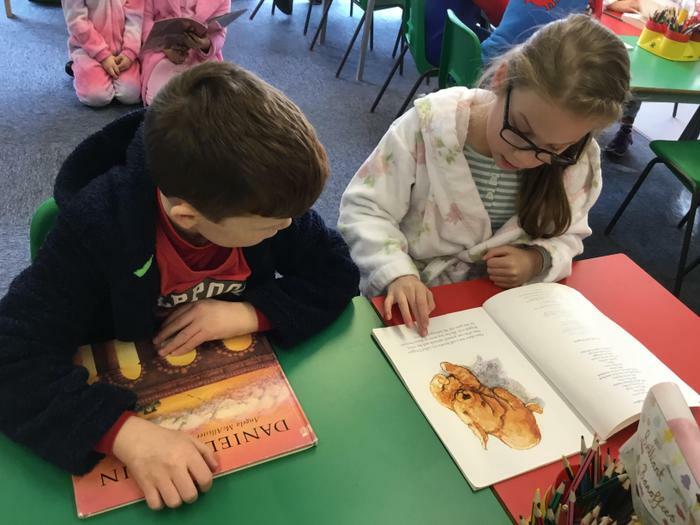 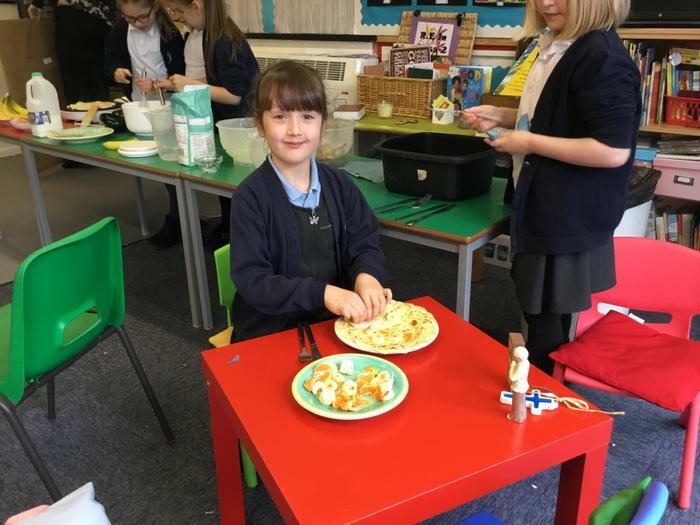 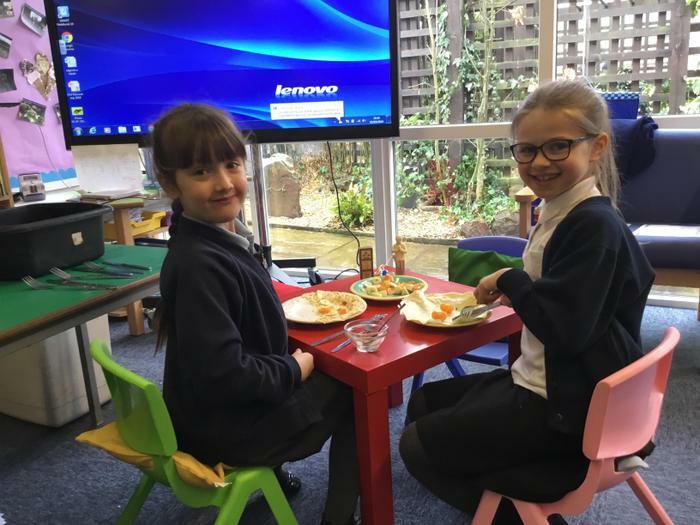 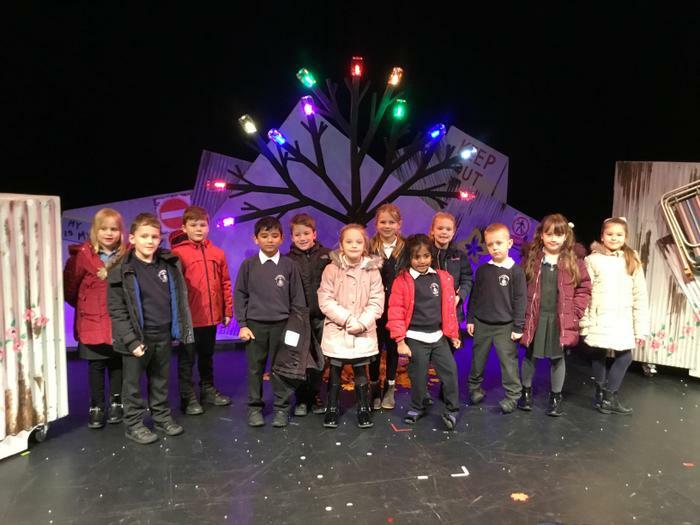 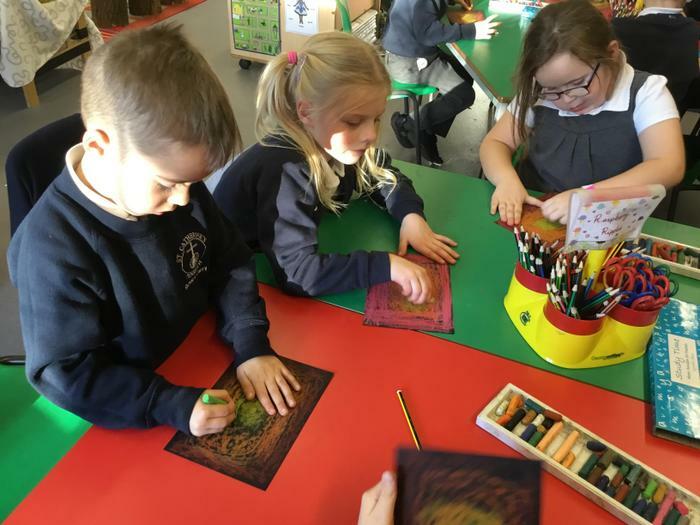 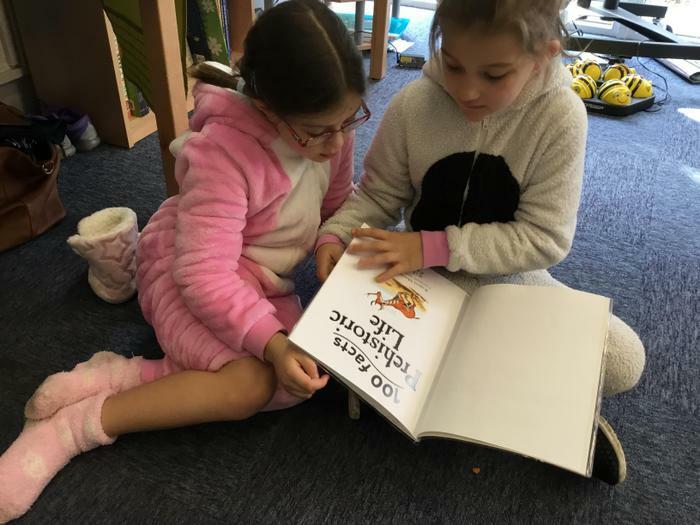 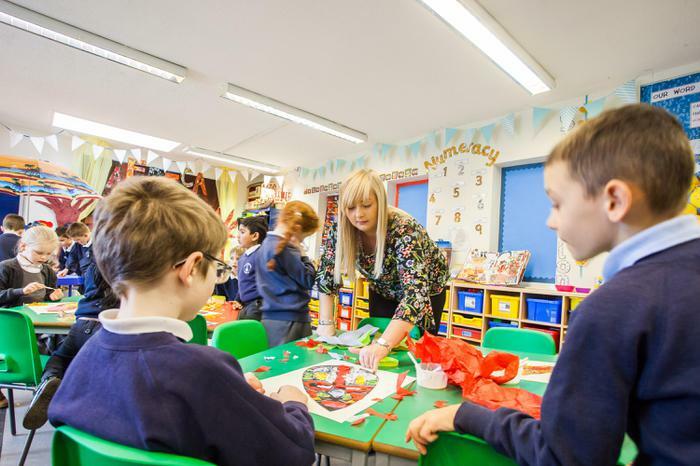 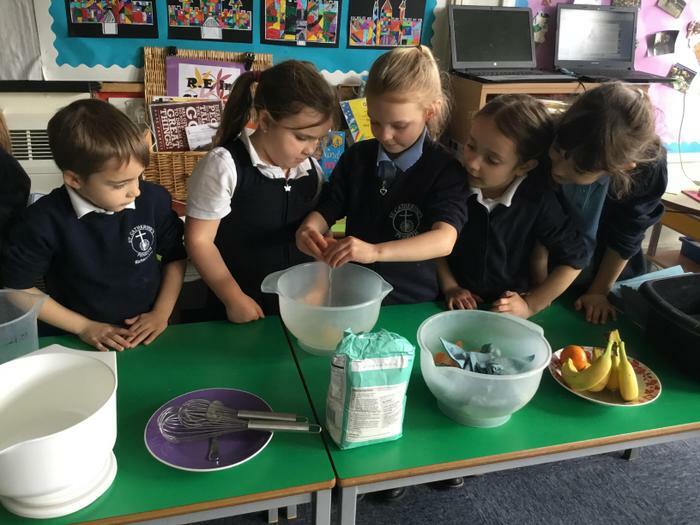 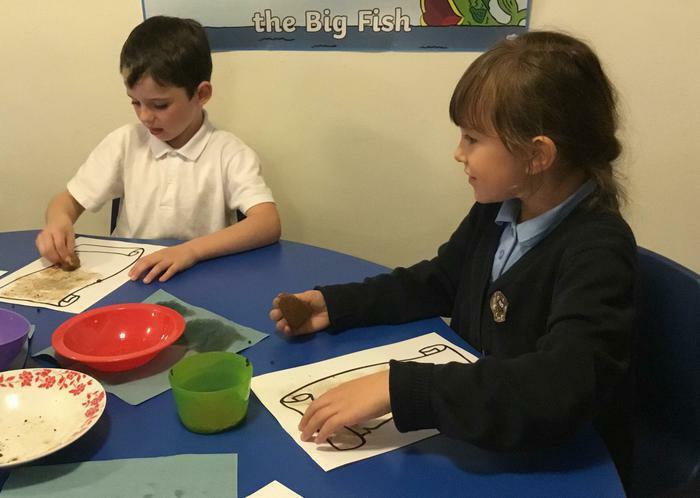 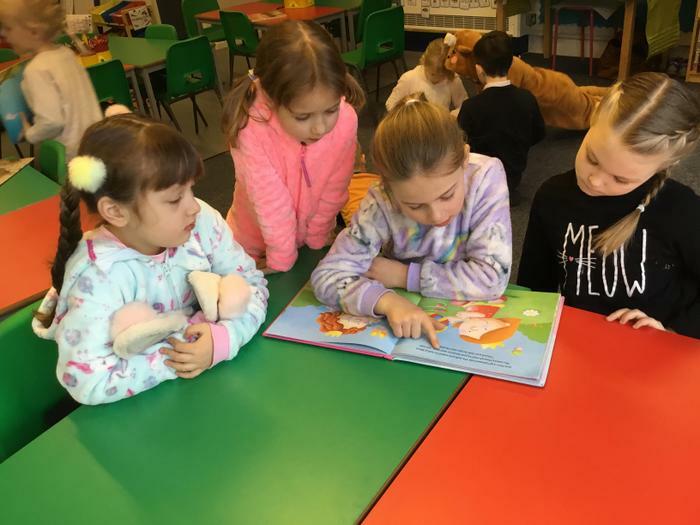 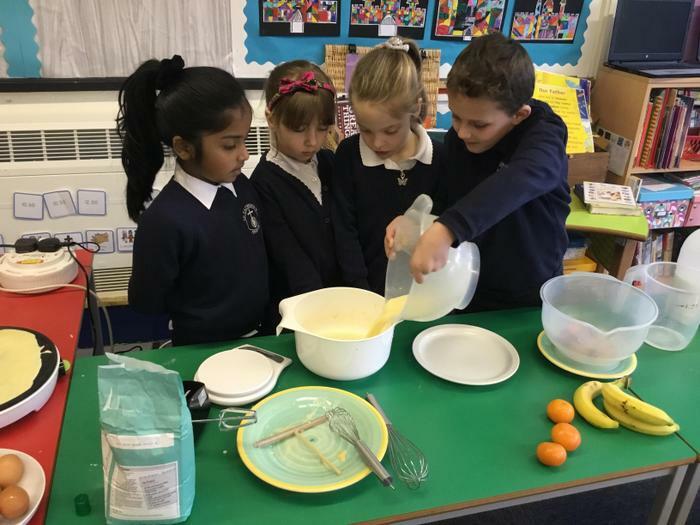 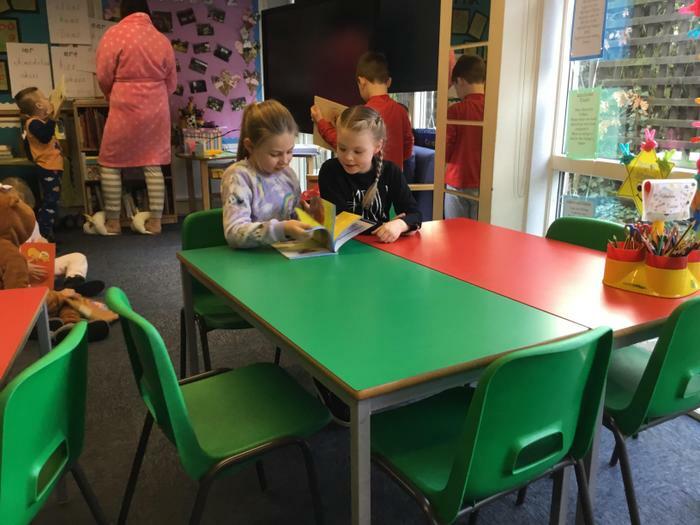 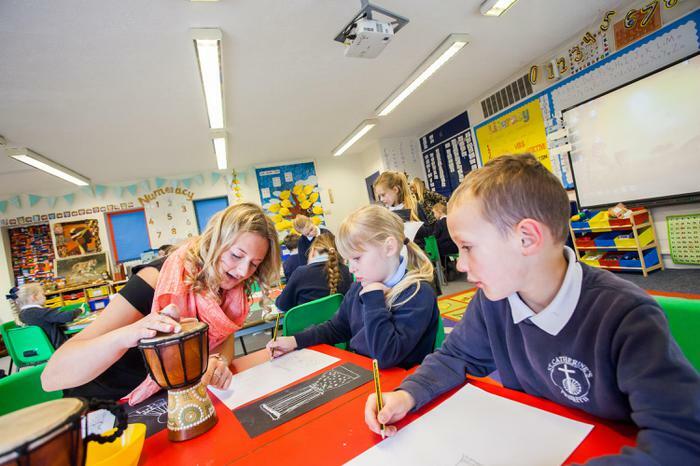 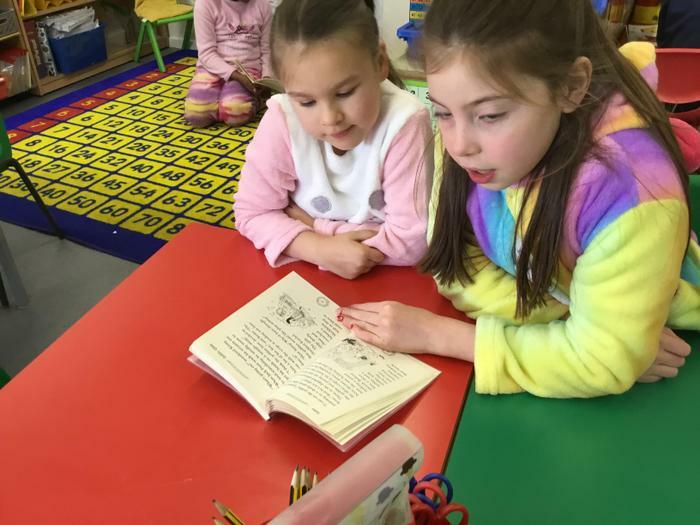 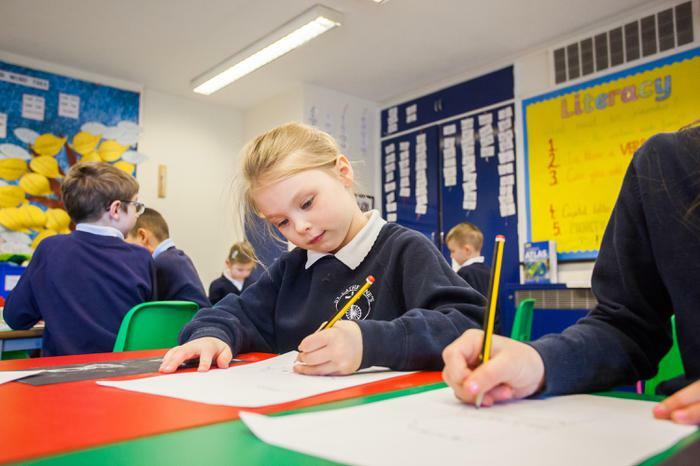 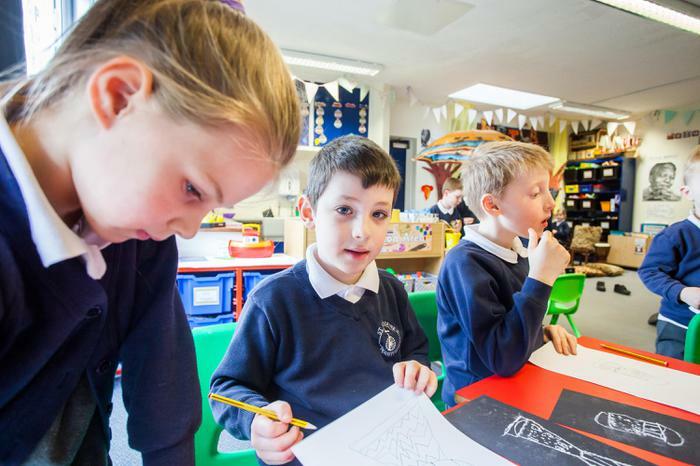 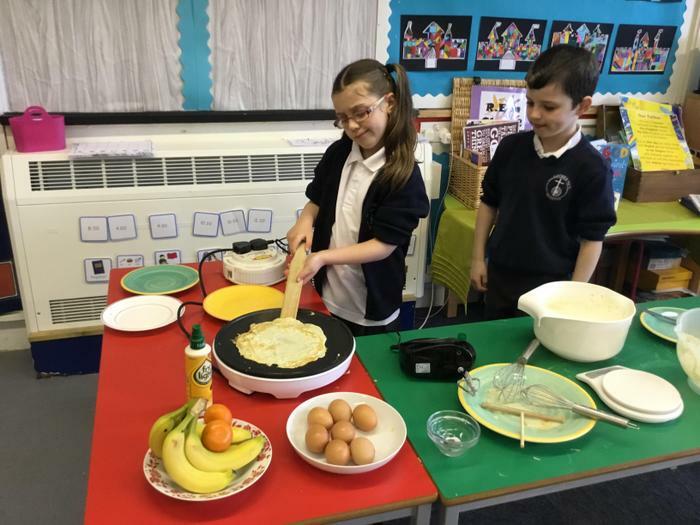 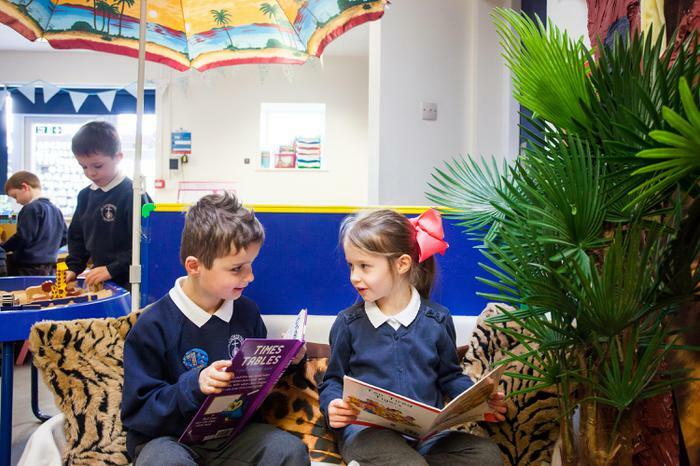 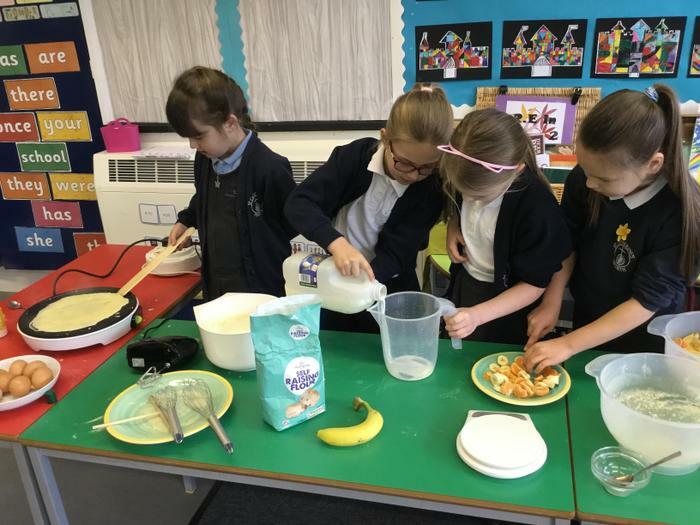 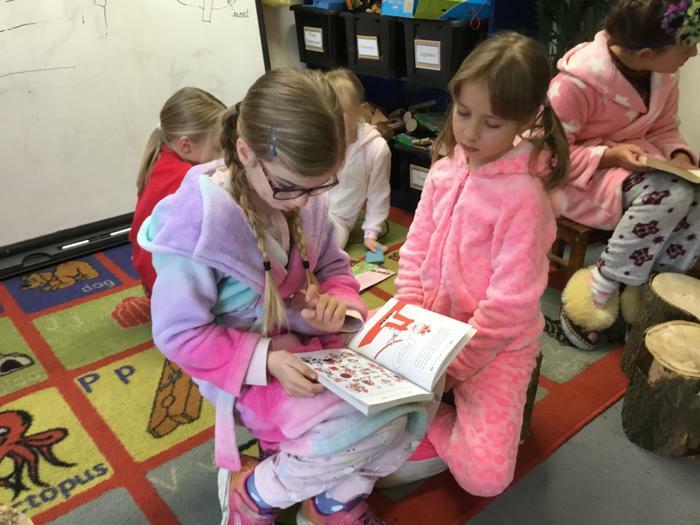 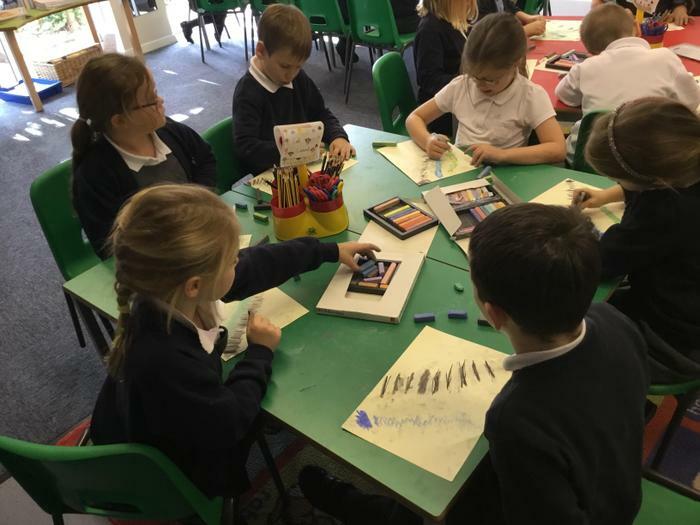 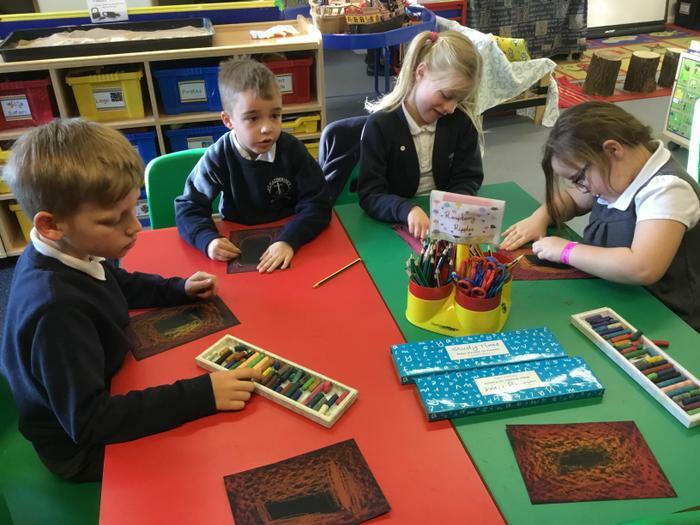 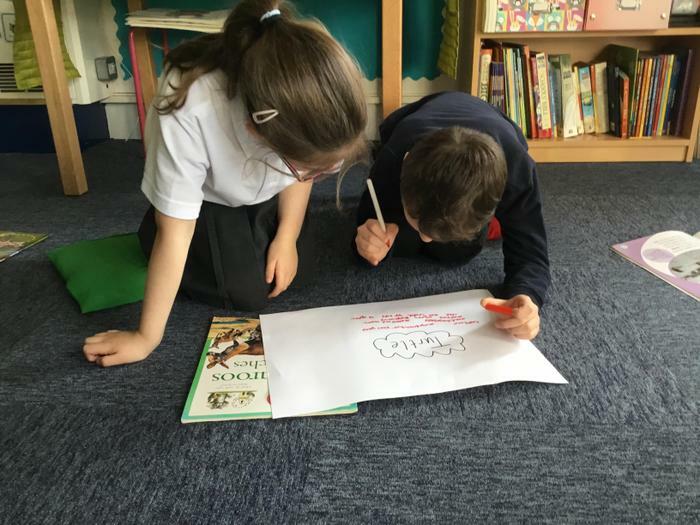 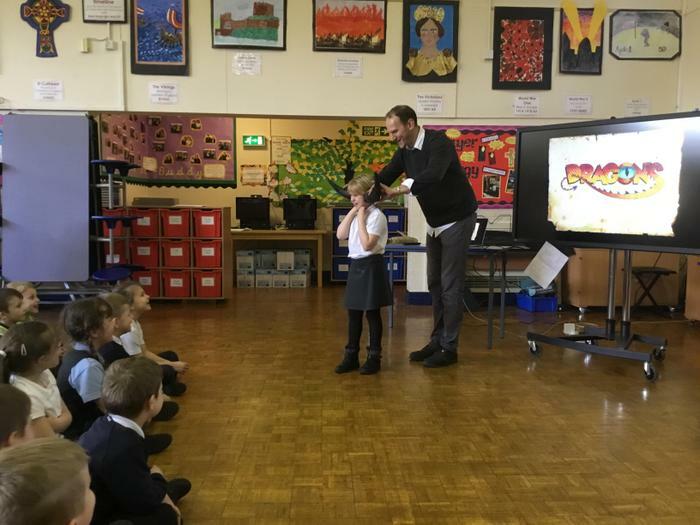 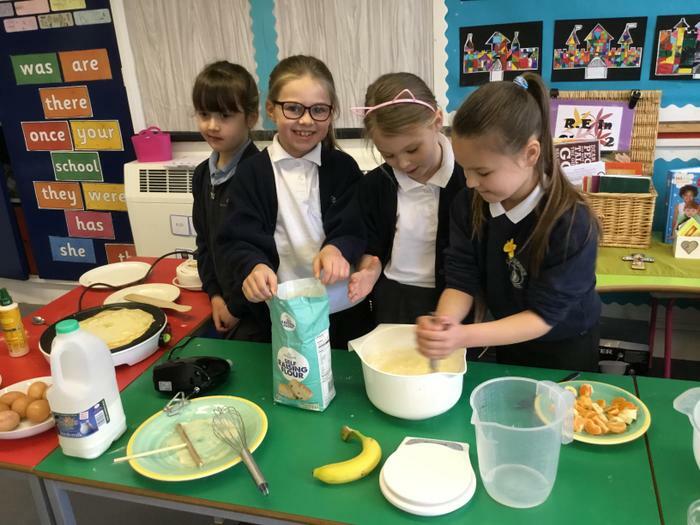 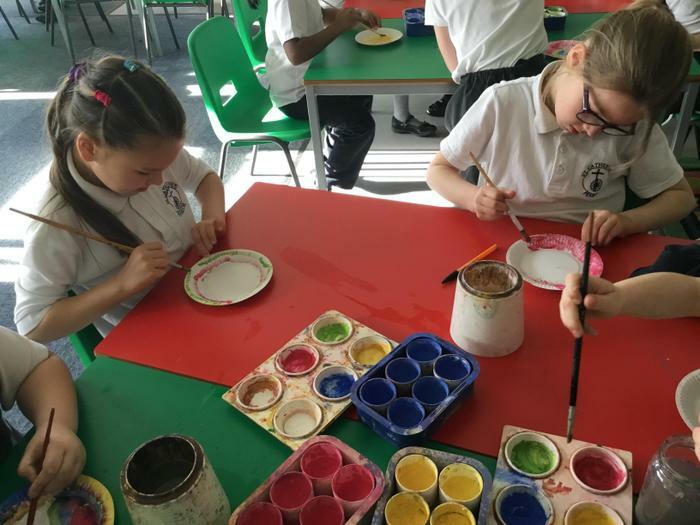 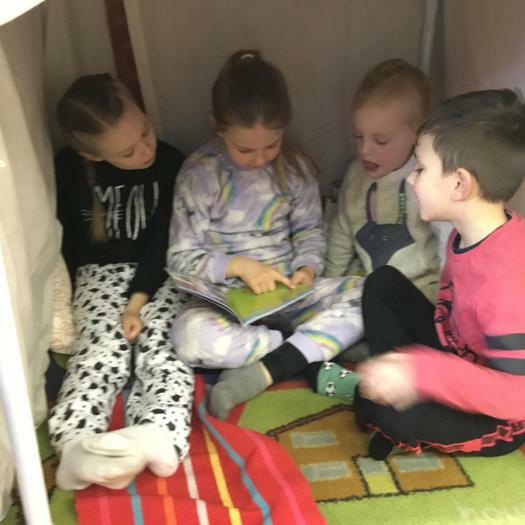 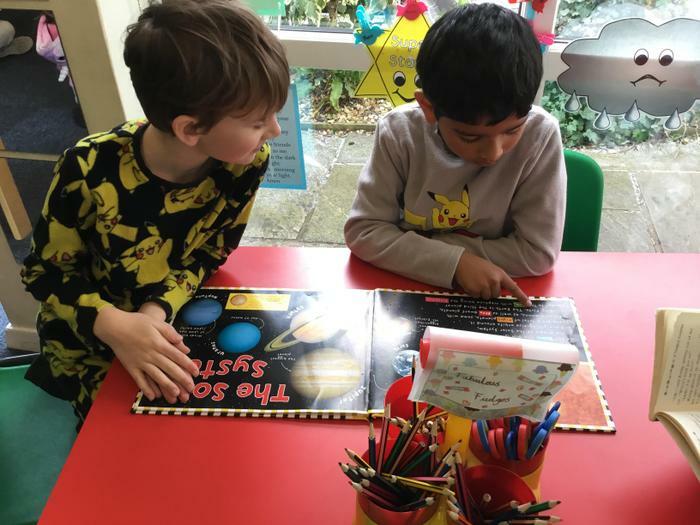 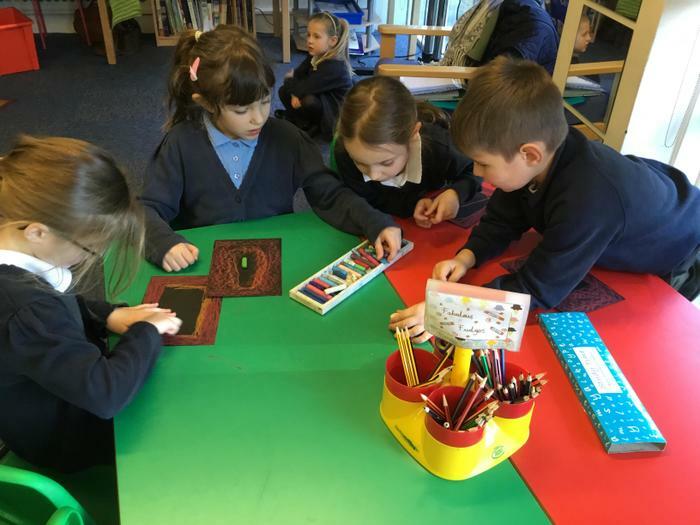 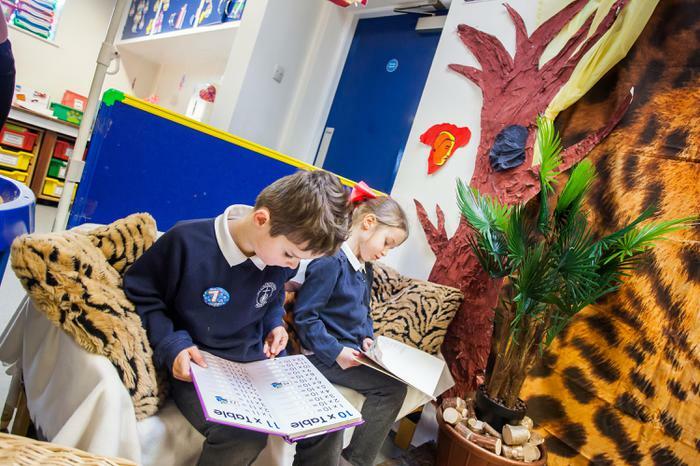 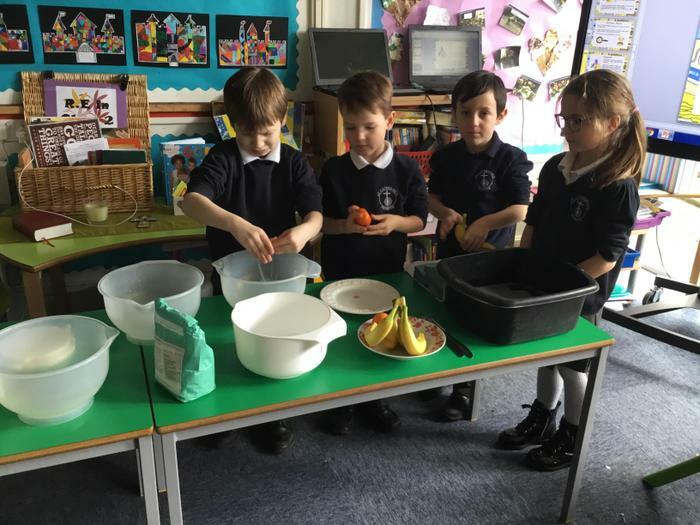 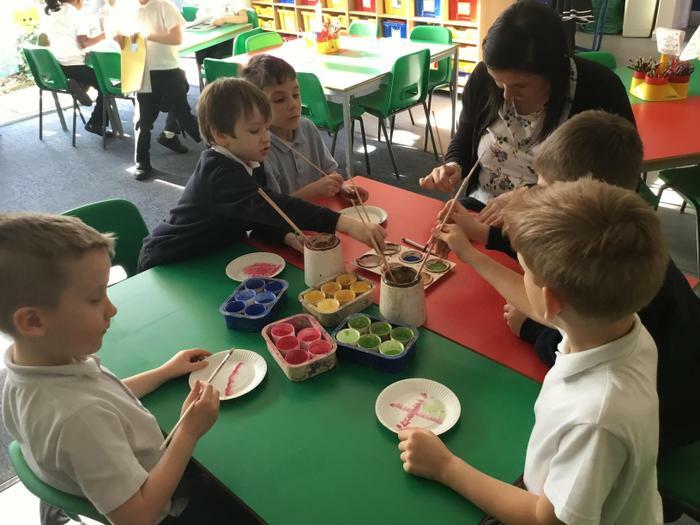 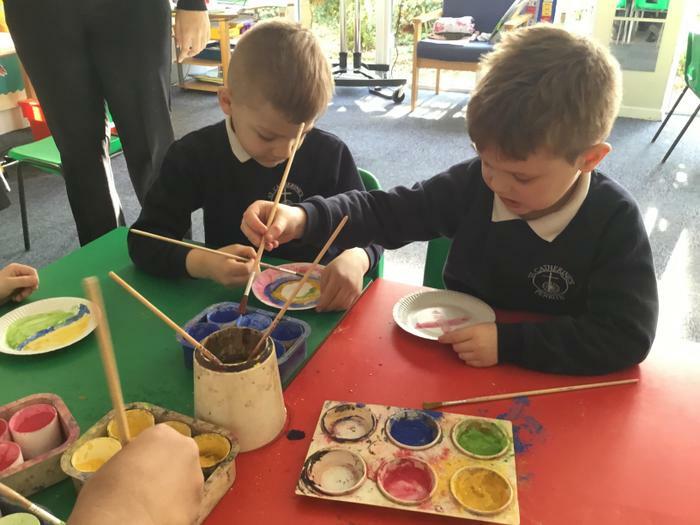 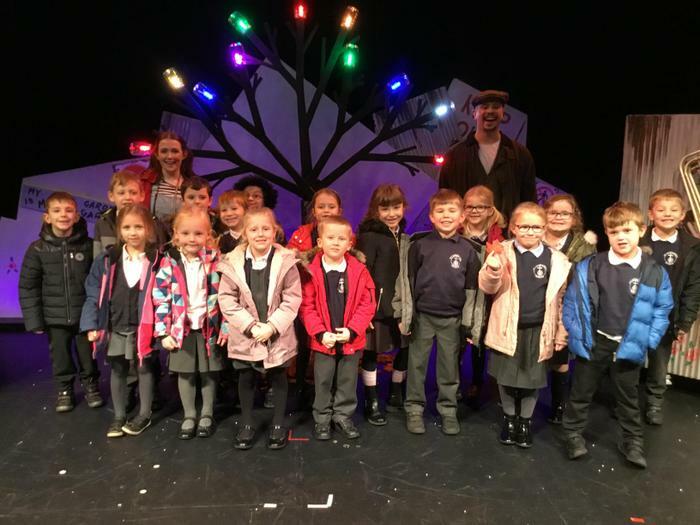 March: We were extremely delighted to welcome Brunswick Children into our school for a fun-filled afternoon with children's author and illustrator Mark Robertson. 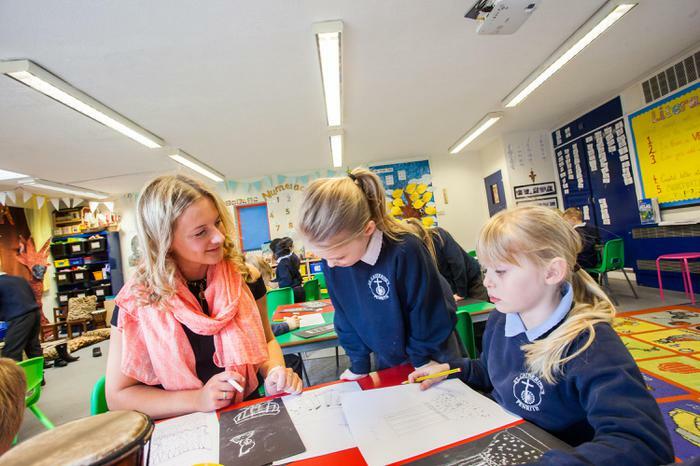 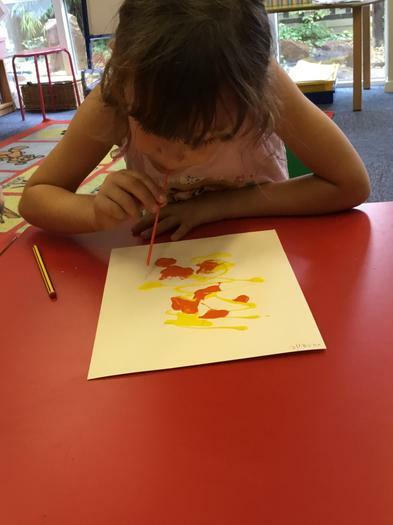 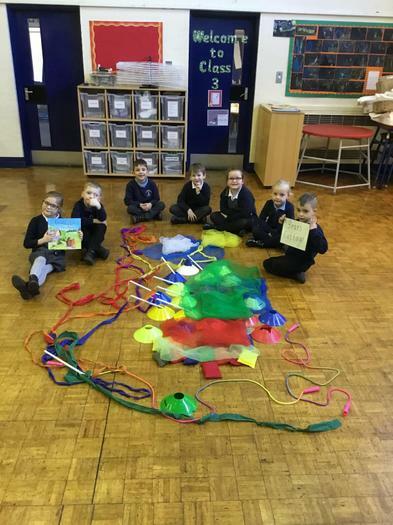 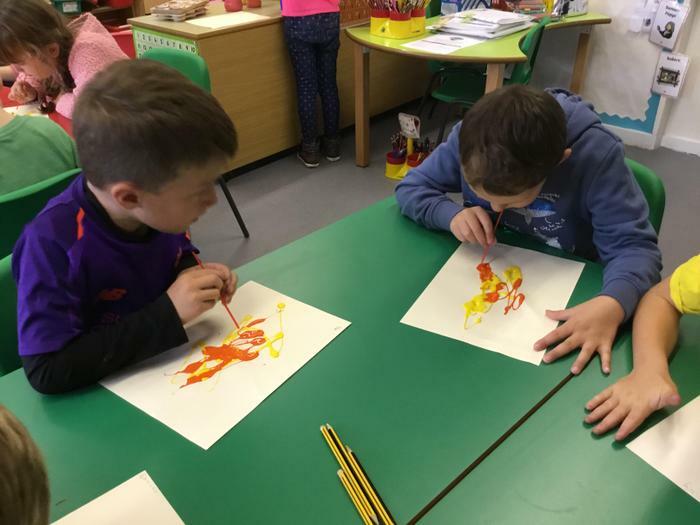 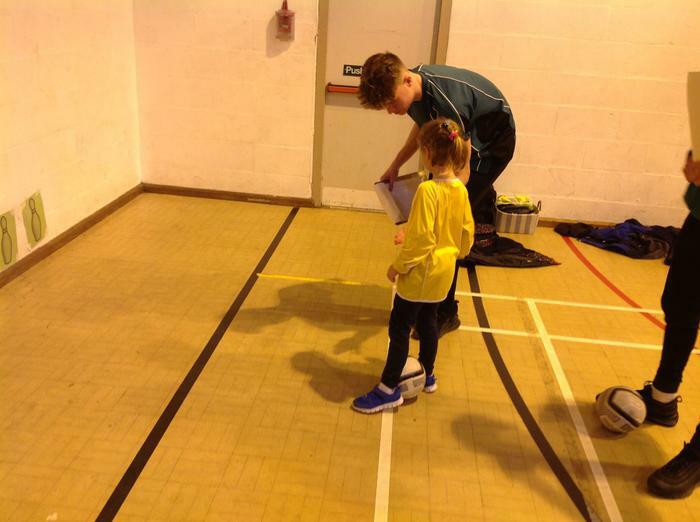 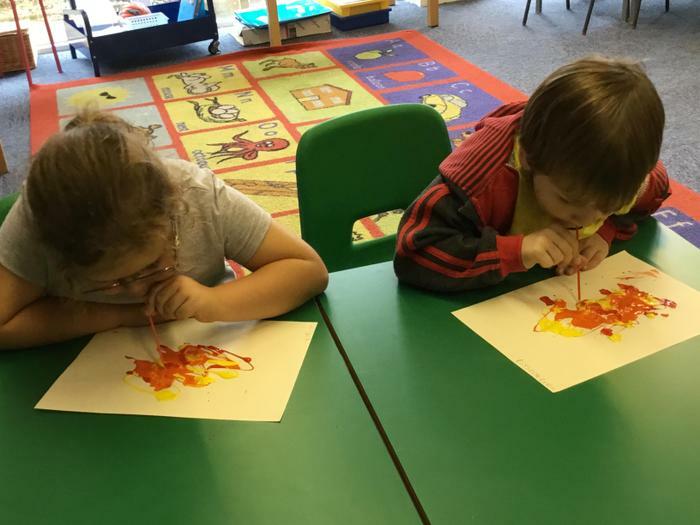 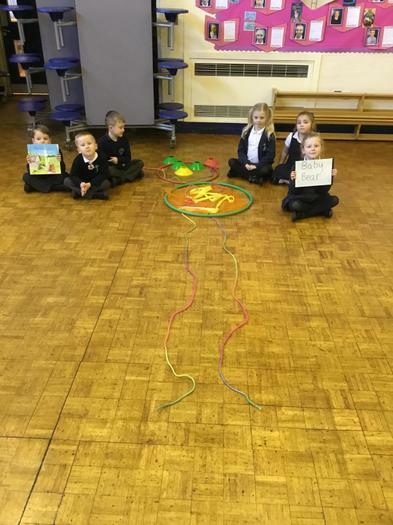 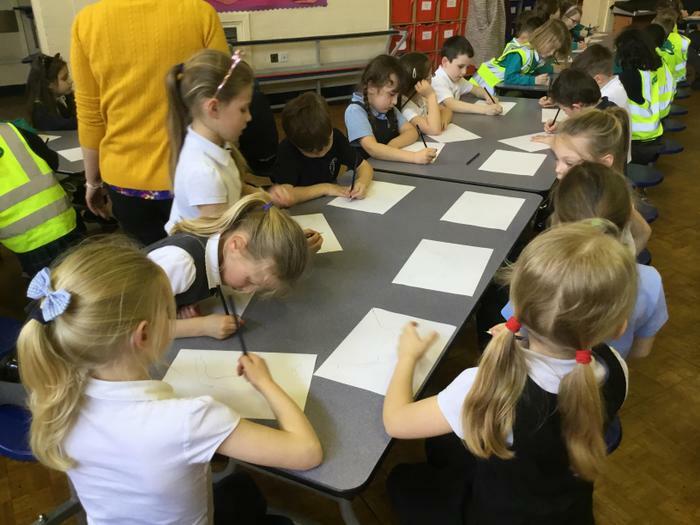 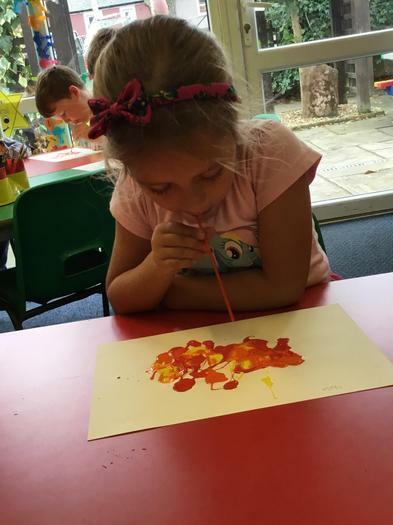 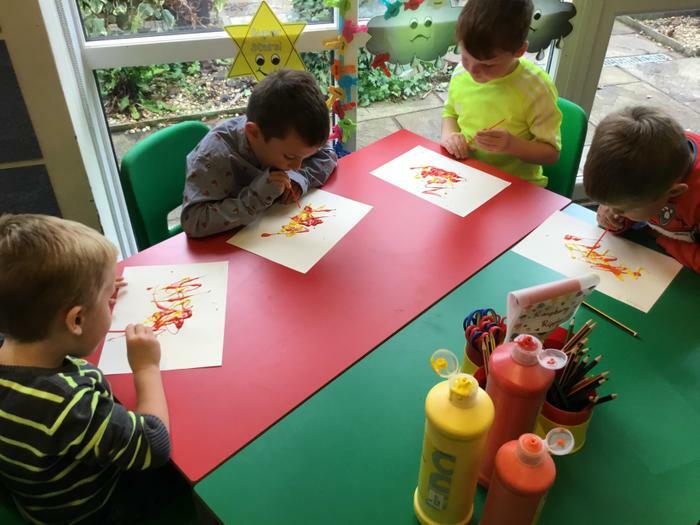 The children enjoyed a story workshop followed by a step-by-step guide to draw their very own dragon! 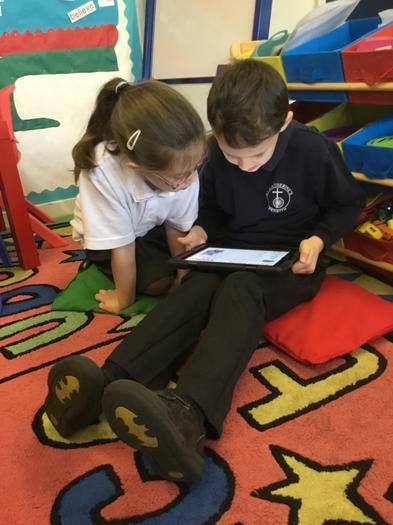 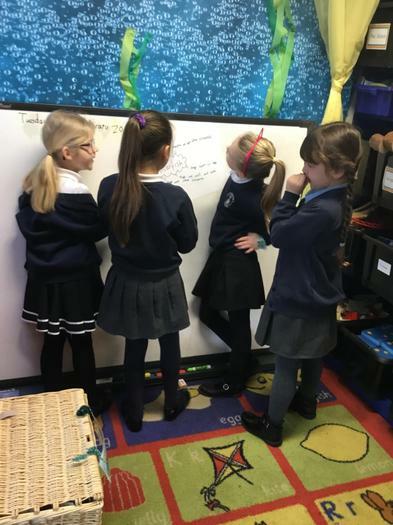 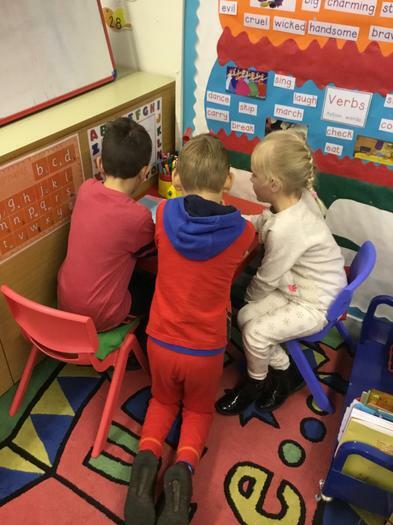 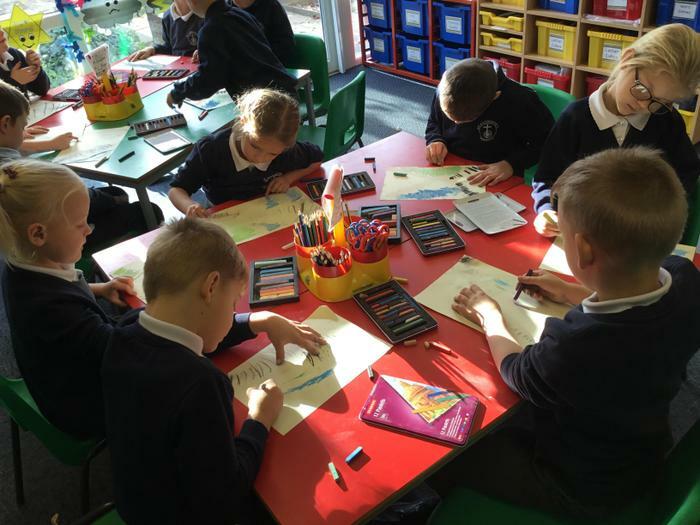 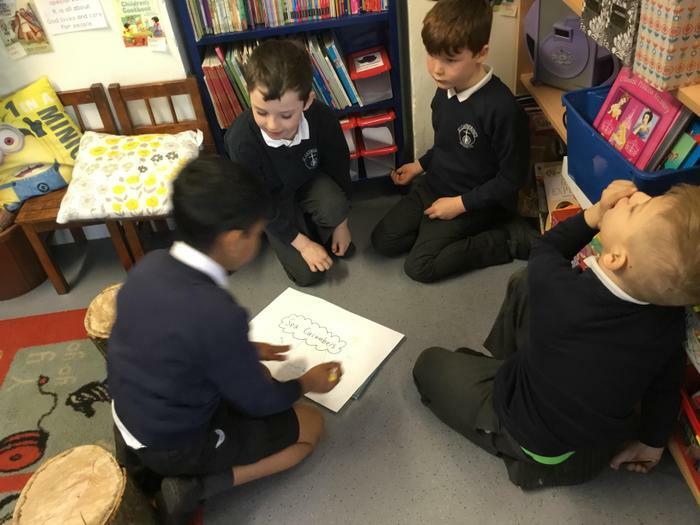 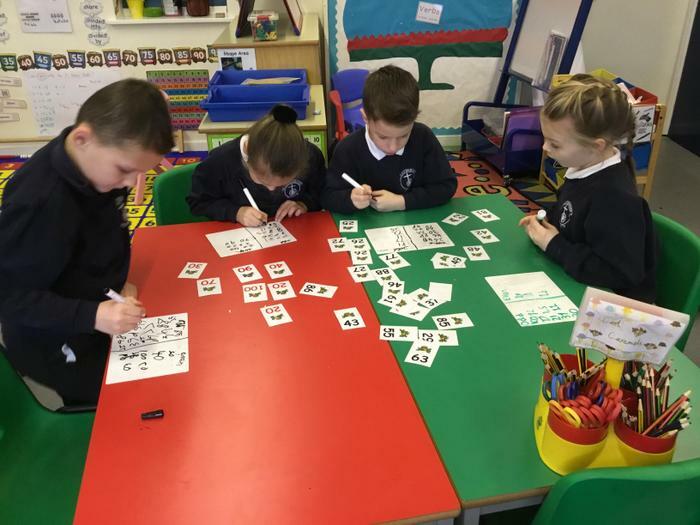 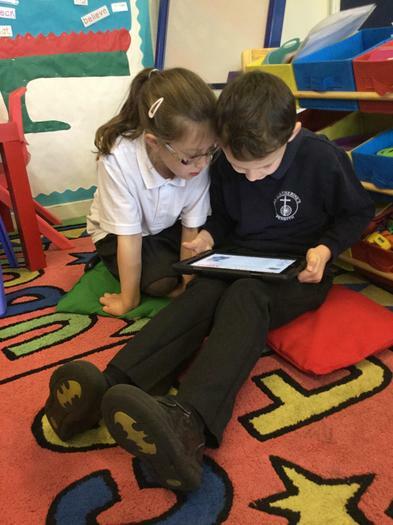 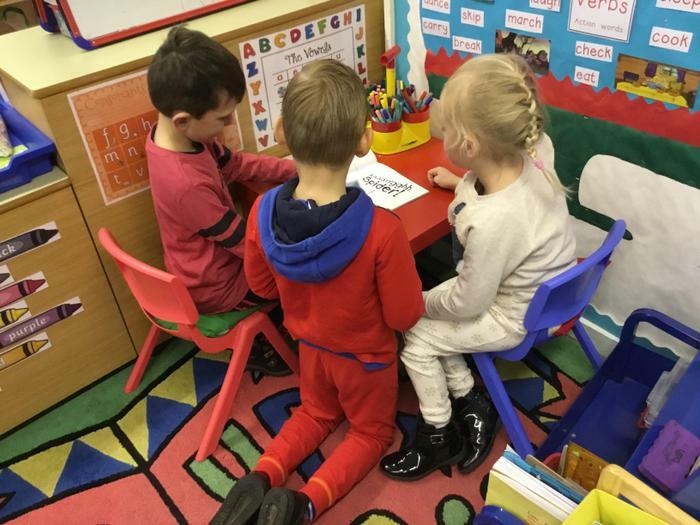 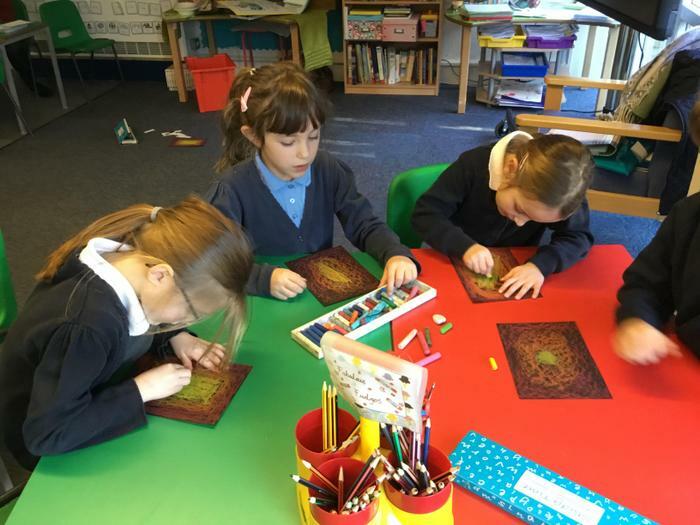 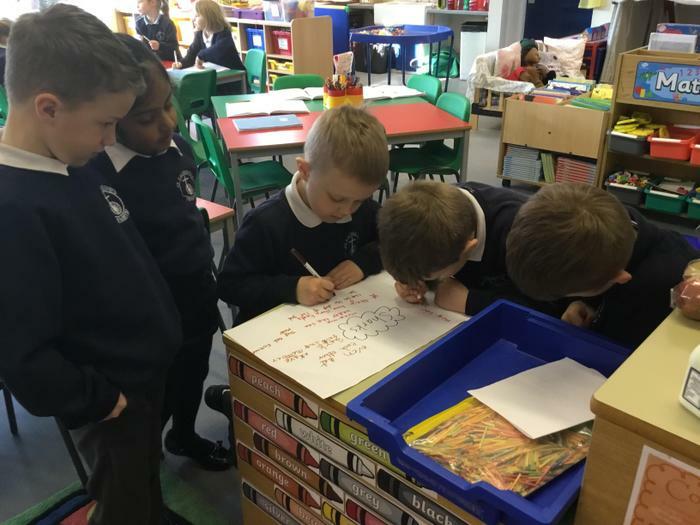 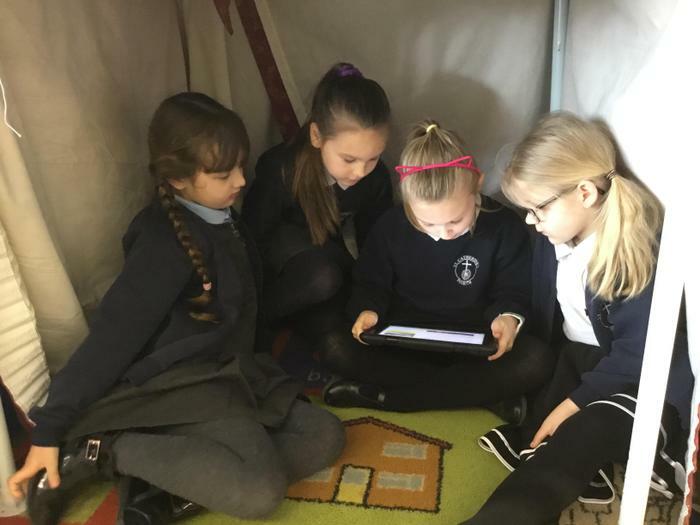 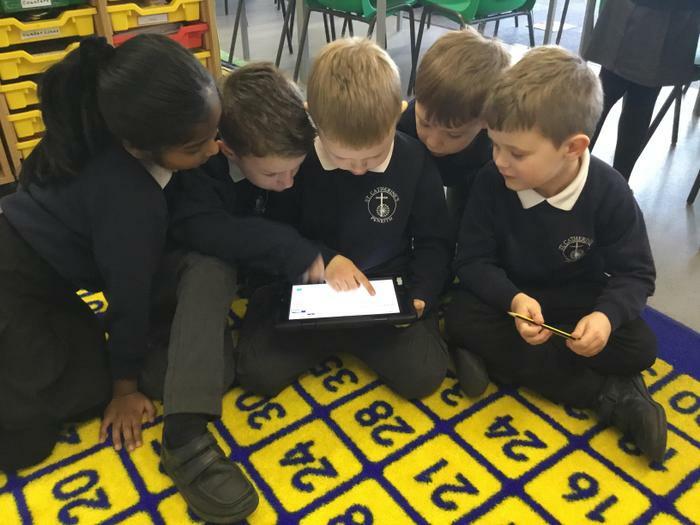 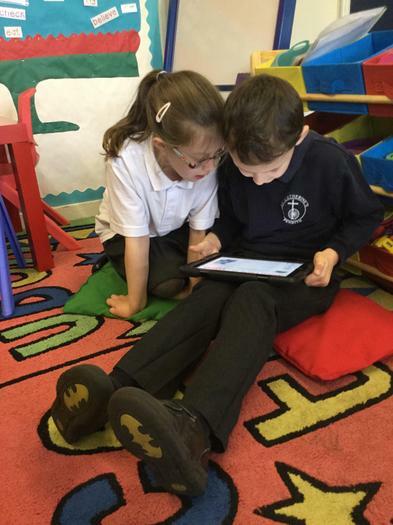 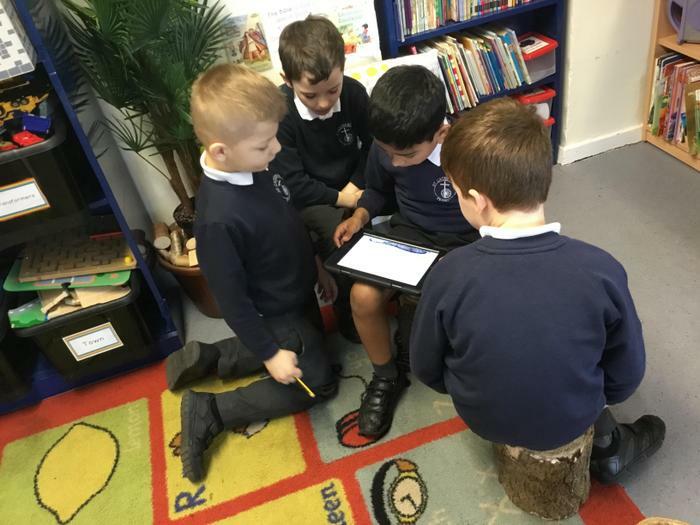 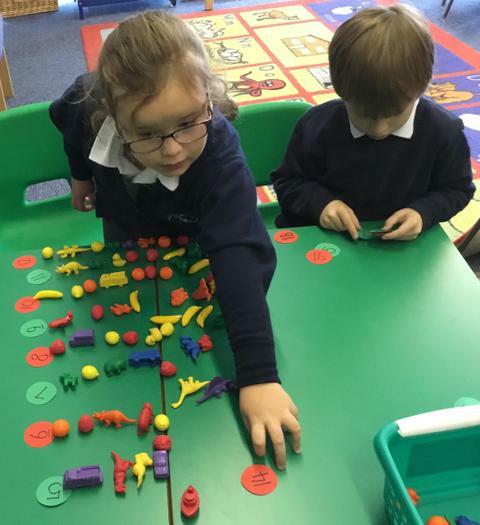 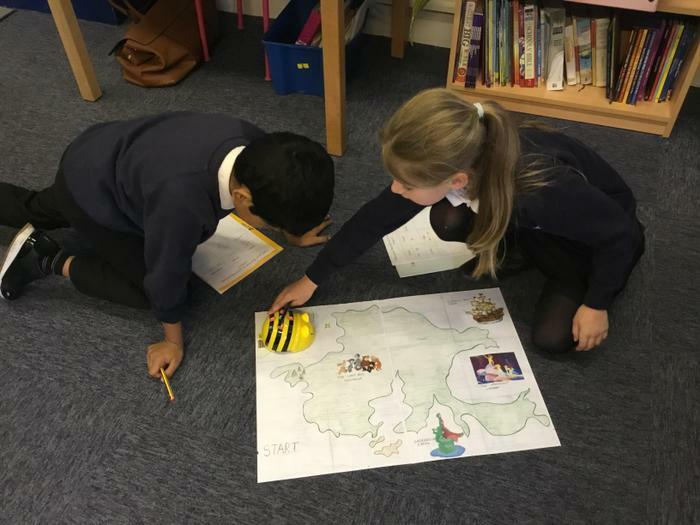 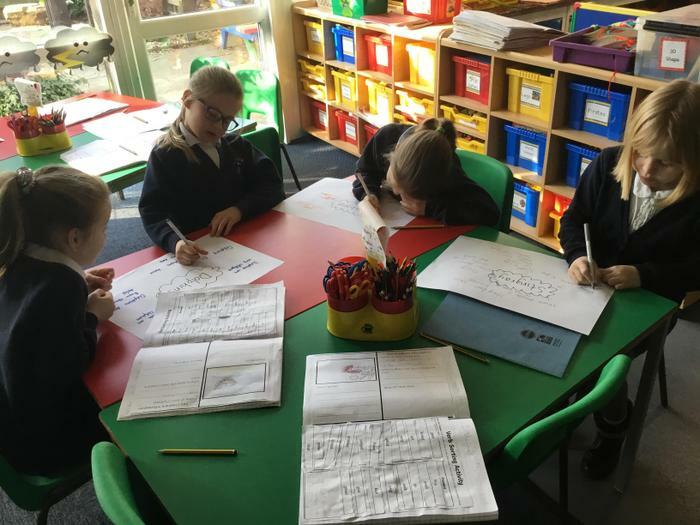 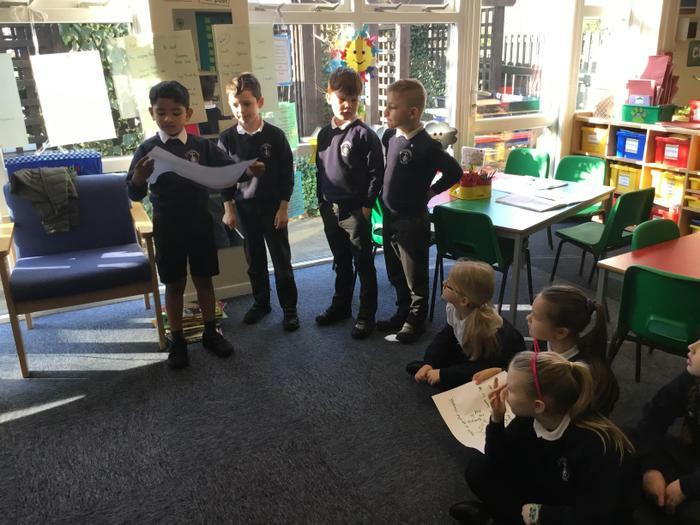 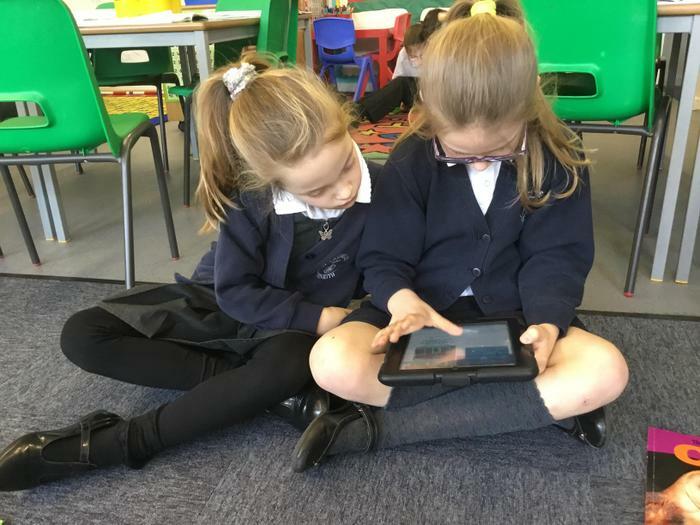 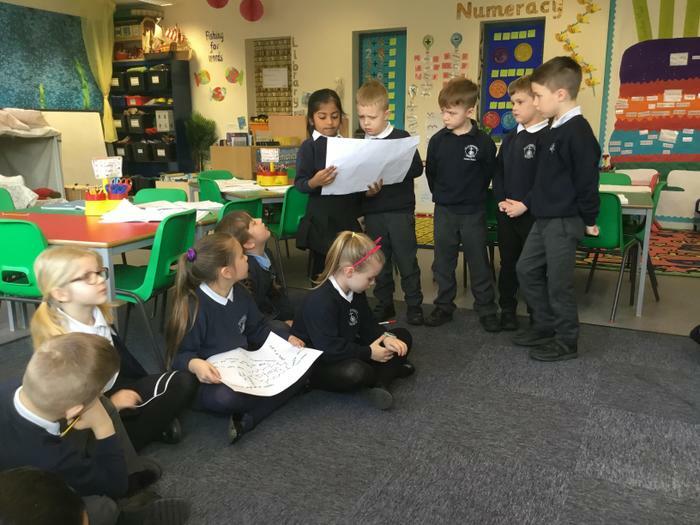 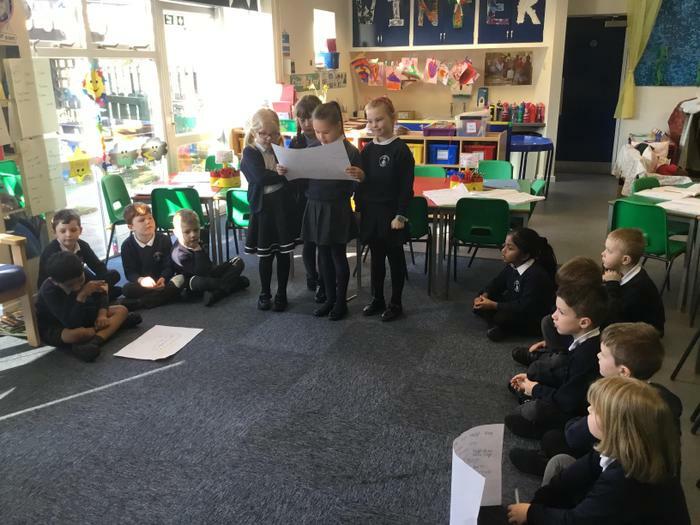 February: We have been very busy using ipads to research 'Under the Sea Creatures', we worked in groups to collate information before presenting it to the rest of the class. 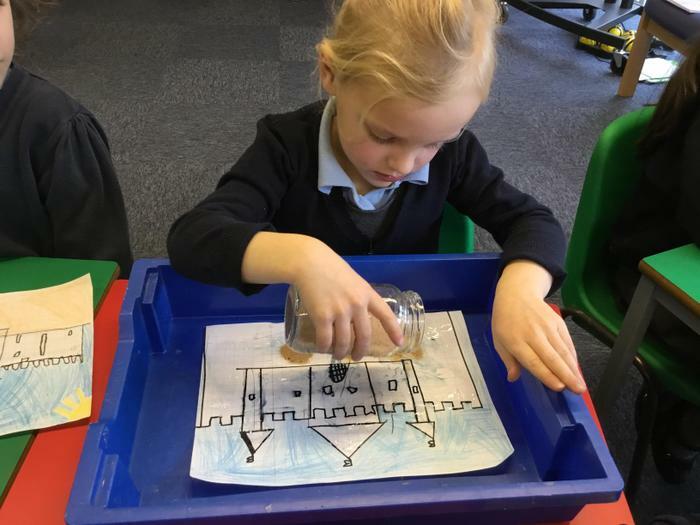 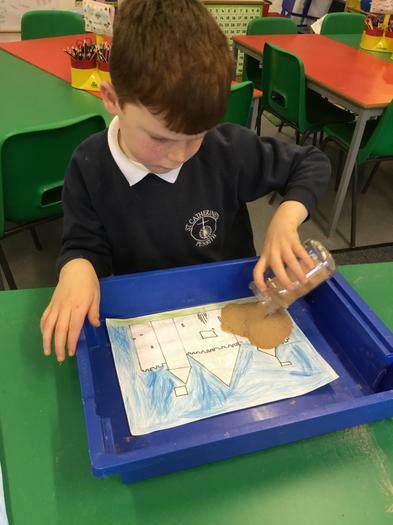 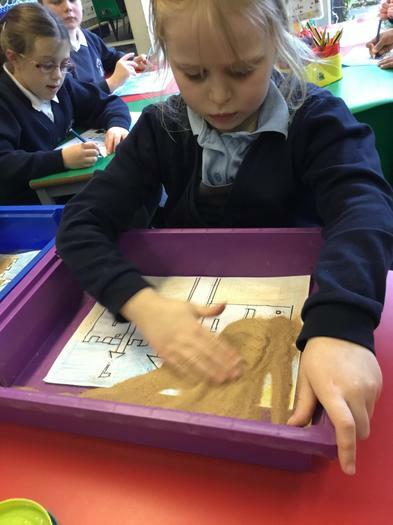 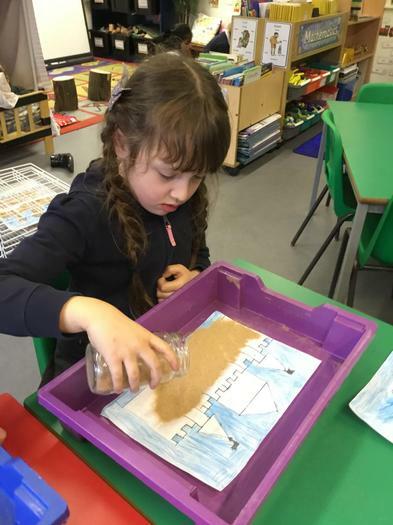 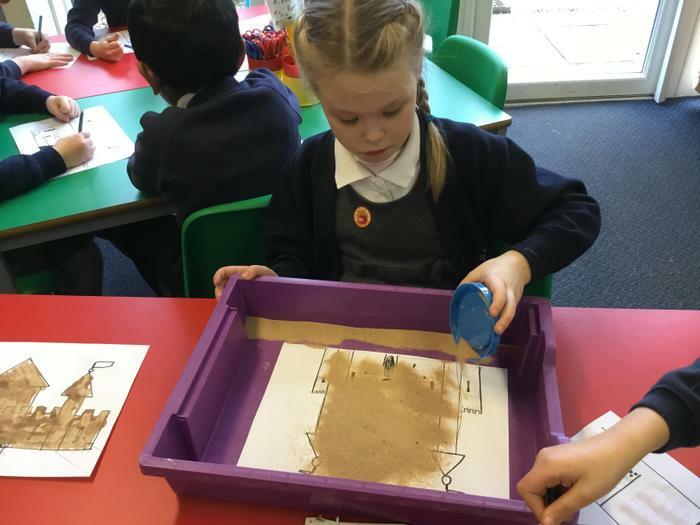 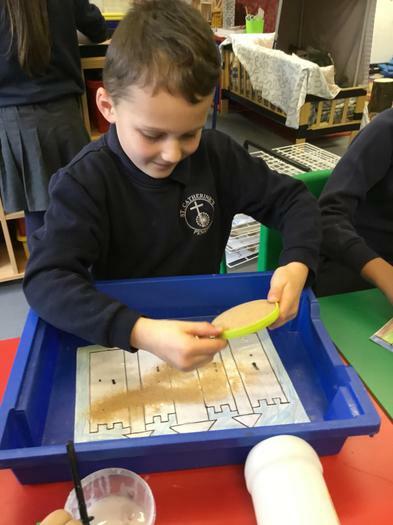 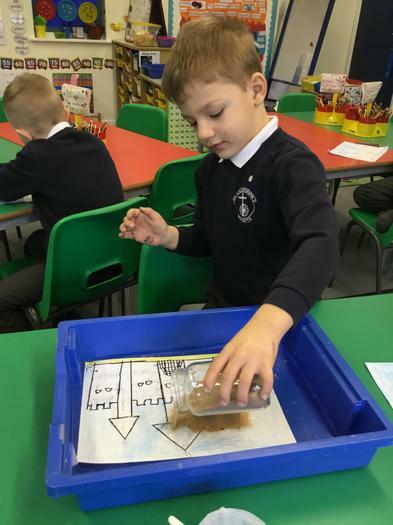 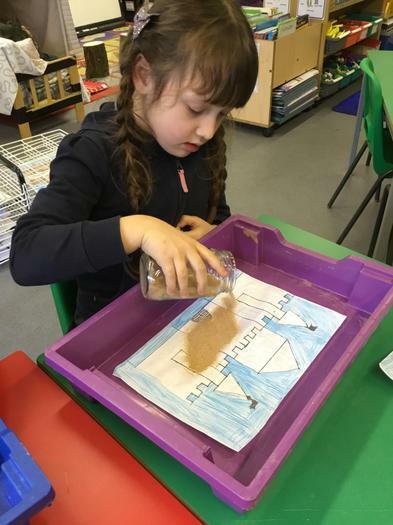 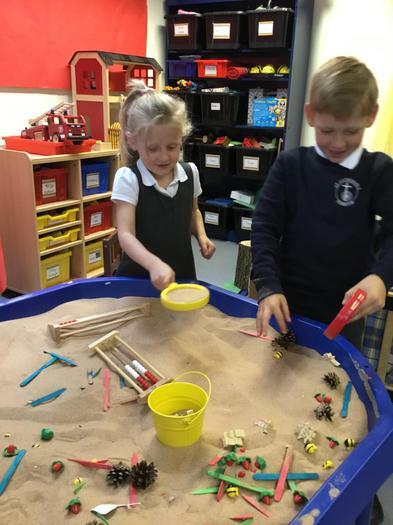 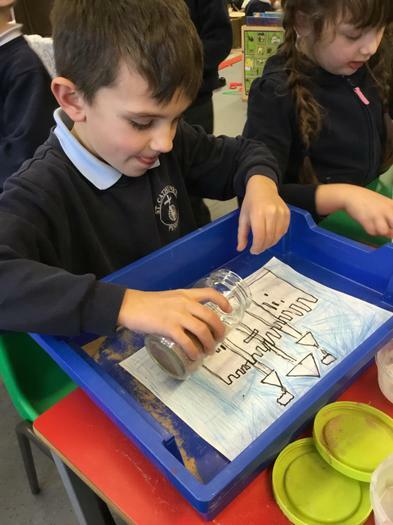 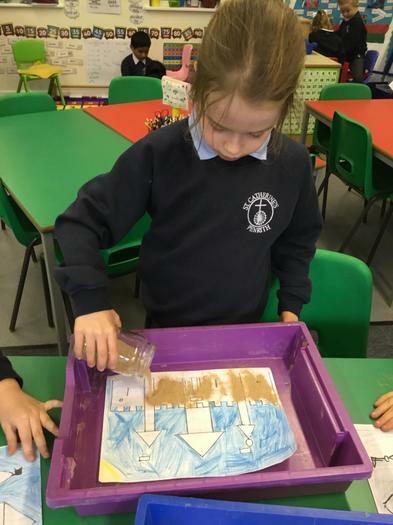 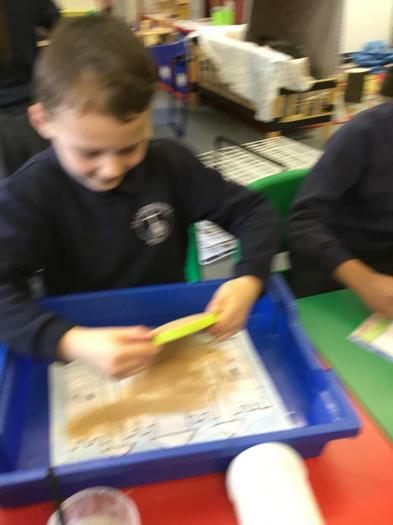 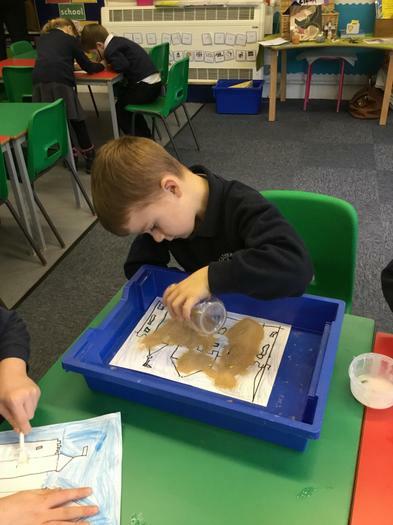 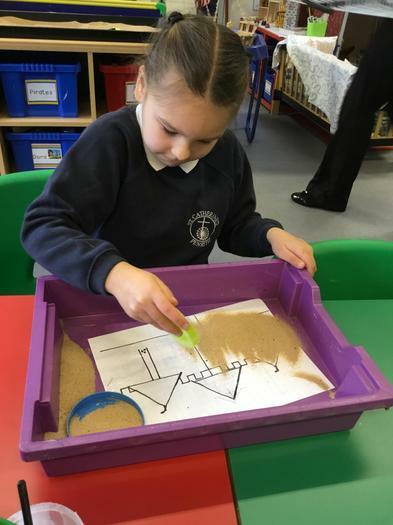 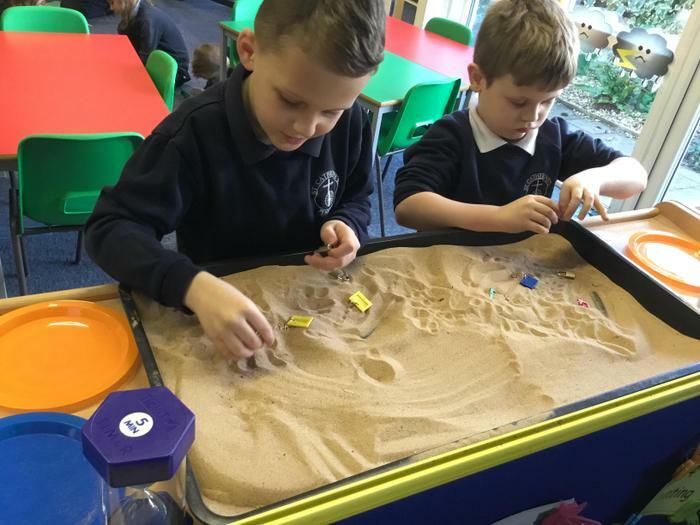 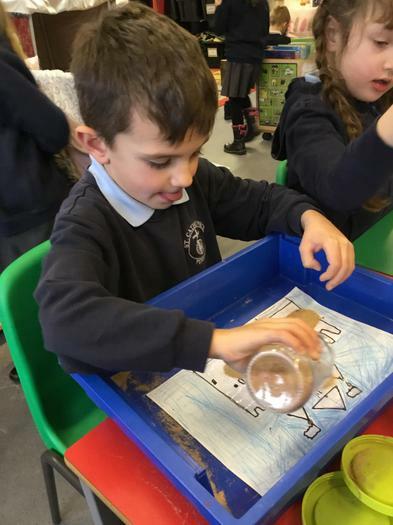 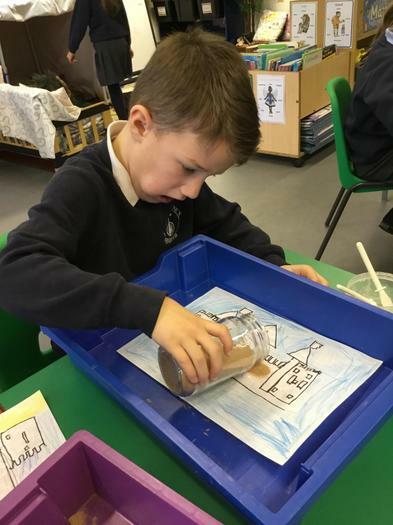 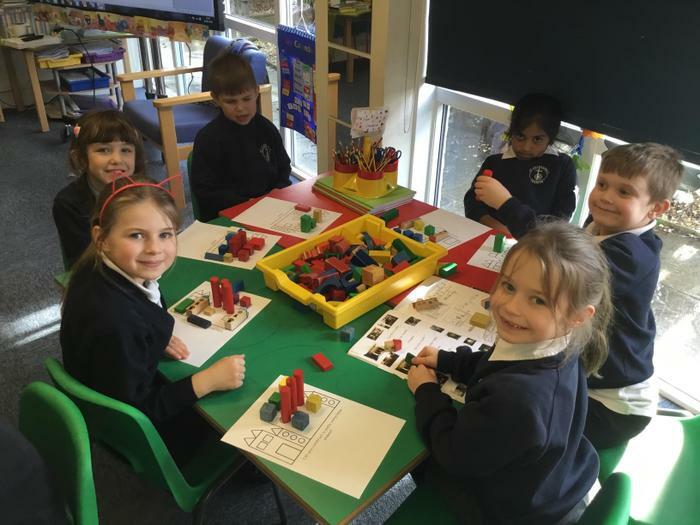 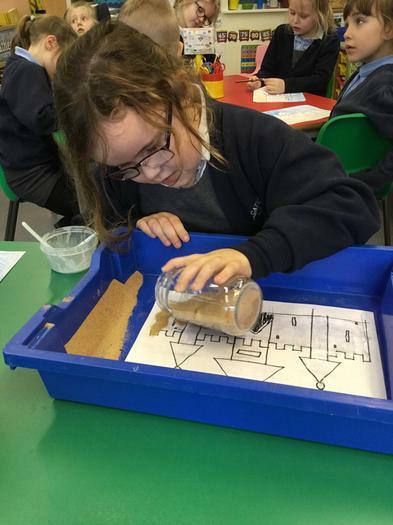 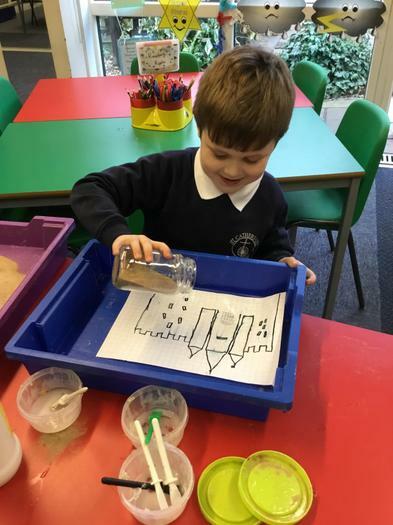 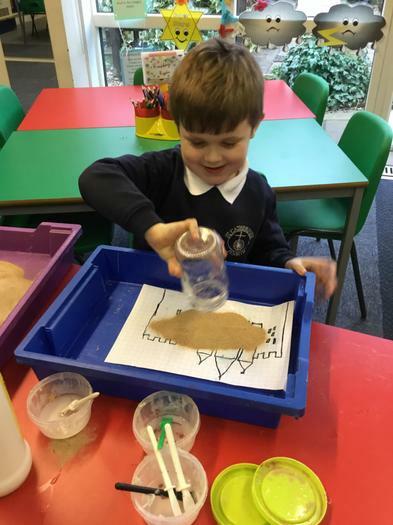 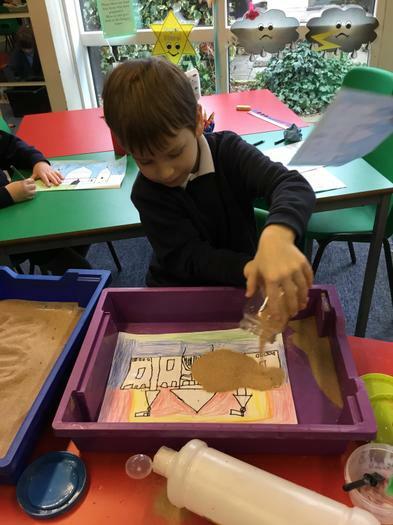 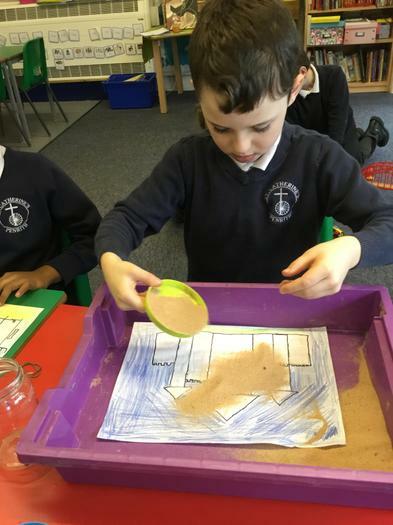 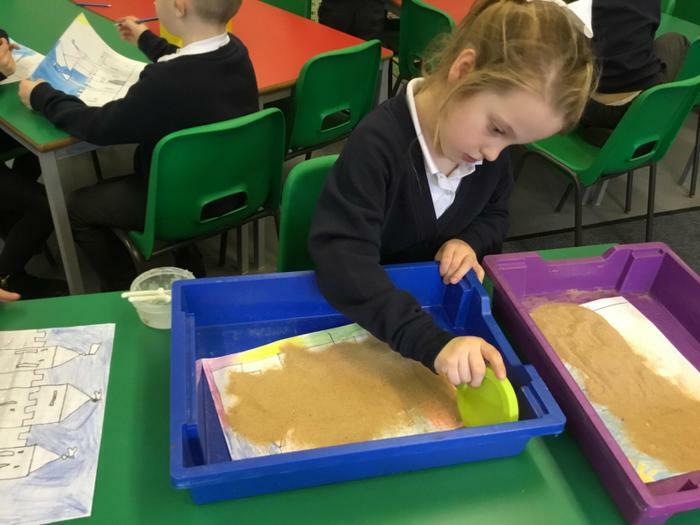 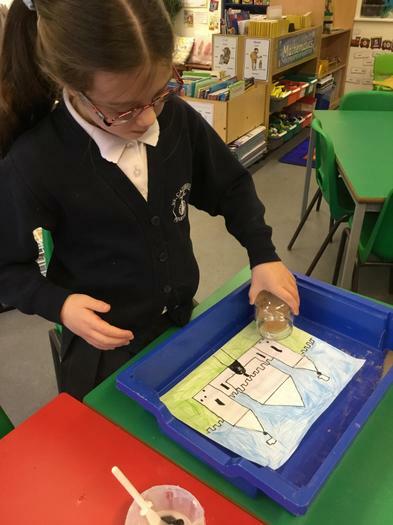 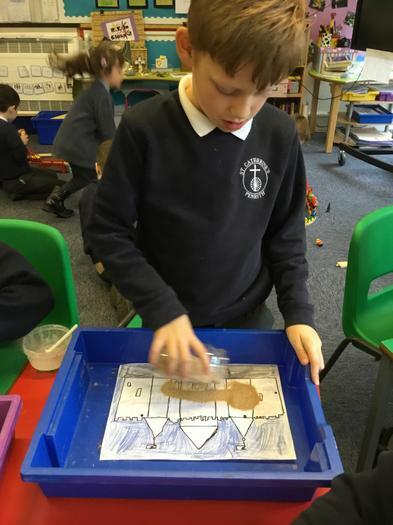 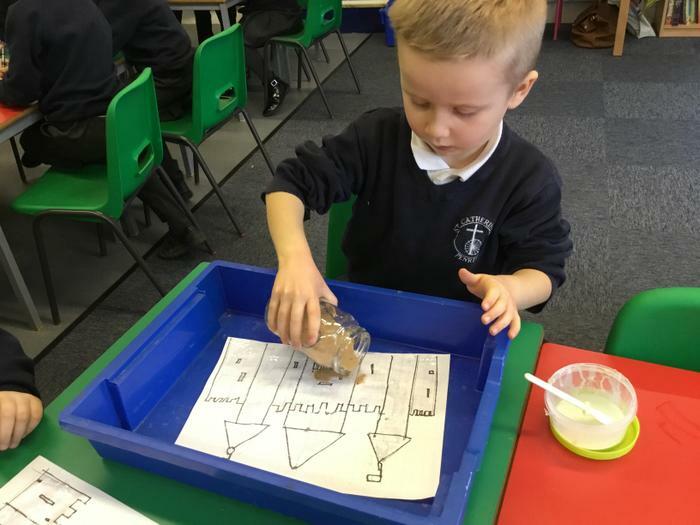 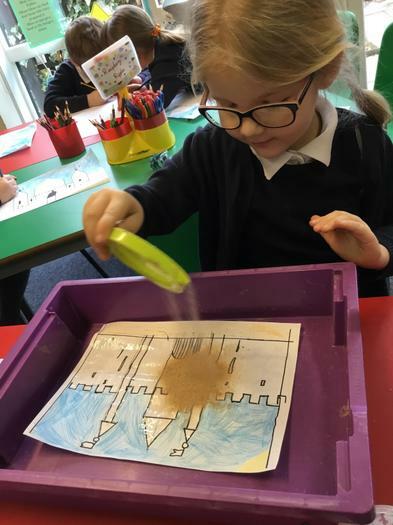 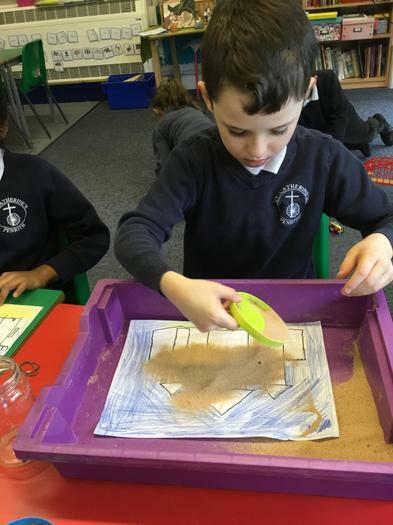 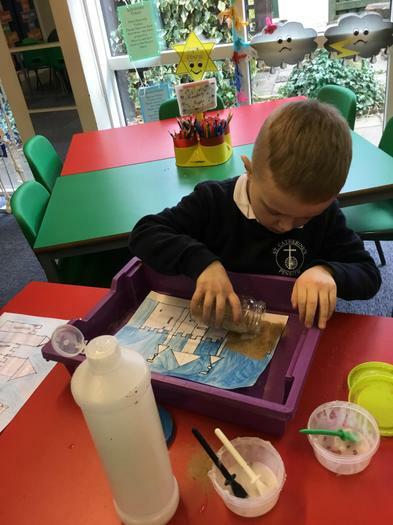 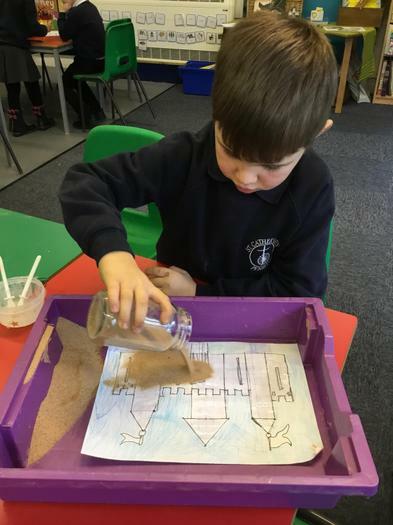 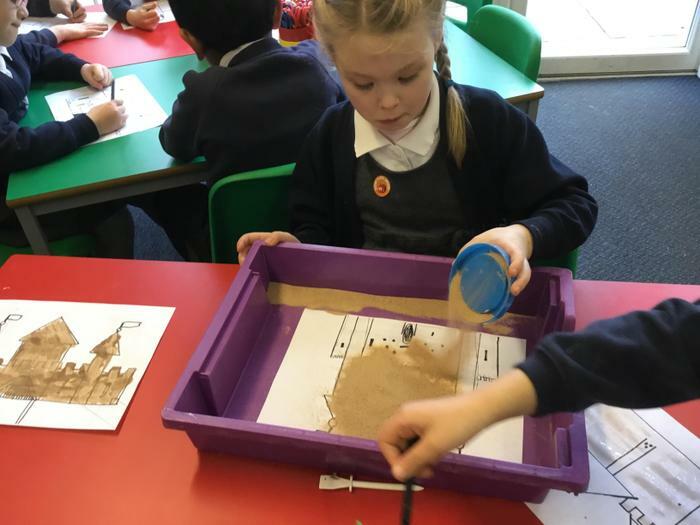 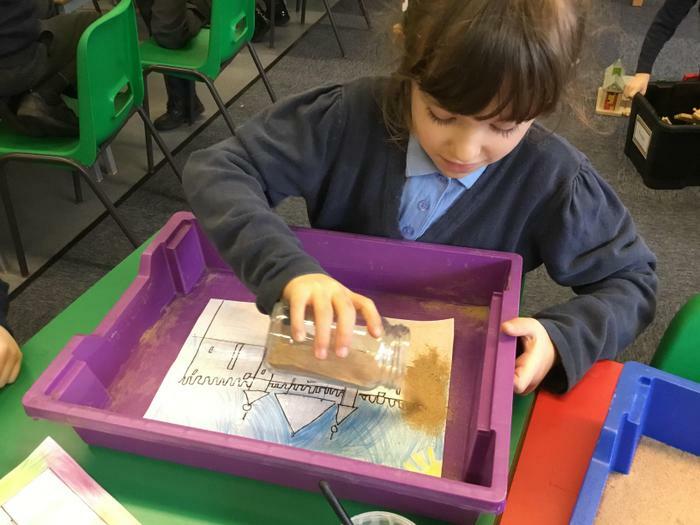 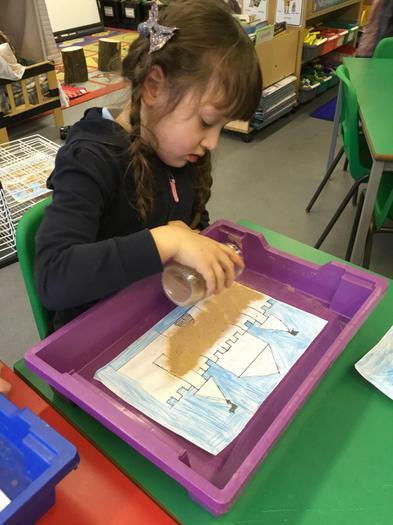 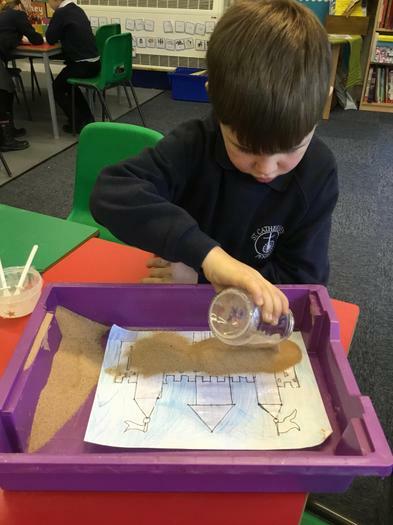 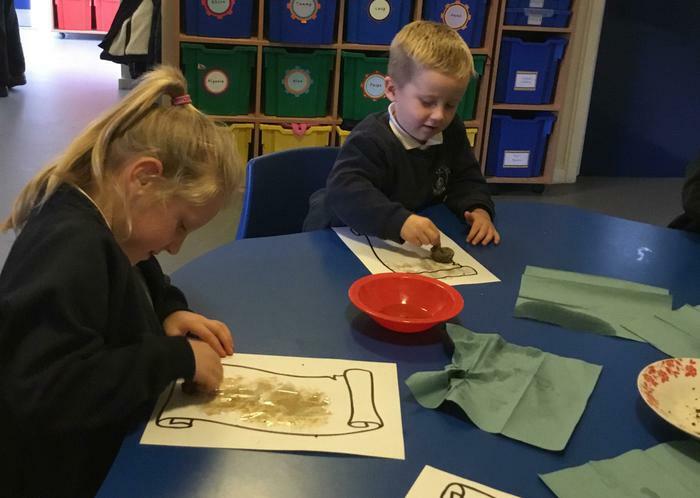 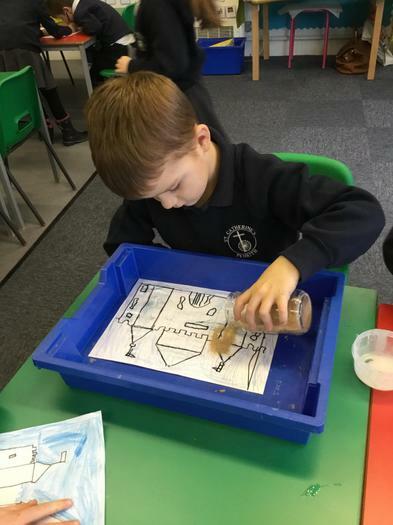 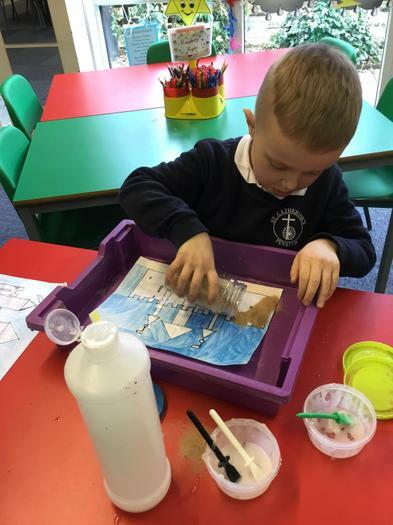 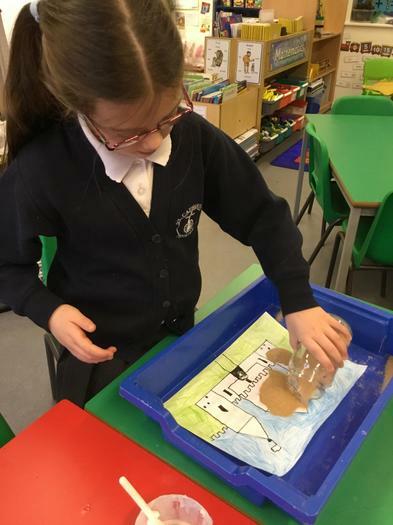 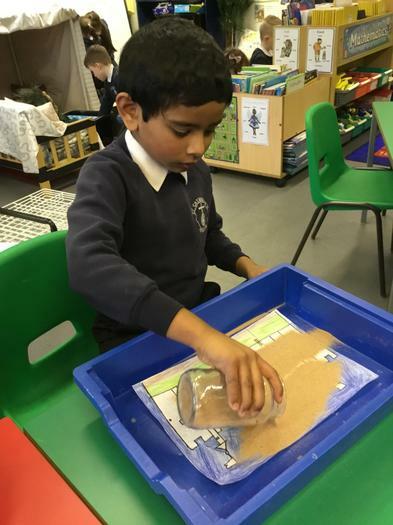 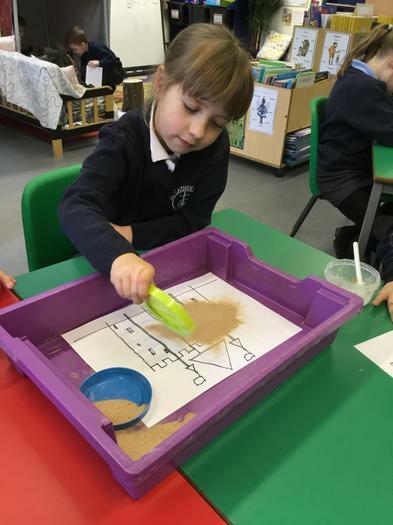 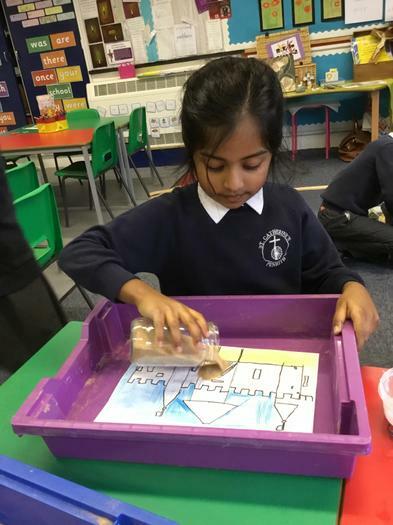 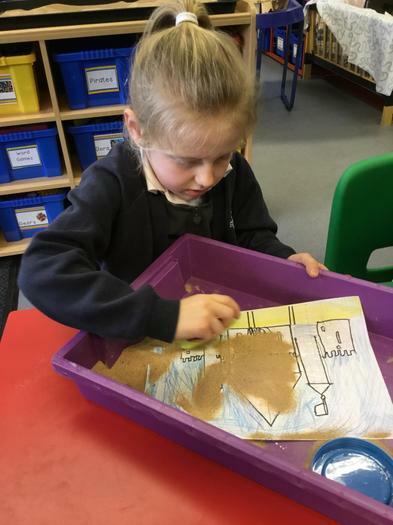 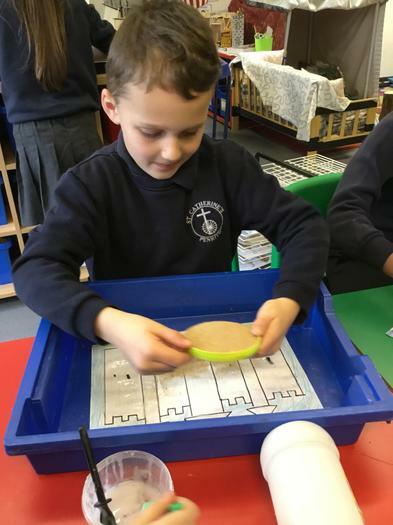 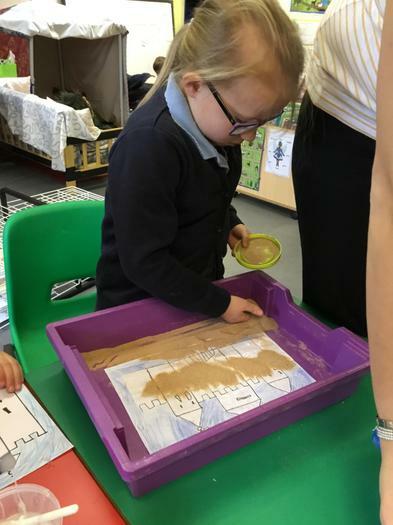 February: We have enjoyed turning our castle drawings into fairy tale sand castles.... we didn’t even spill any sand! 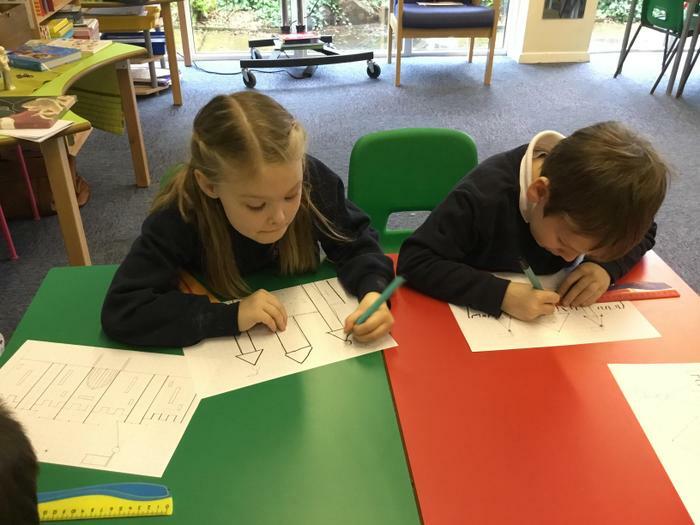 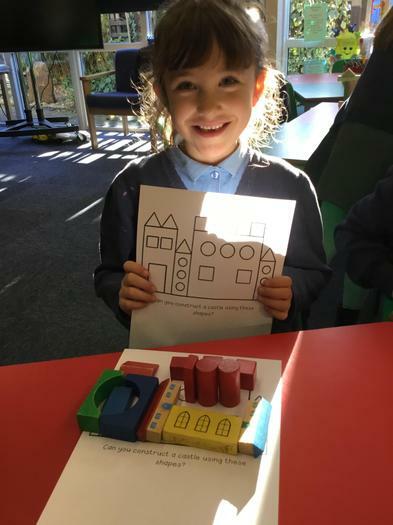 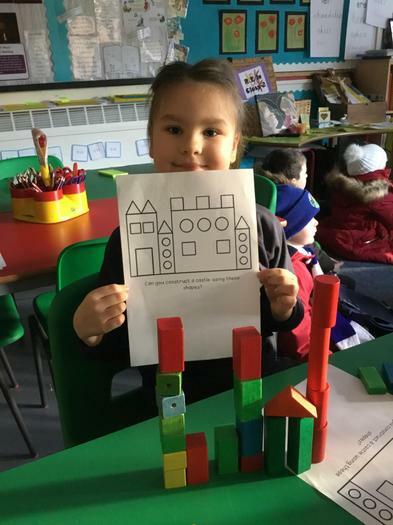 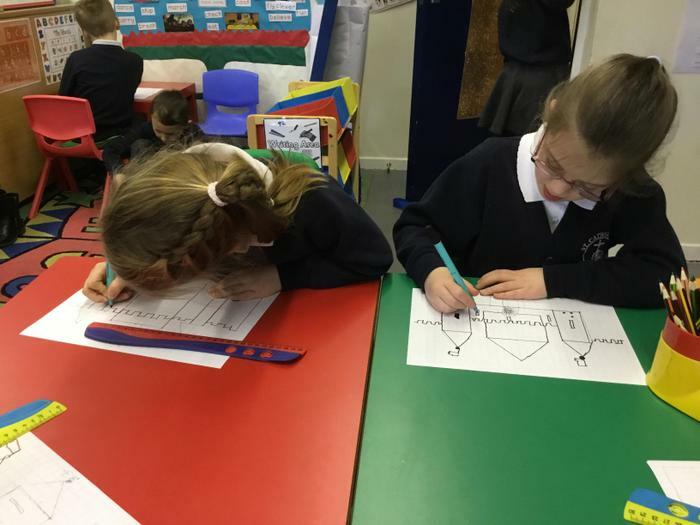 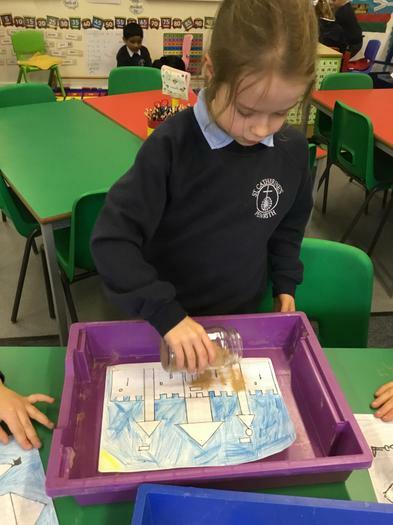 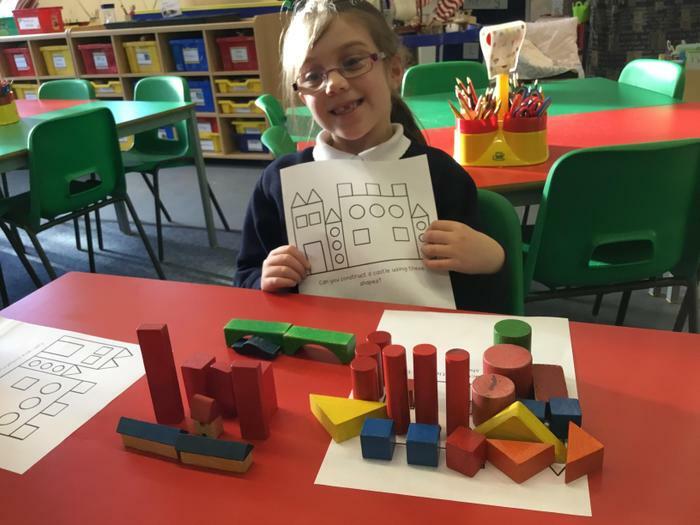 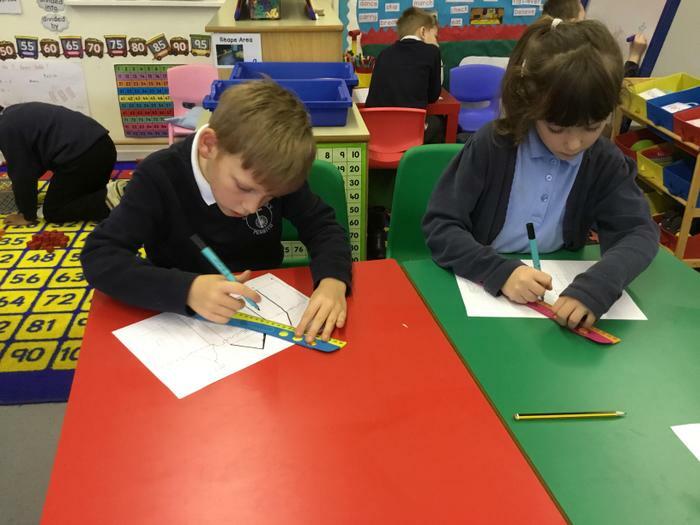 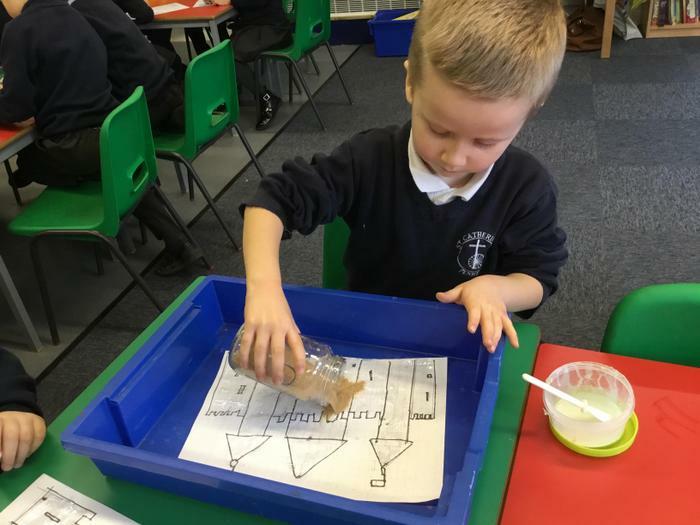 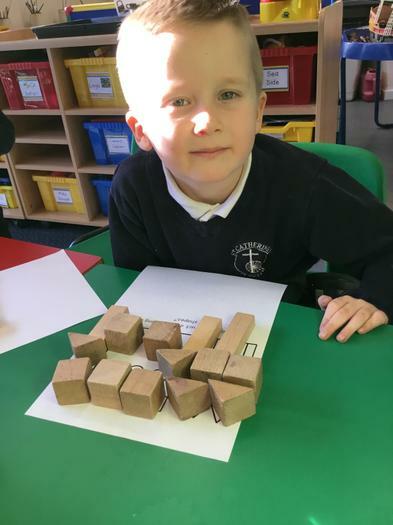 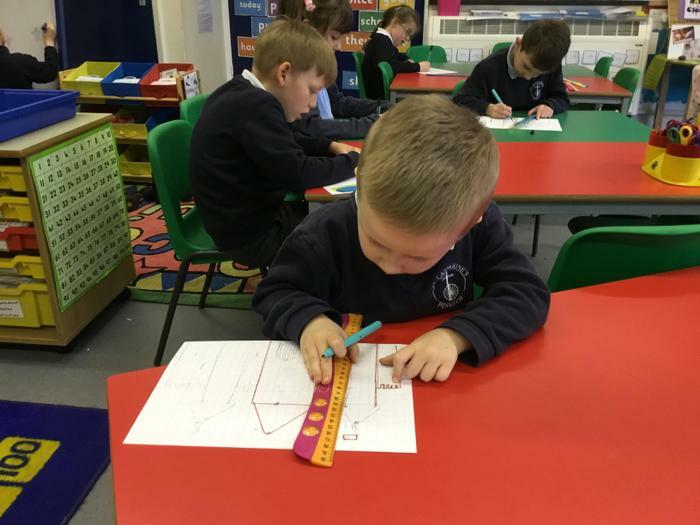 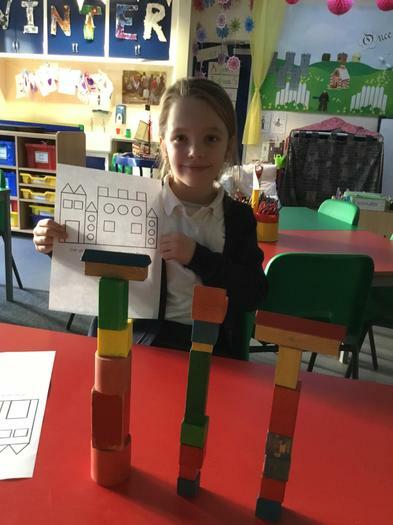 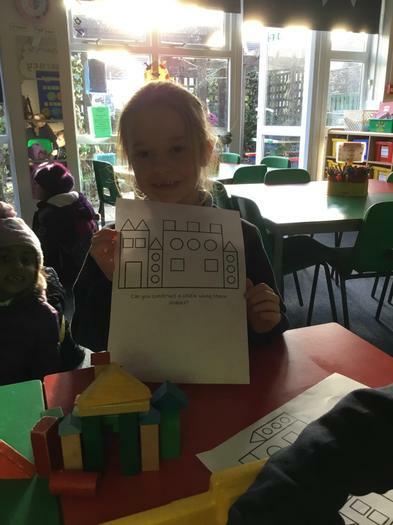 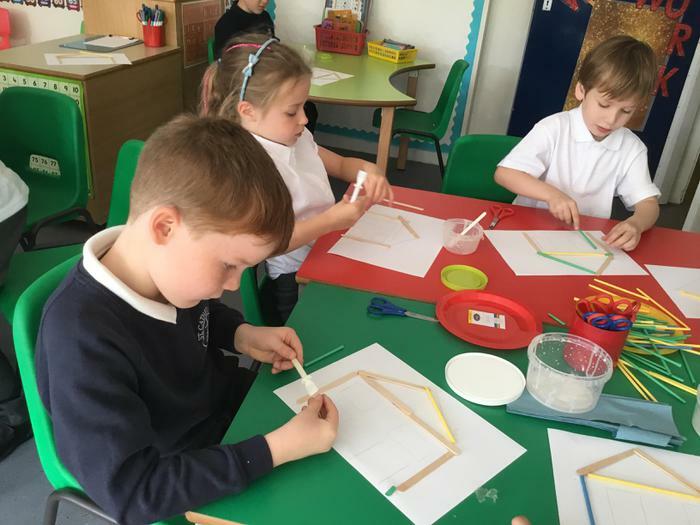 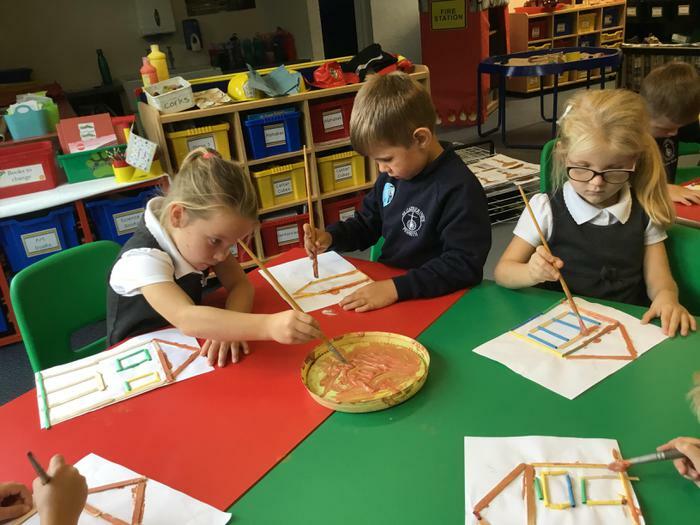 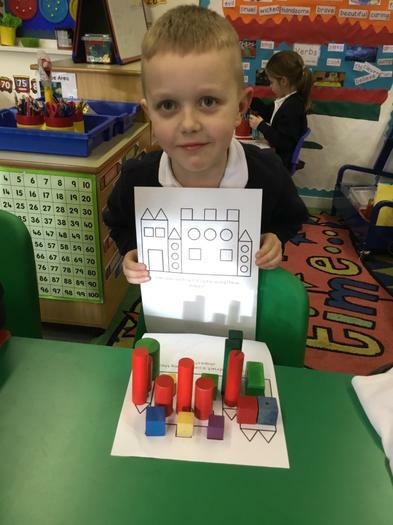 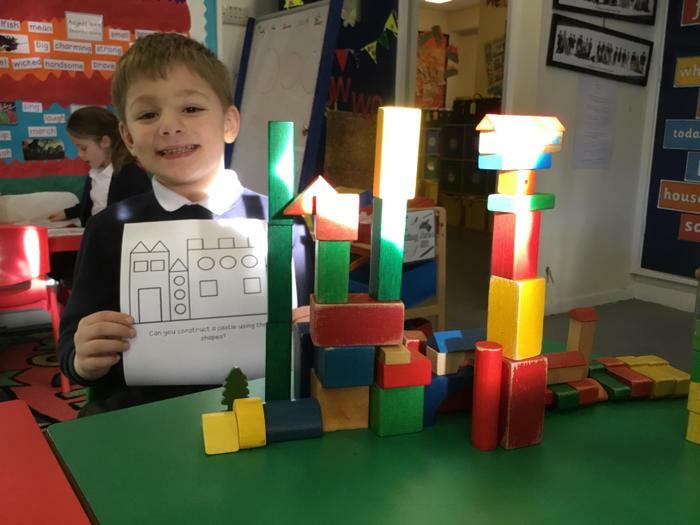 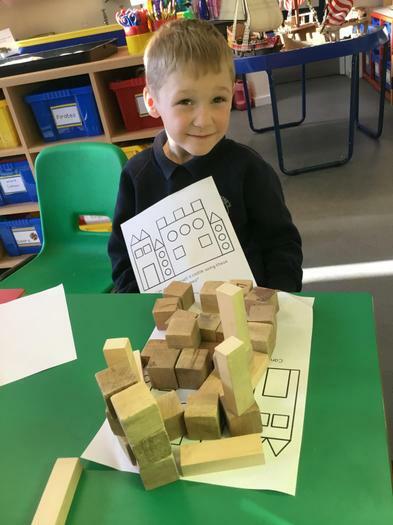 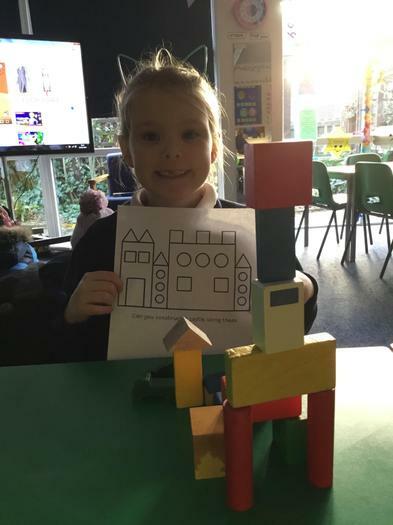 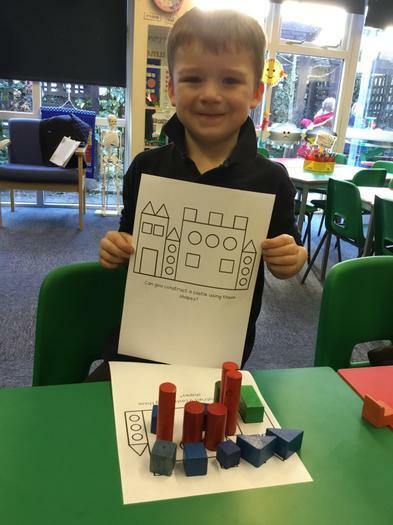 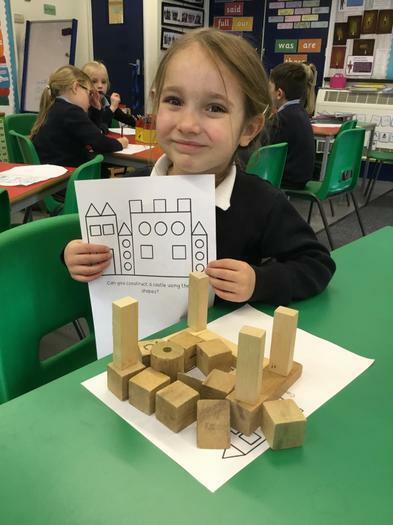 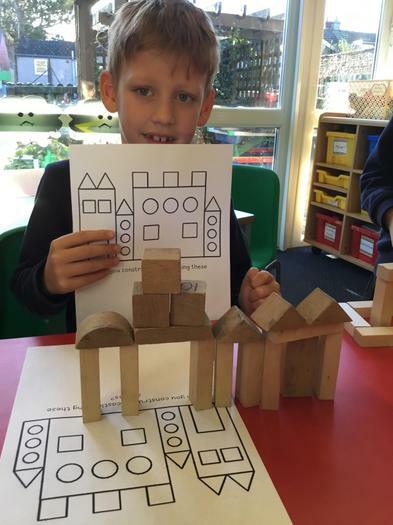 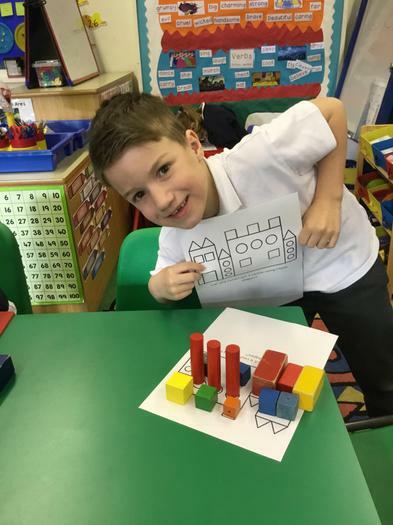 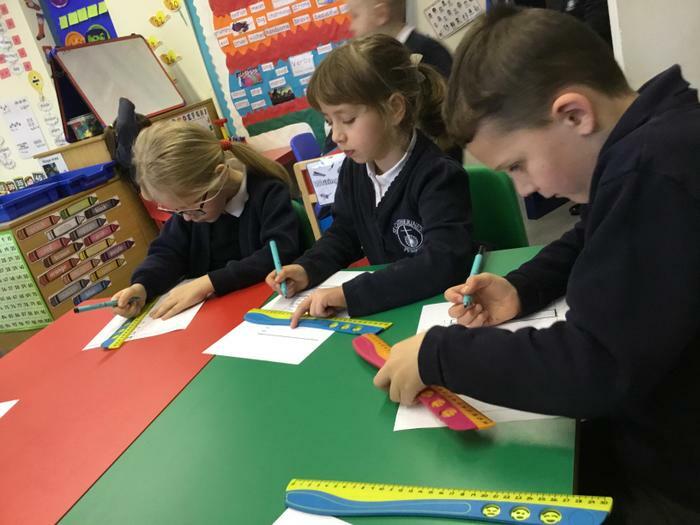 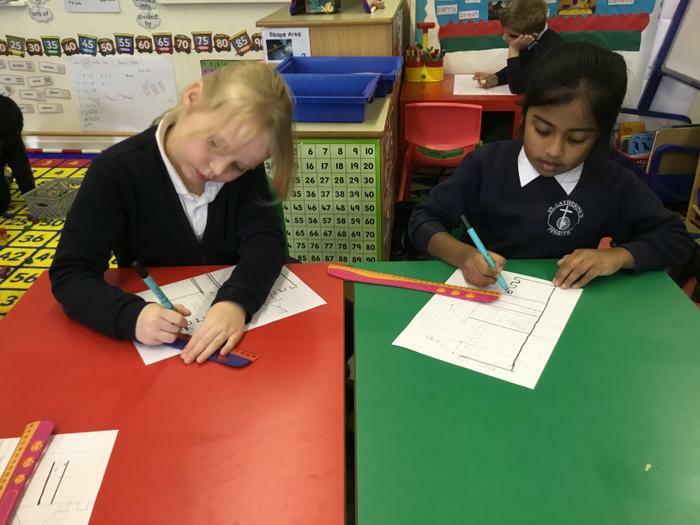 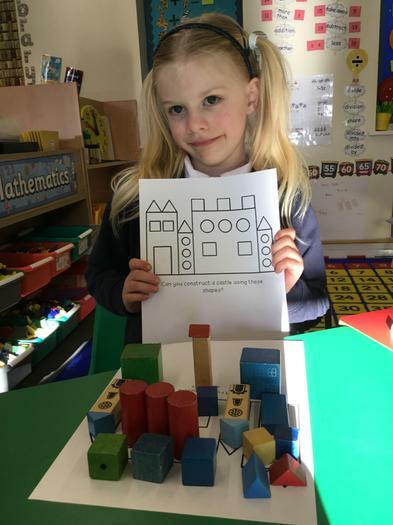 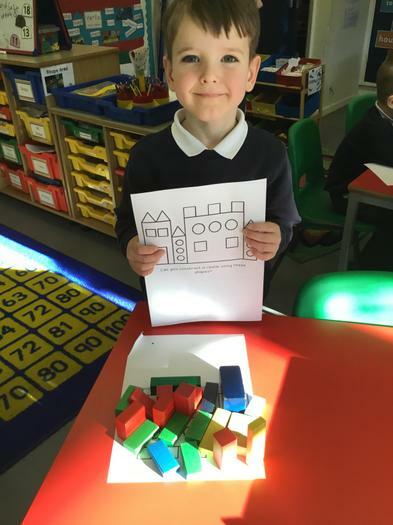 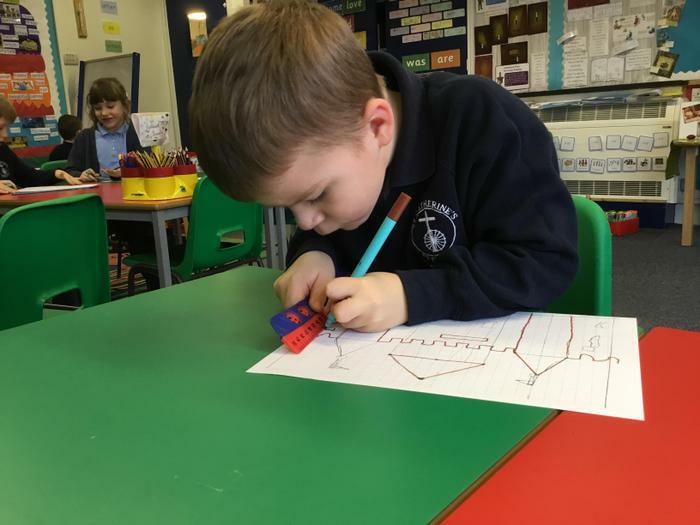 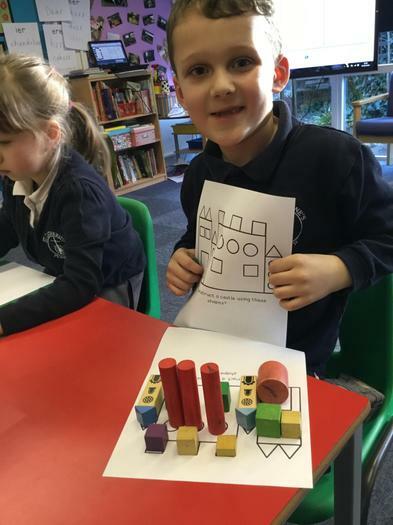 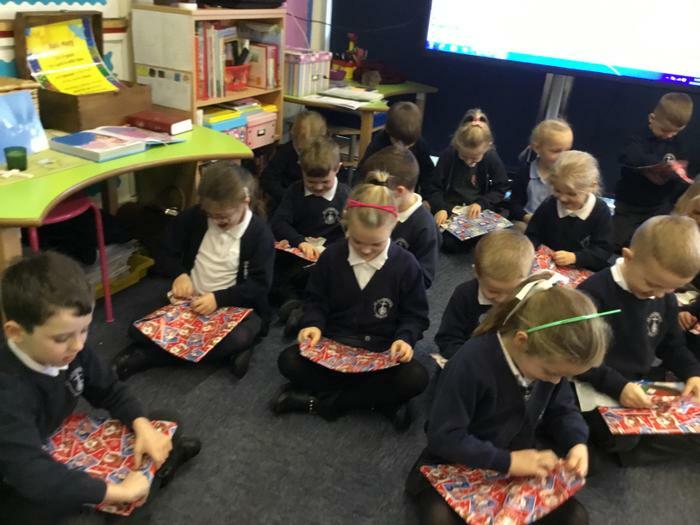 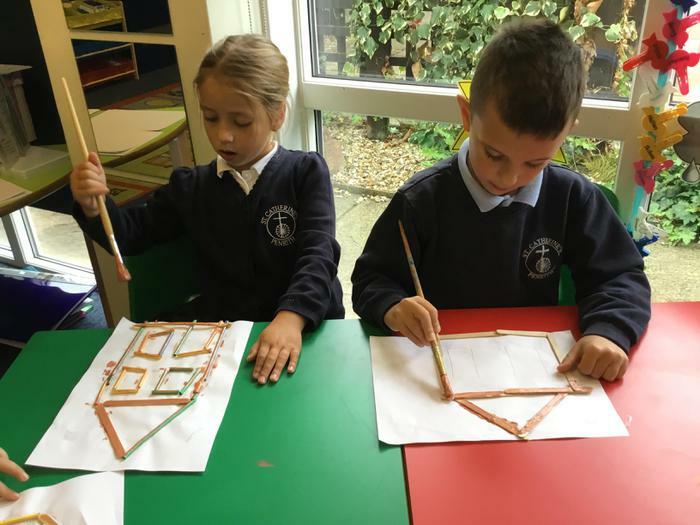 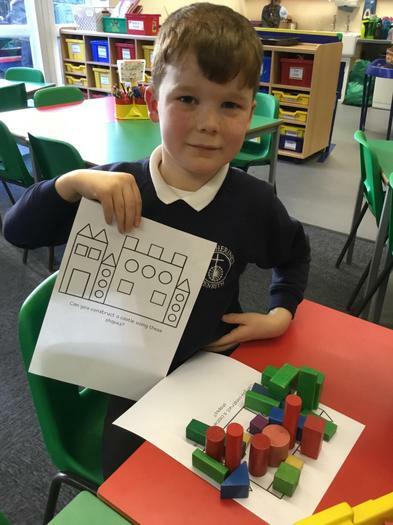 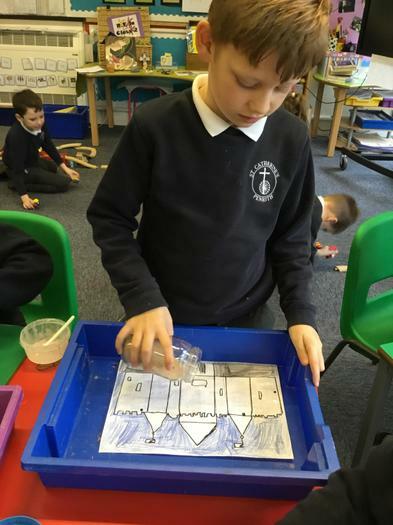 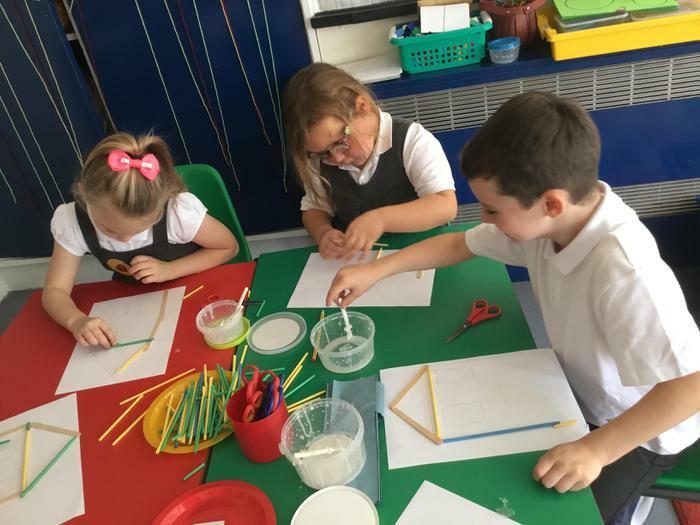 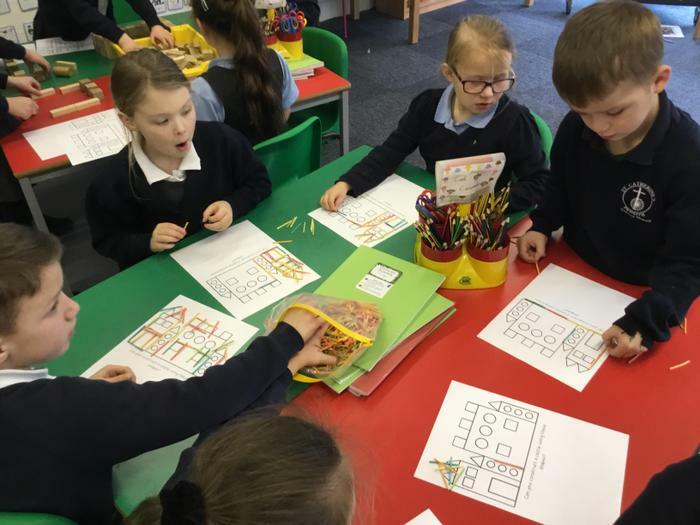 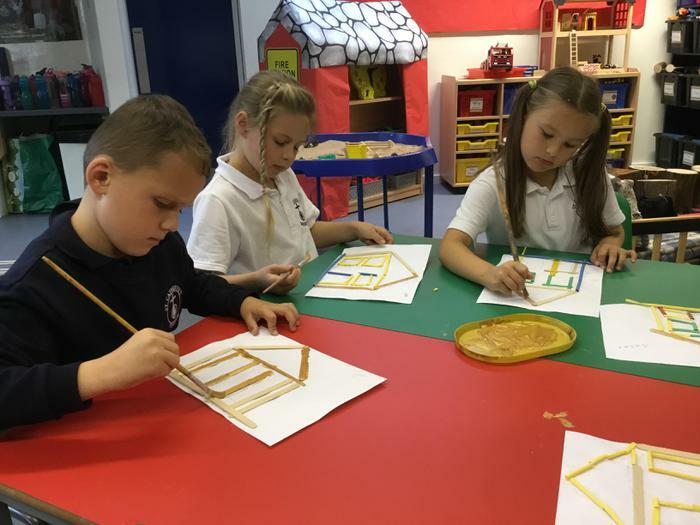 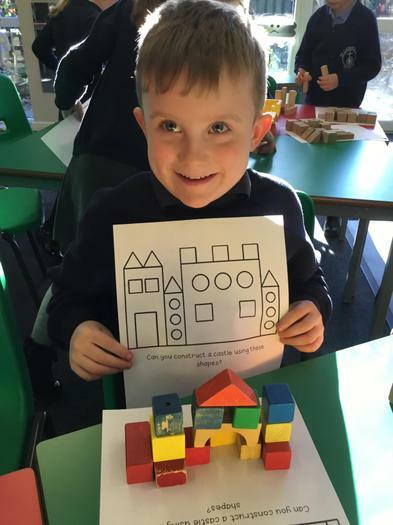 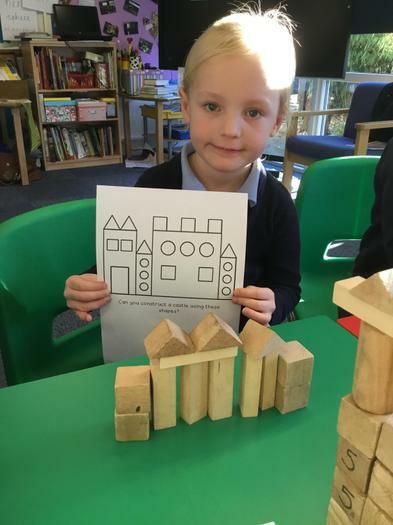 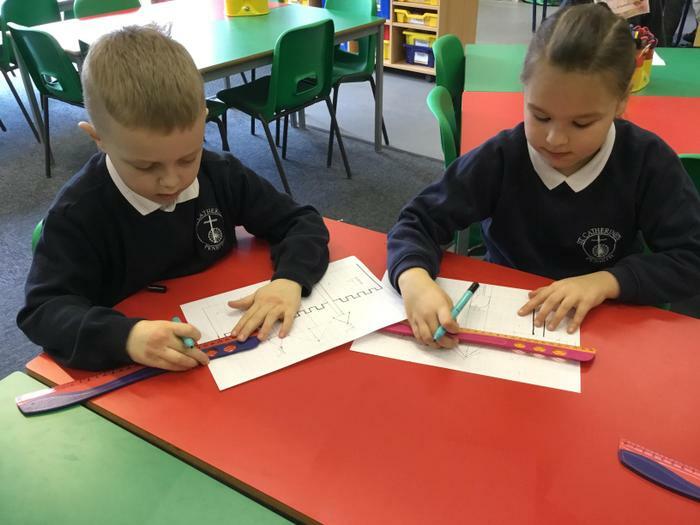 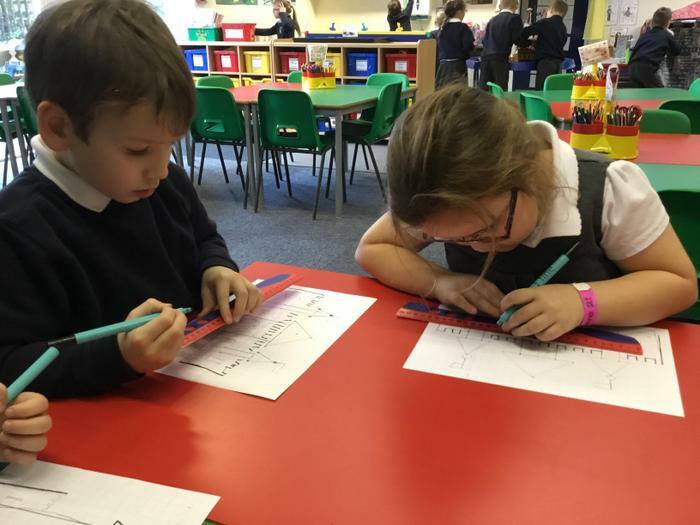 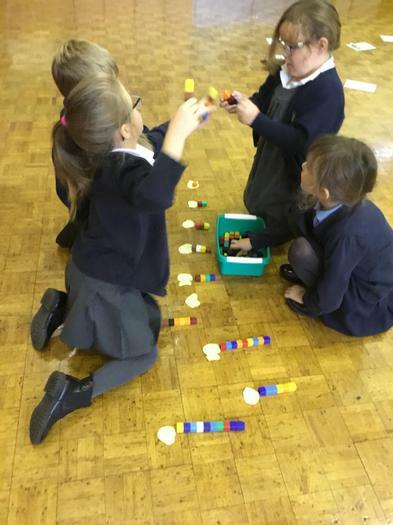 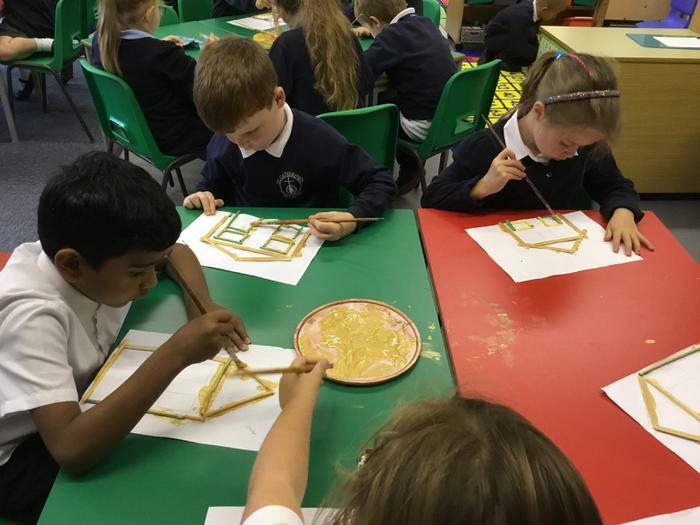 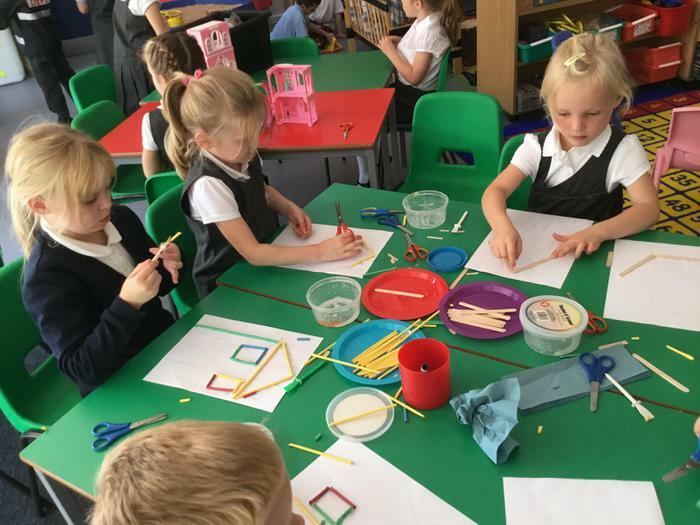 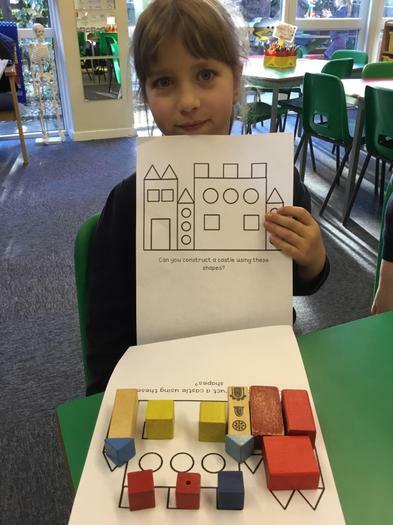 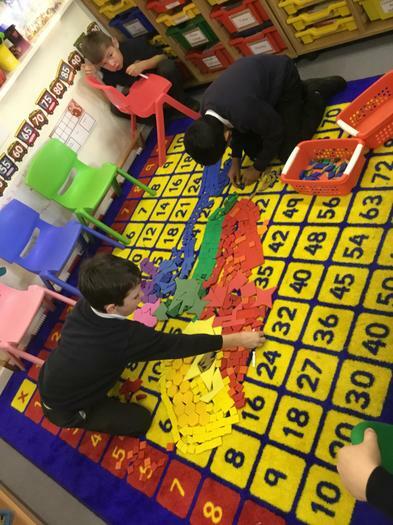 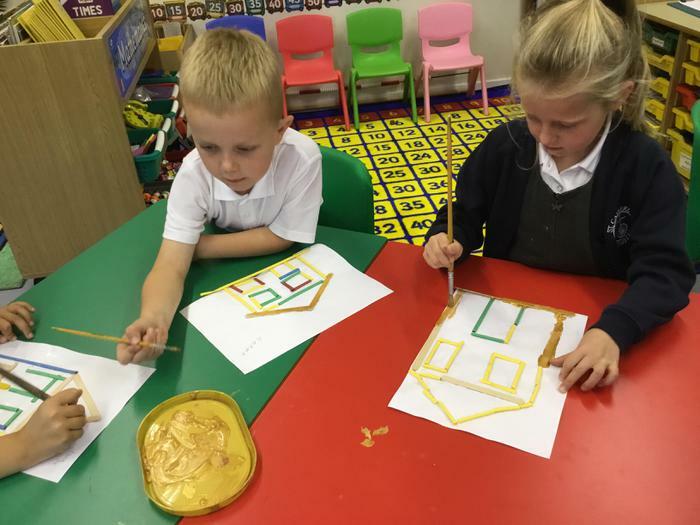 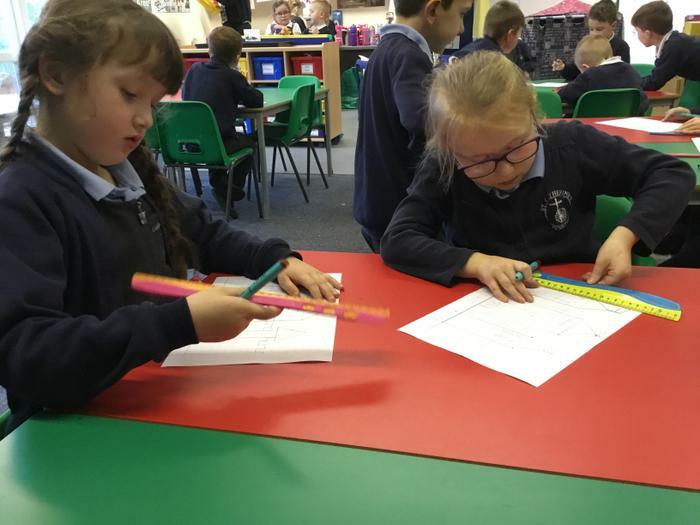 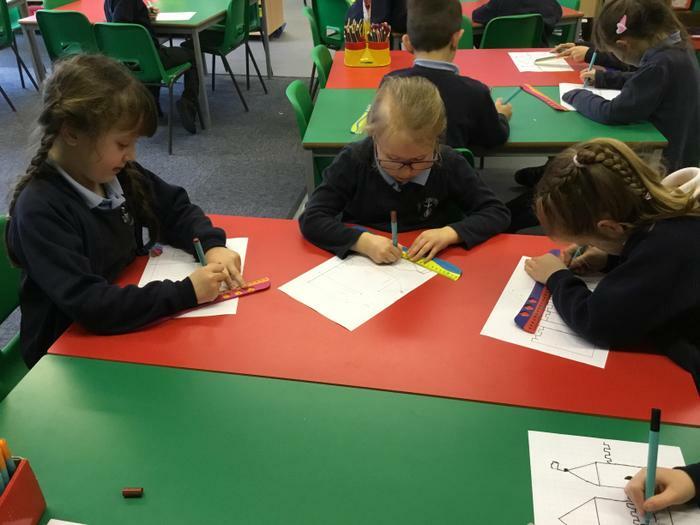 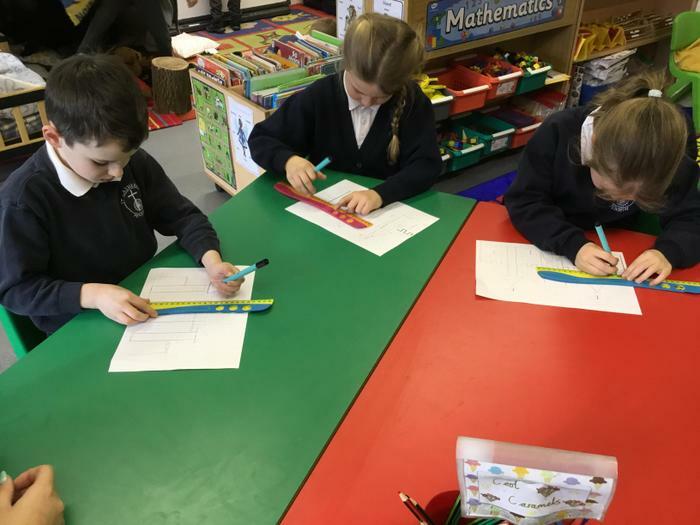 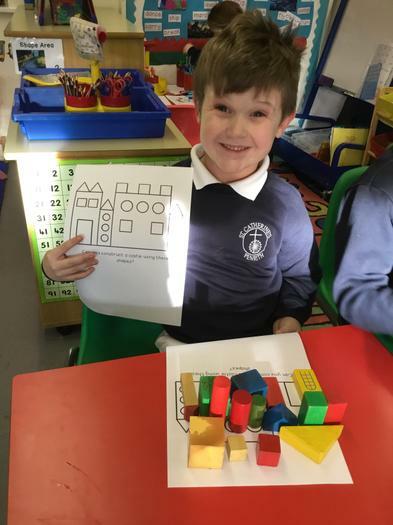 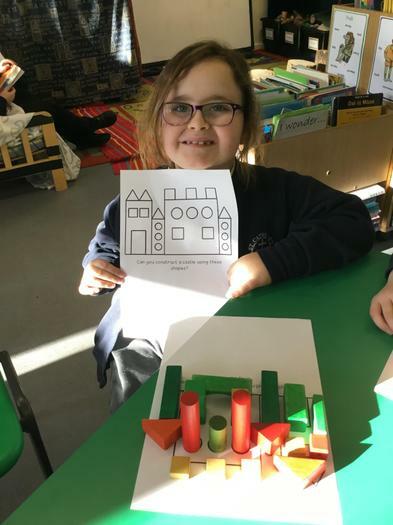 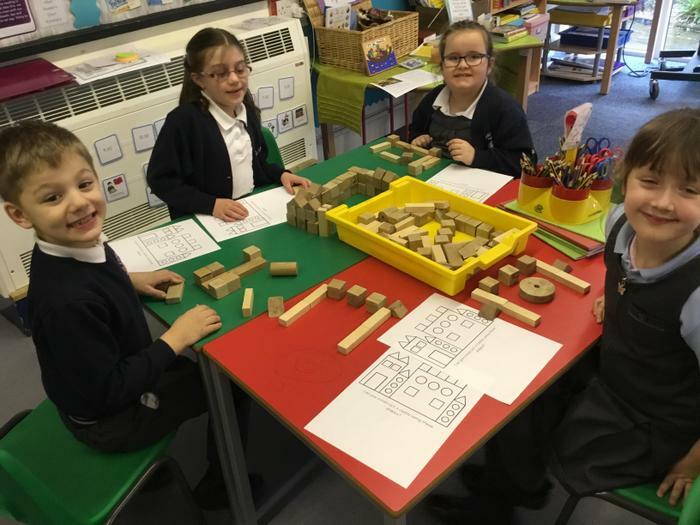 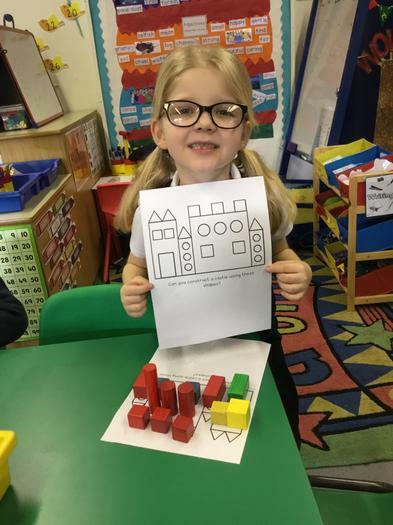 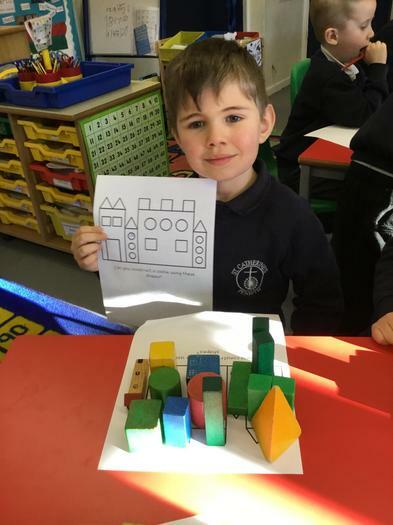 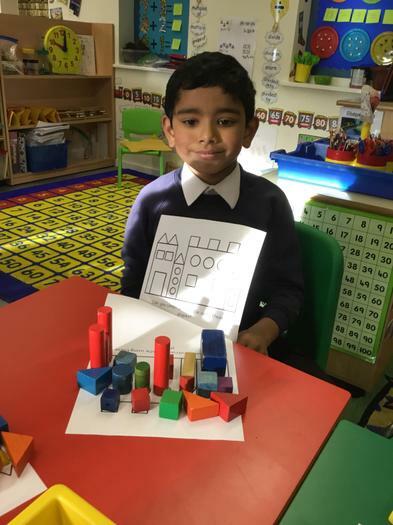 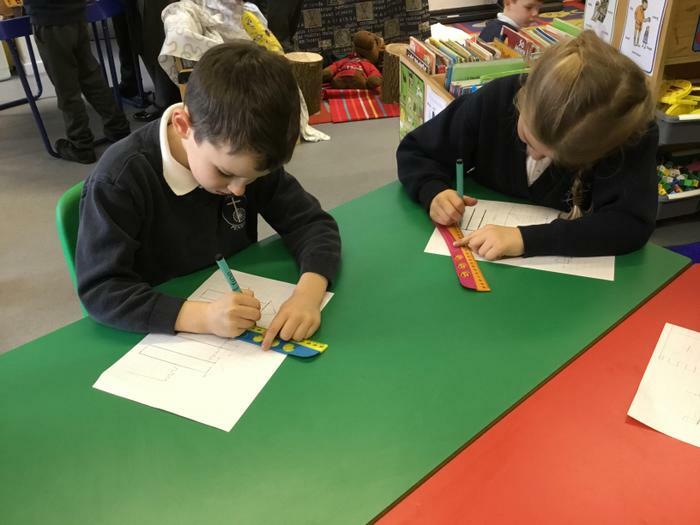 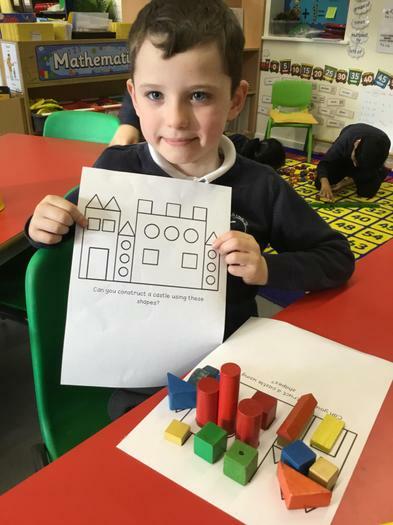 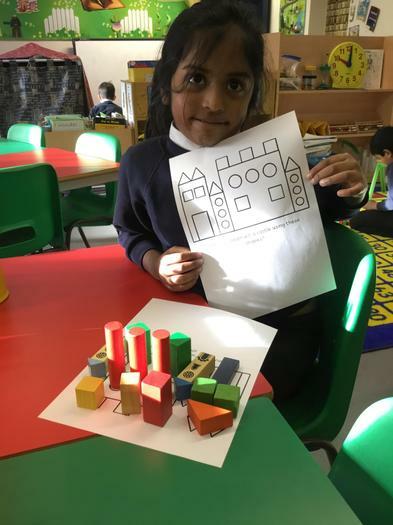 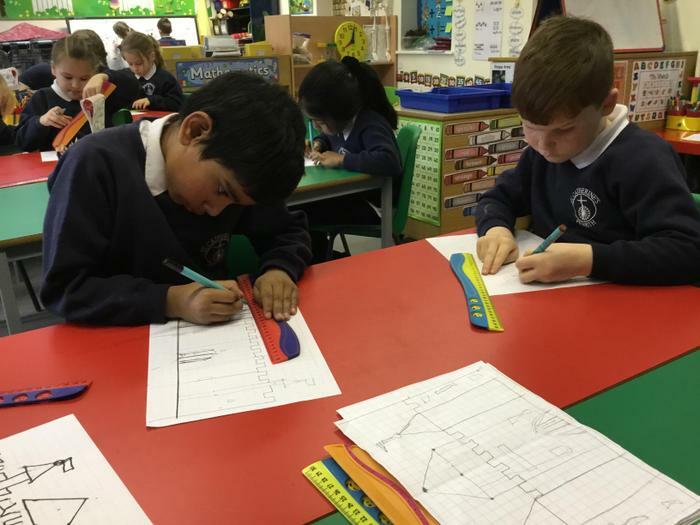 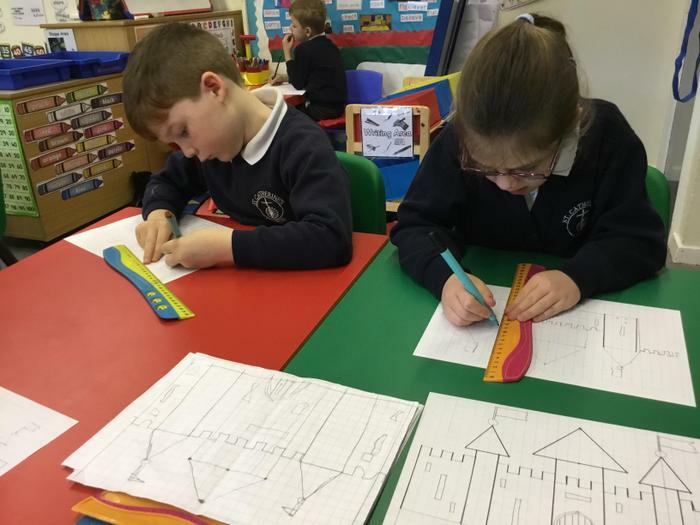 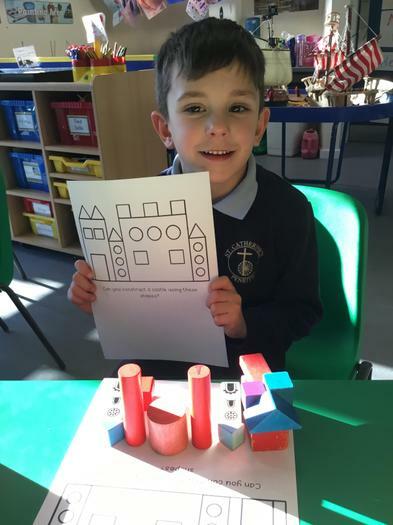 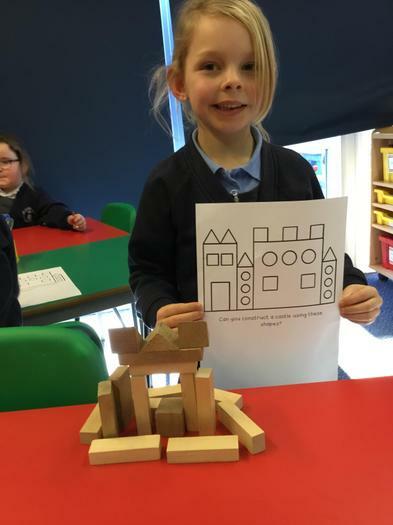 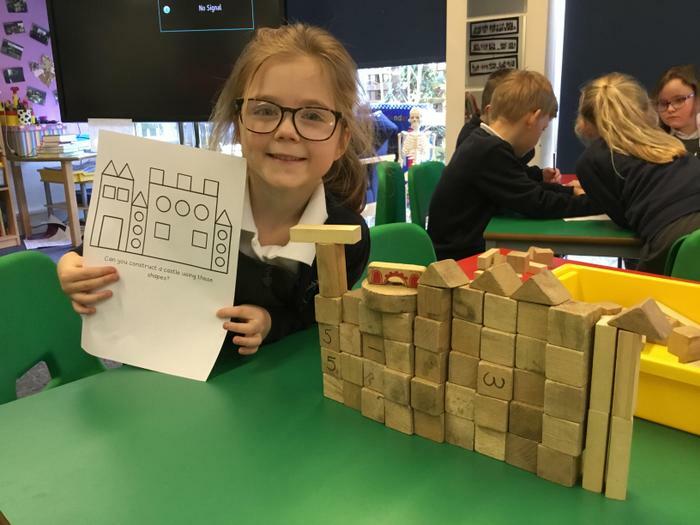 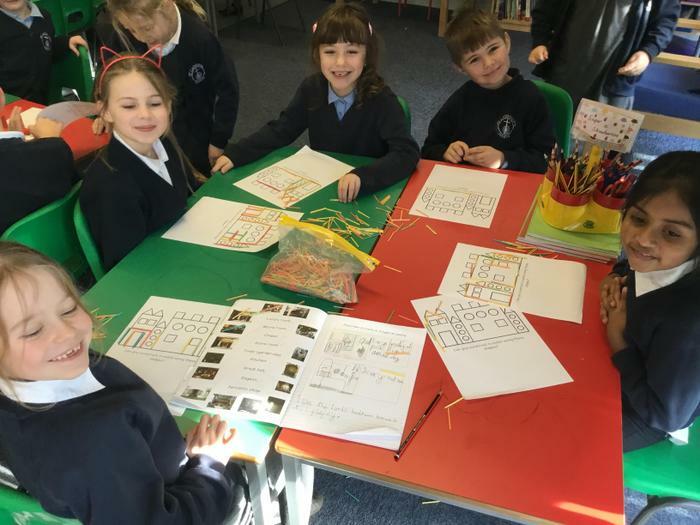 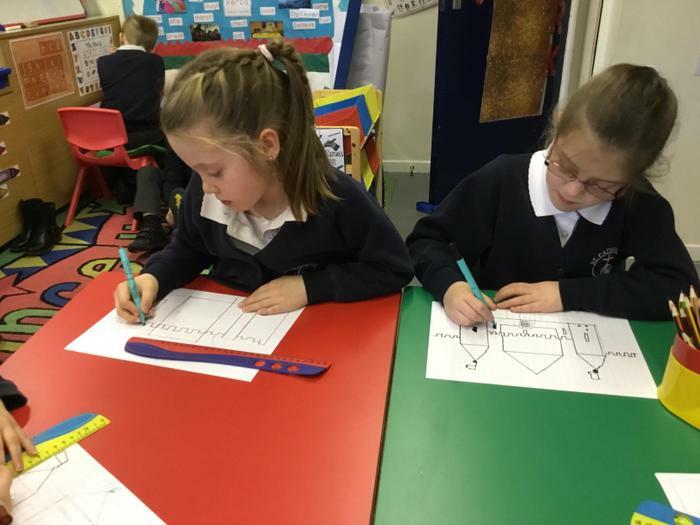 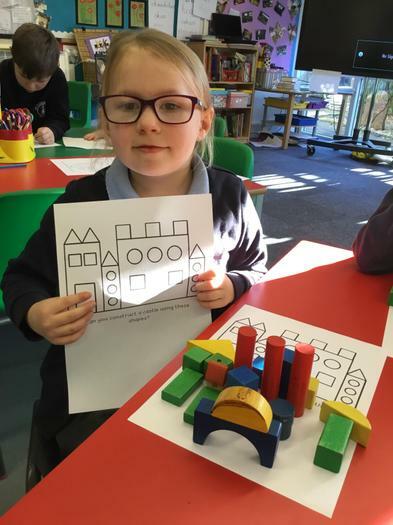 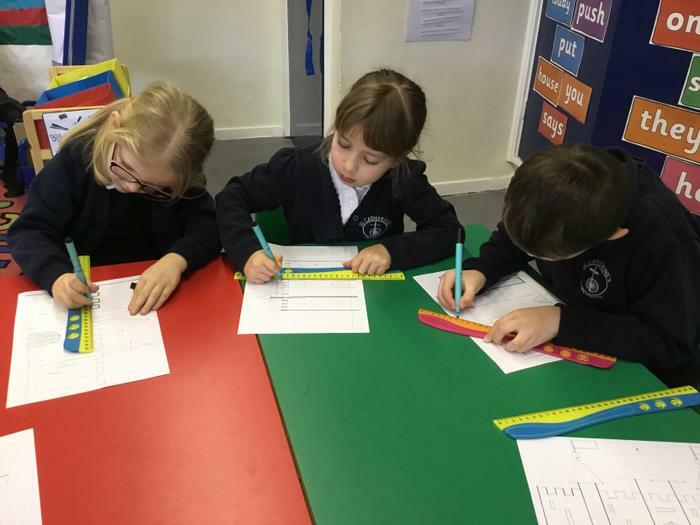 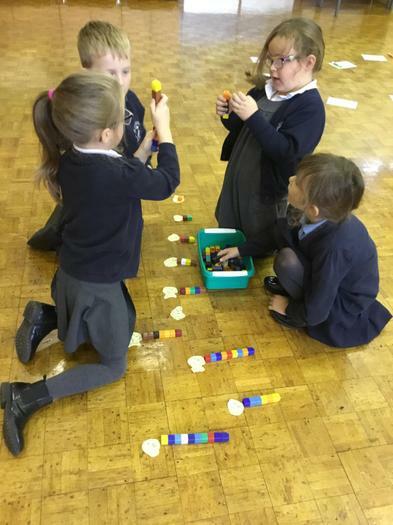 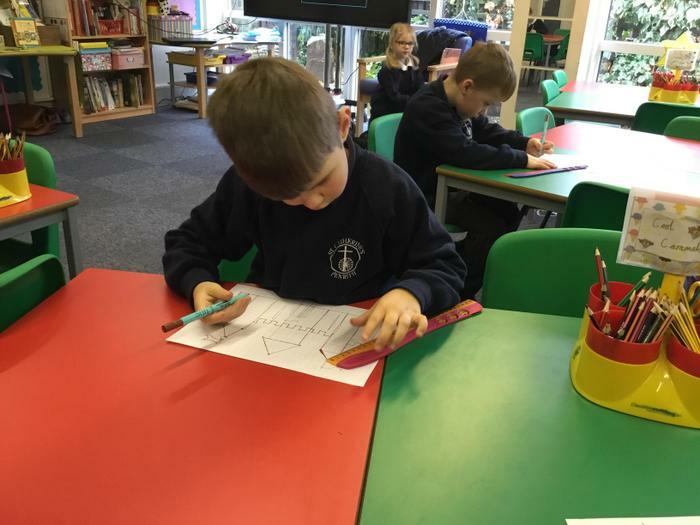 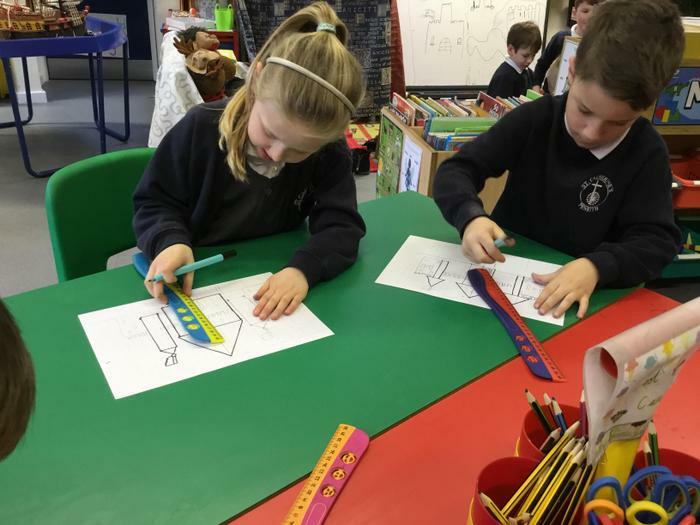 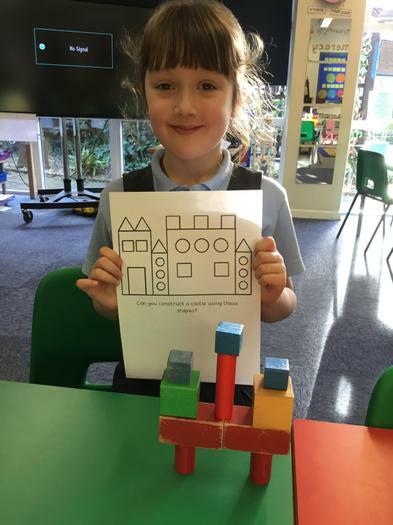 January: Class 2 have been learning how to use rulers to draw outlines of medieval castles..... it can be quite tricky! 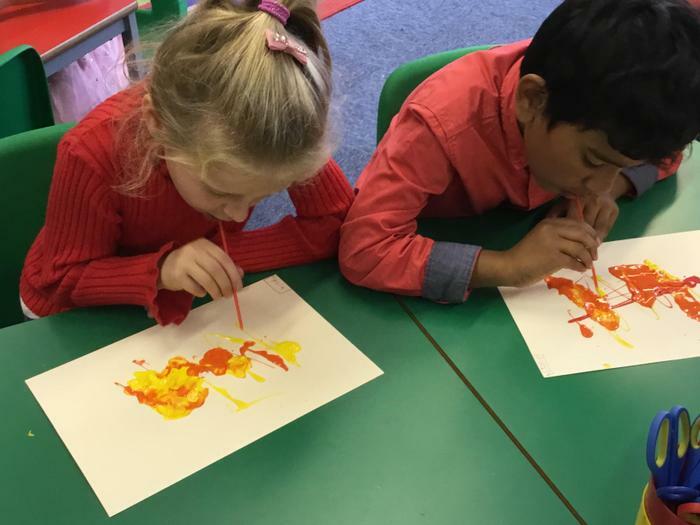 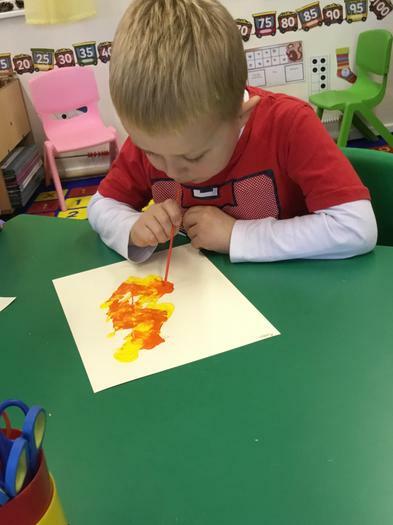 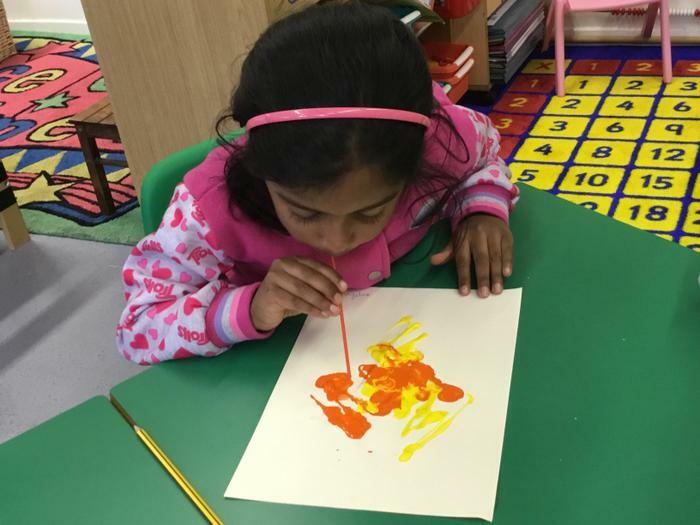 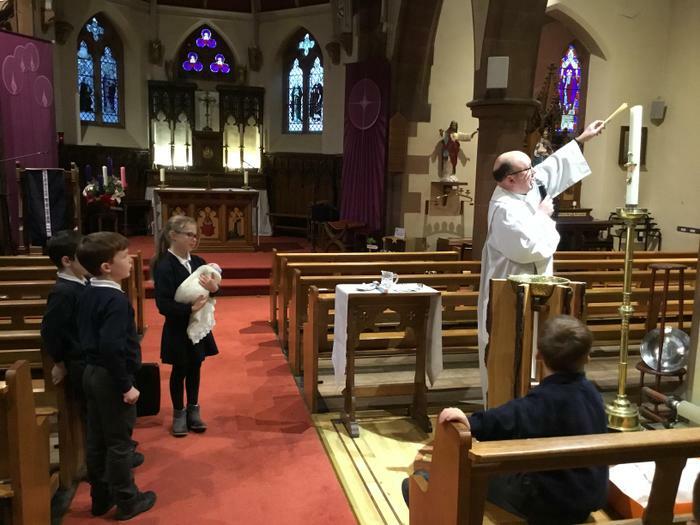 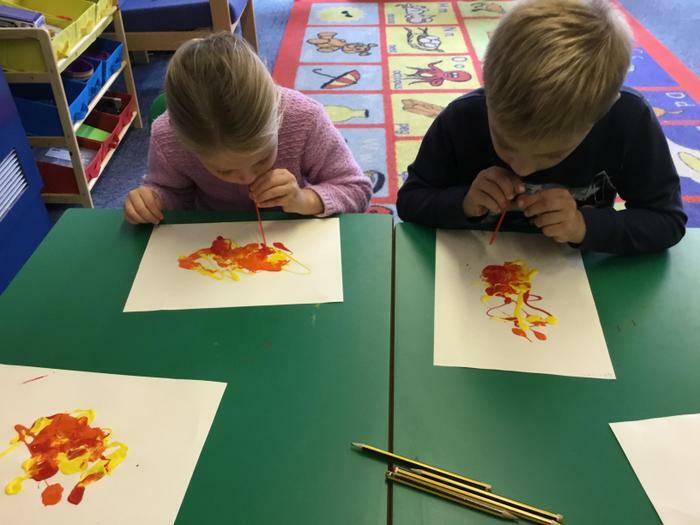 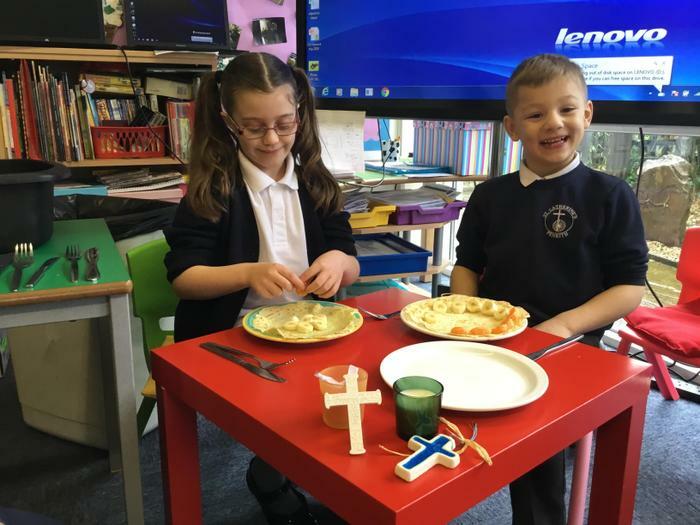 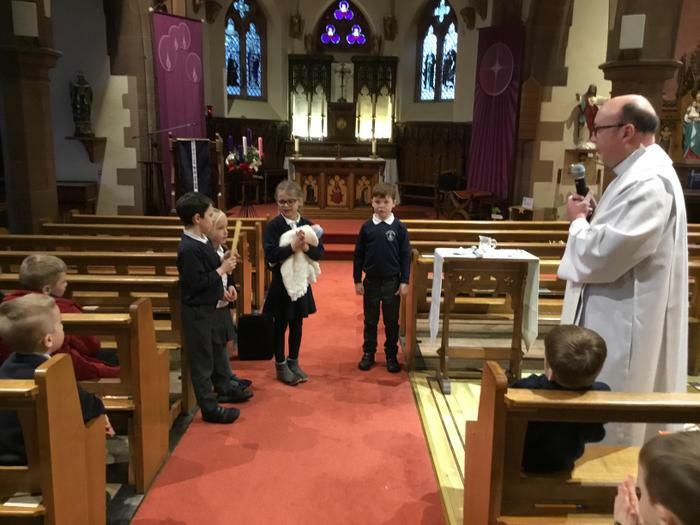 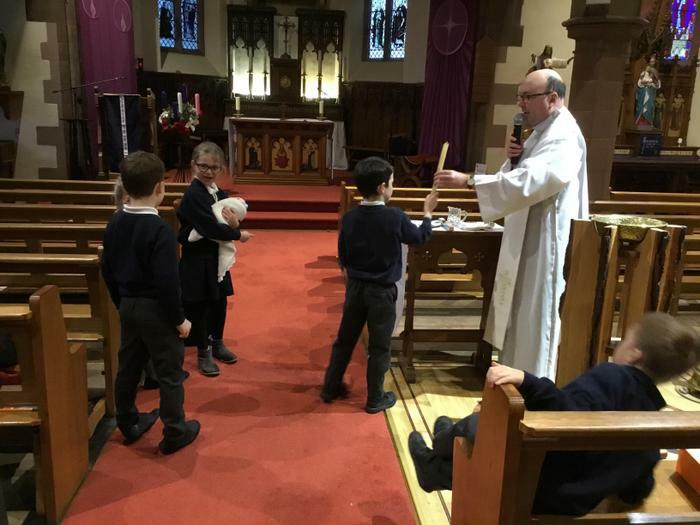 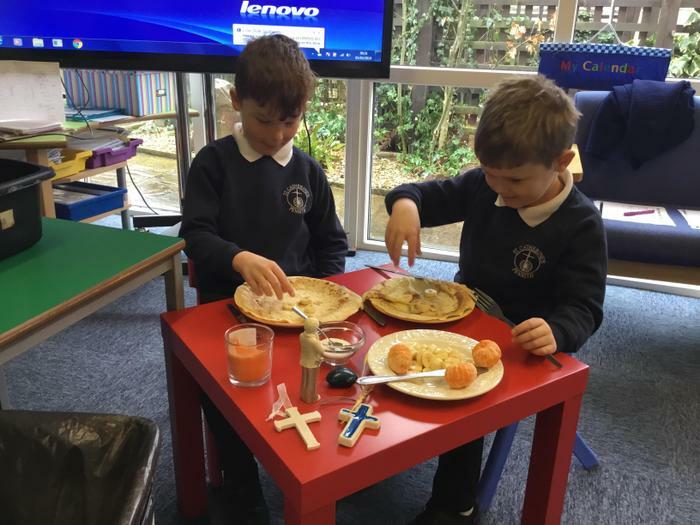 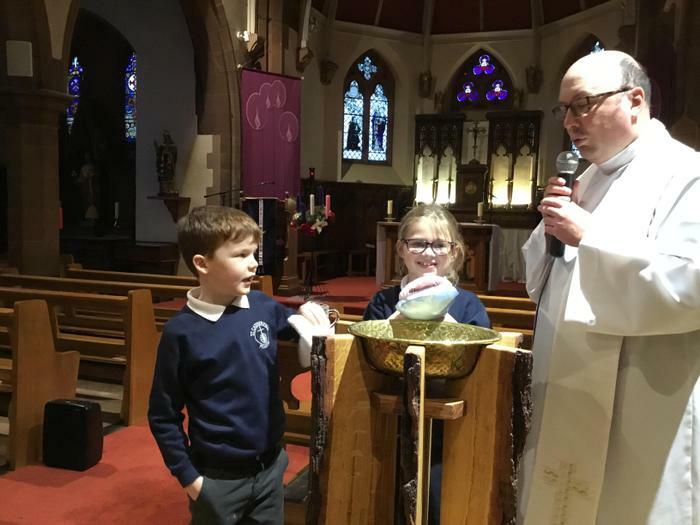 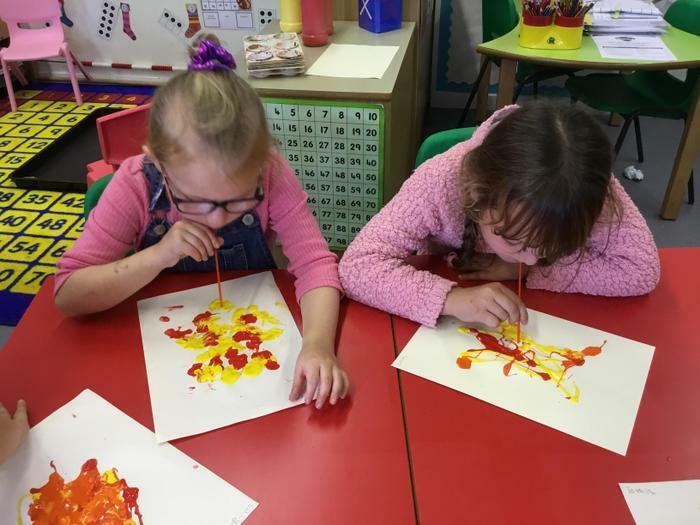 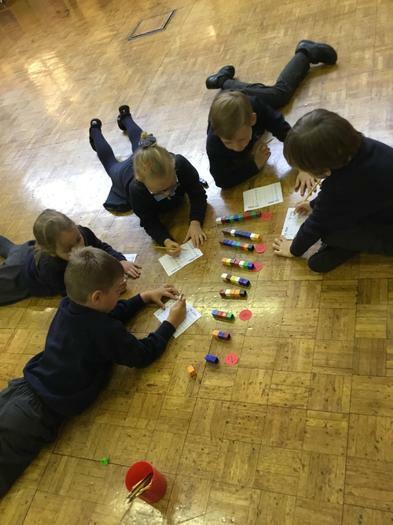 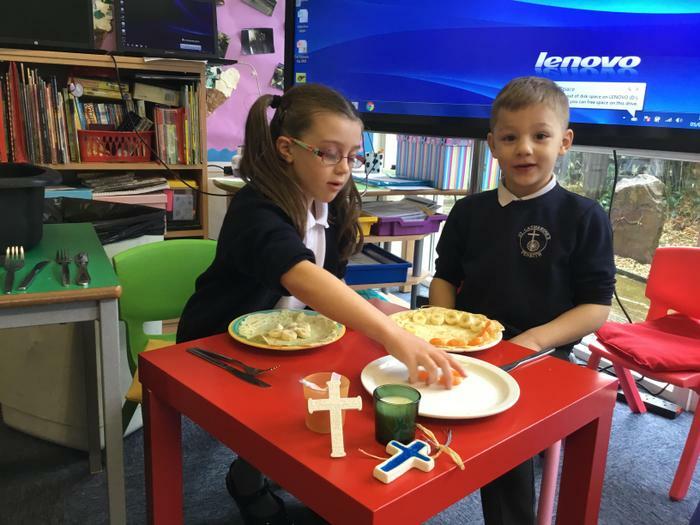 January: We created sunrises to represent Jesus’ light, some children chose to add candles too! 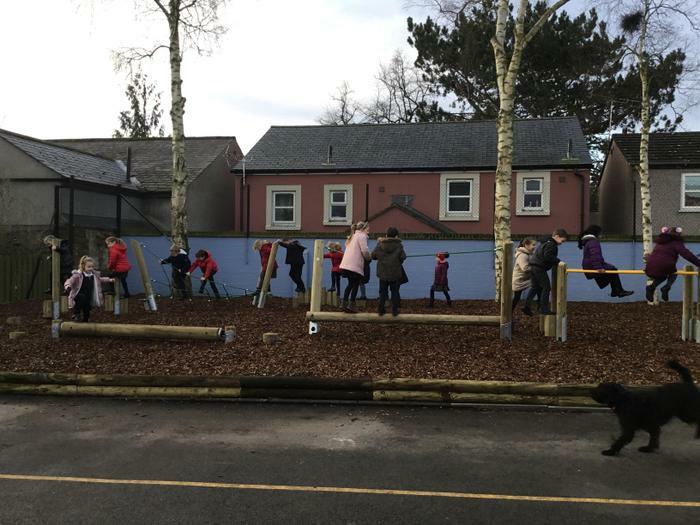 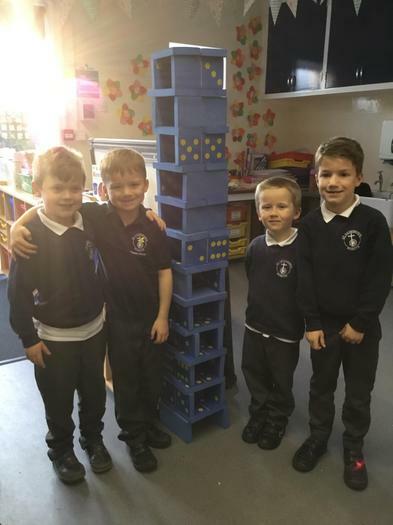 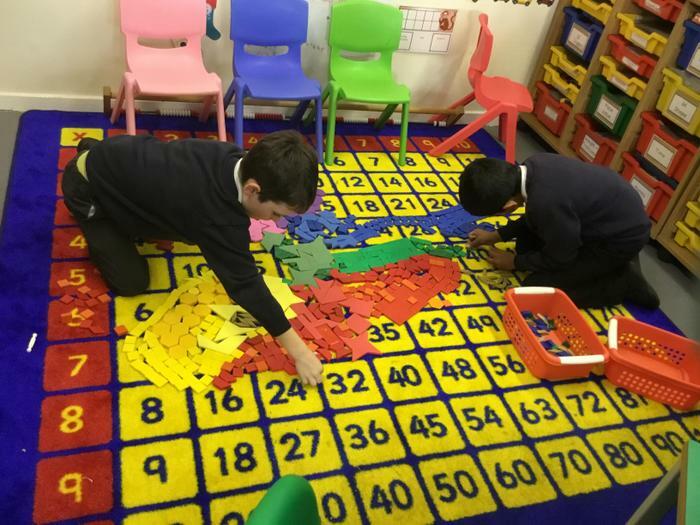 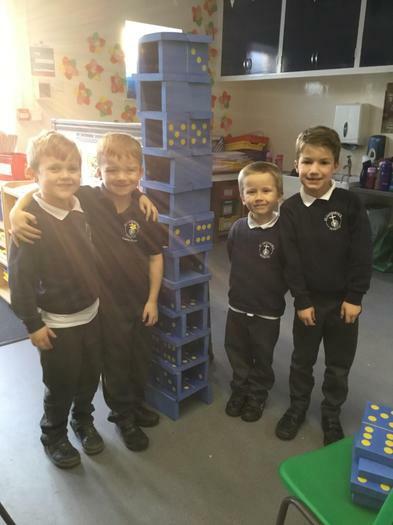 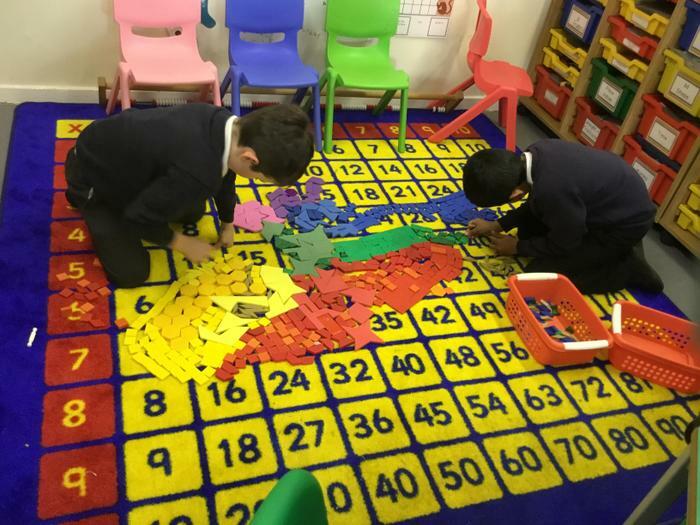 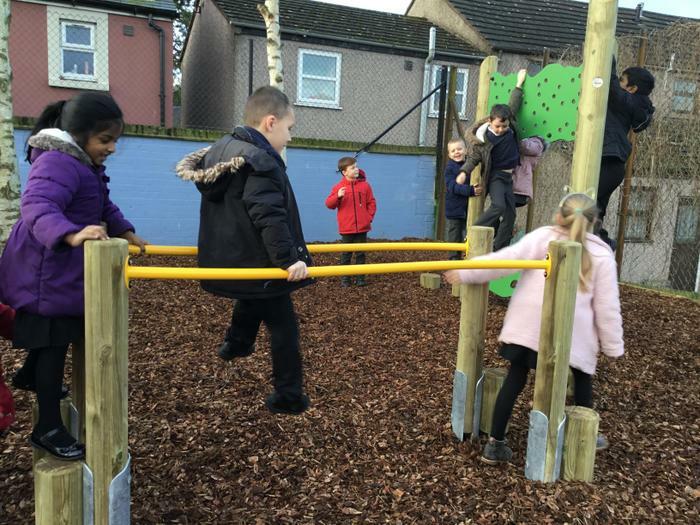 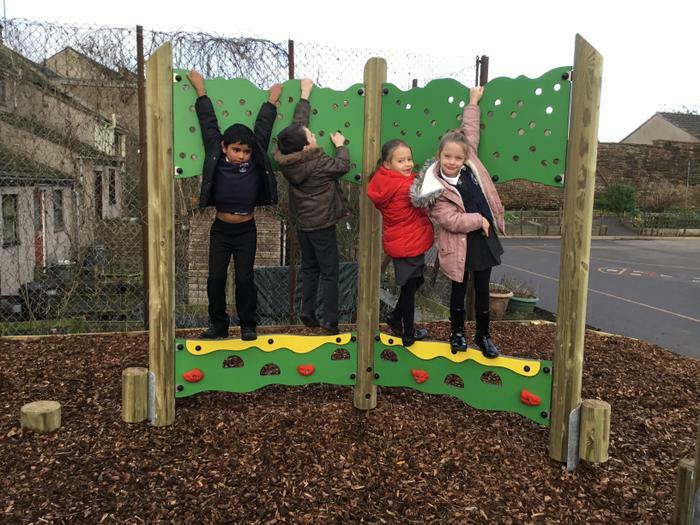 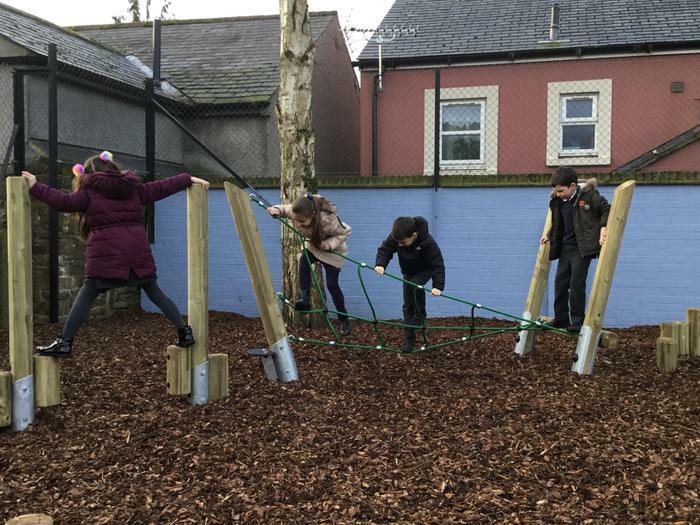 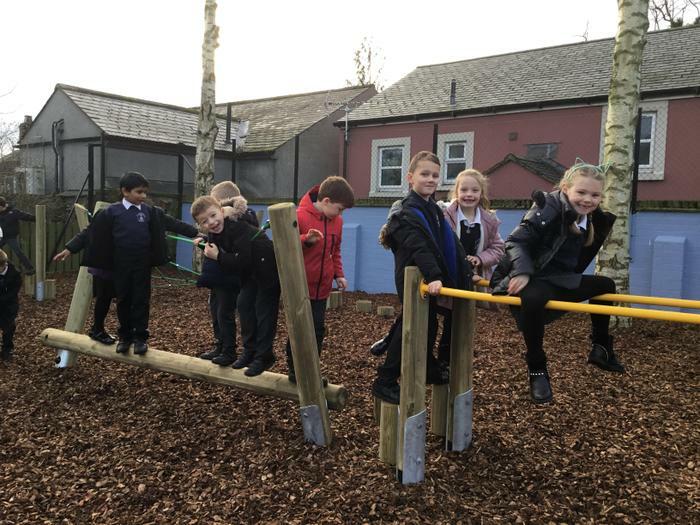 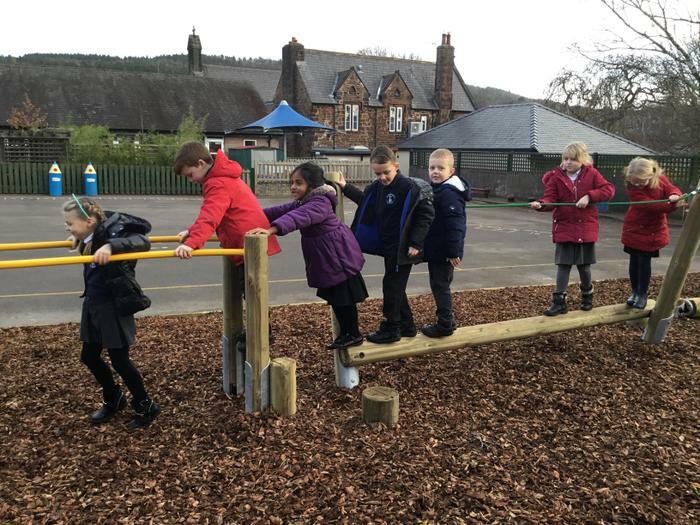 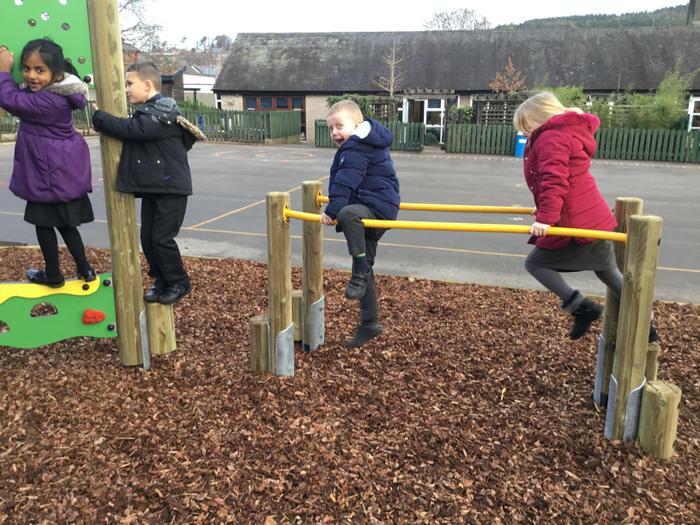 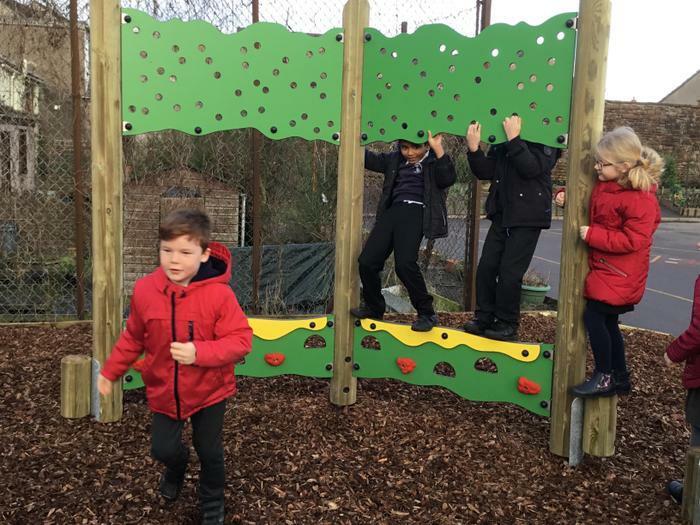 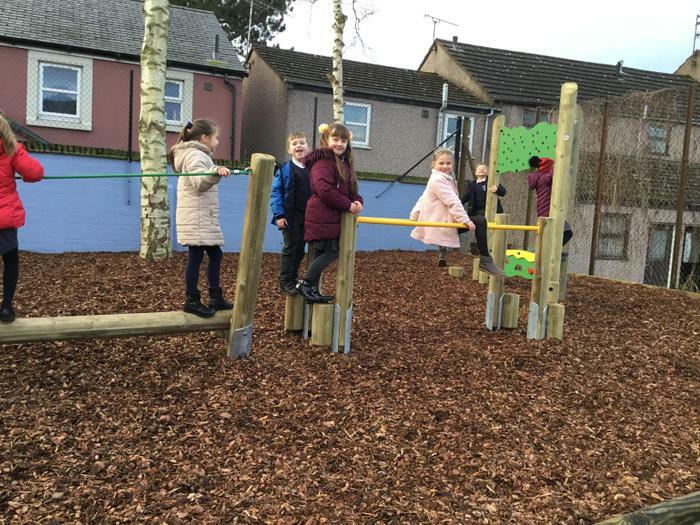 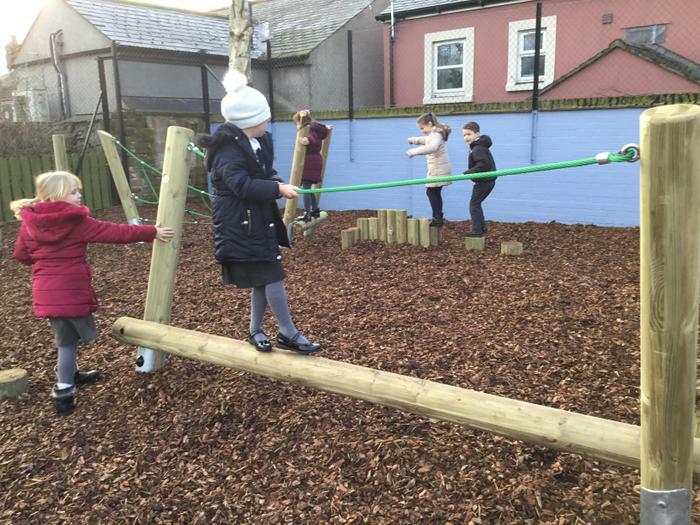 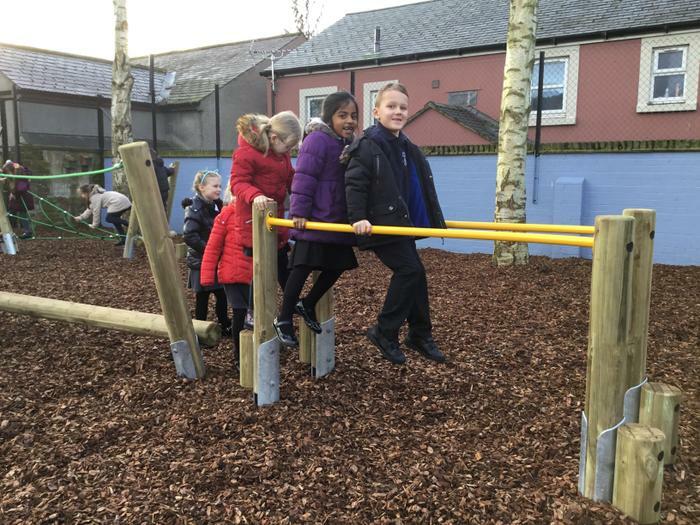 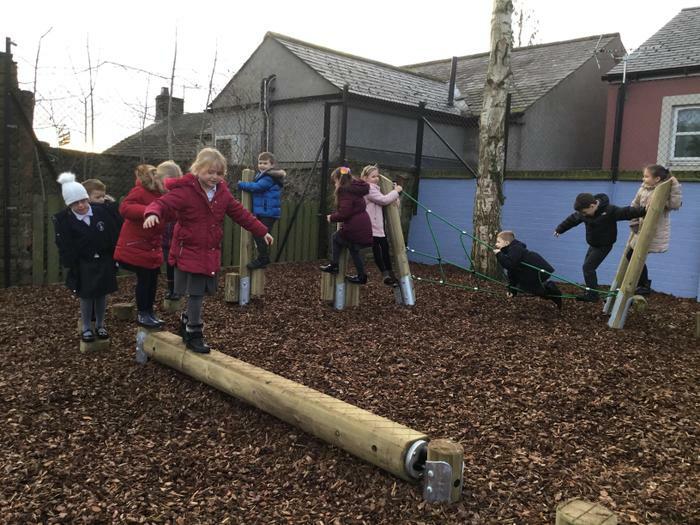 January: We are very excited to play on our new climbing frame! 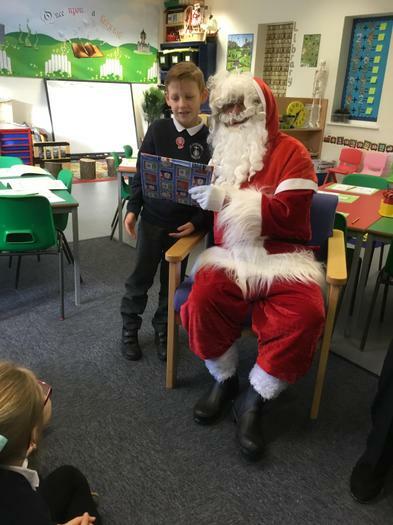 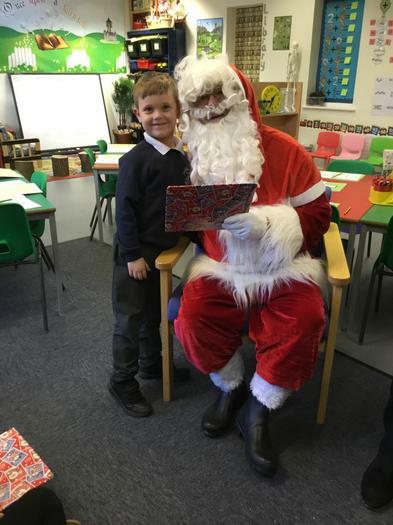 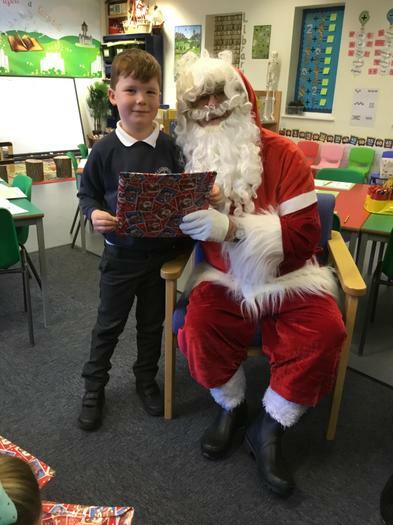 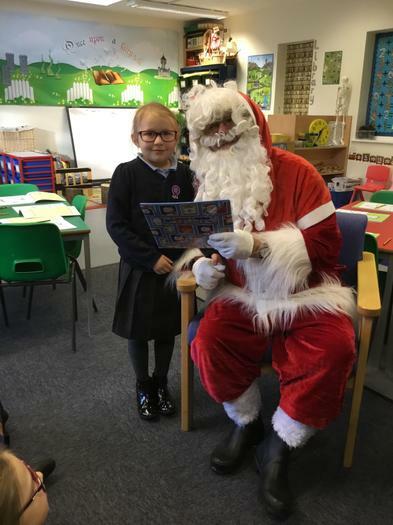 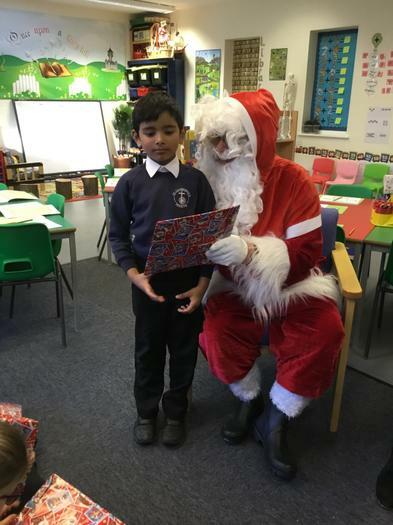 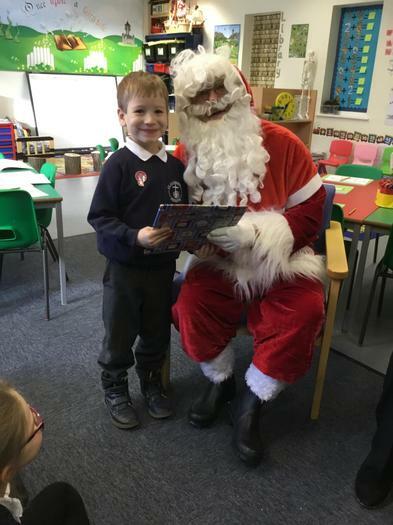 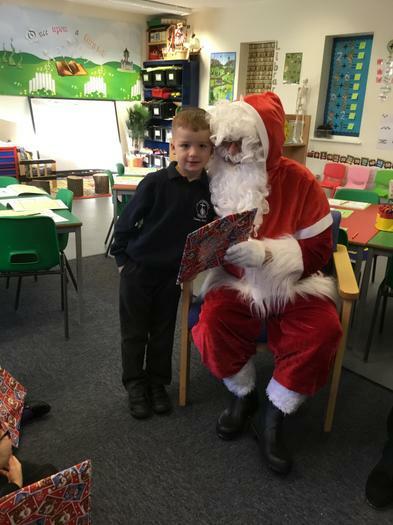 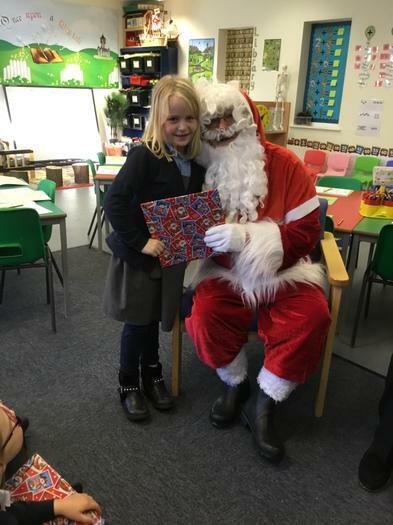 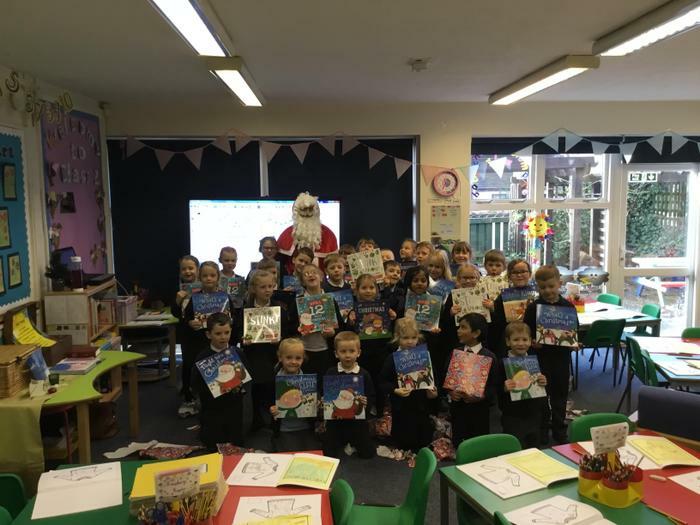 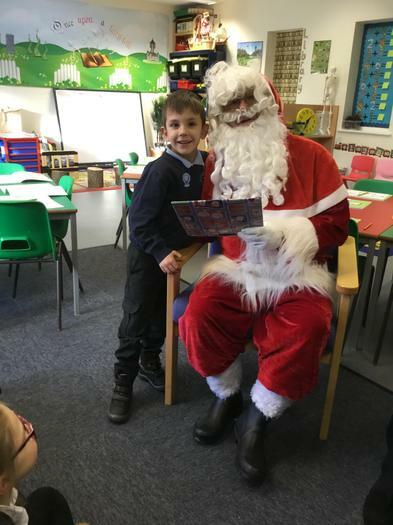 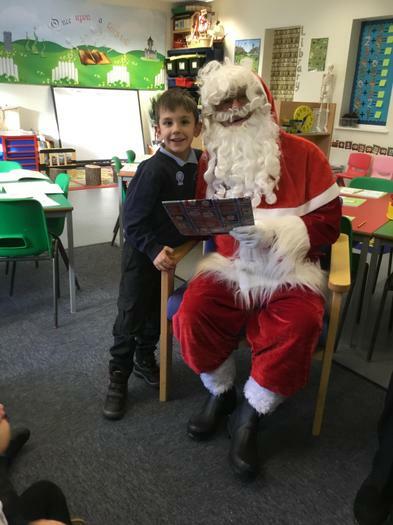 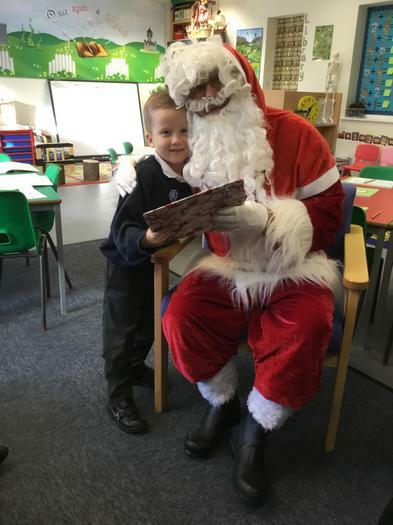 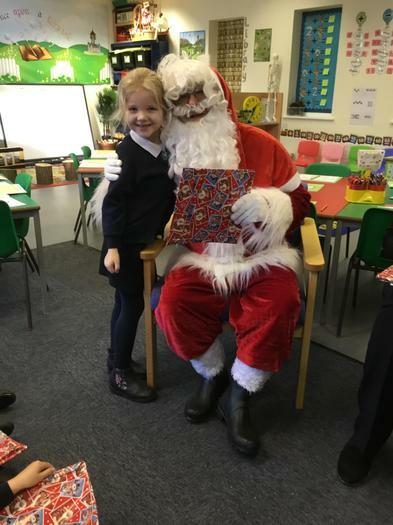 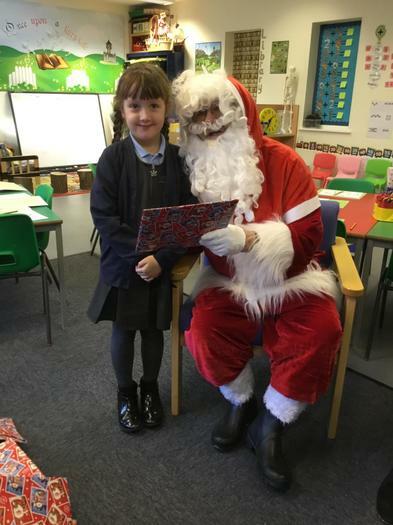 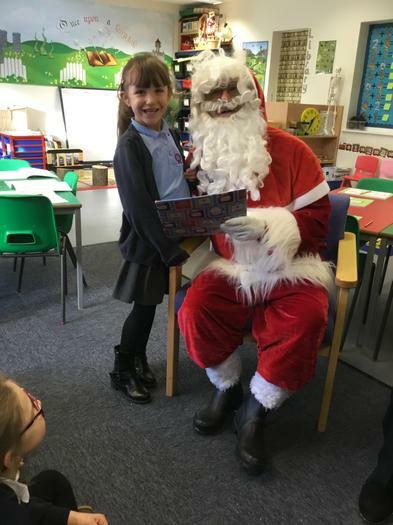 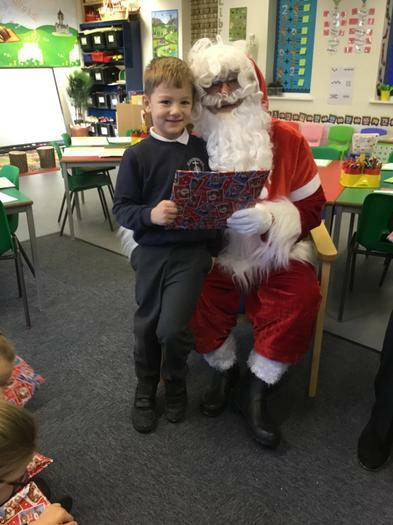 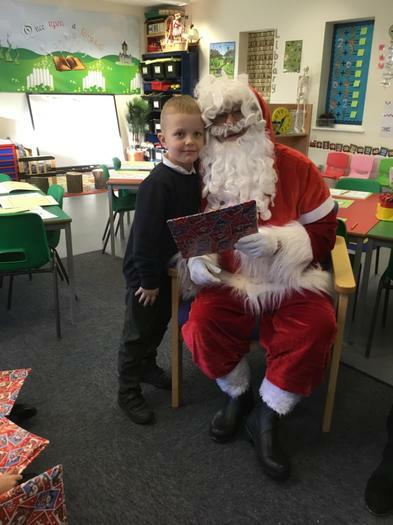 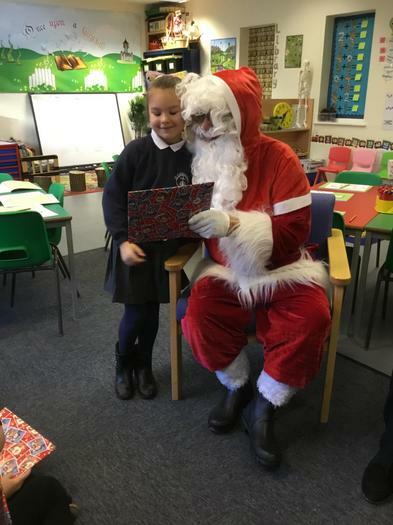 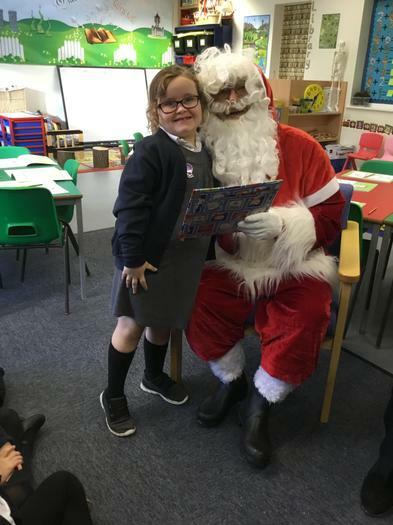 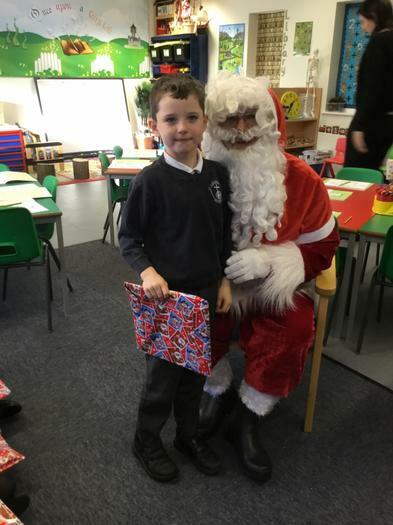 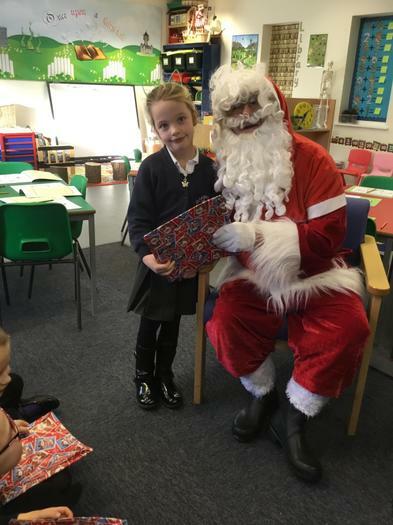 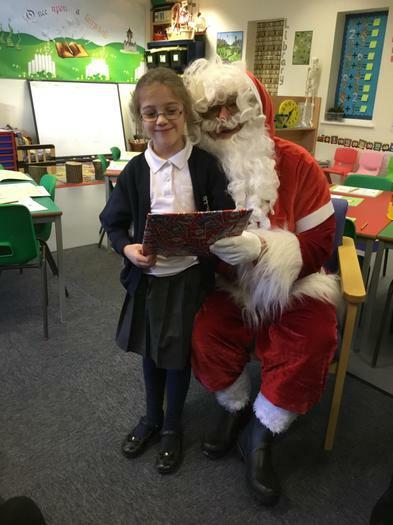 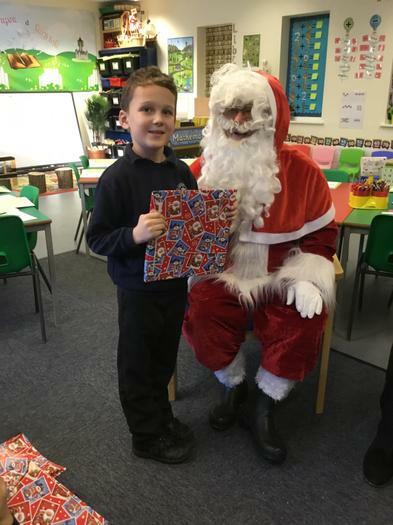 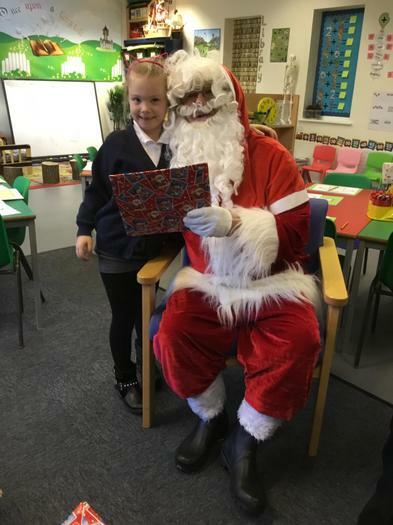 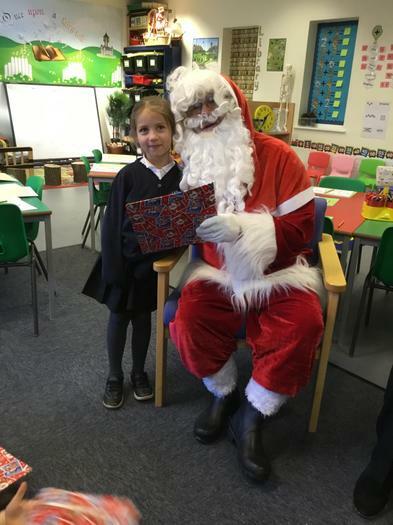 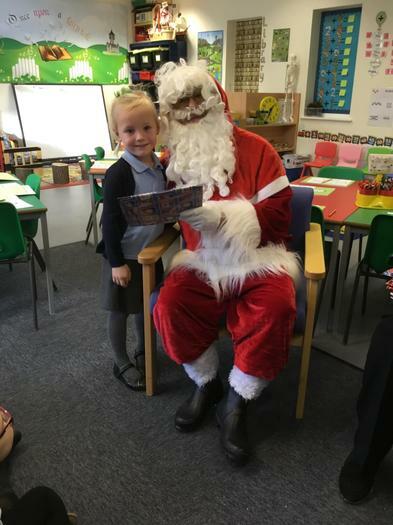 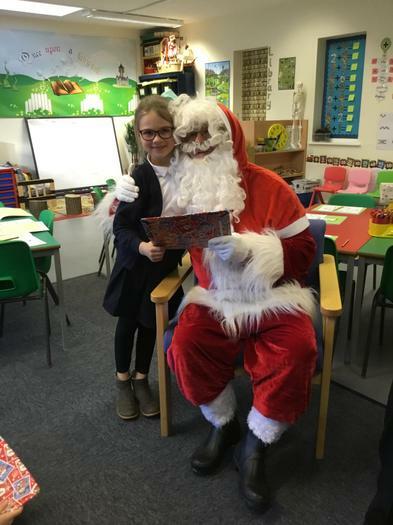 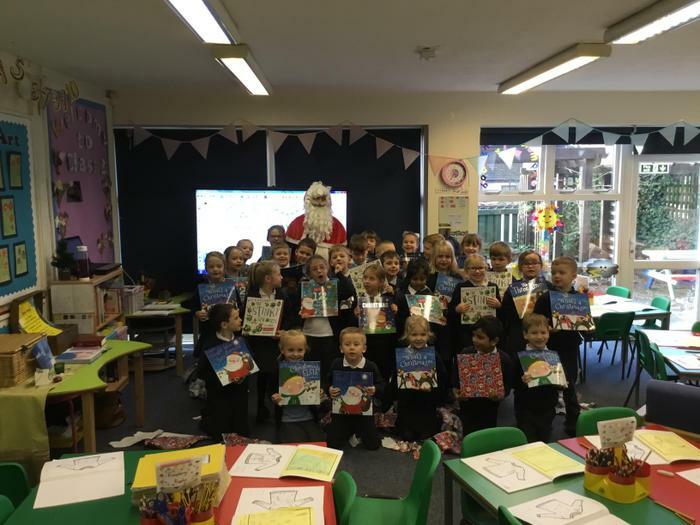 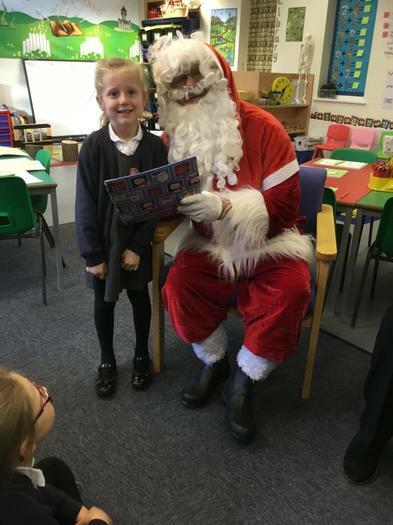 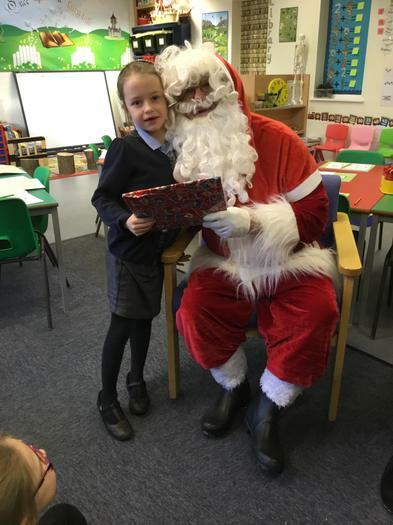 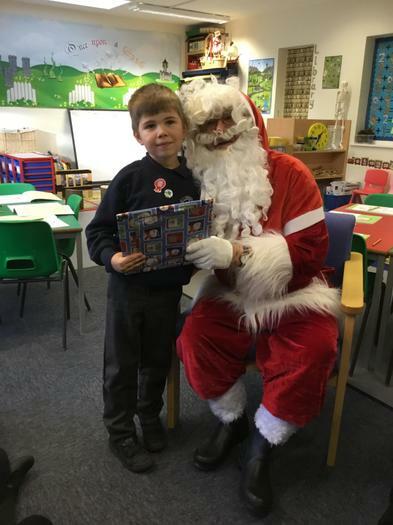 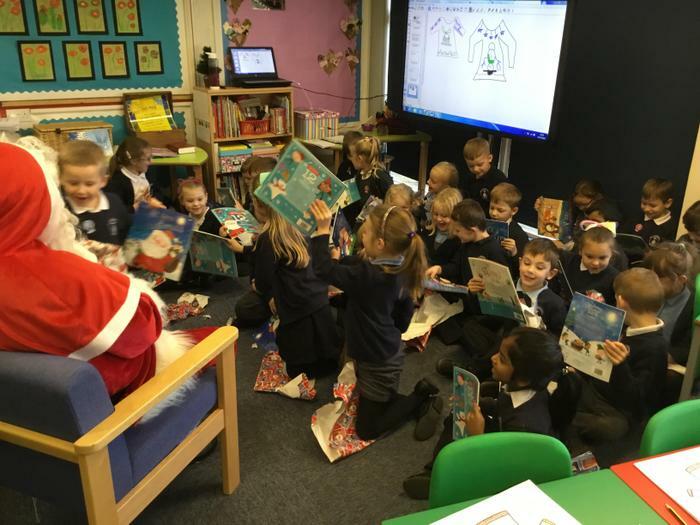 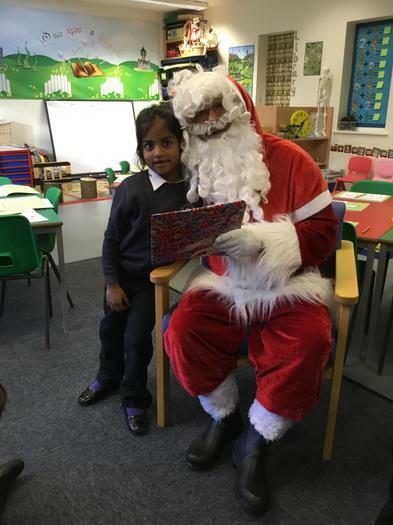 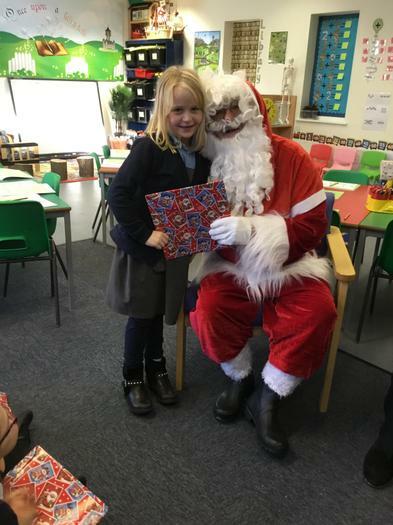 We were so lucky to meet Santa! 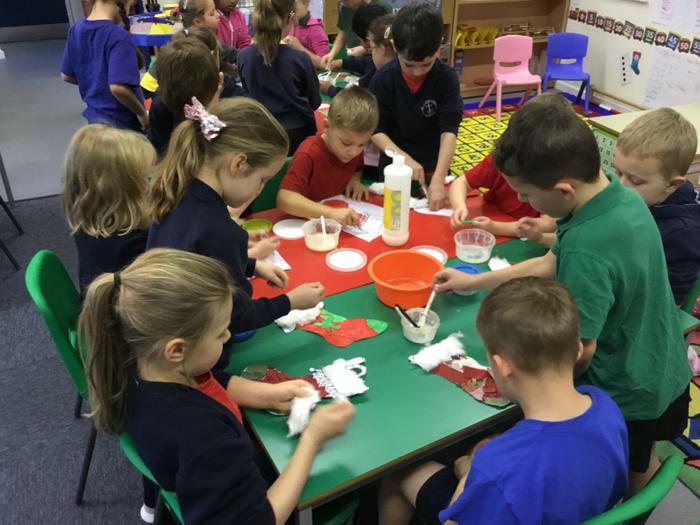 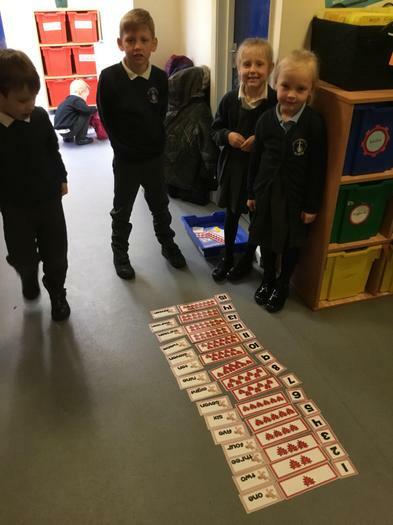 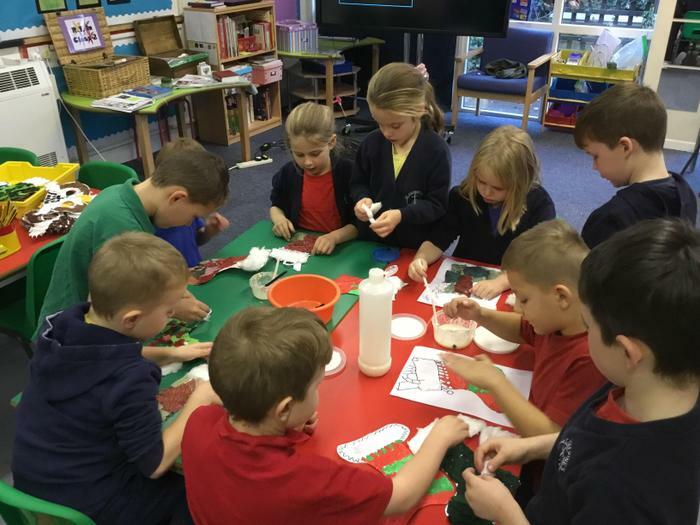 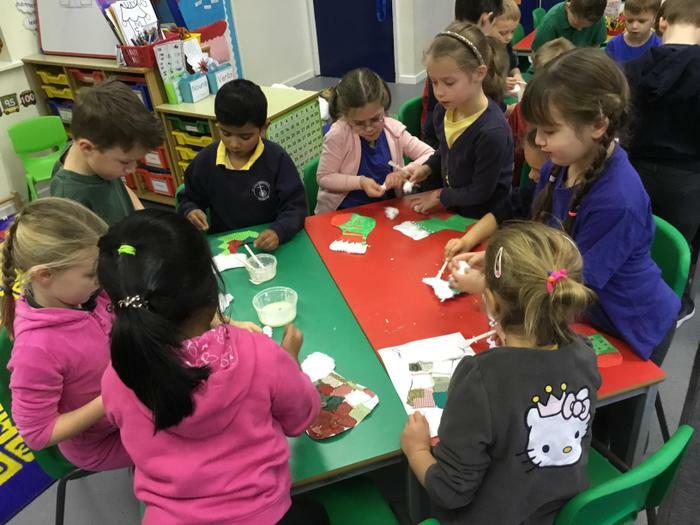 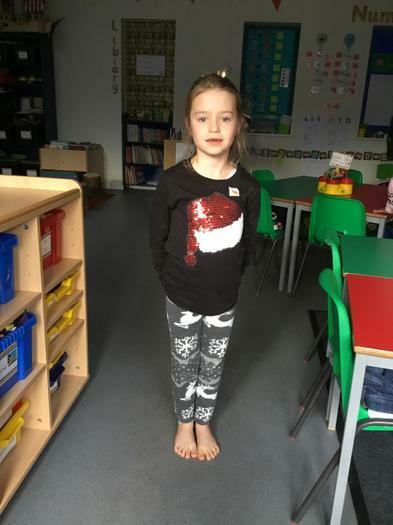 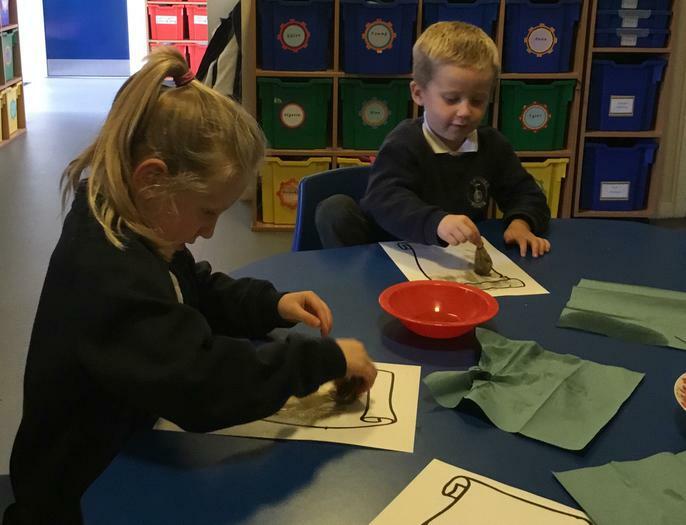 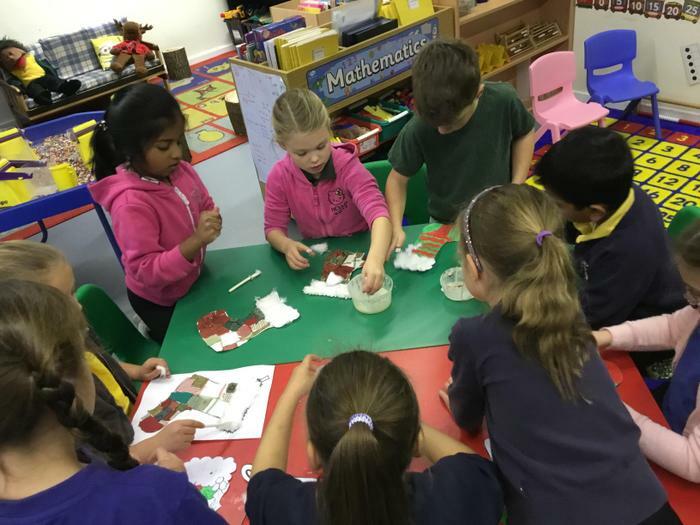 December: We have designed and made Christmas stockings to hang around our fireplace. 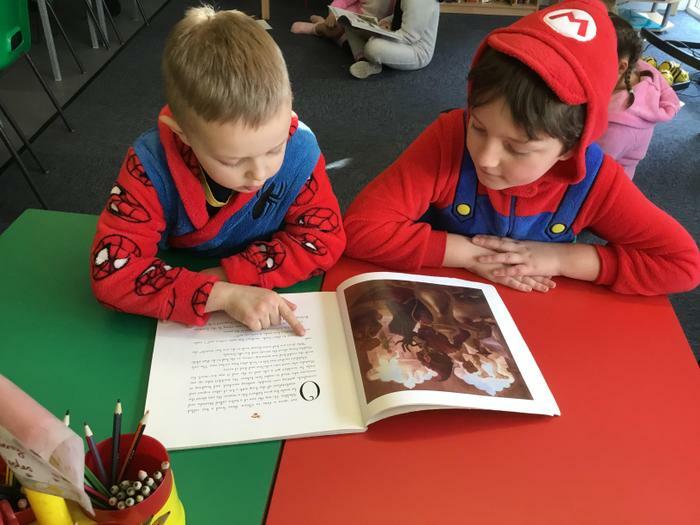 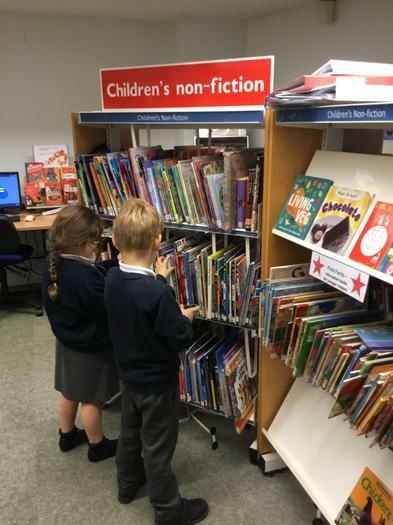 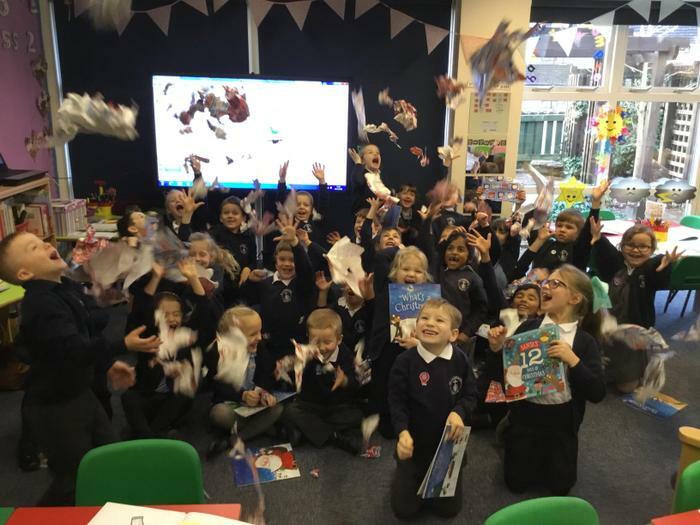 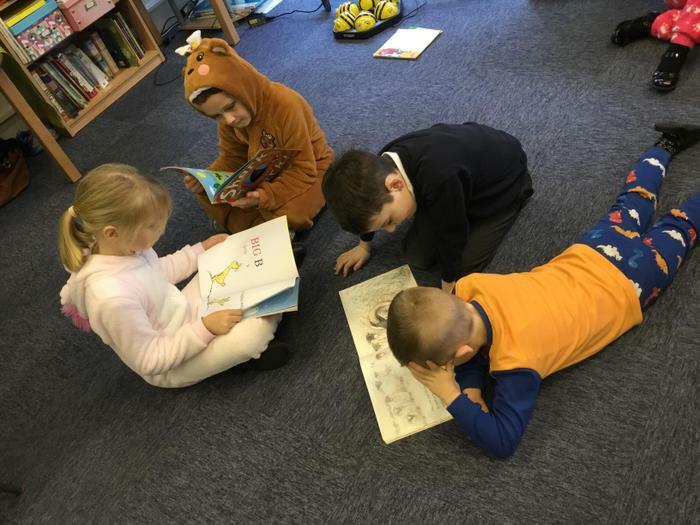 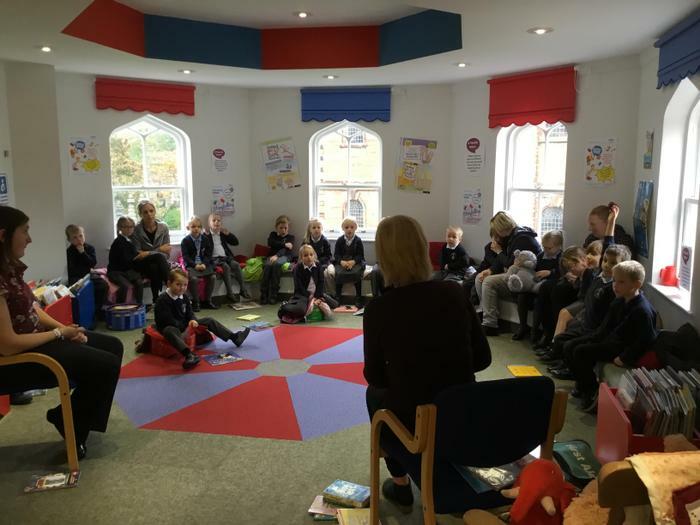 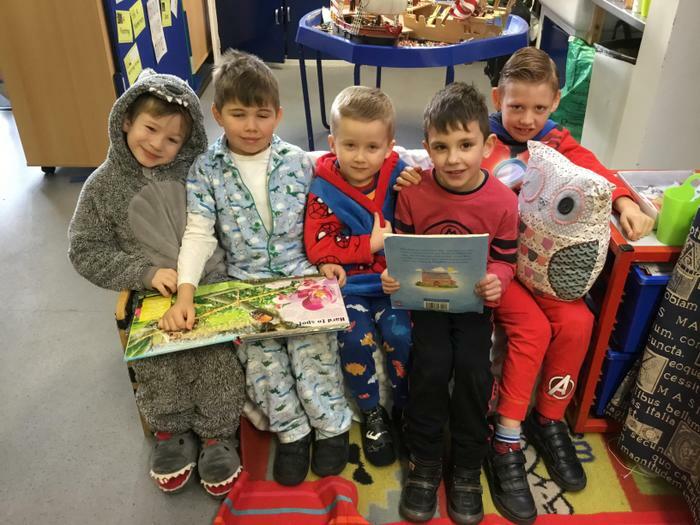 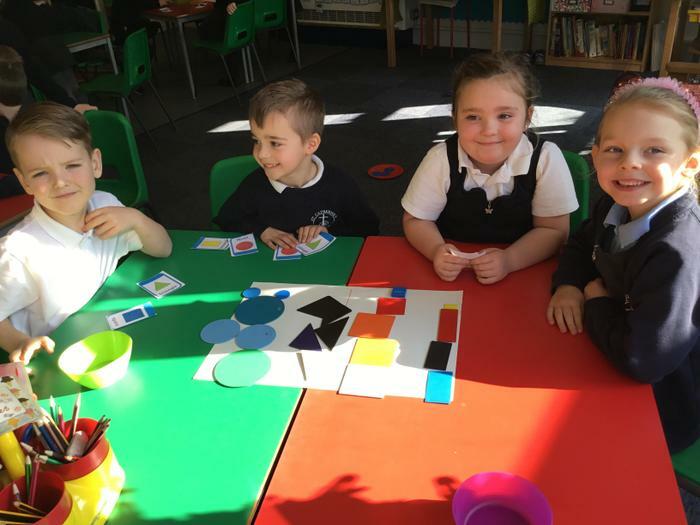 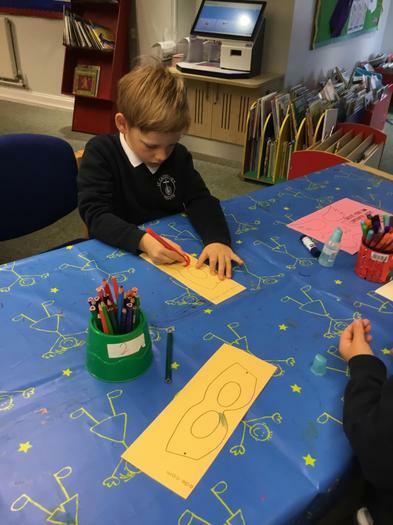 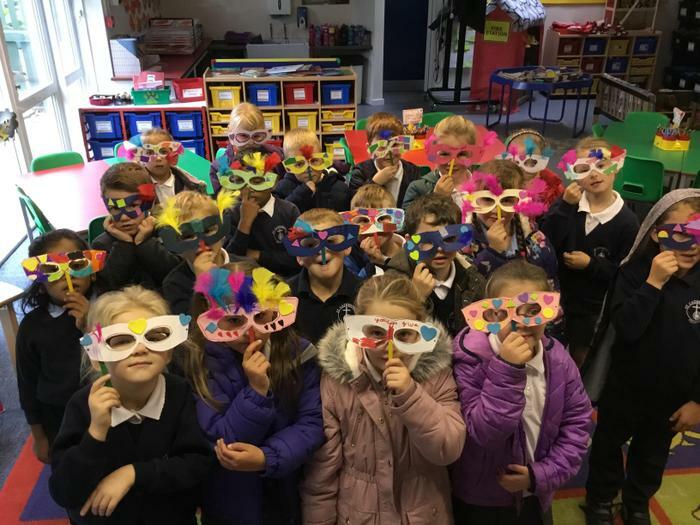 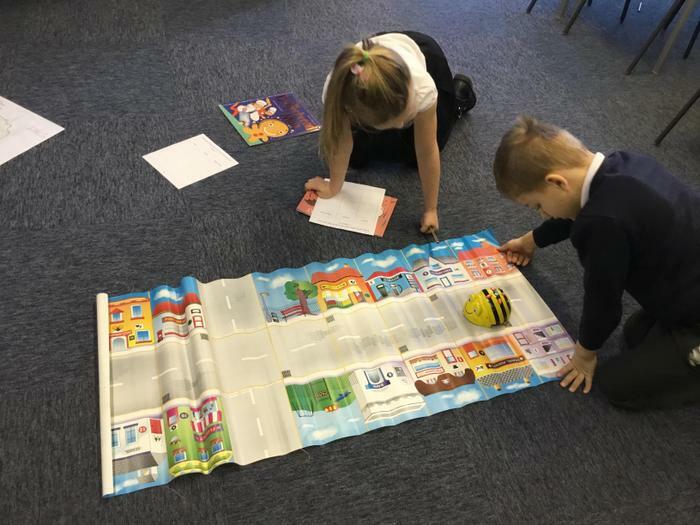 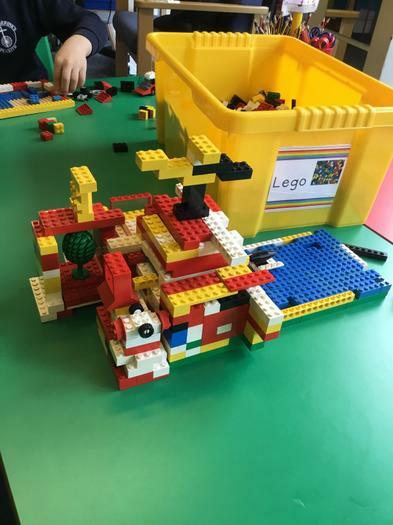 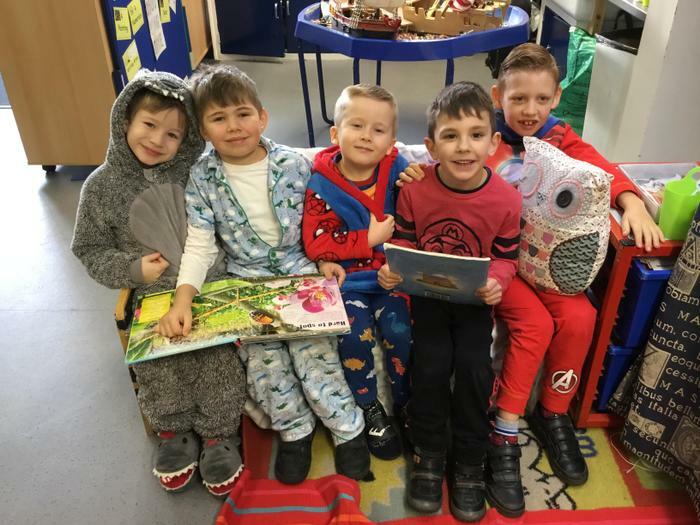 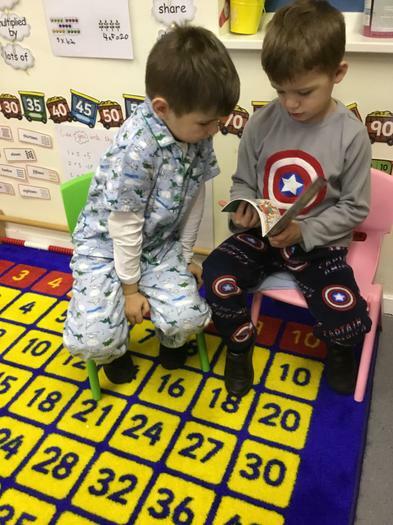 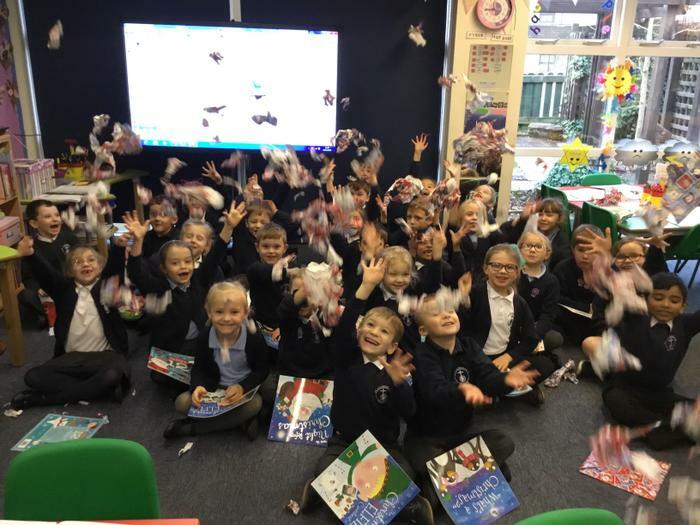 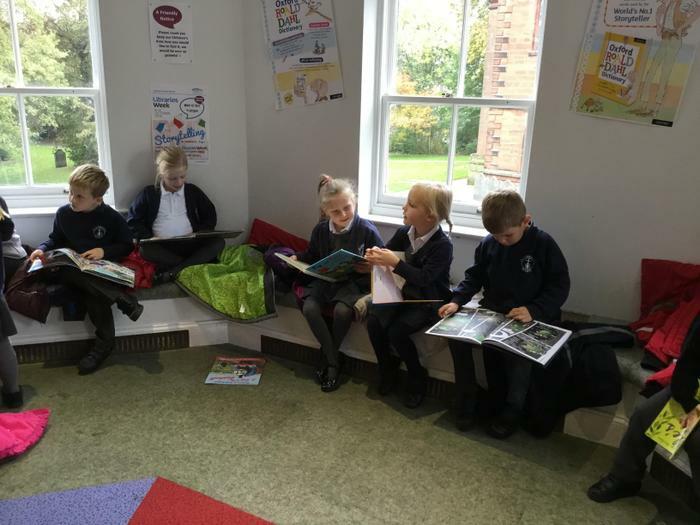 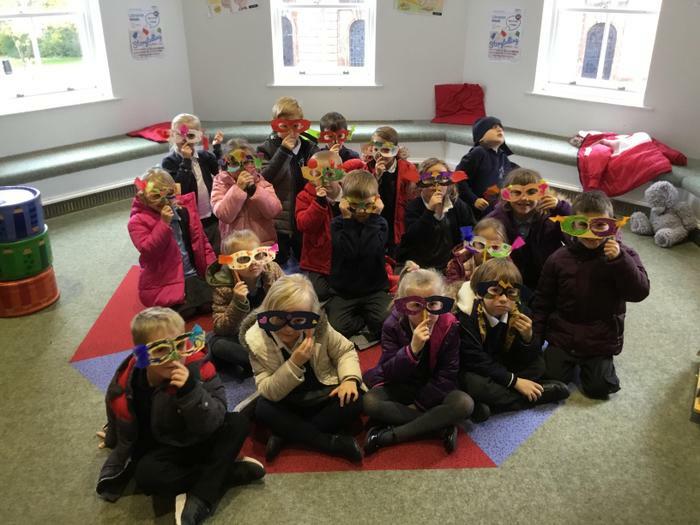 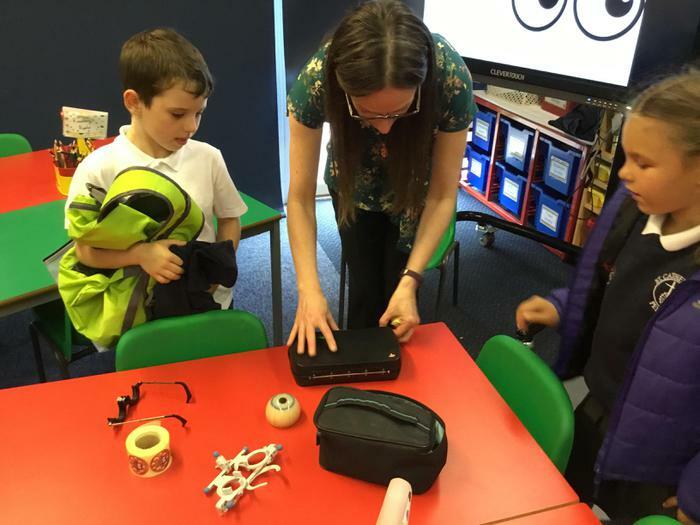 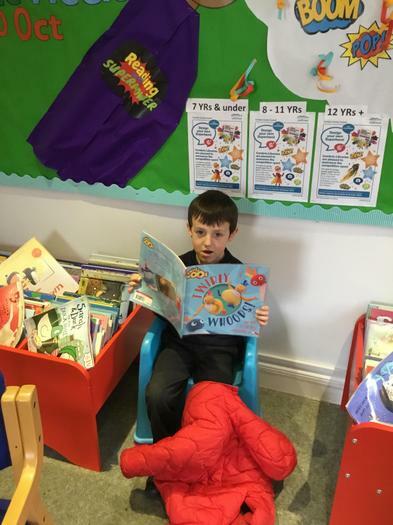 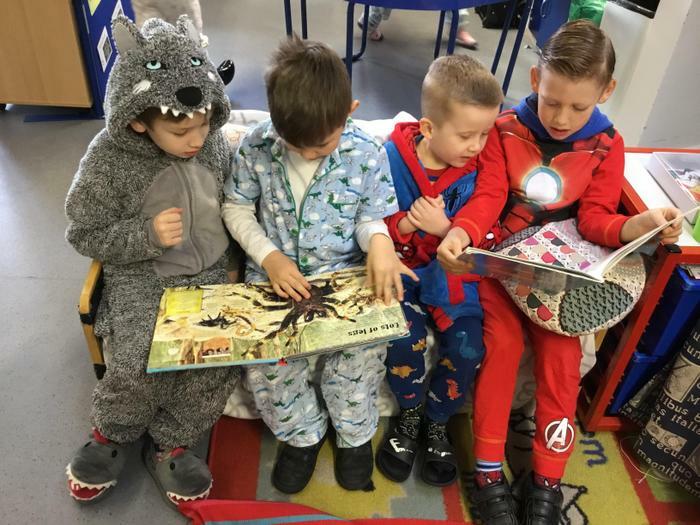 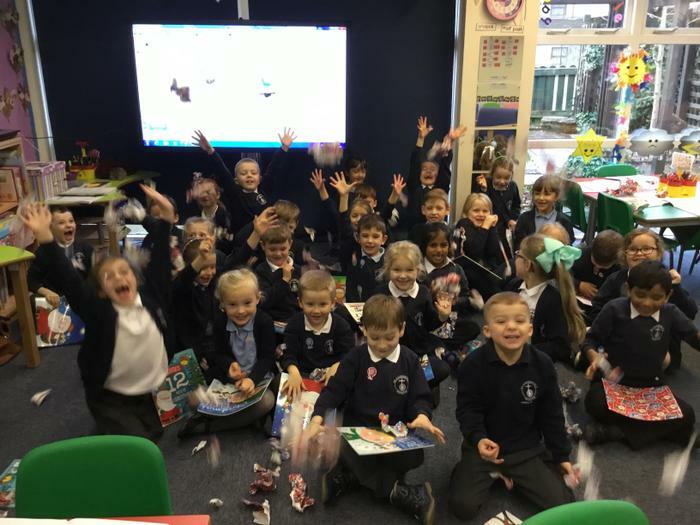 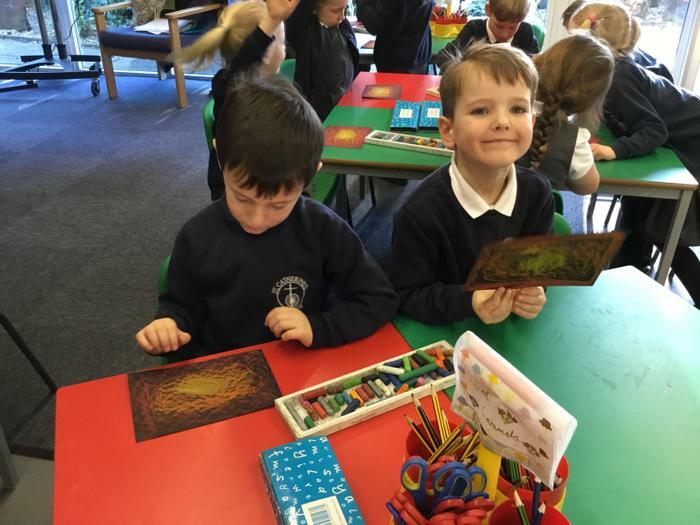 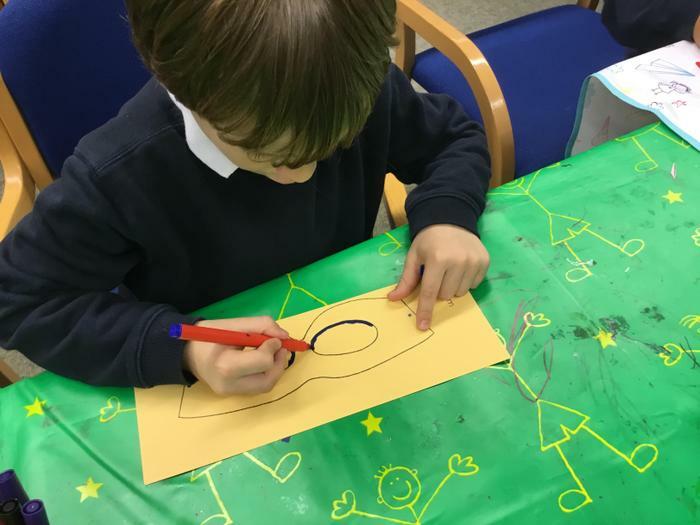 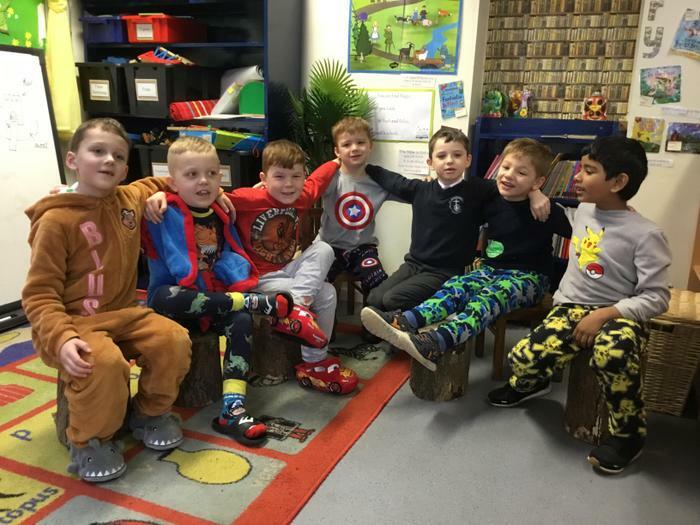 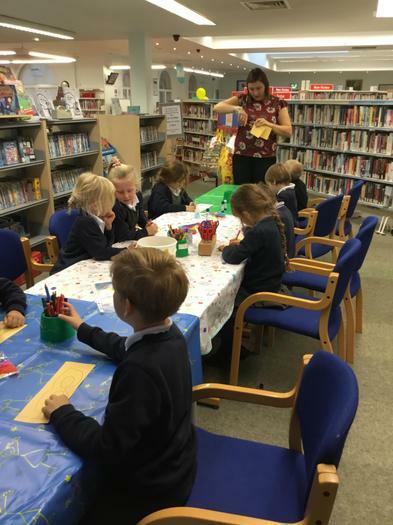 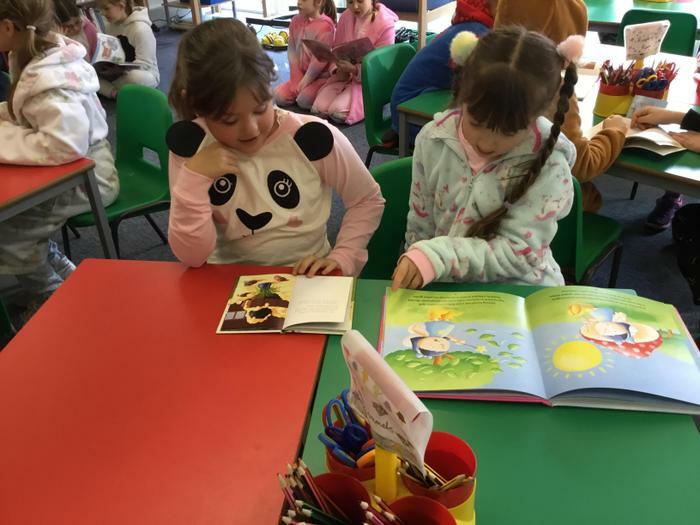 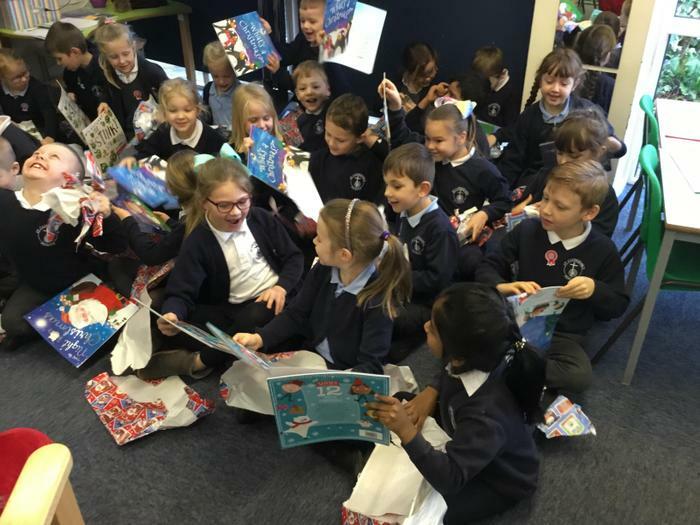 October: For library week Class 2 visited Penrith library to explore their range of books and to make superhero masks! 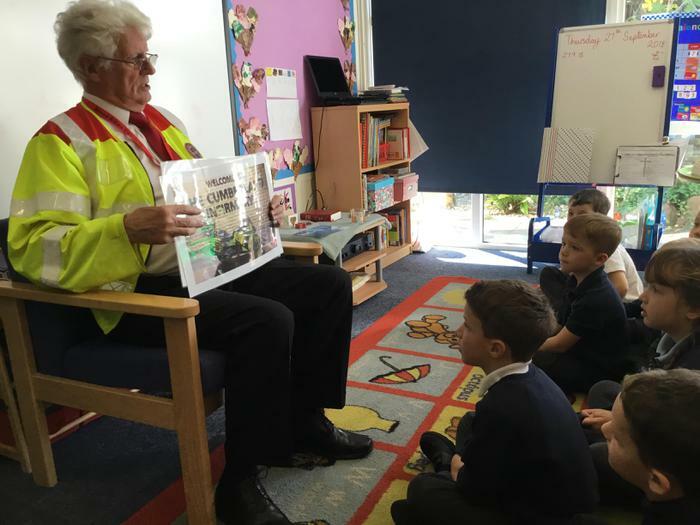 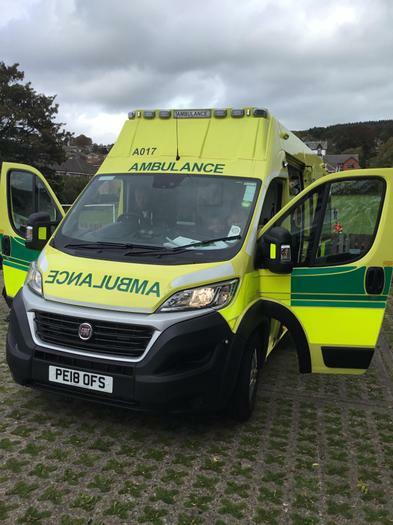 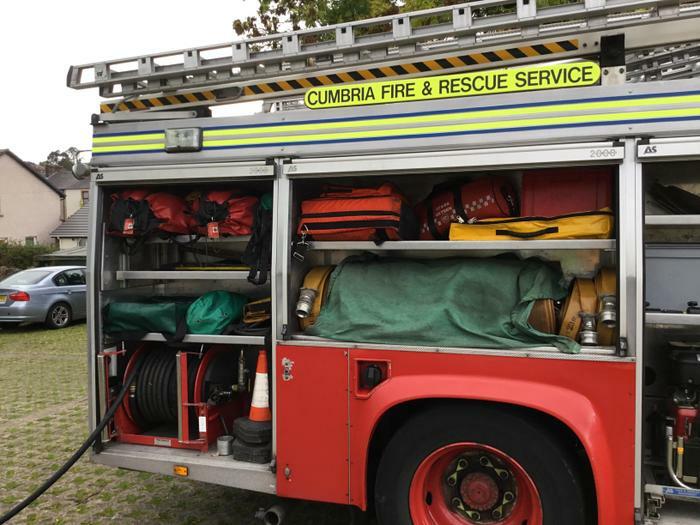 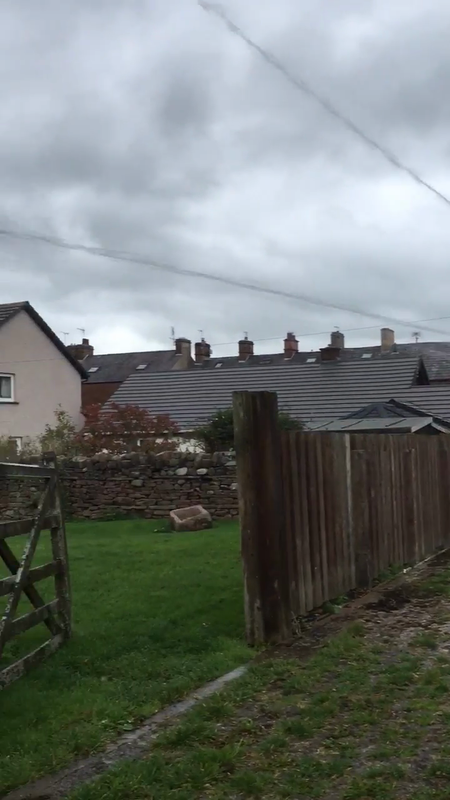 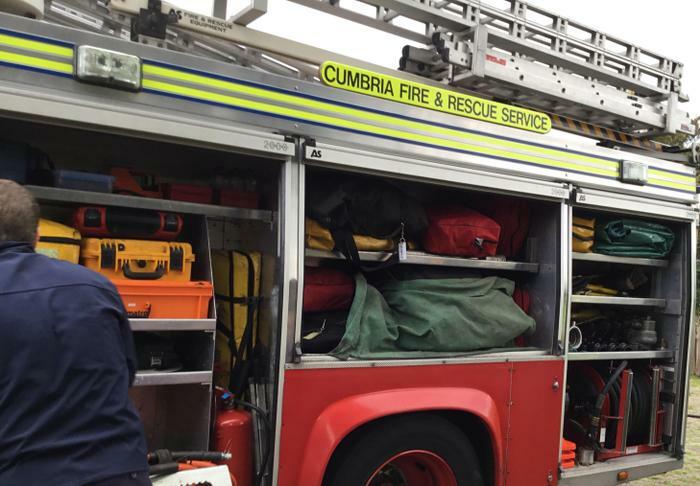 September: We were recently visited by Ian from Blood Bike, Cumbria. 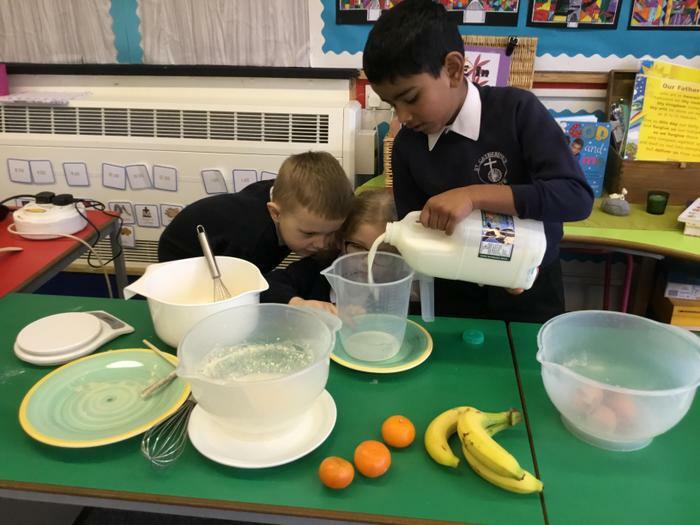 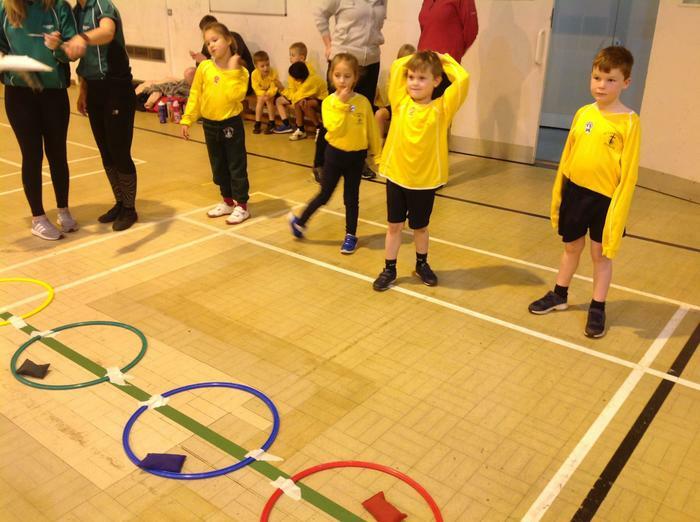 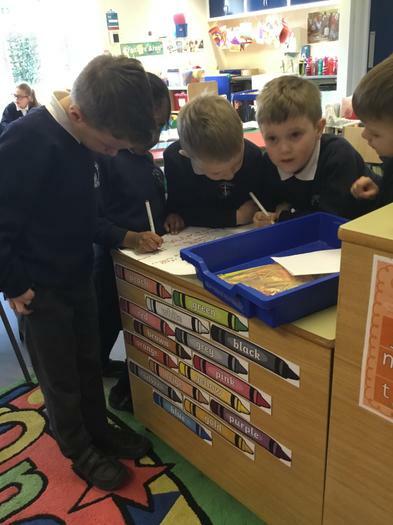 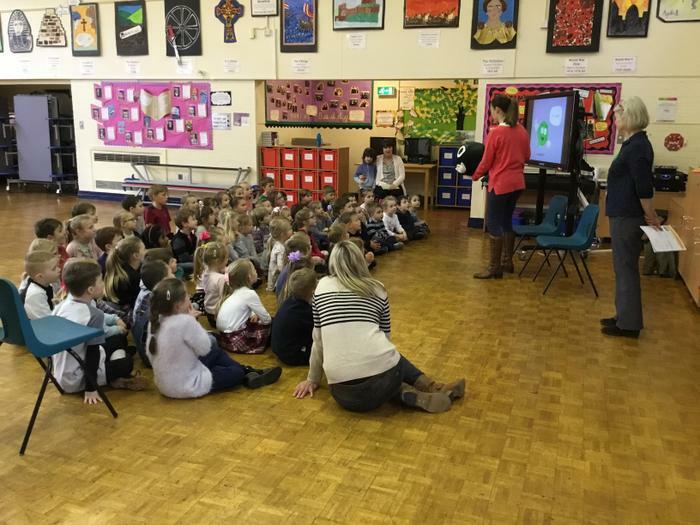 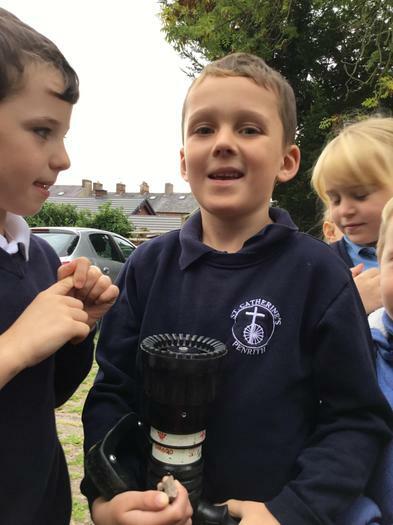 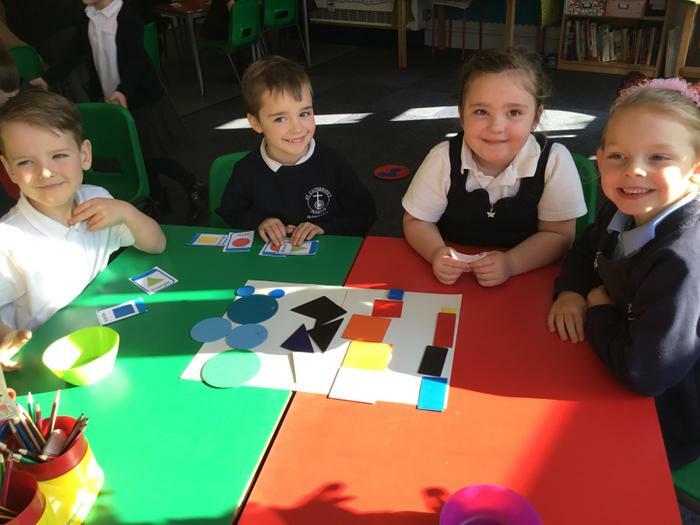 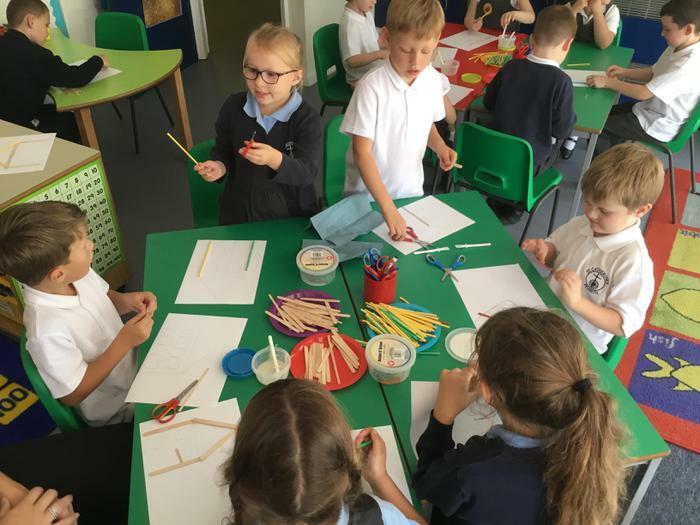 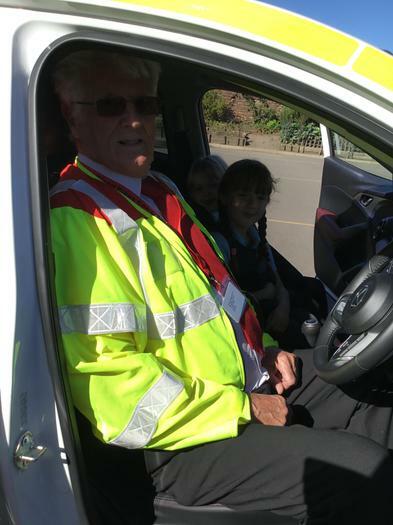 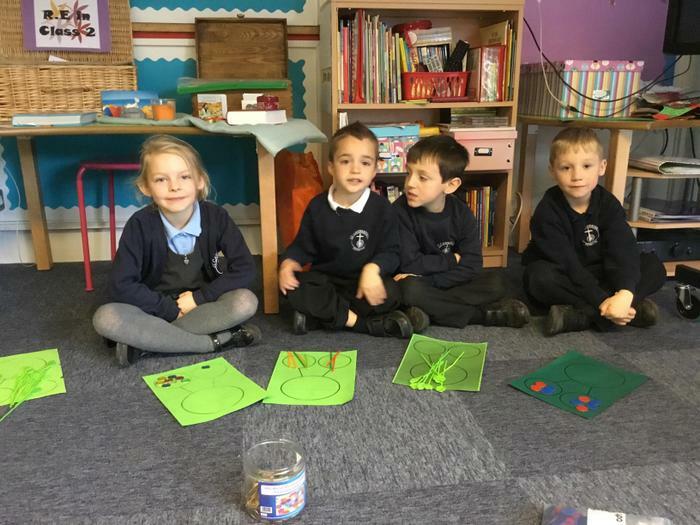 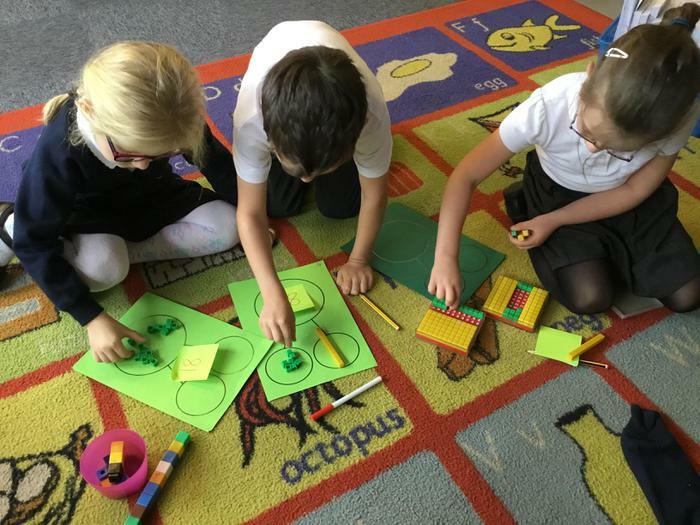 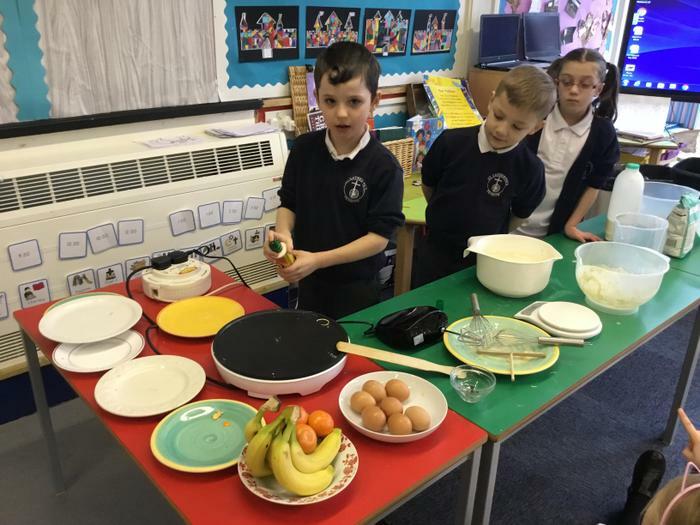 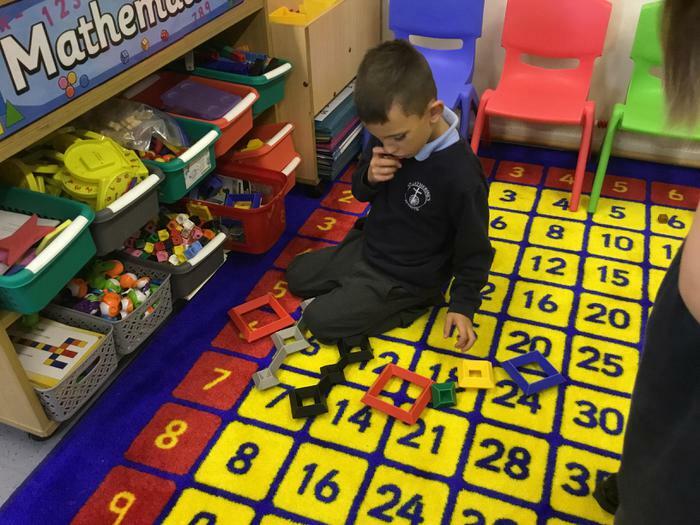 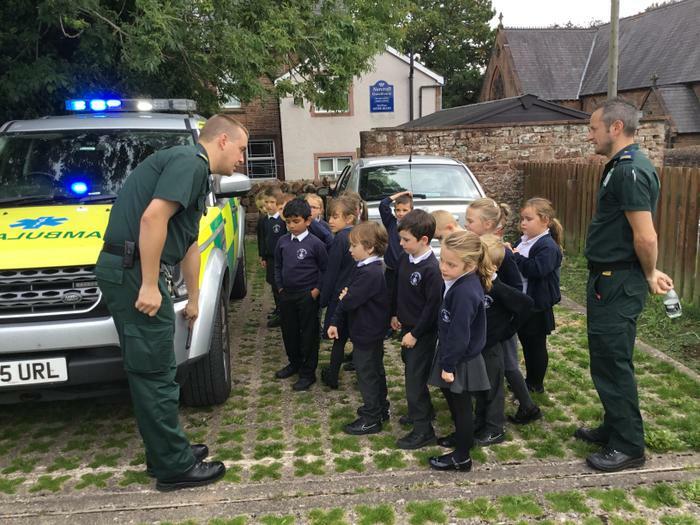 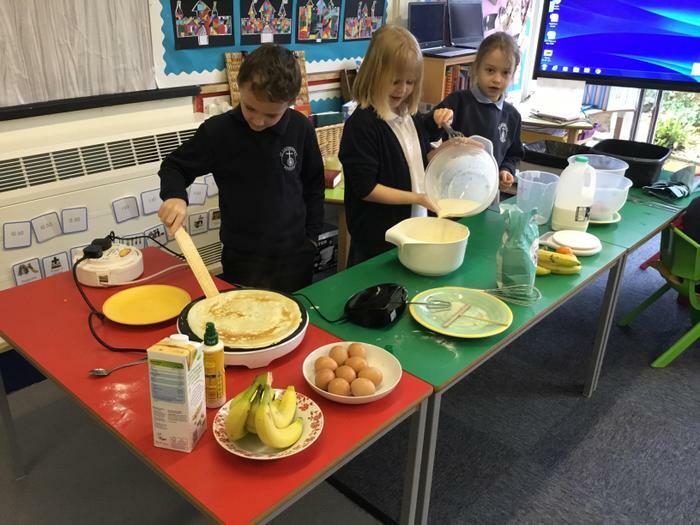 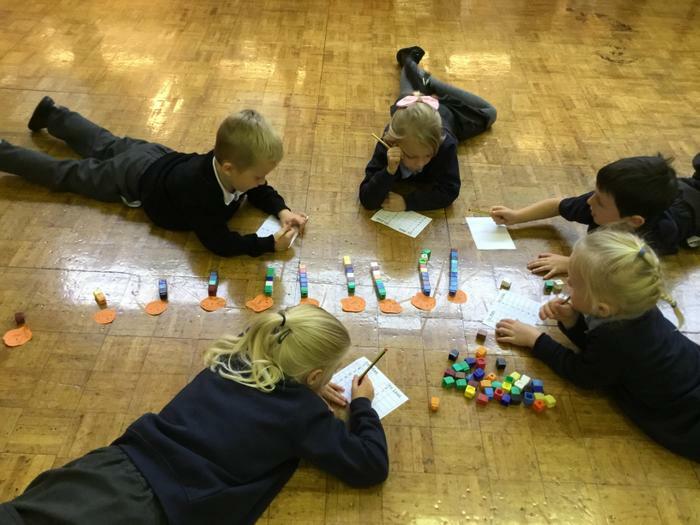 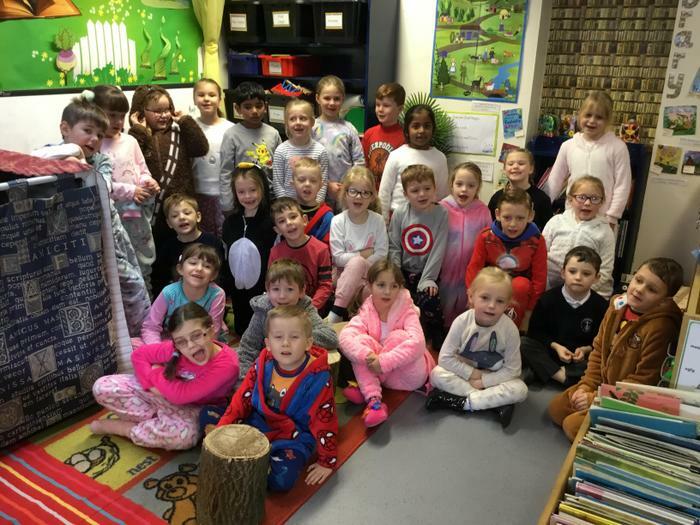 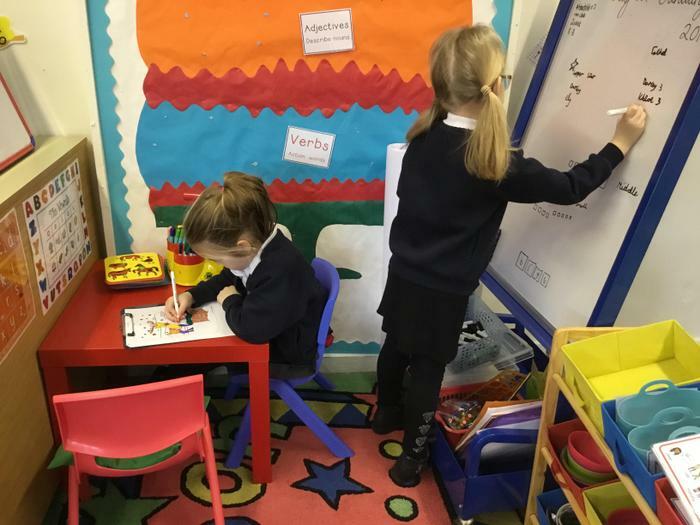 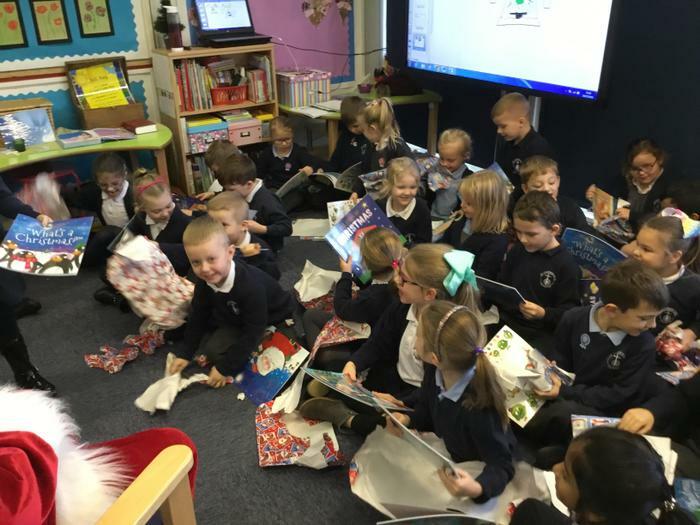 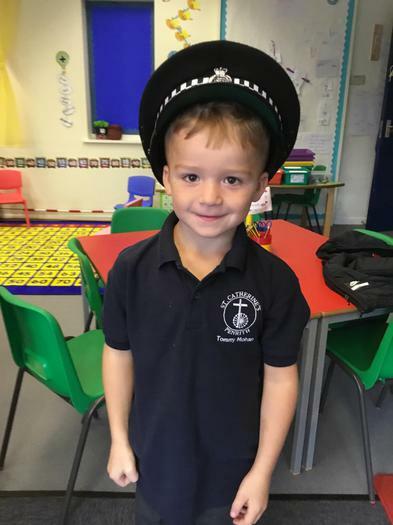 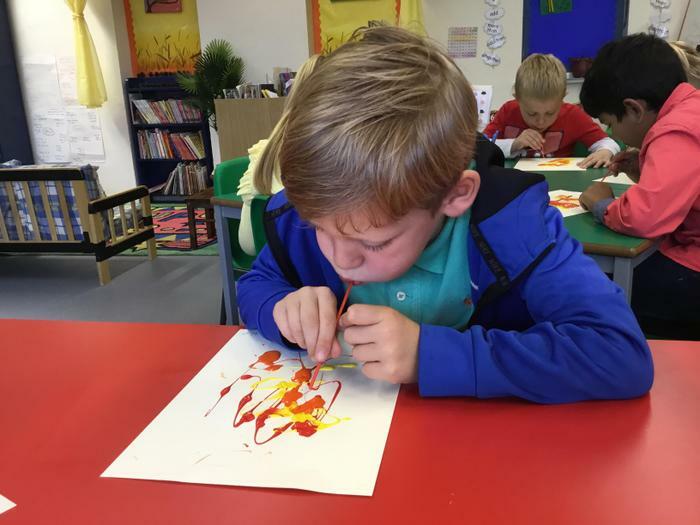 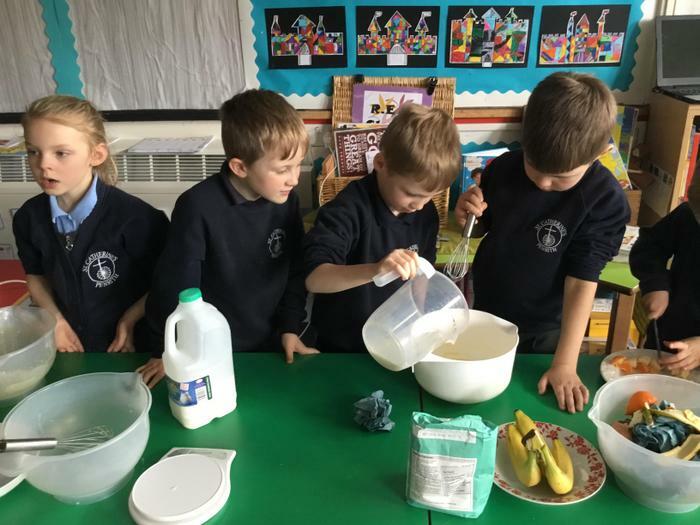 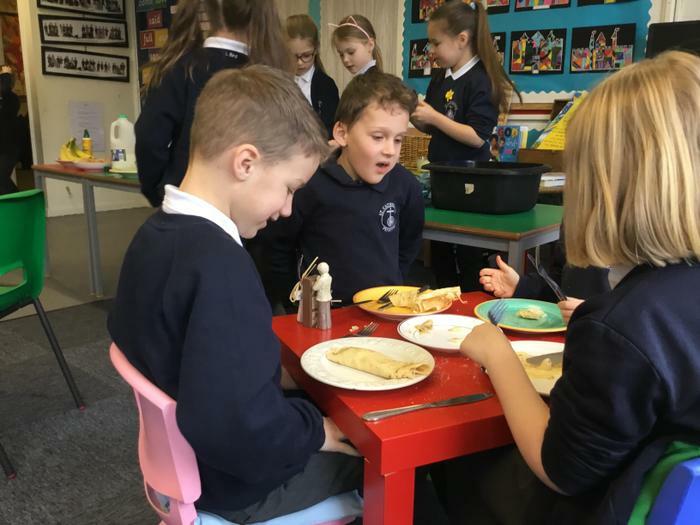 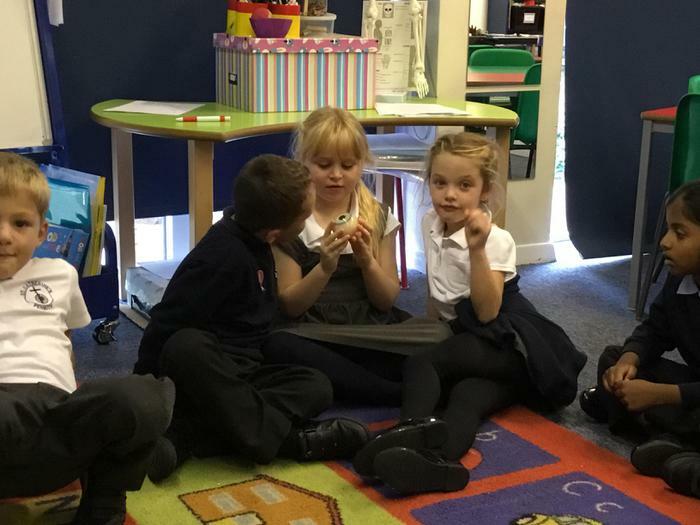 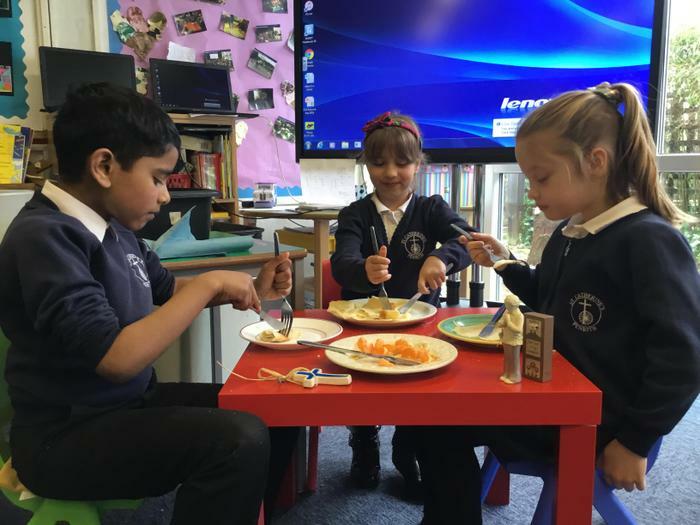 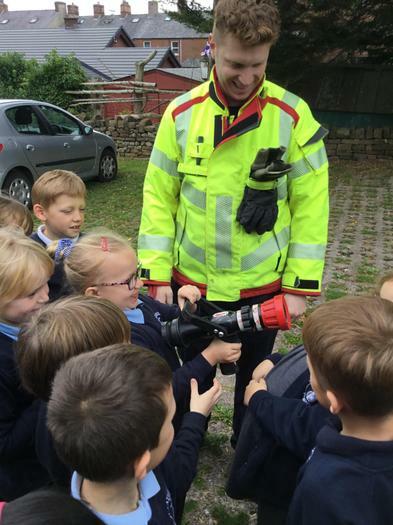 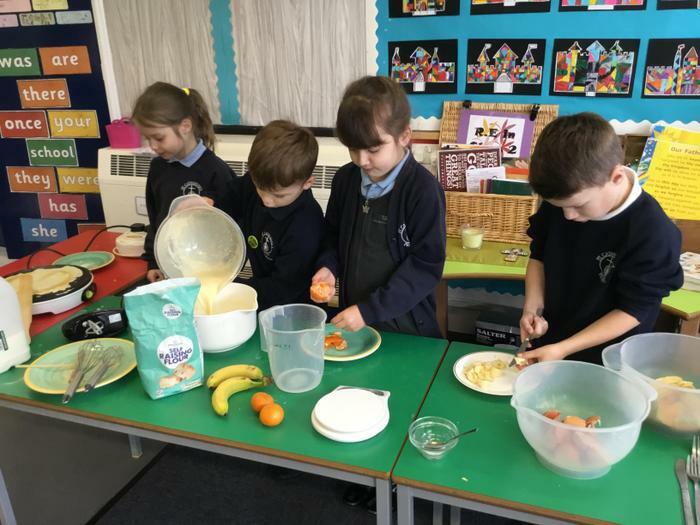 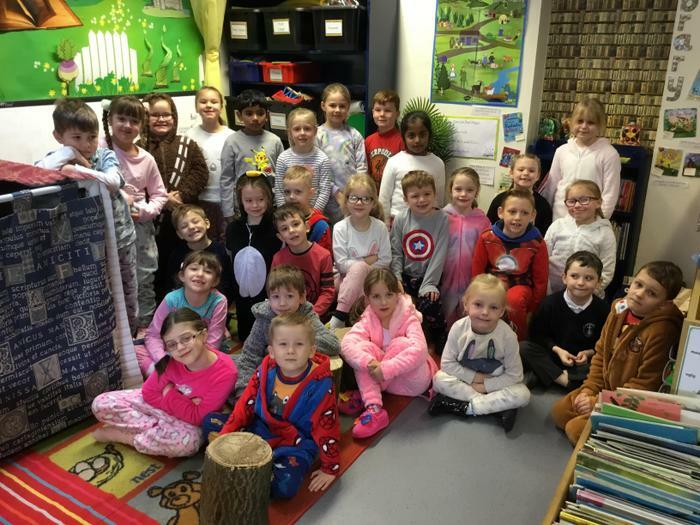 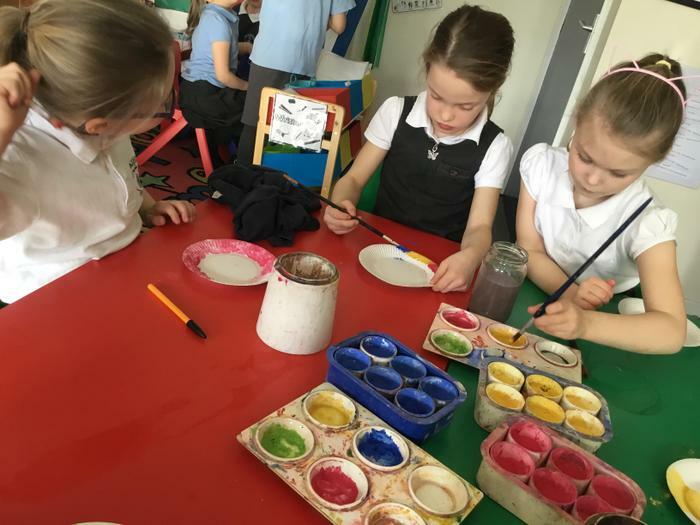 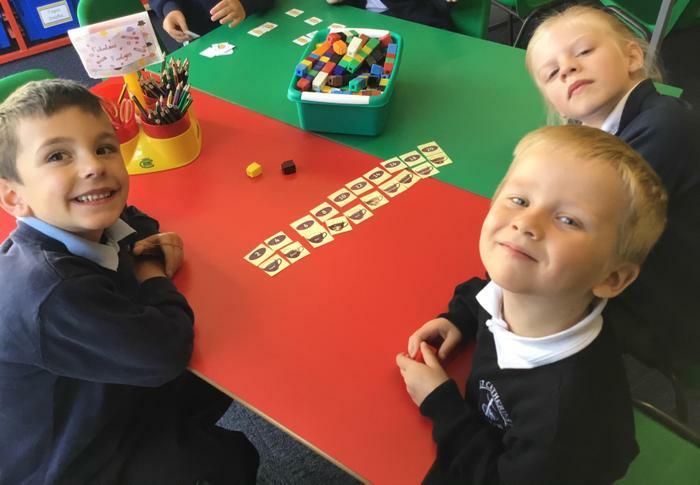 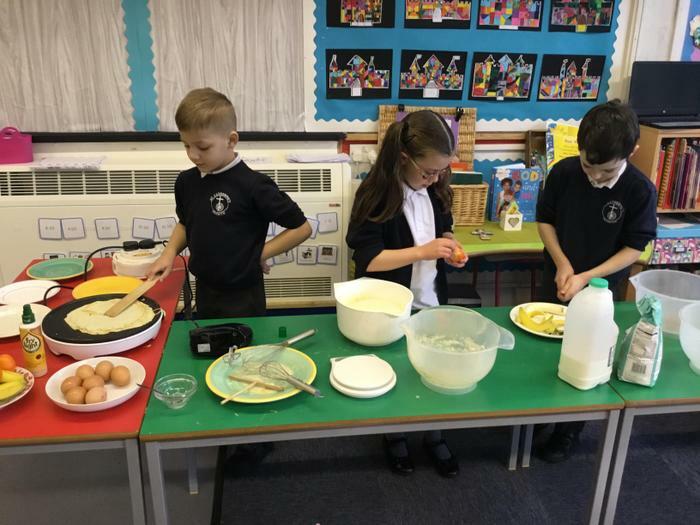 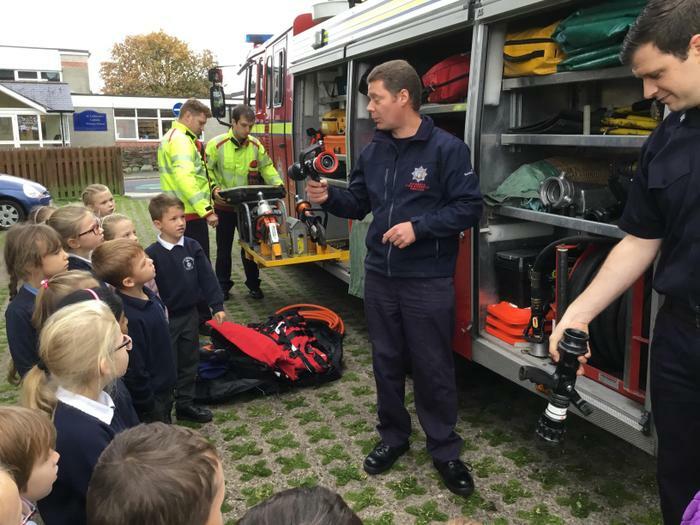 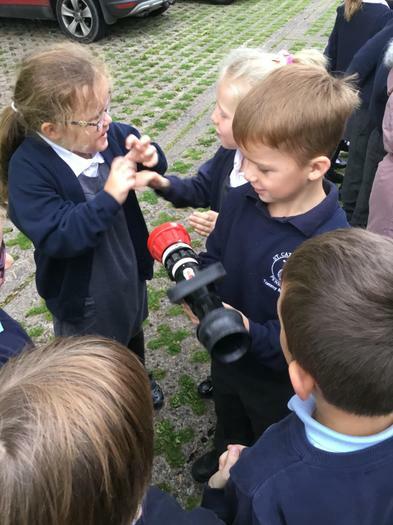 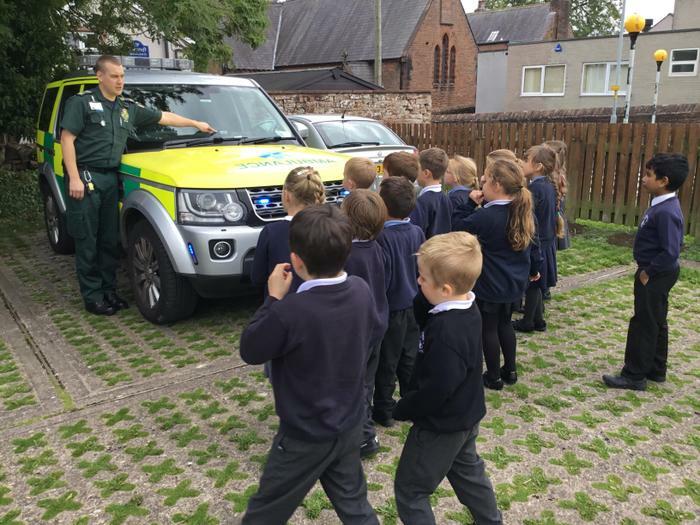 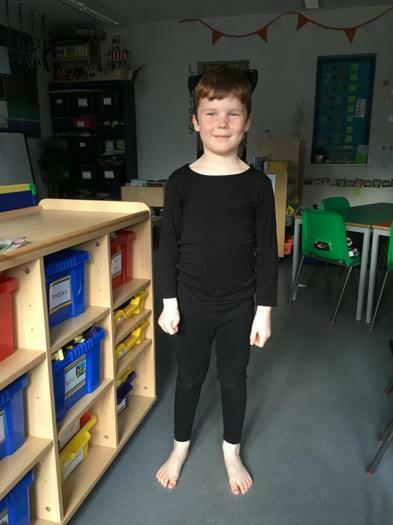 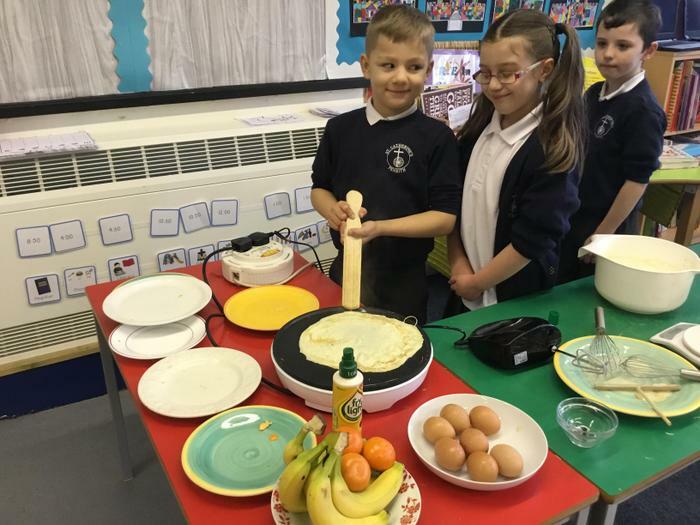 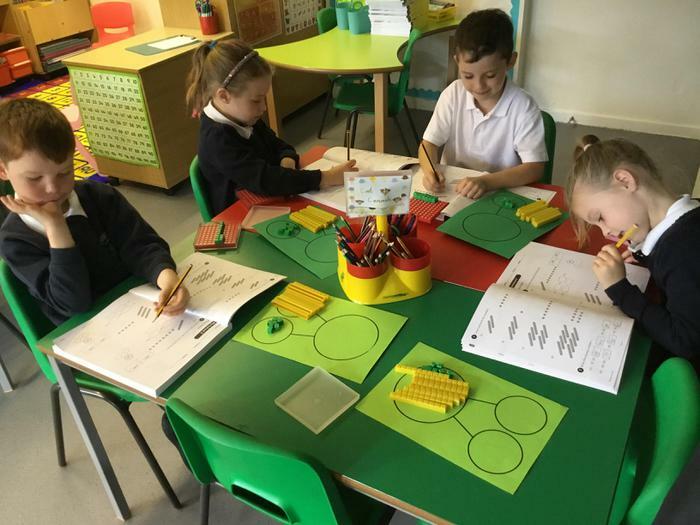 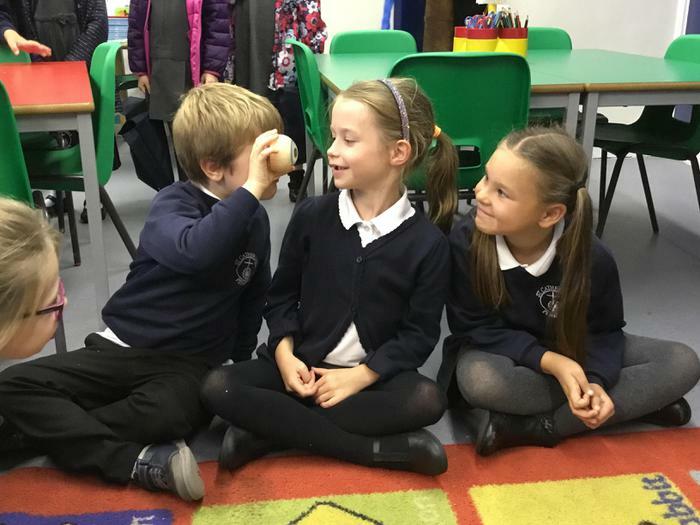 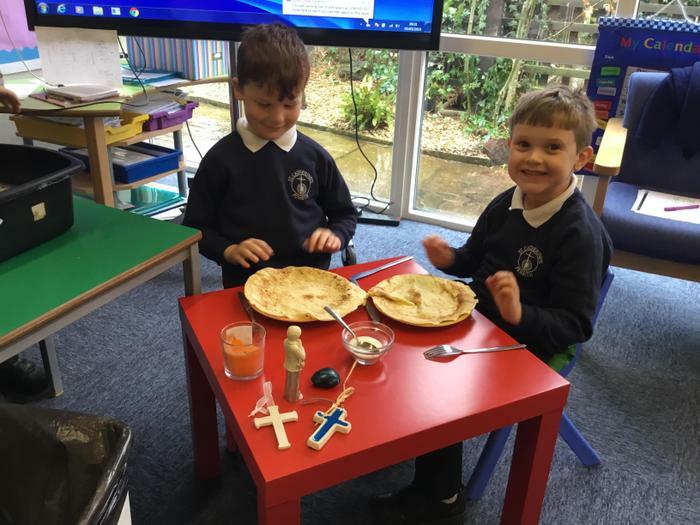 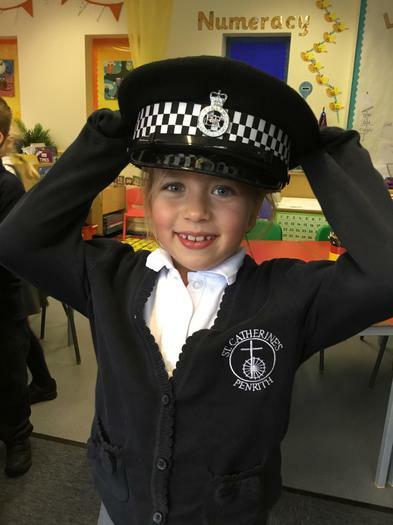 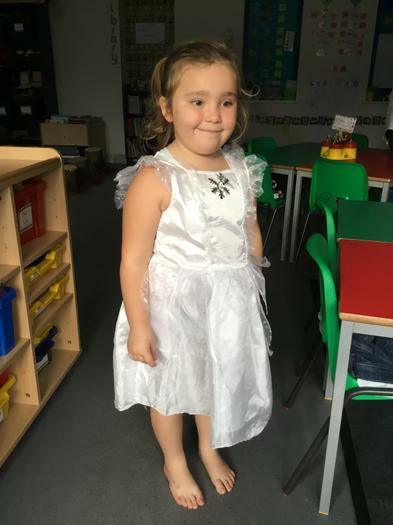 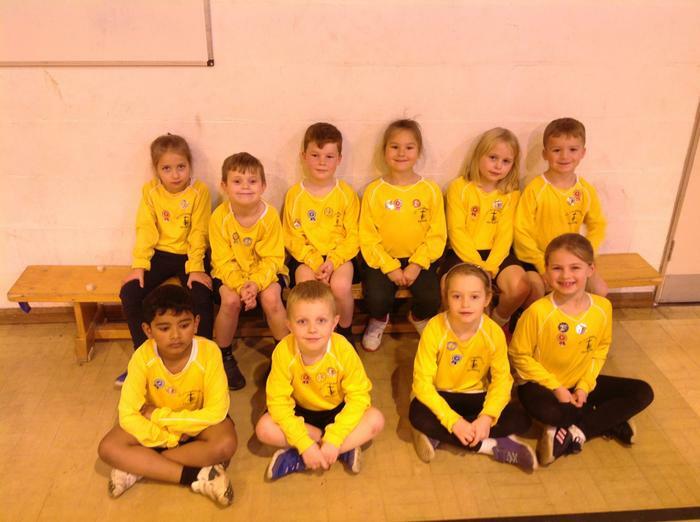 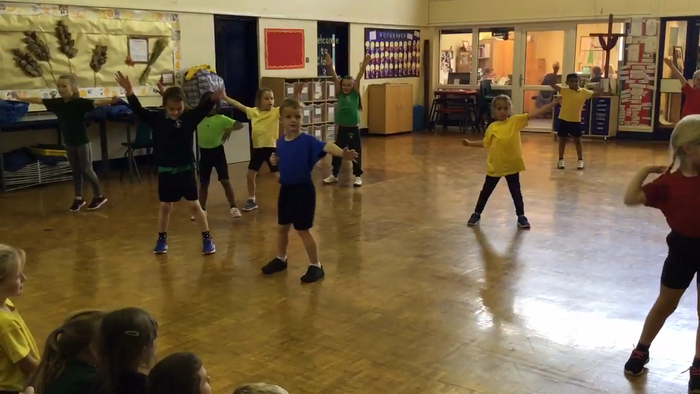 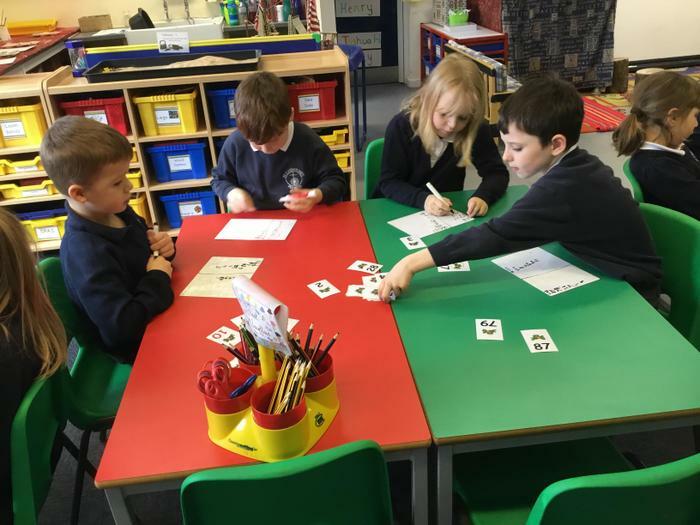 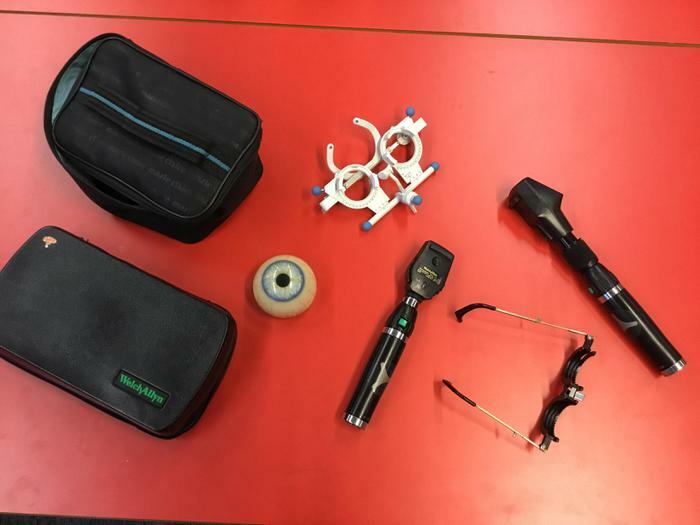 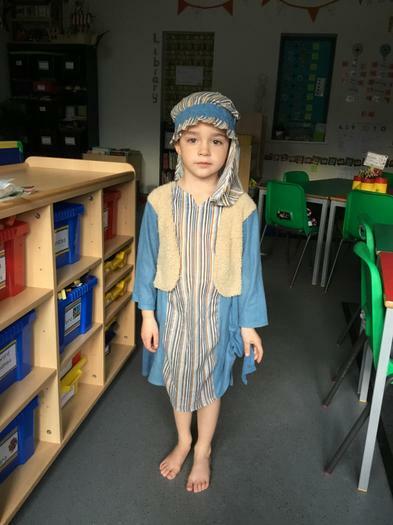 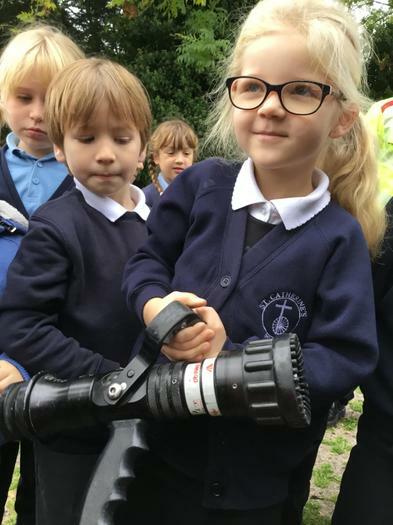 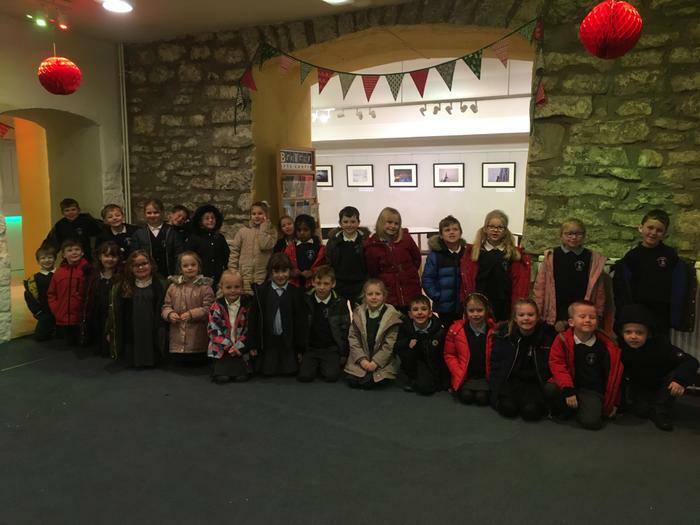 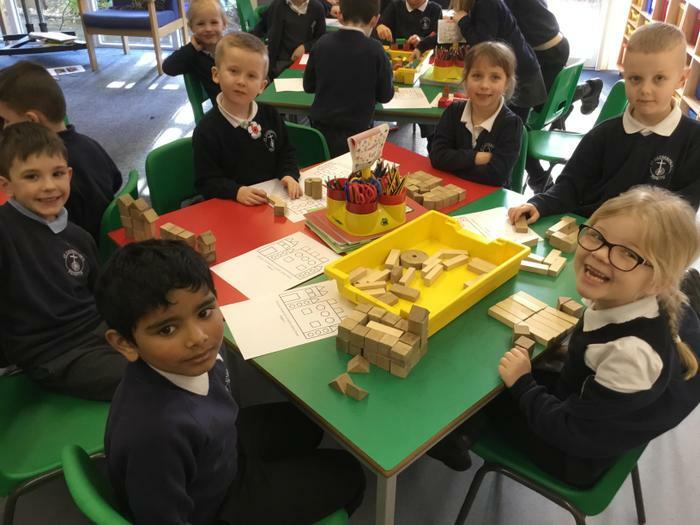 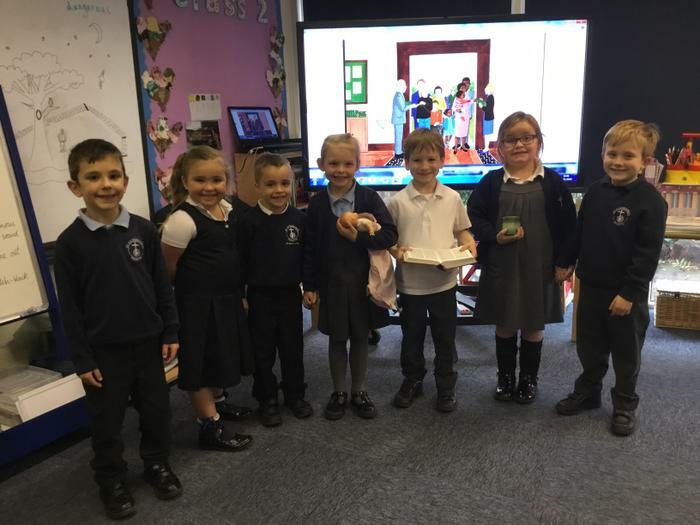 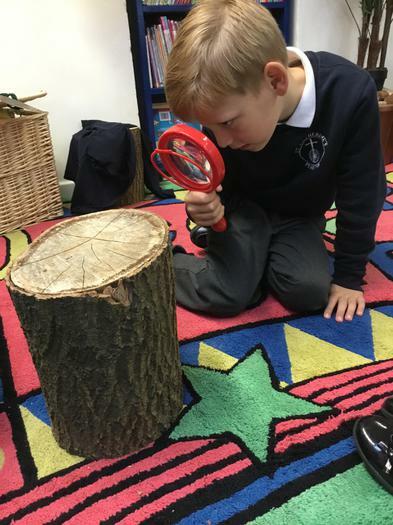 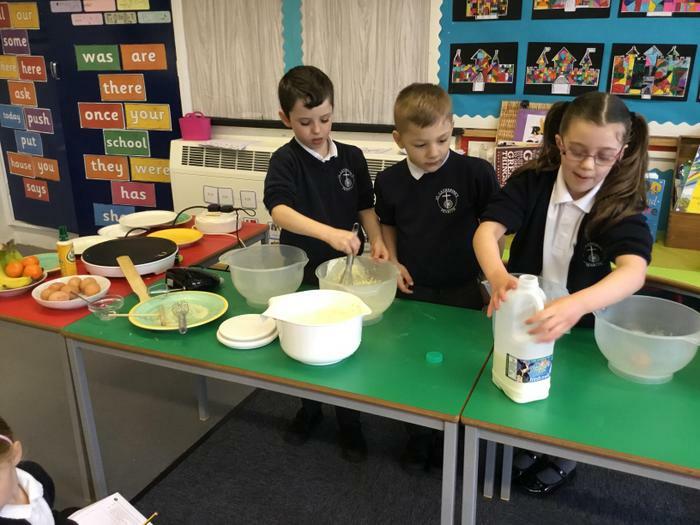 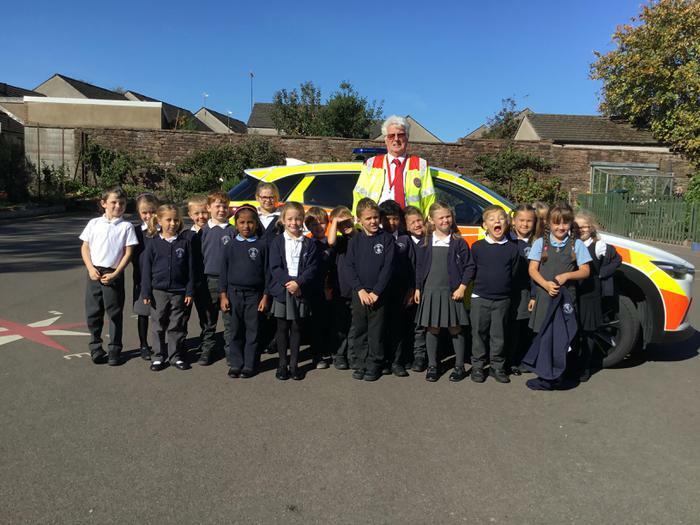 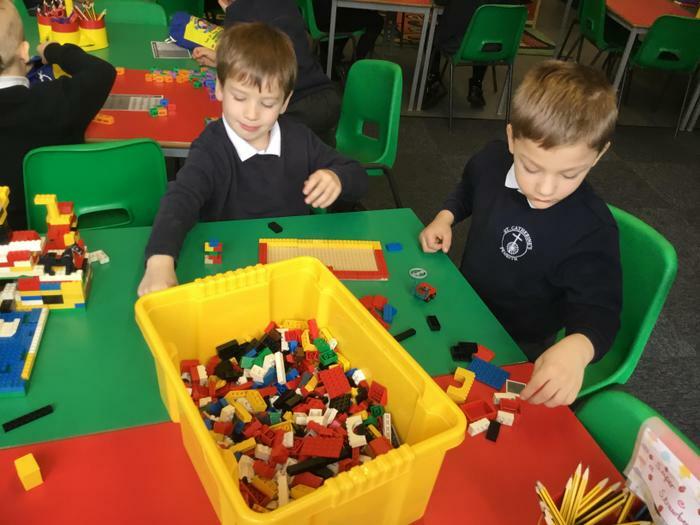 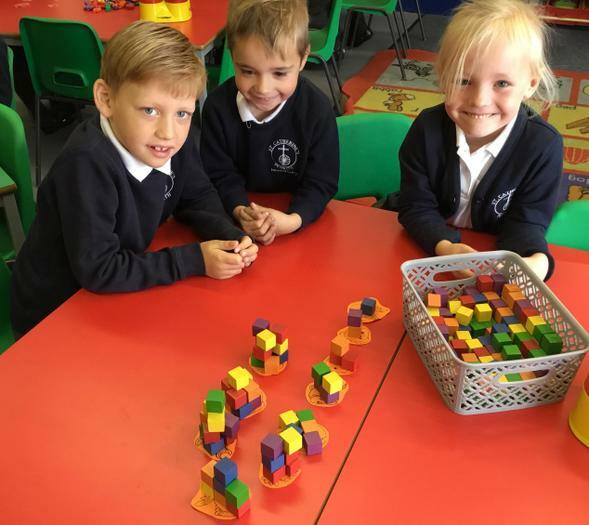 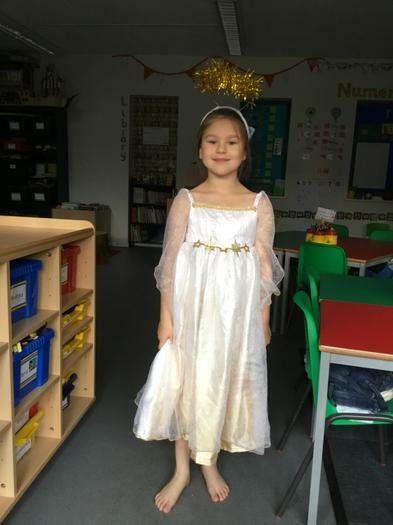 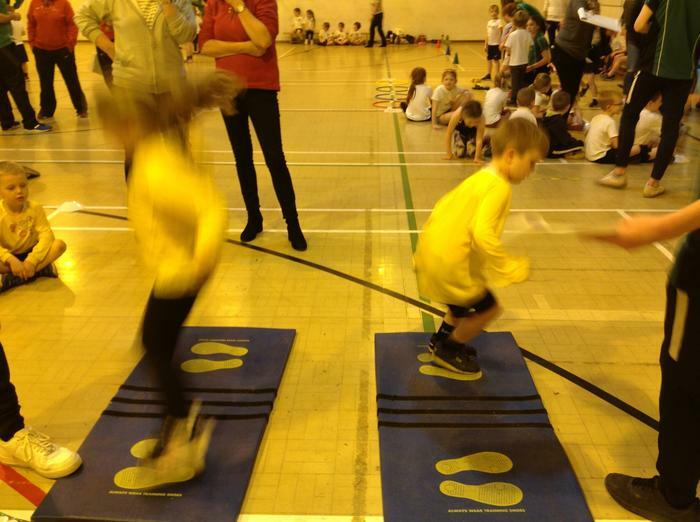 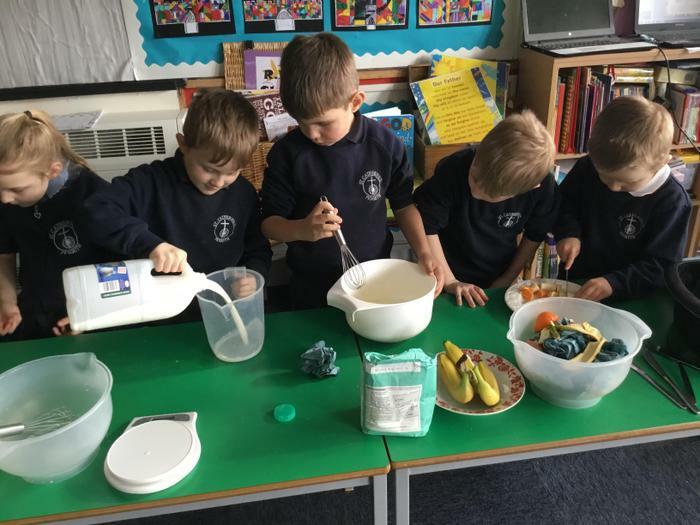 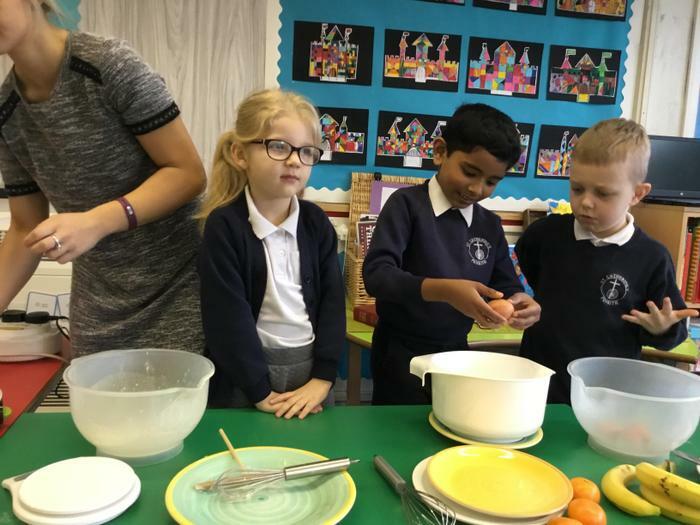 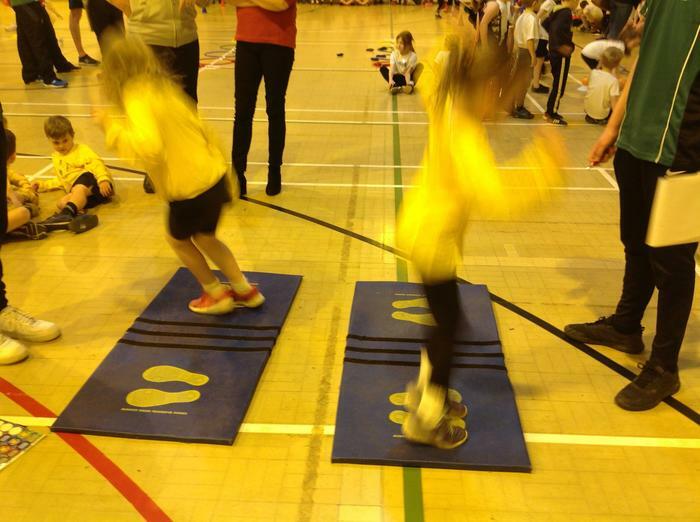 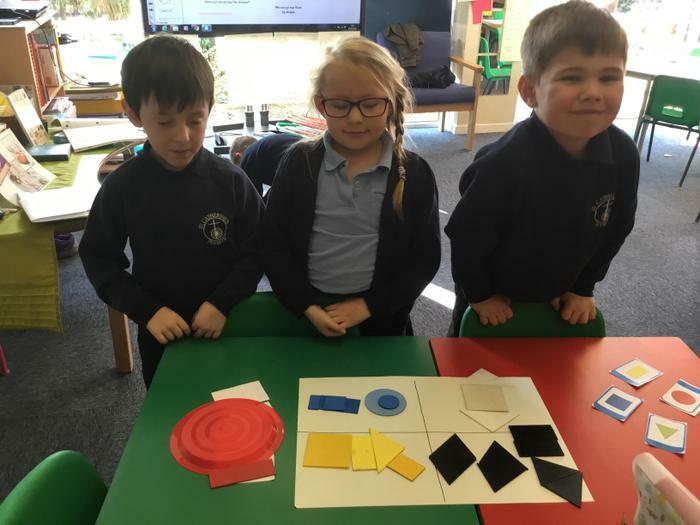 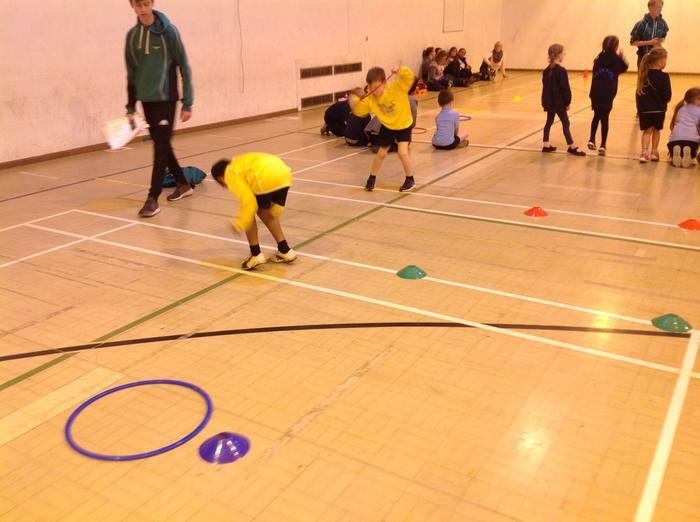 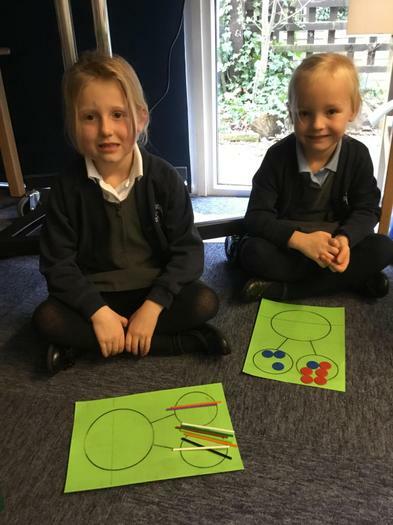 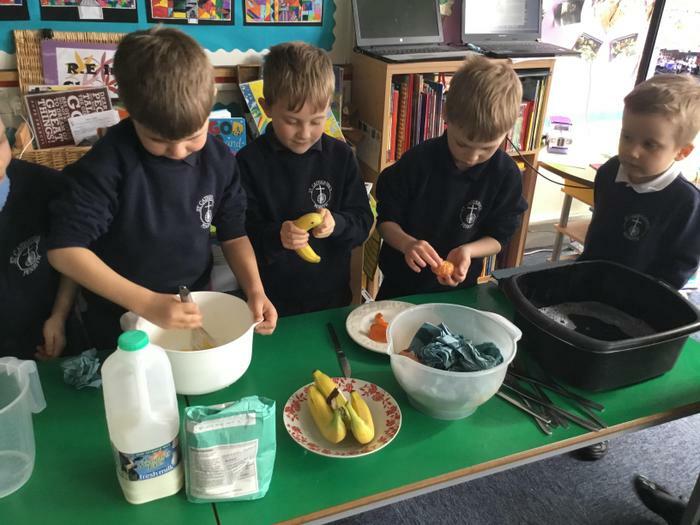 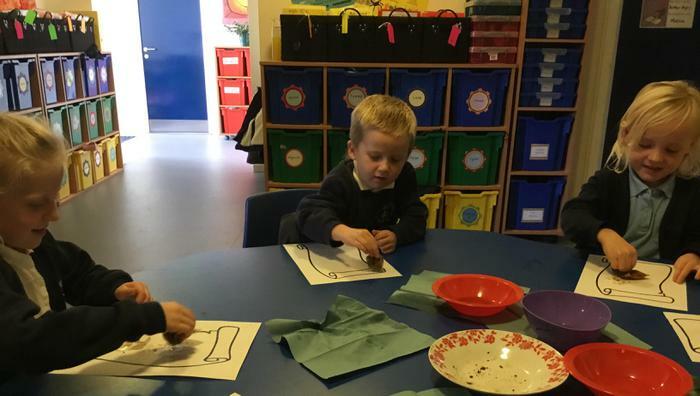 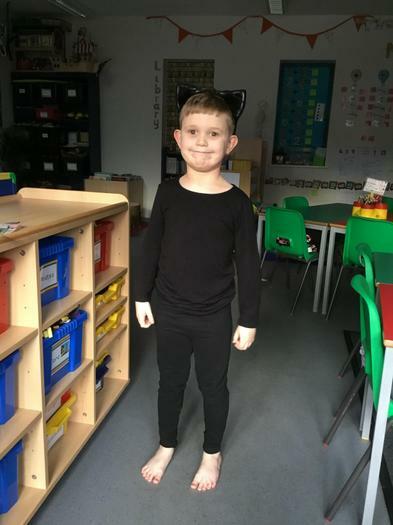 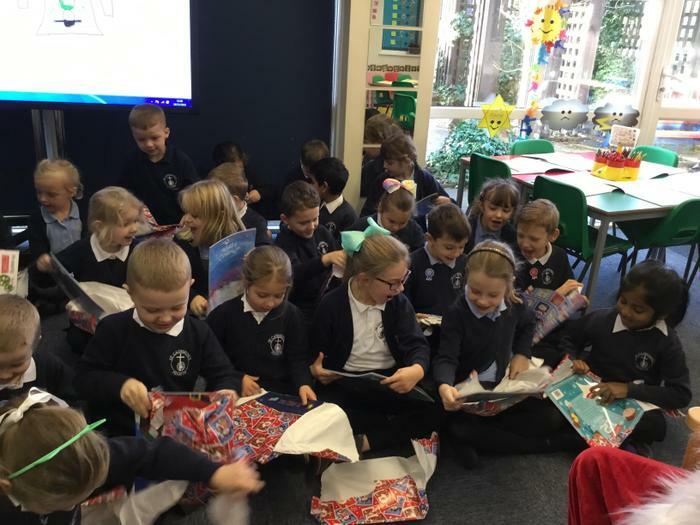 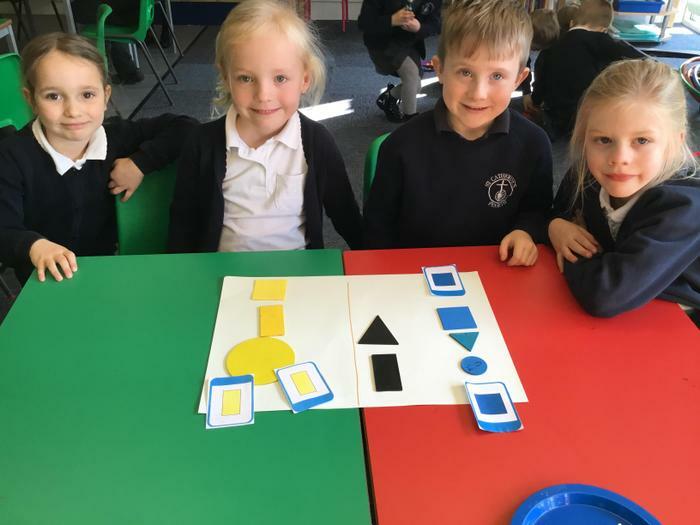 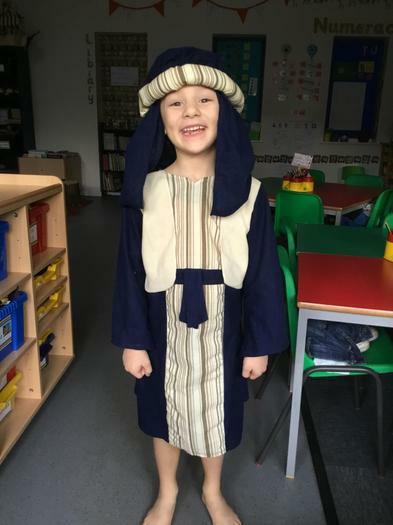 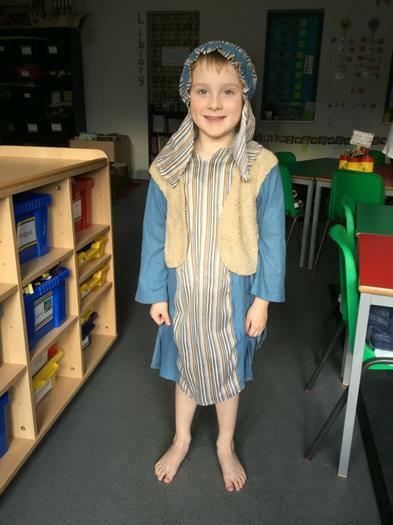 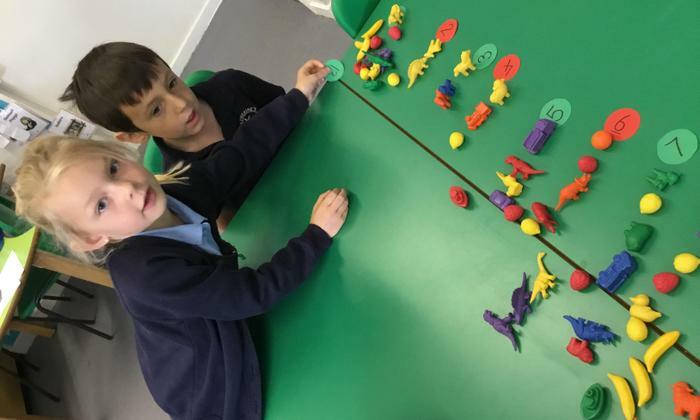 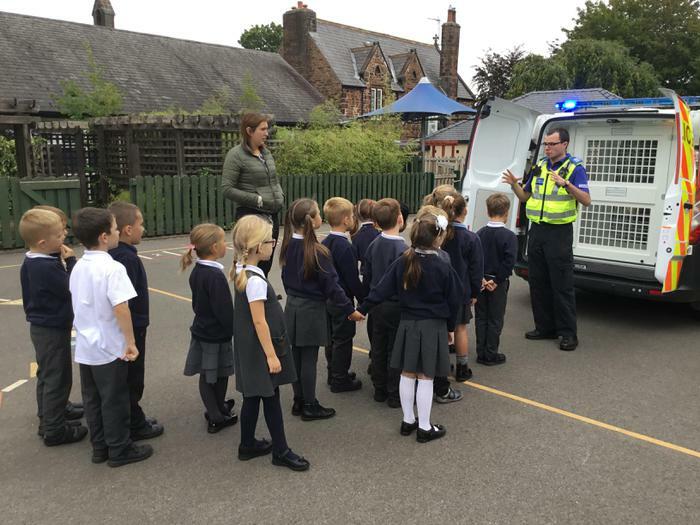 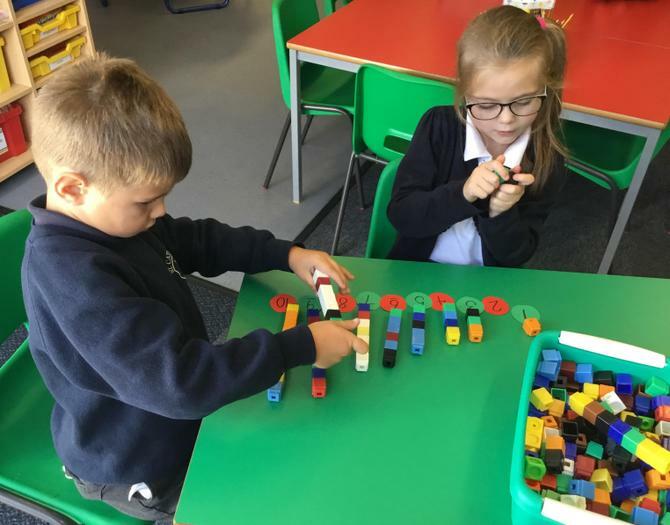 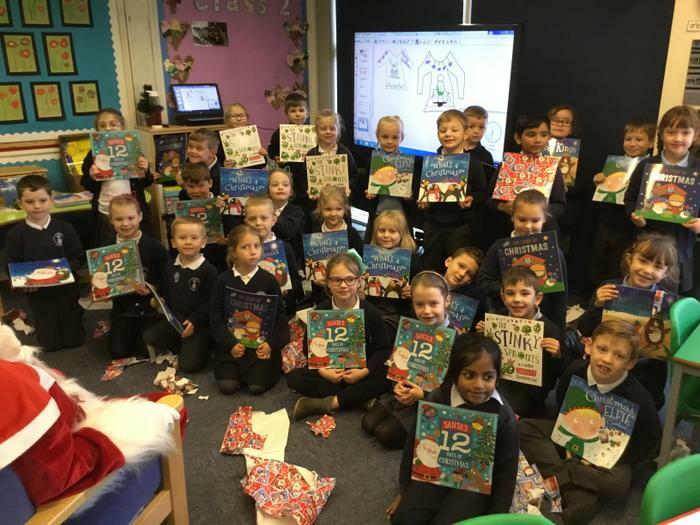 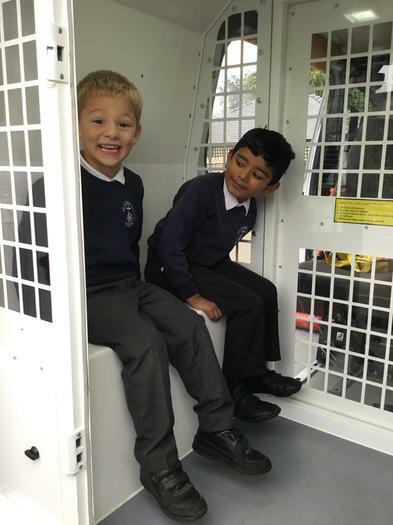 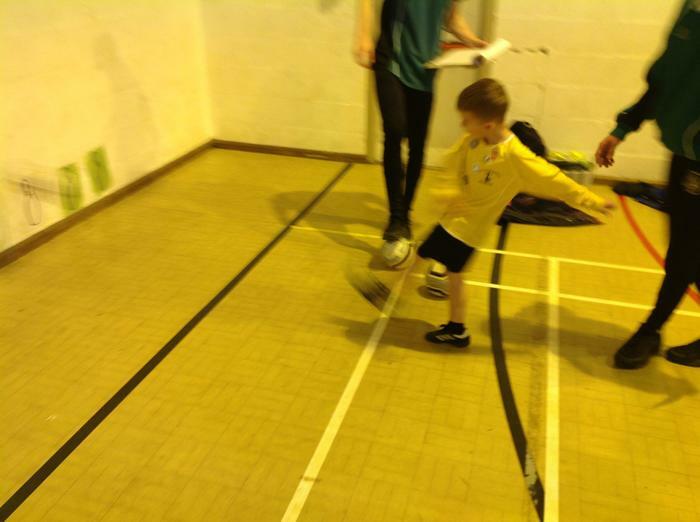 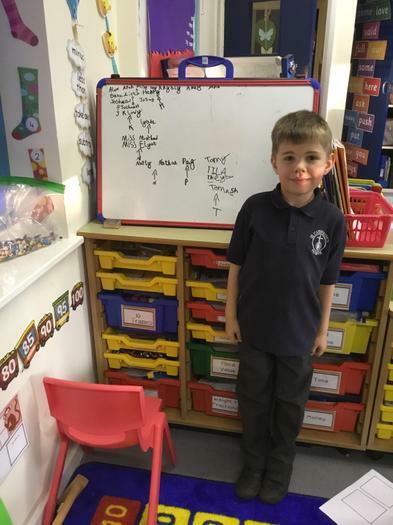 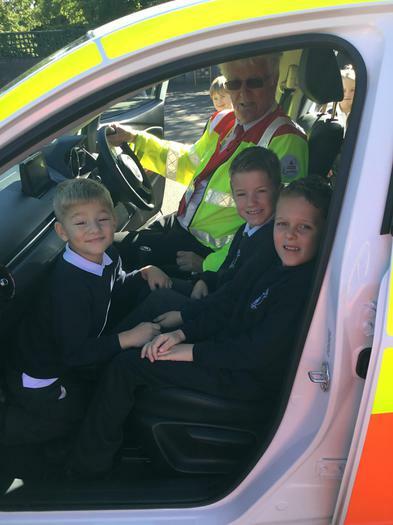 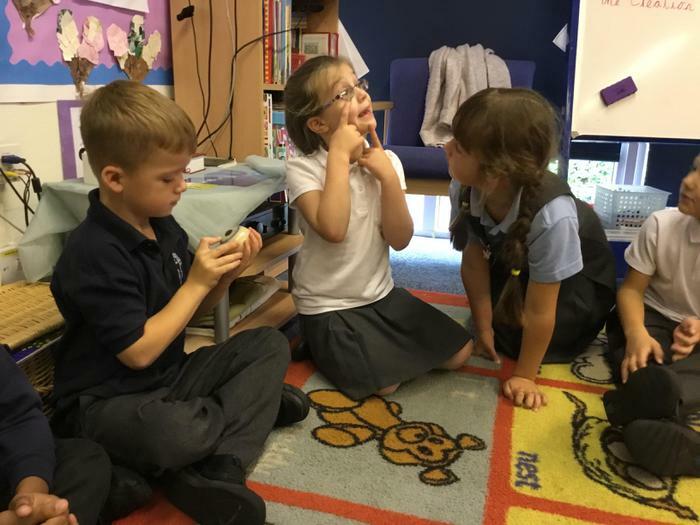 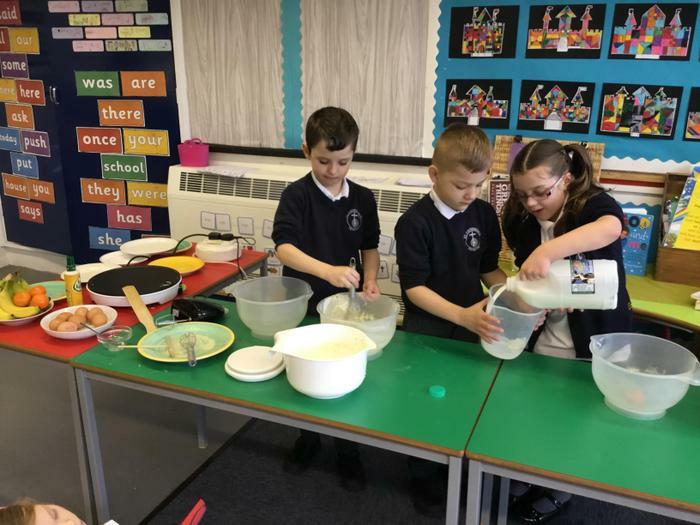 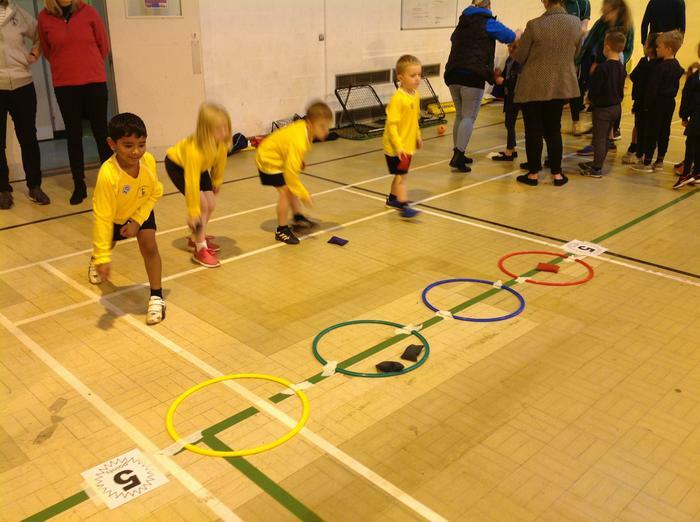 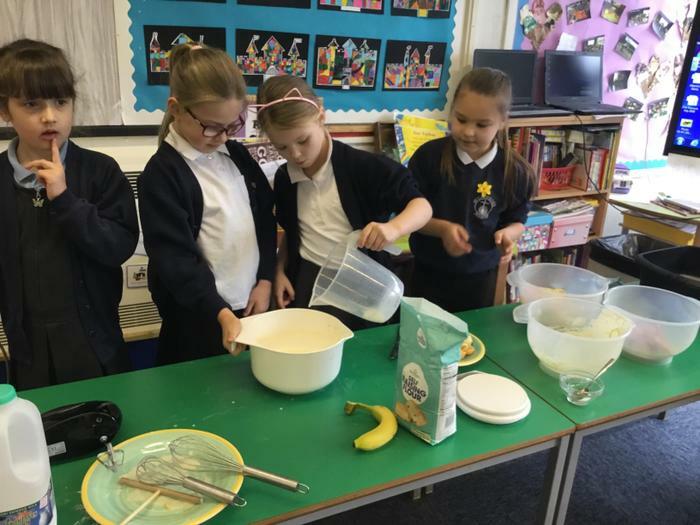 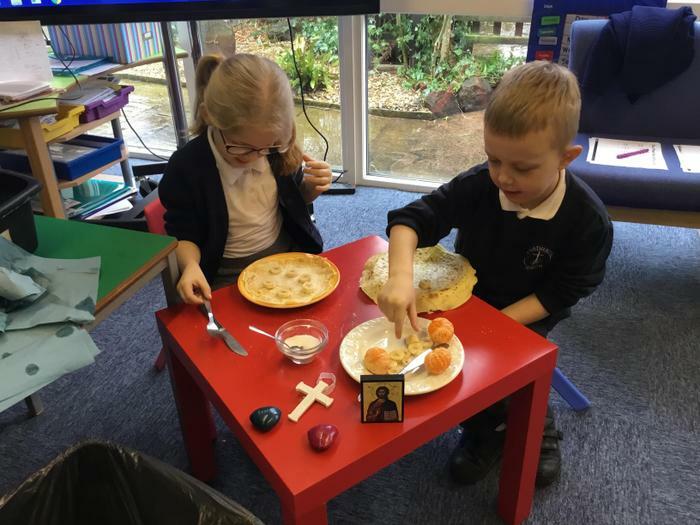 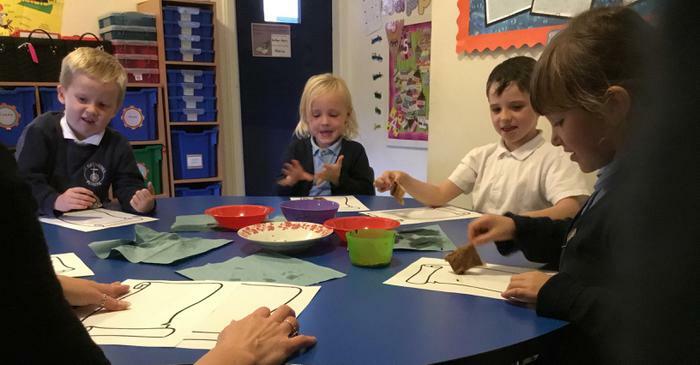 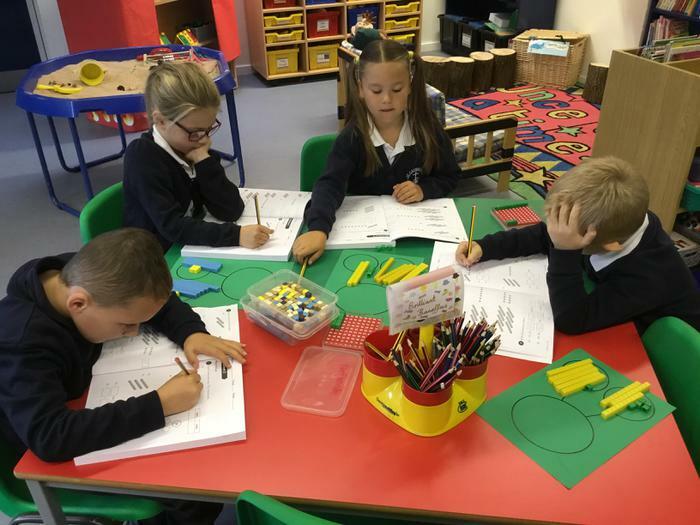 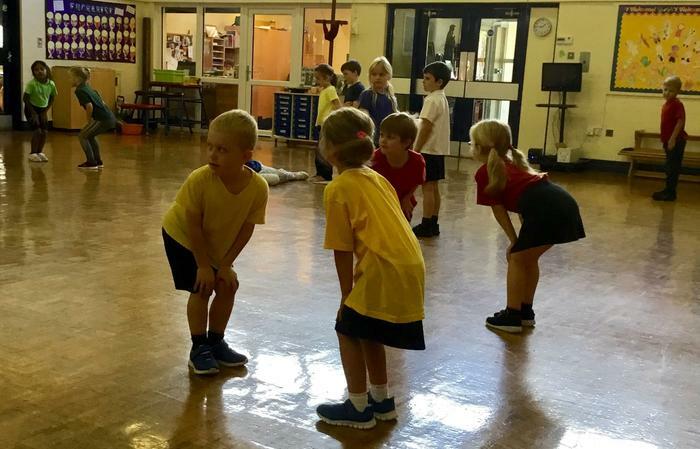 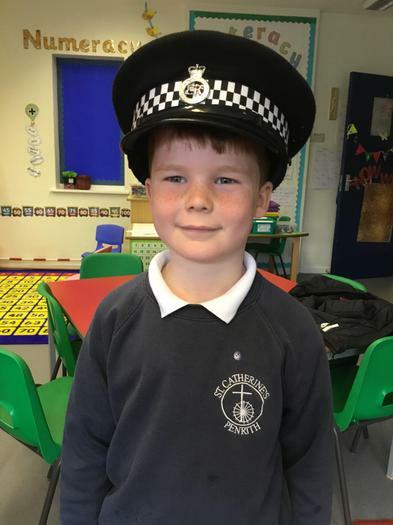 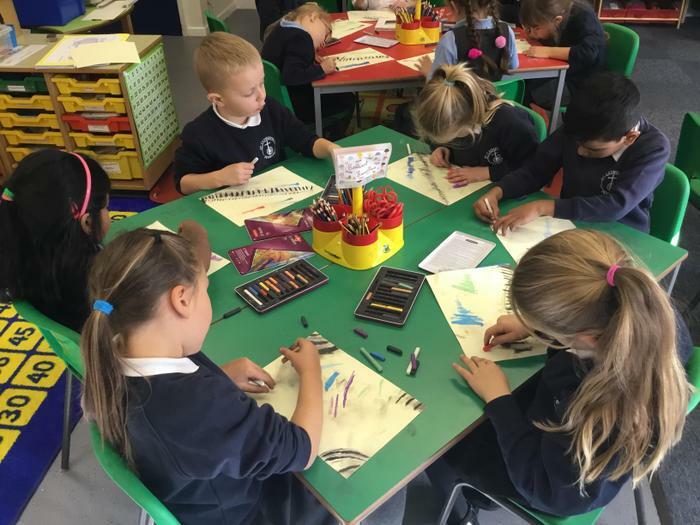 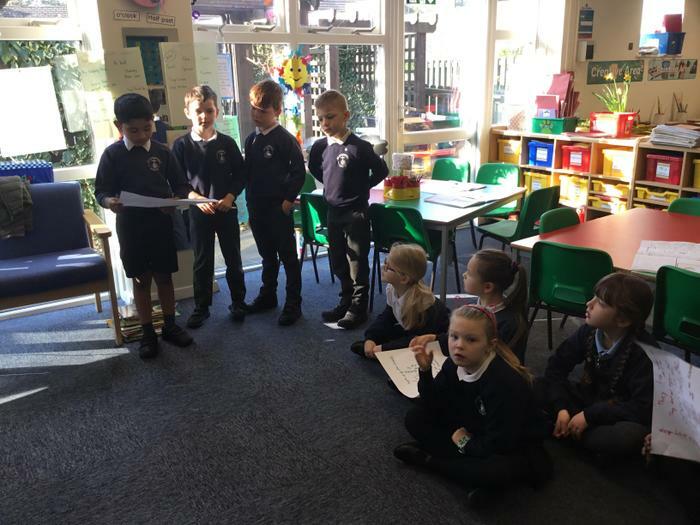 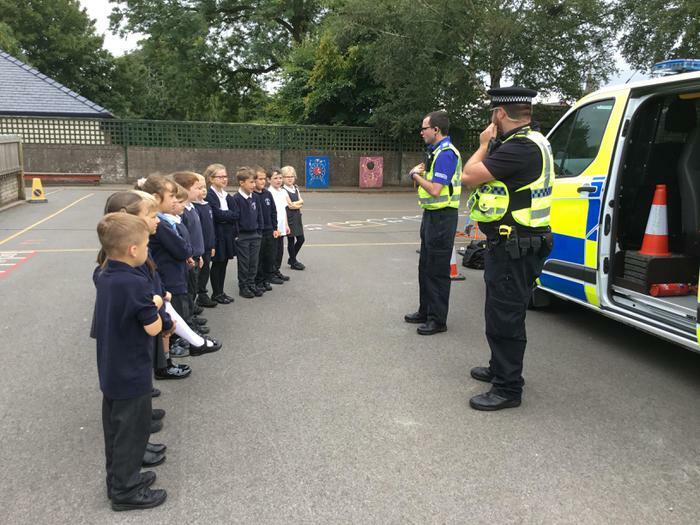 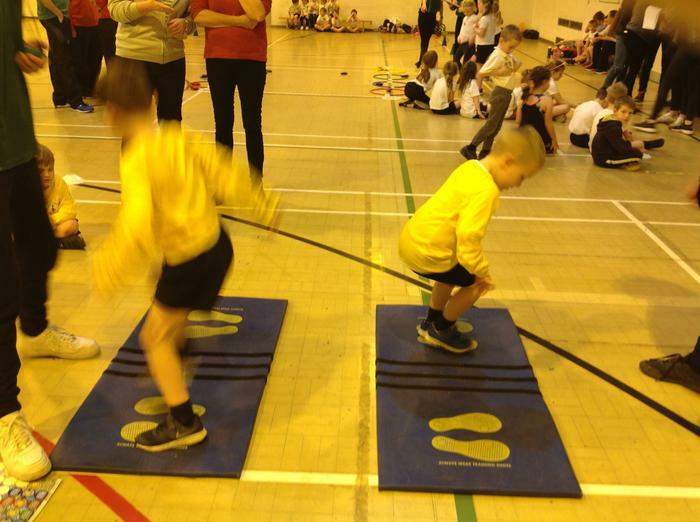 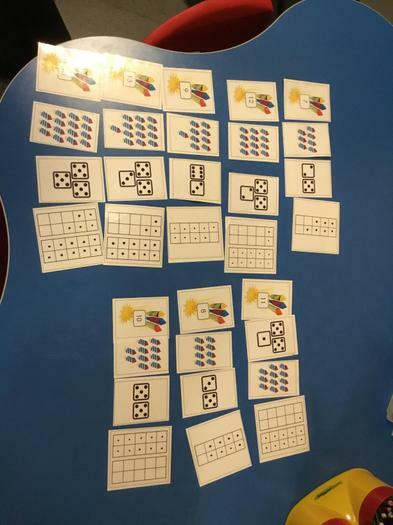 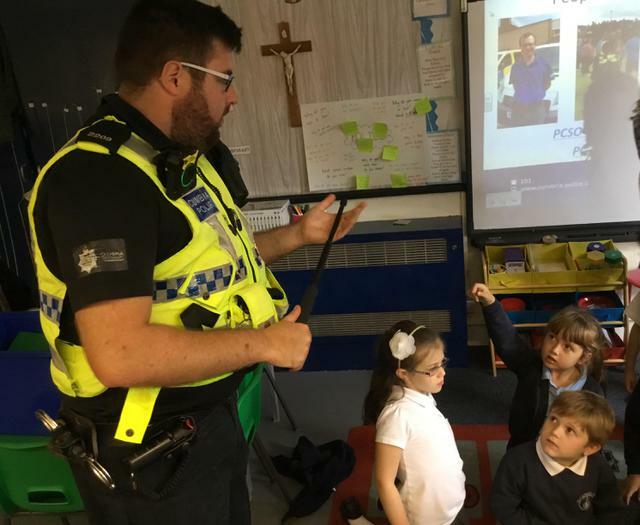 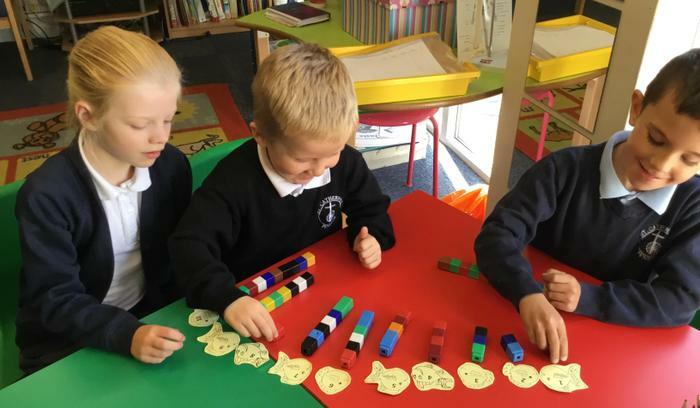 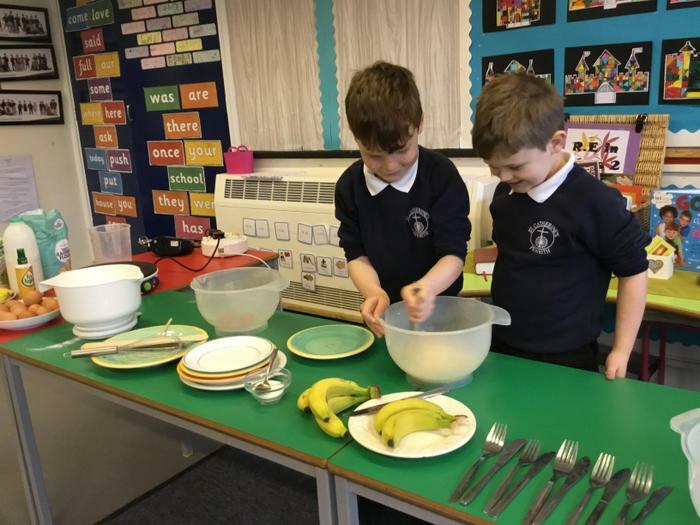 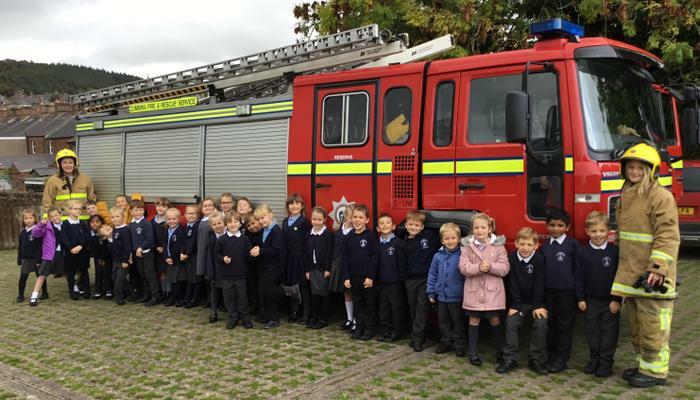 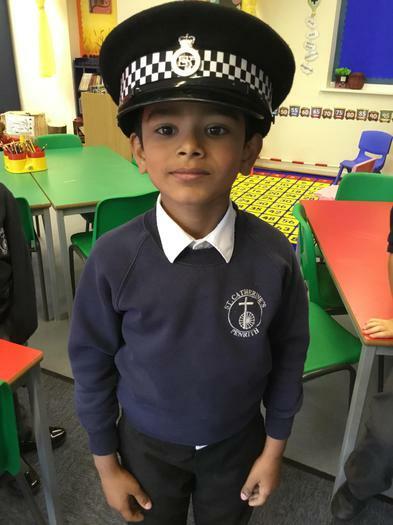 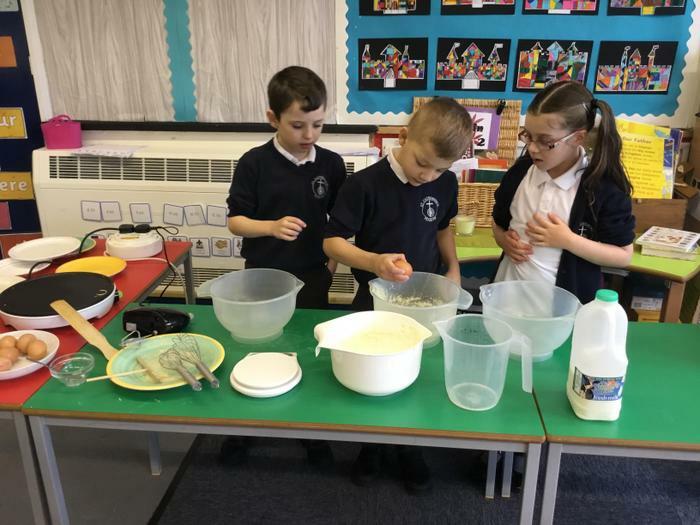 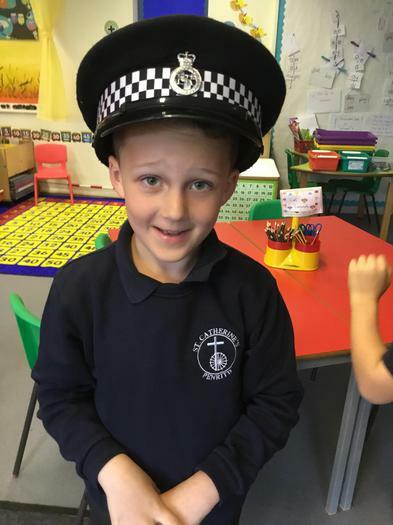 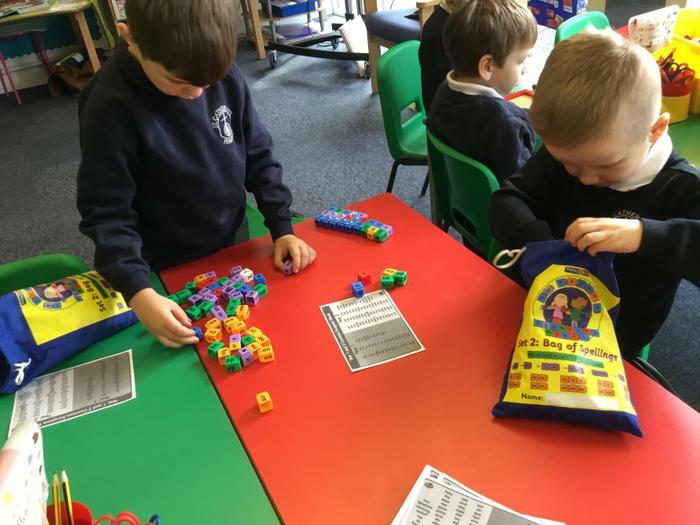 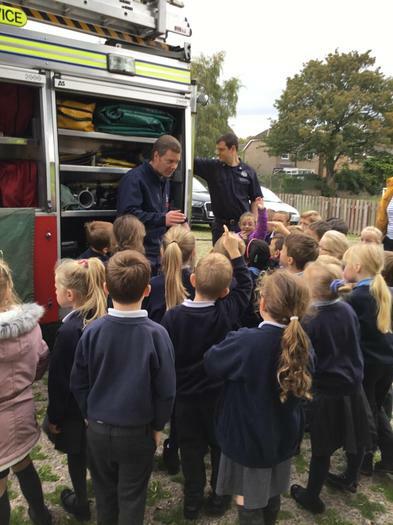 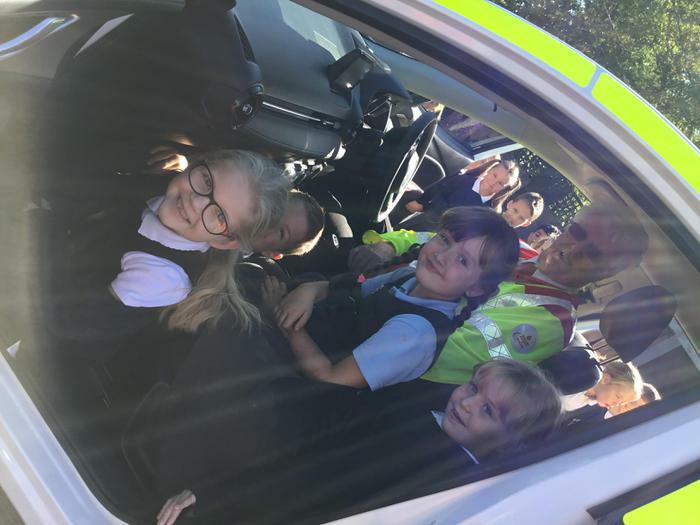 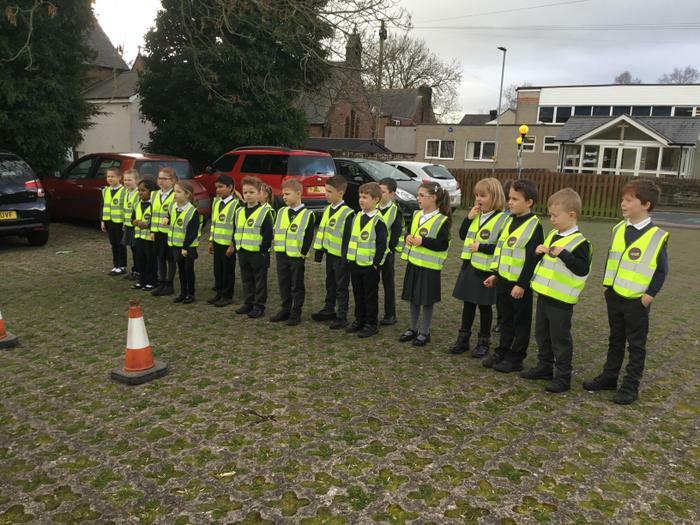 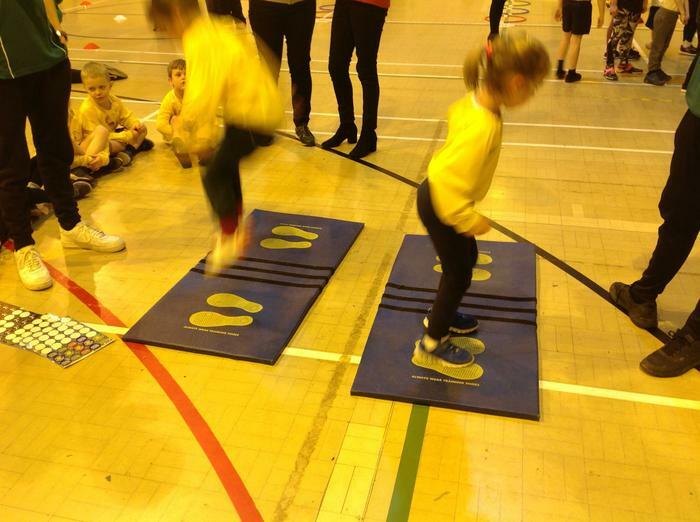 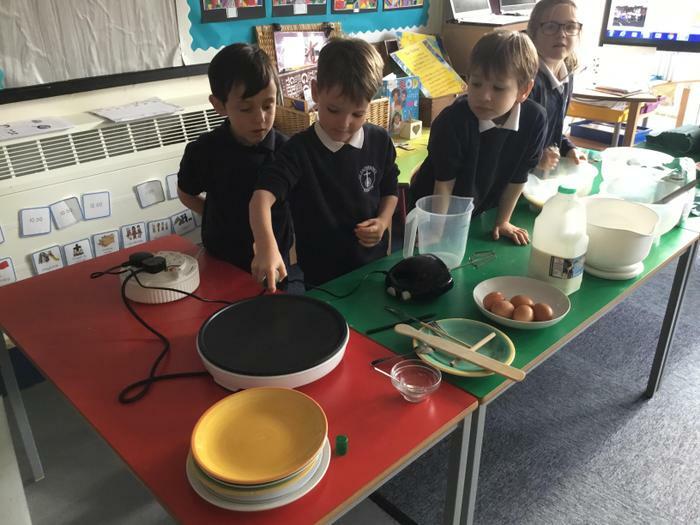 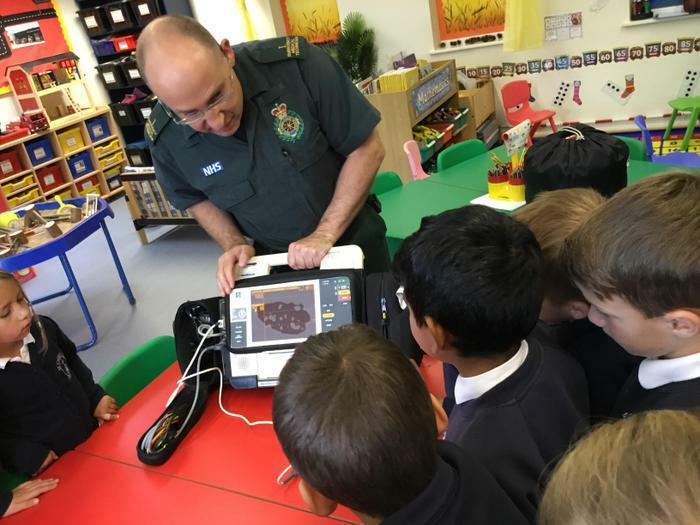 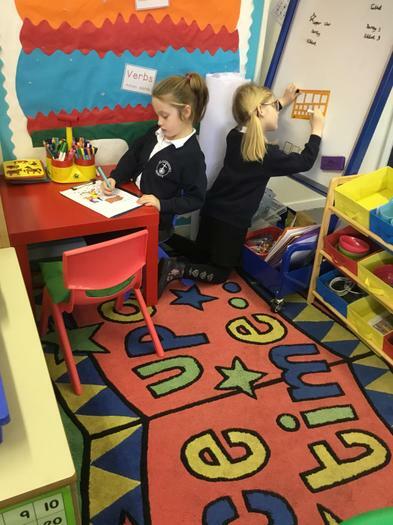 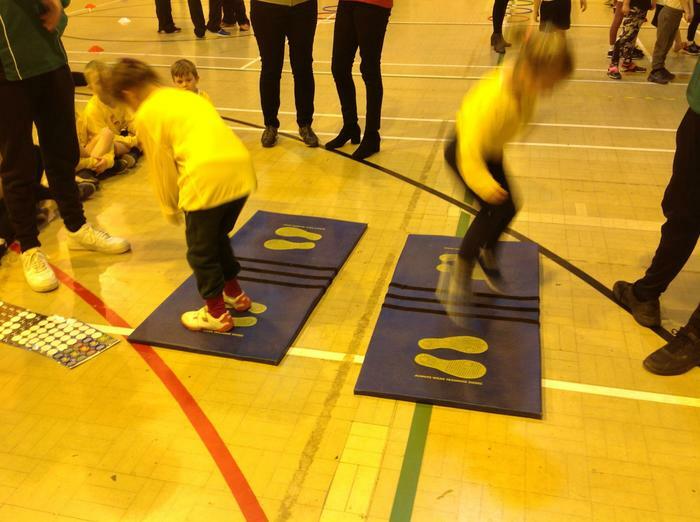 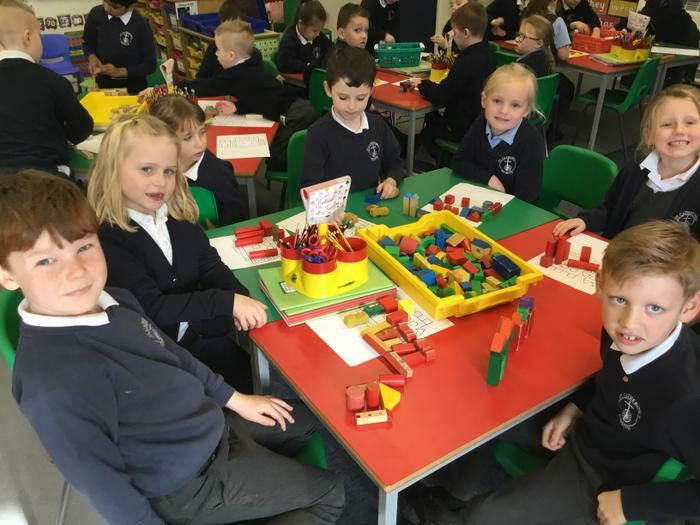 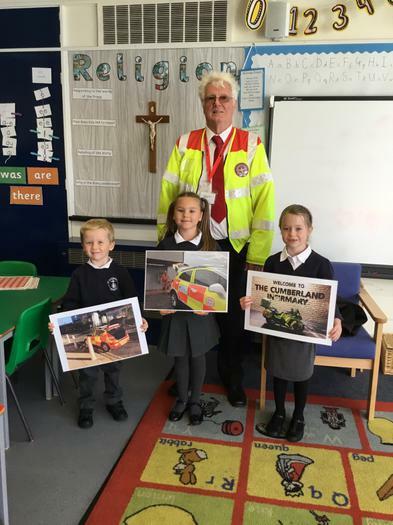 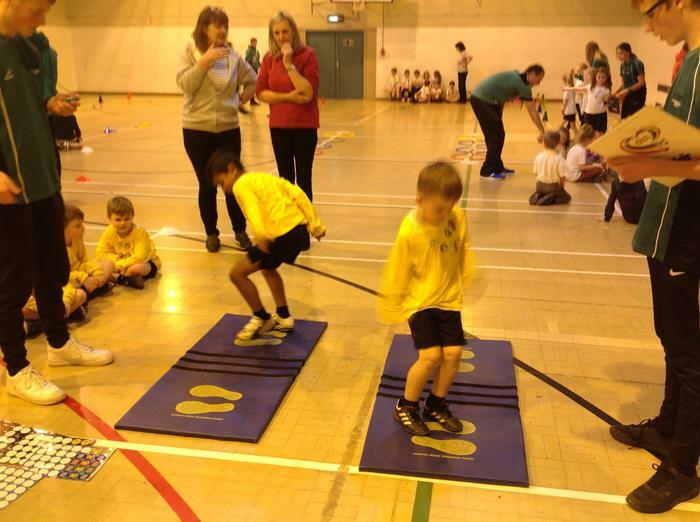 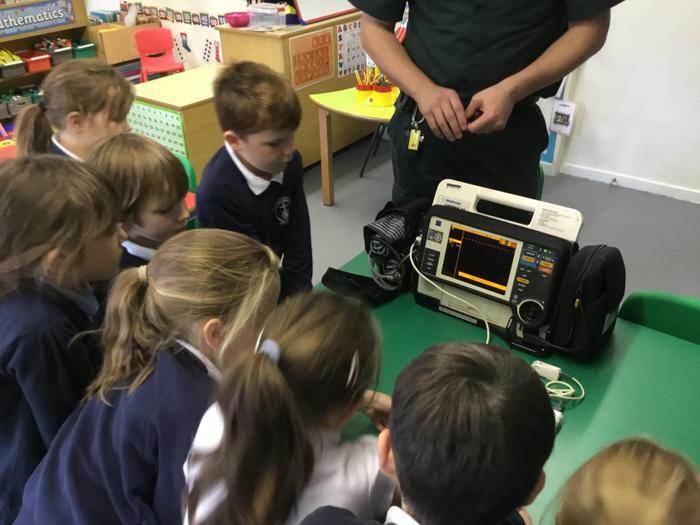 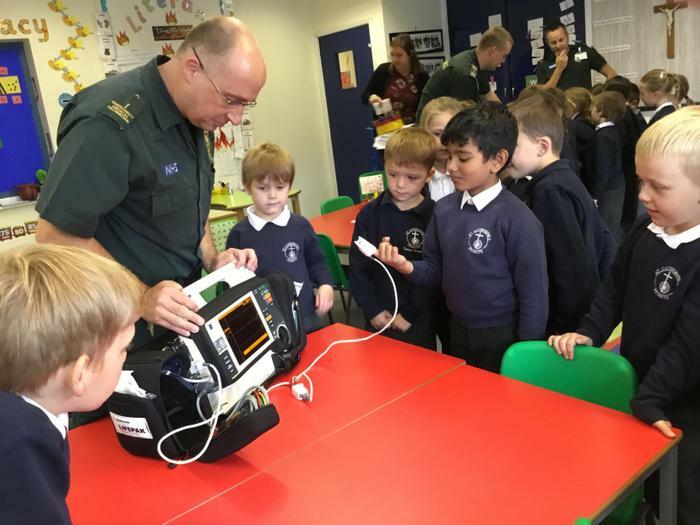 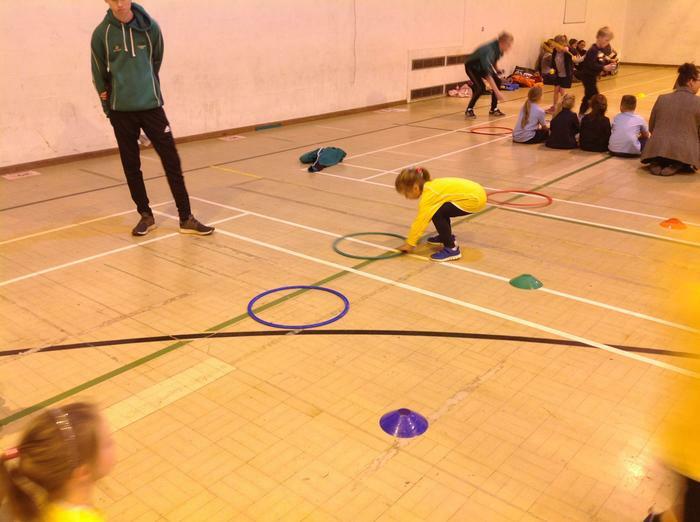 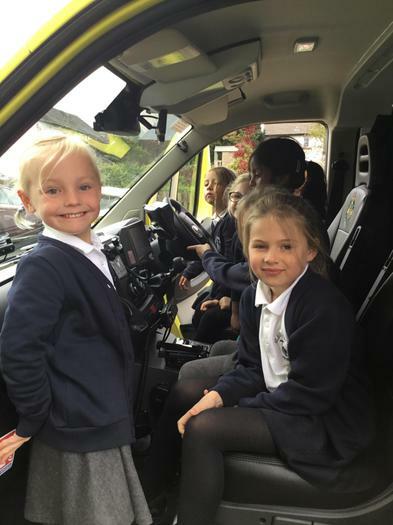 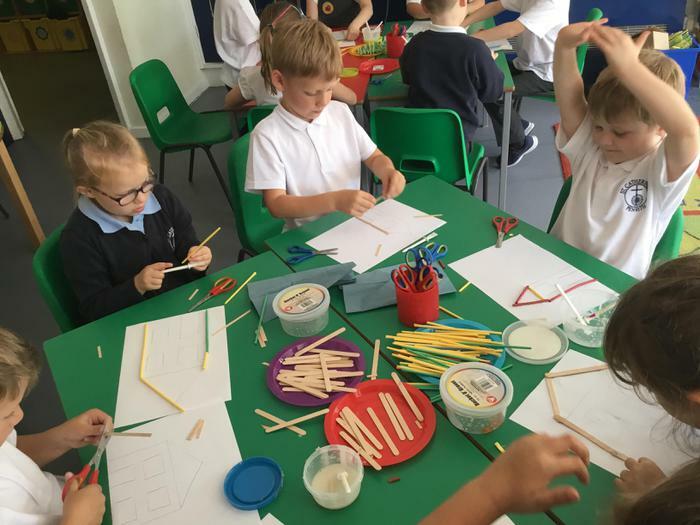 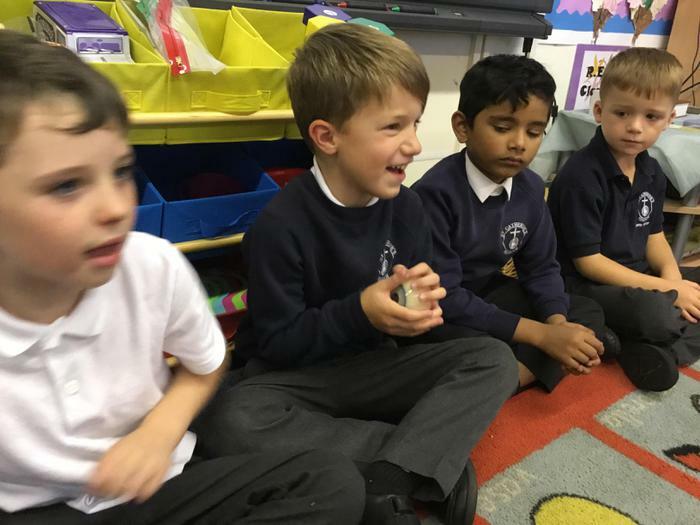 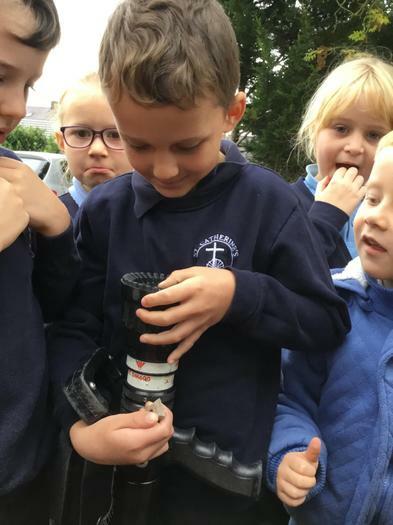 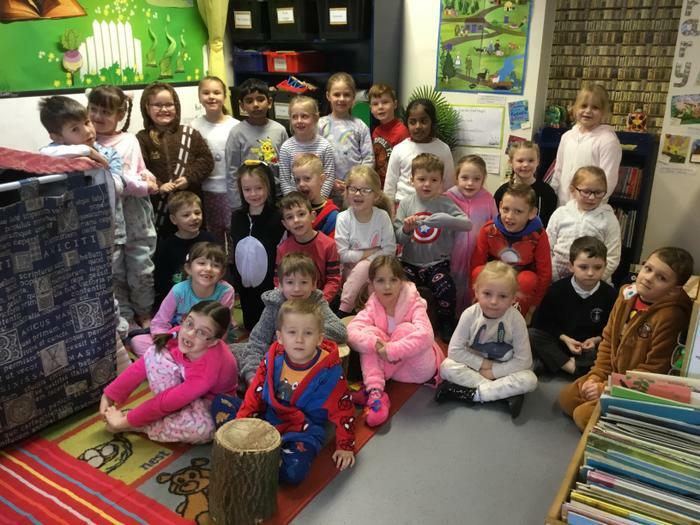 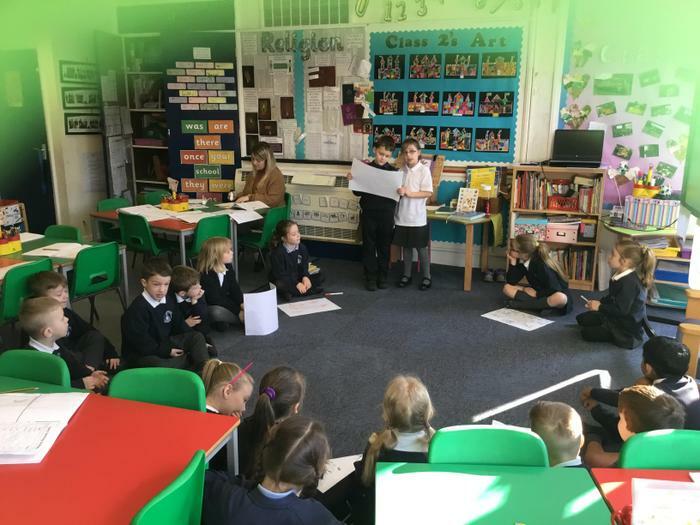 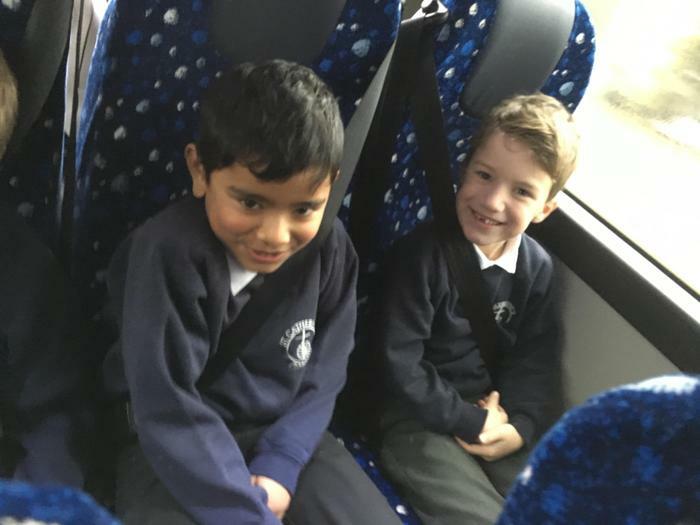 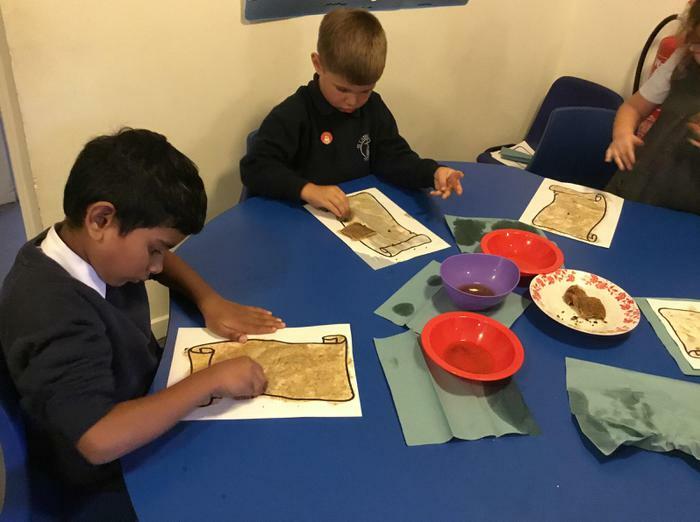 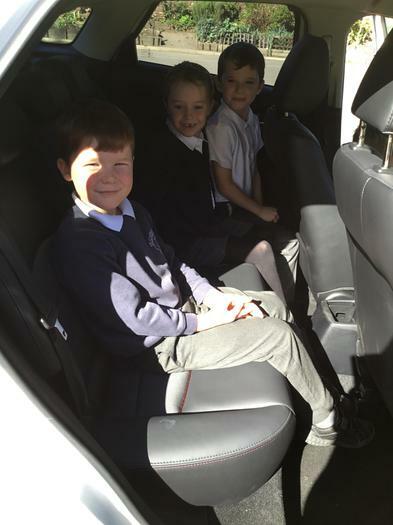 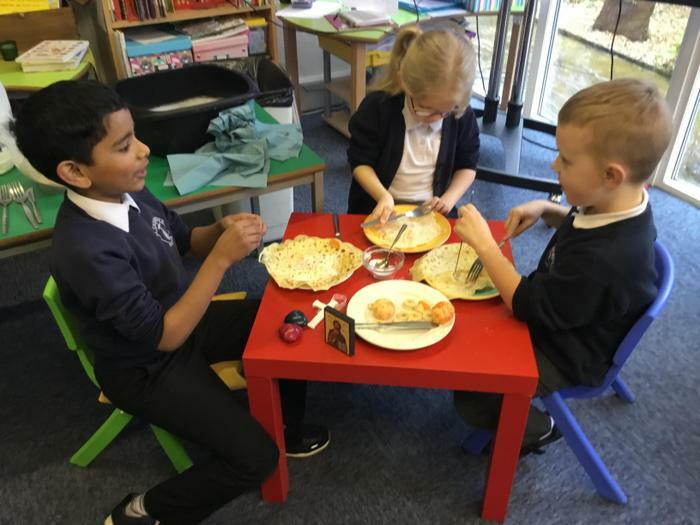 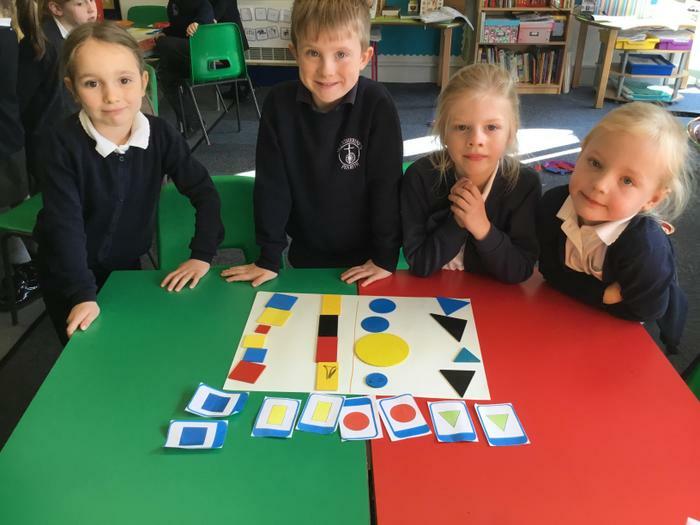 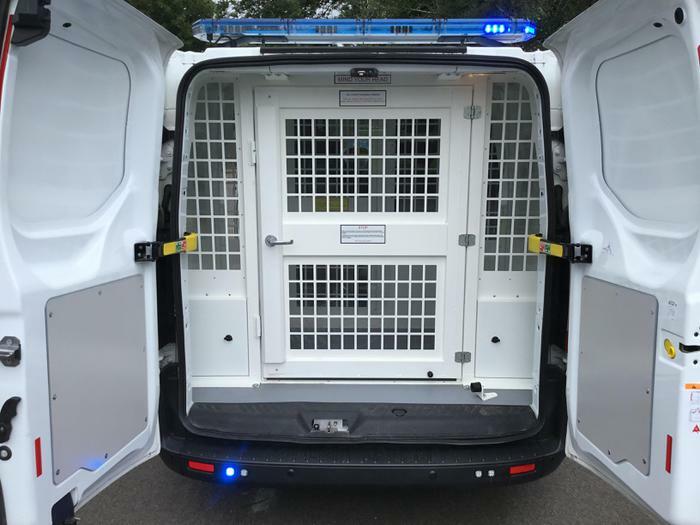 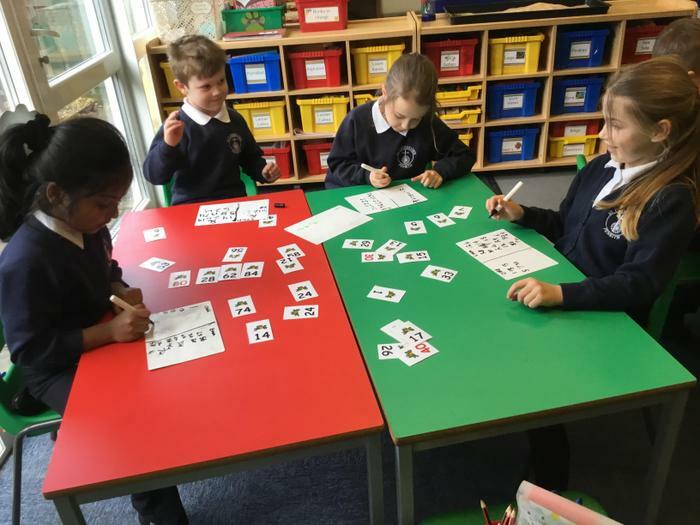 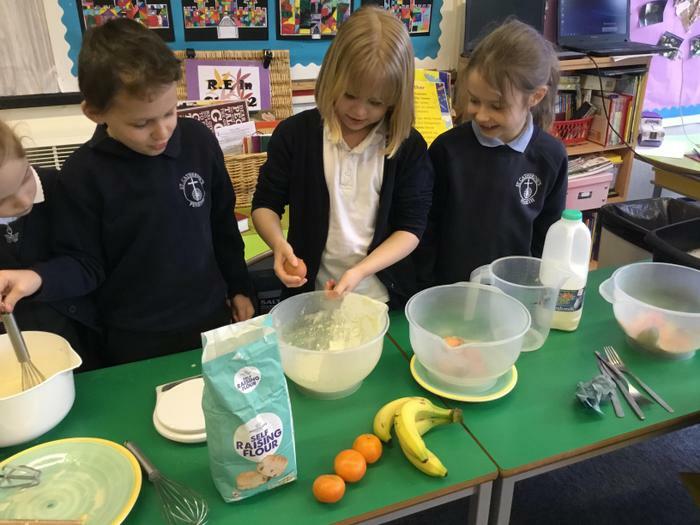 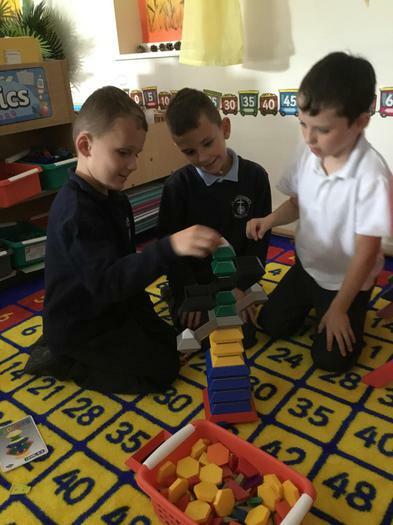 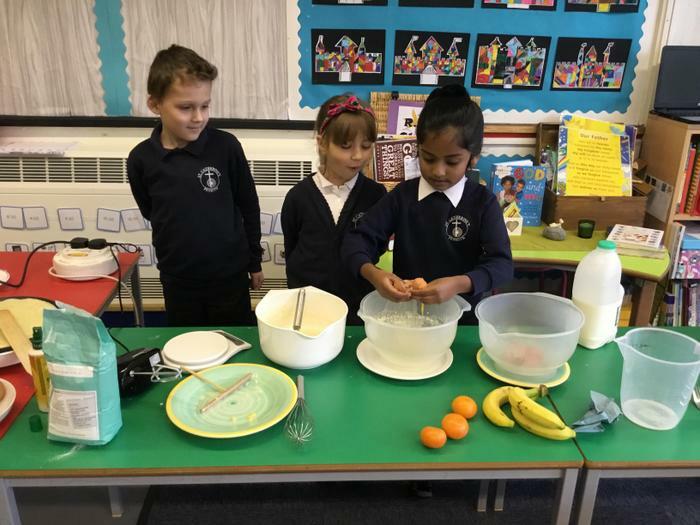 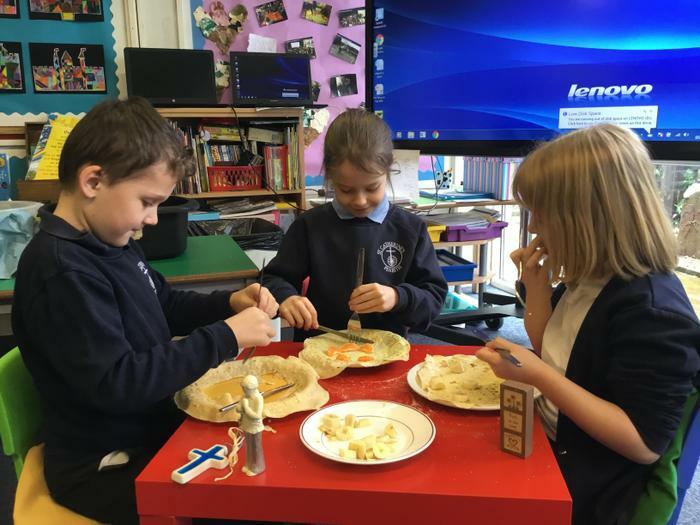 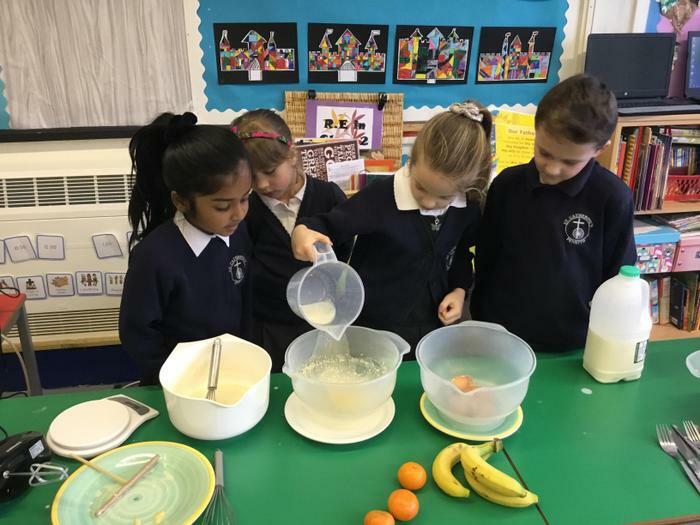 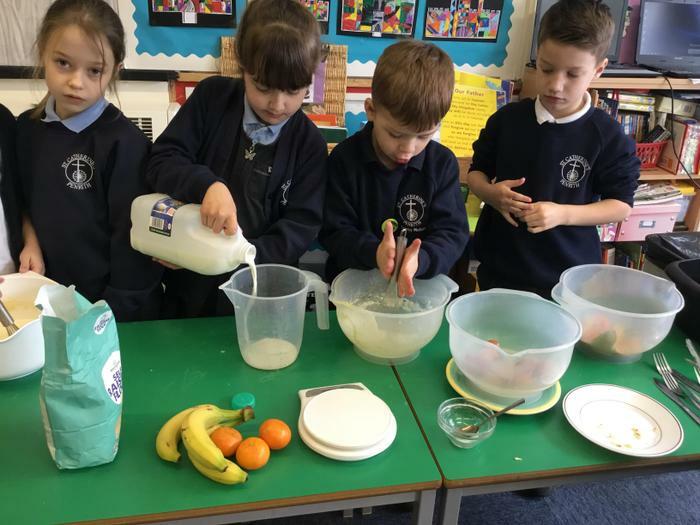 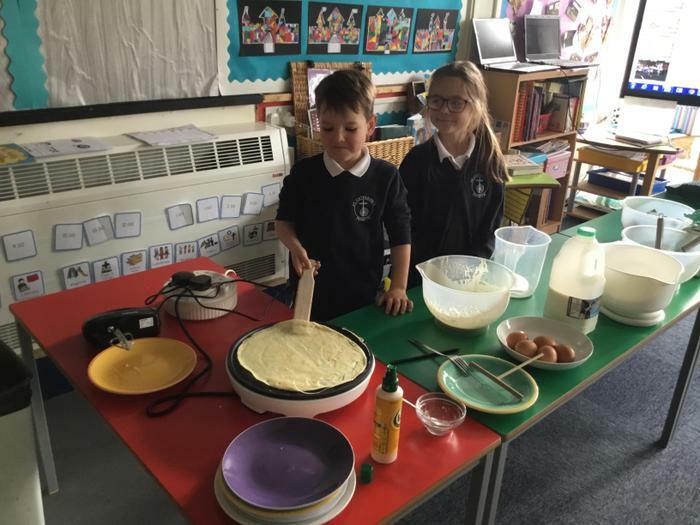 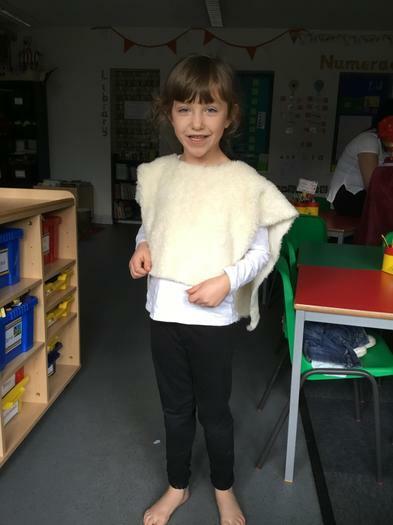 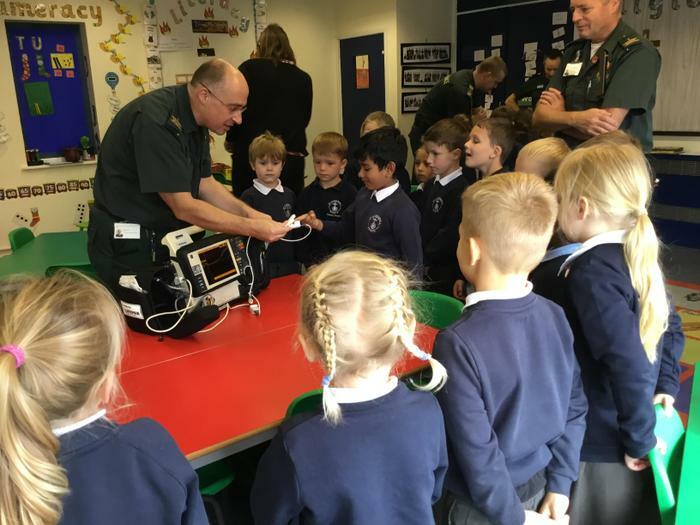 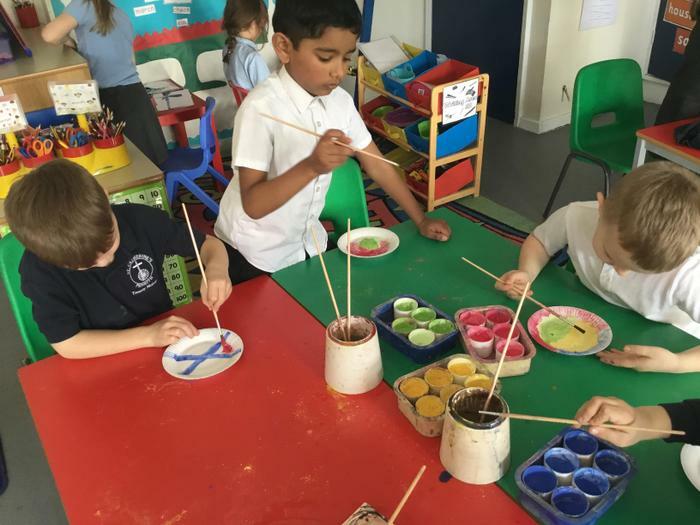 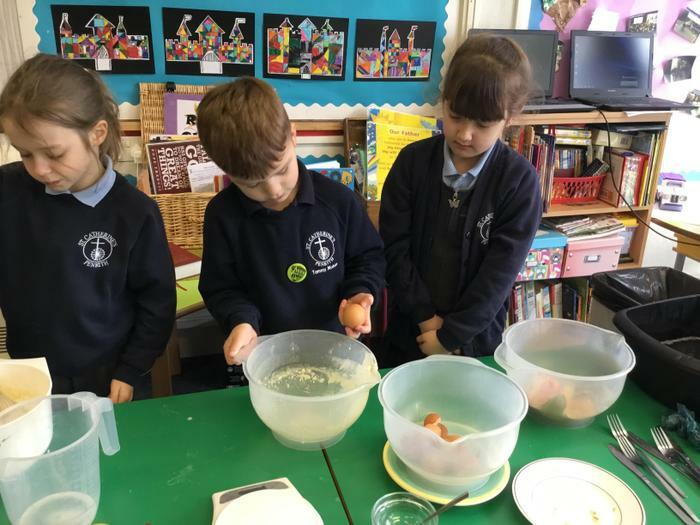 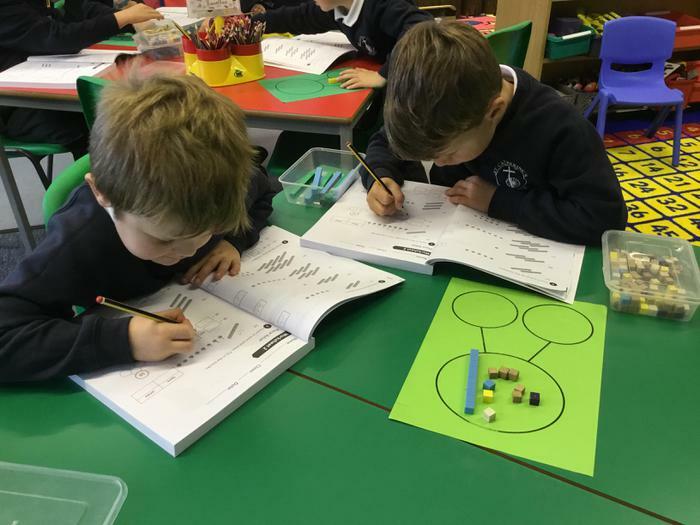 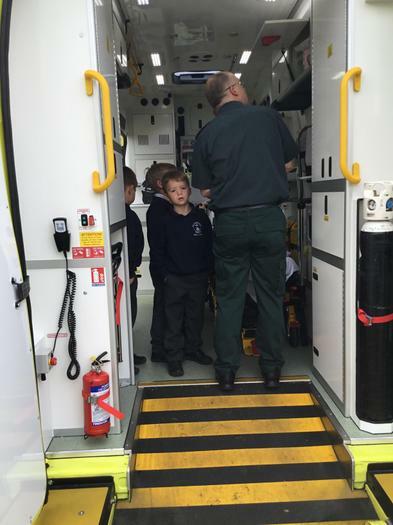 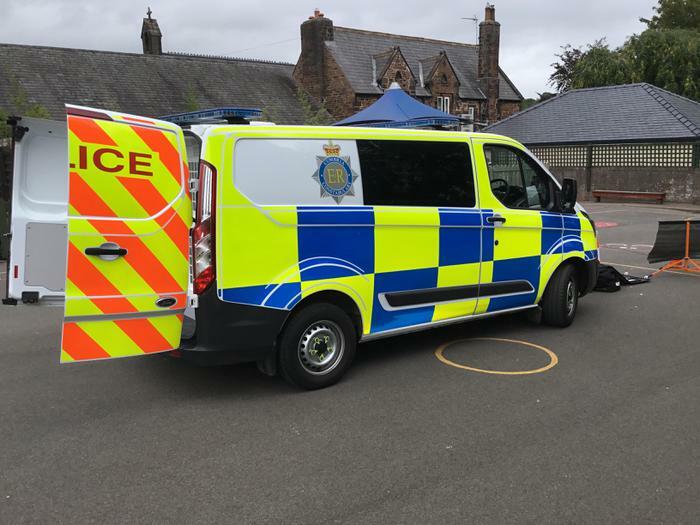 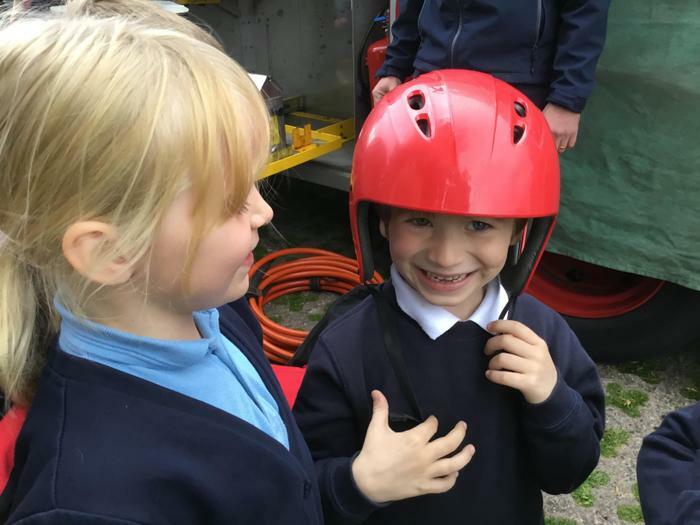 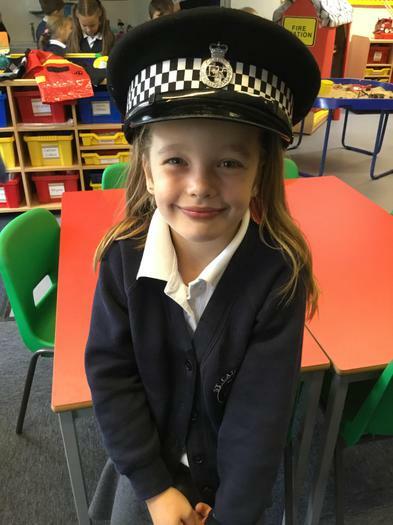 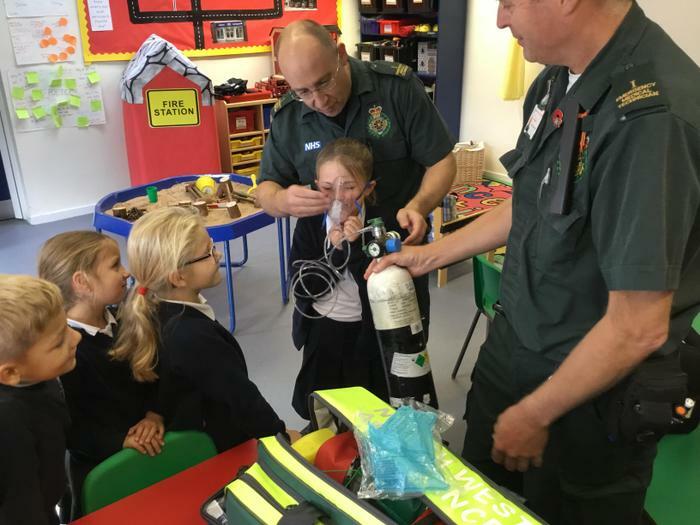 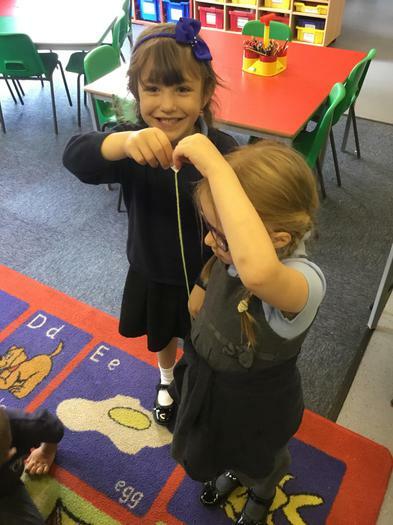 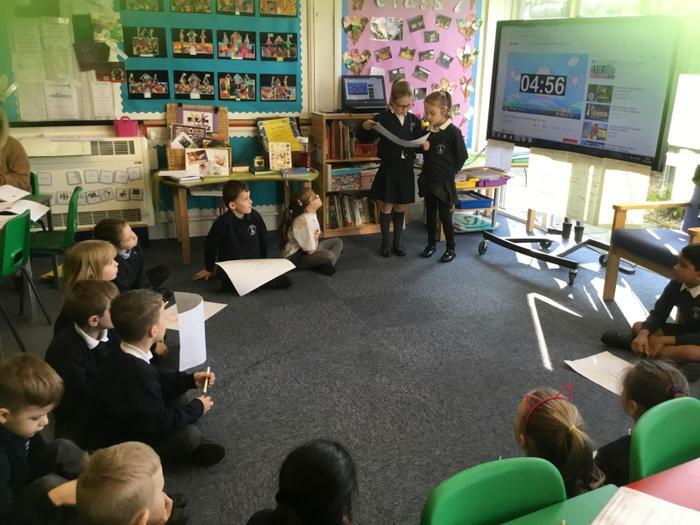 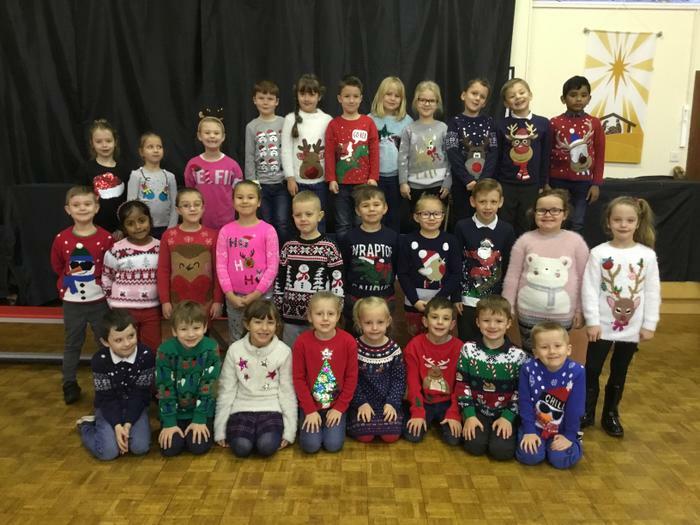 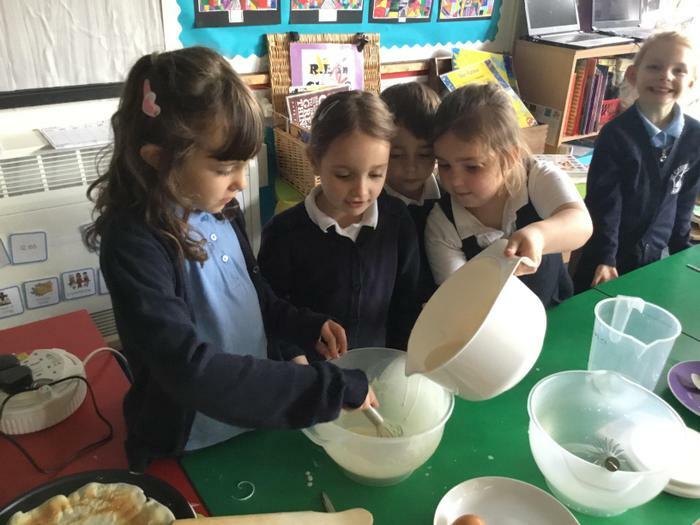 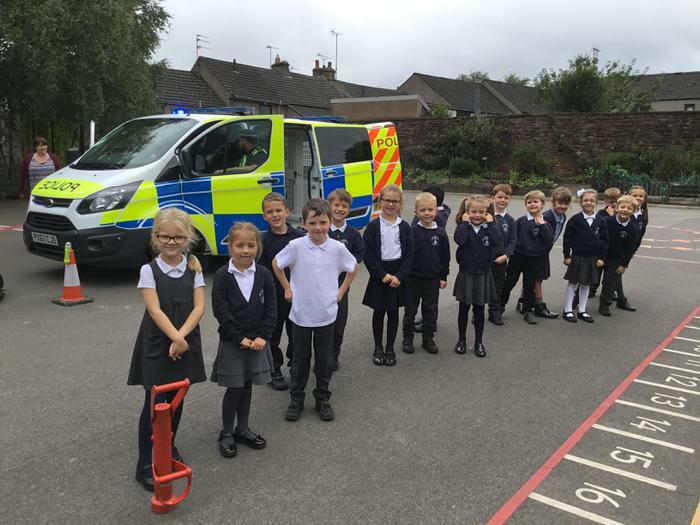 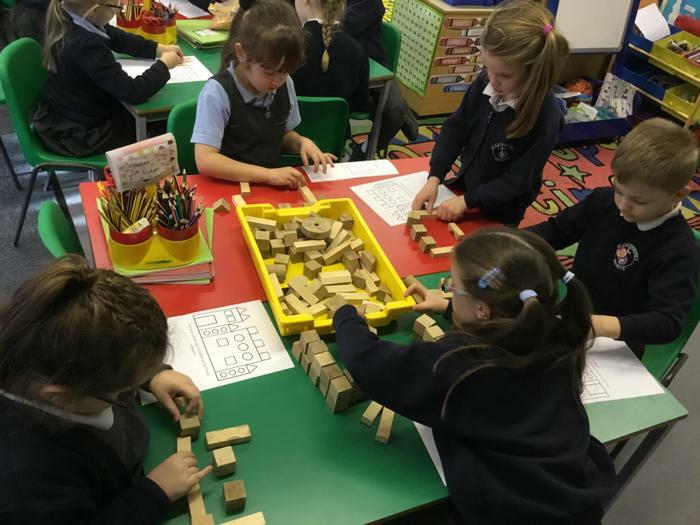 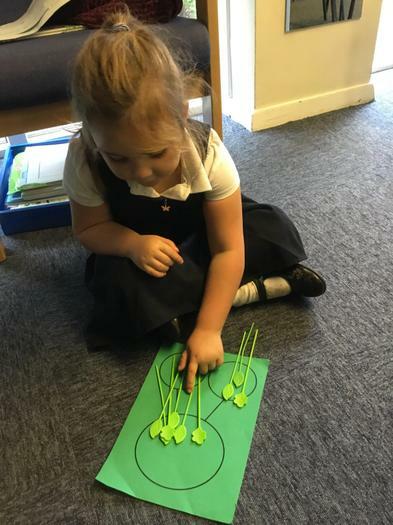 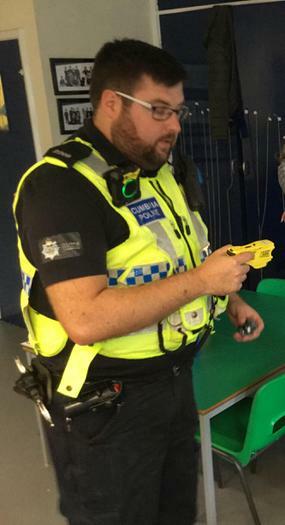 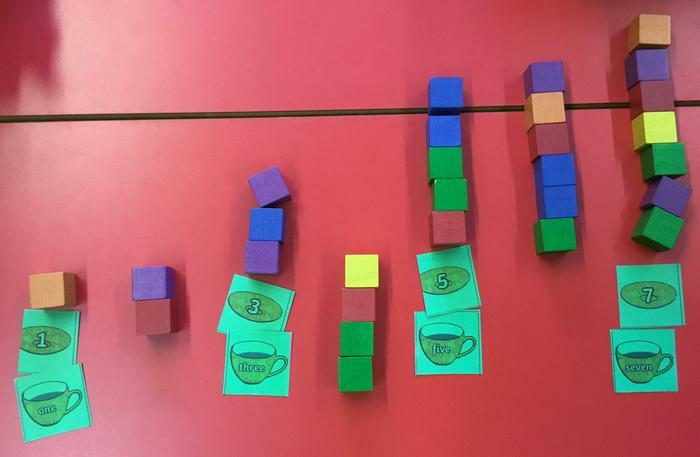 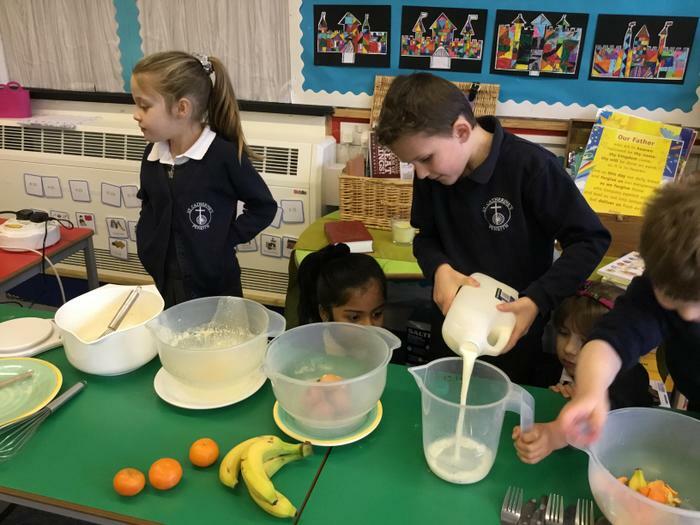 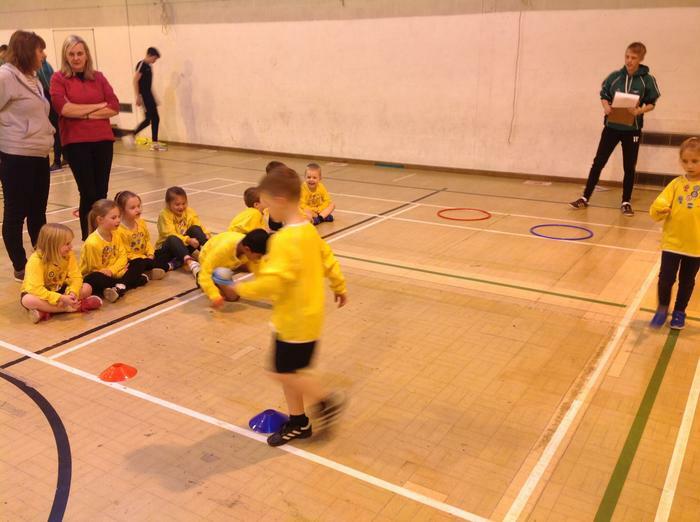 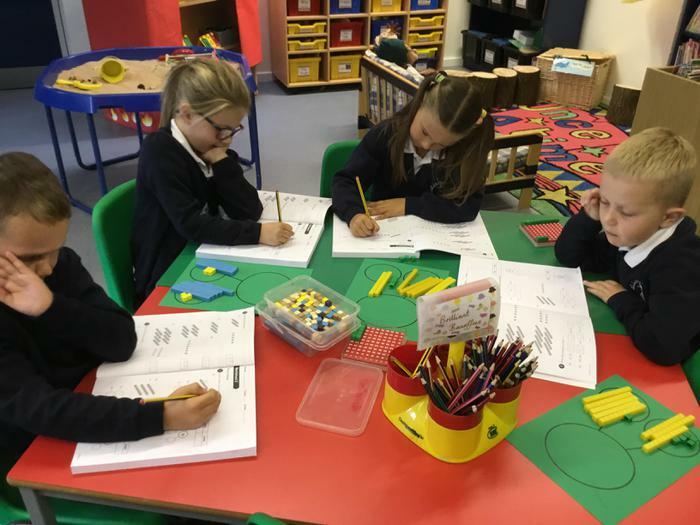 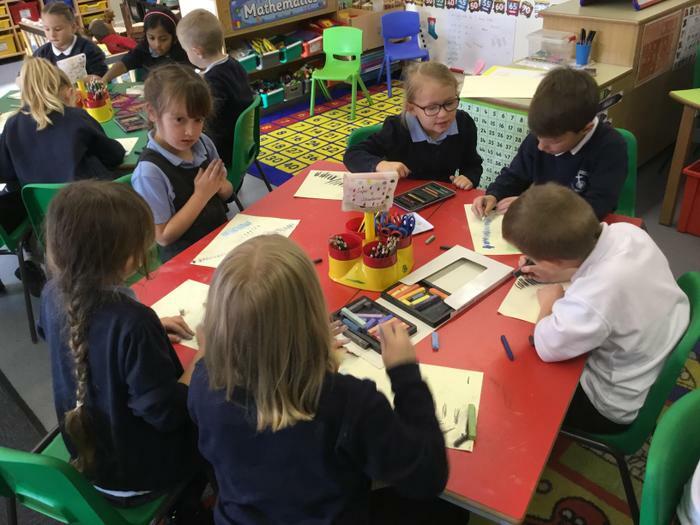 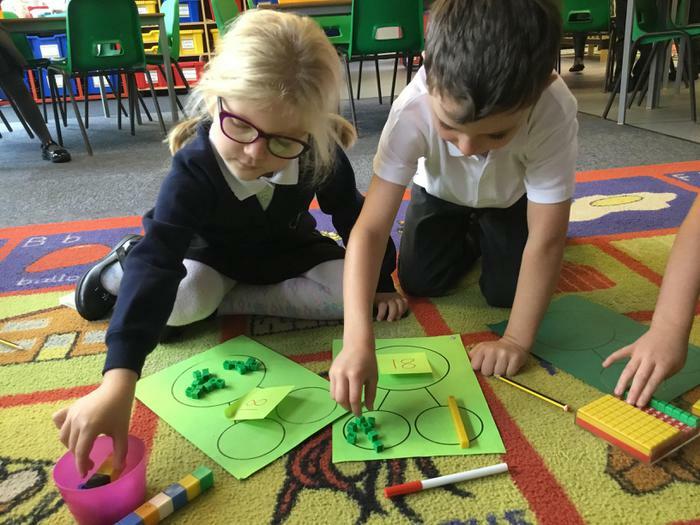 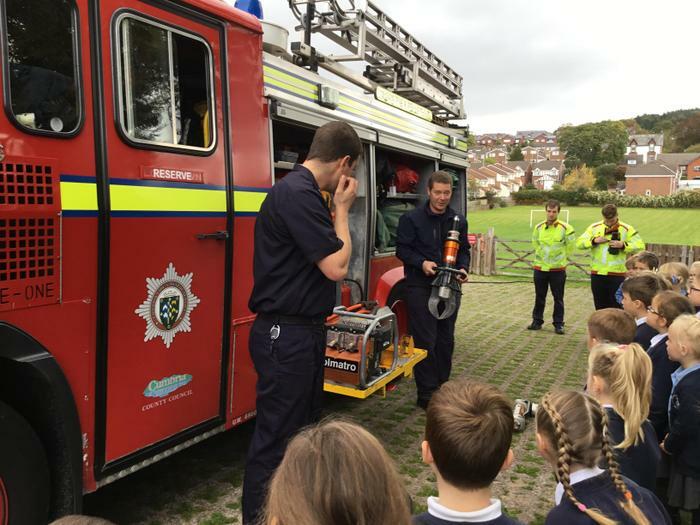 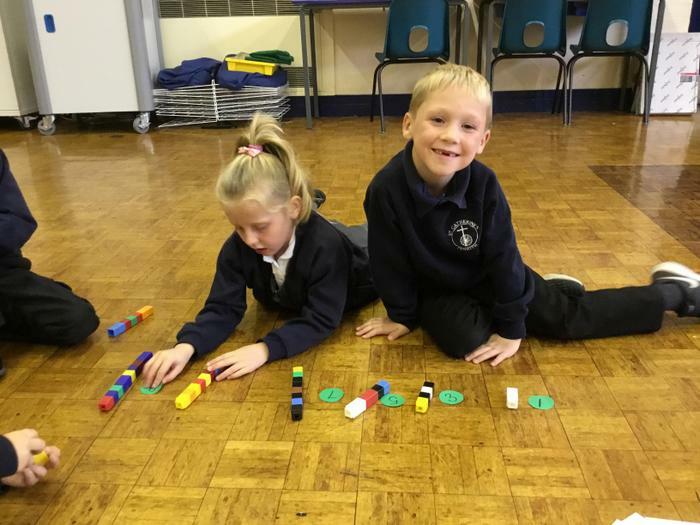 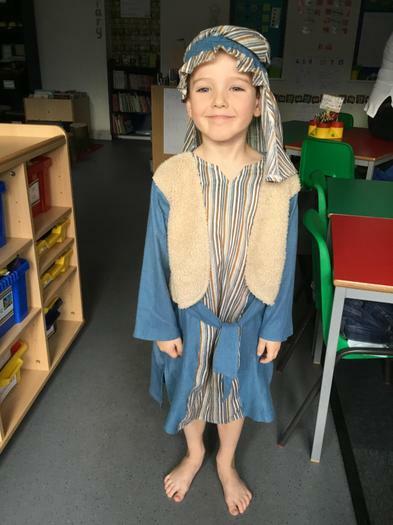 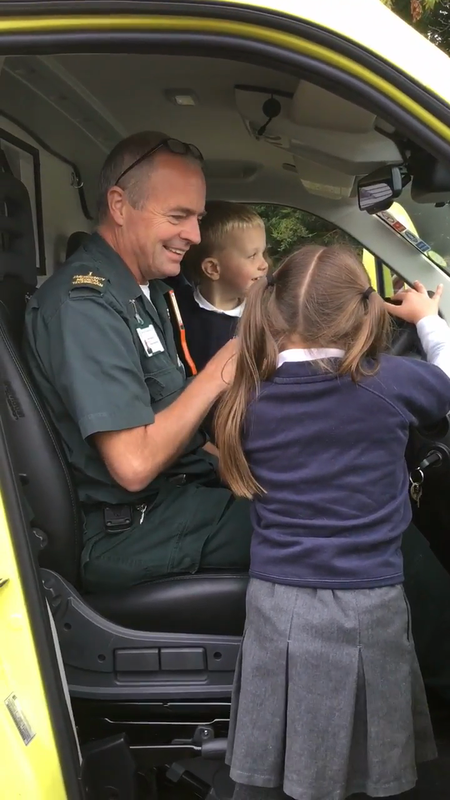 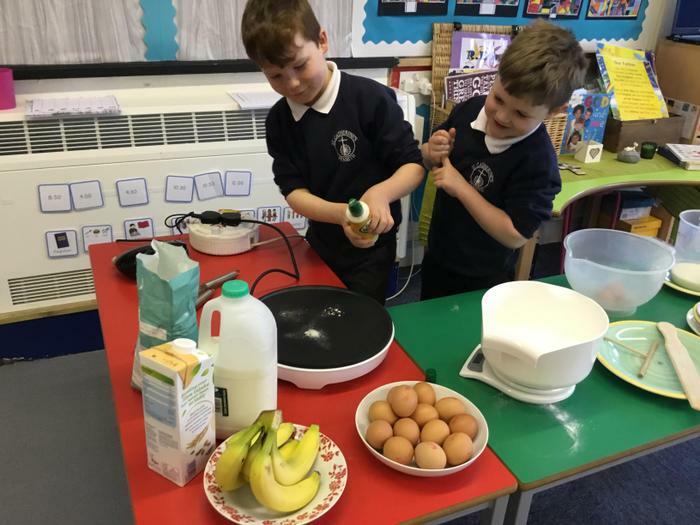 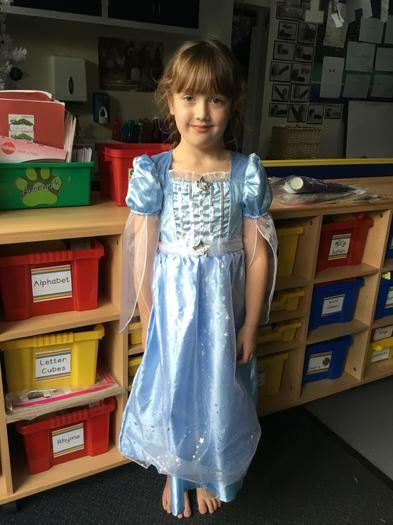 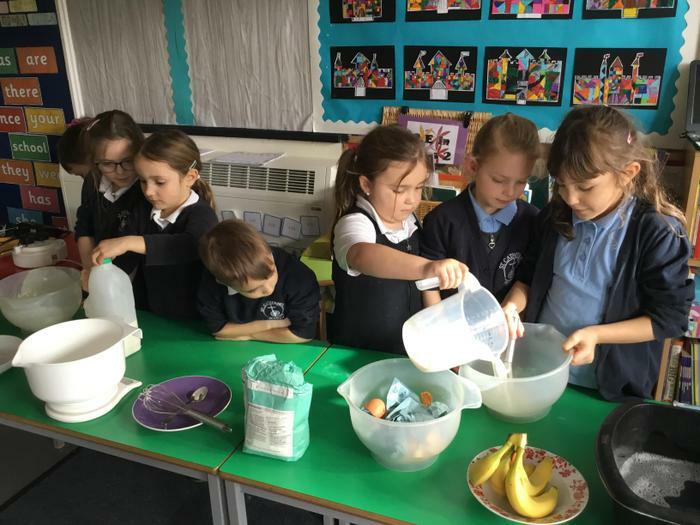 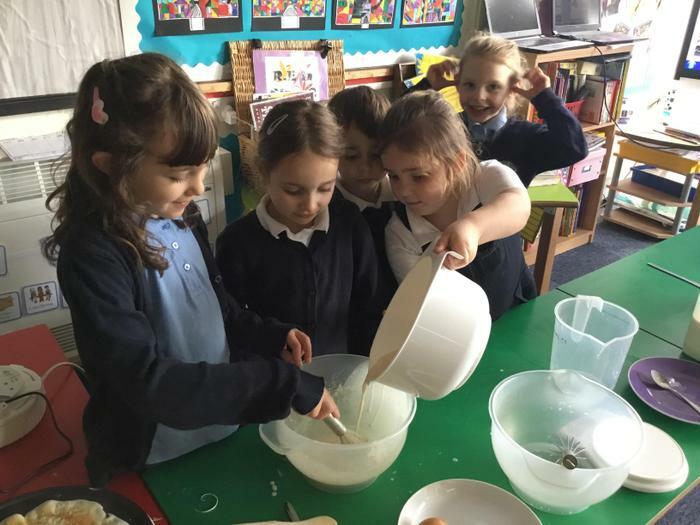 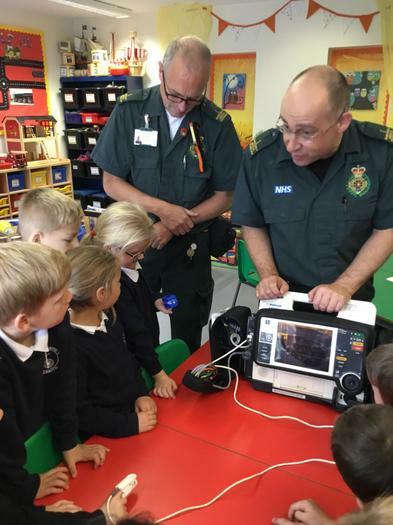 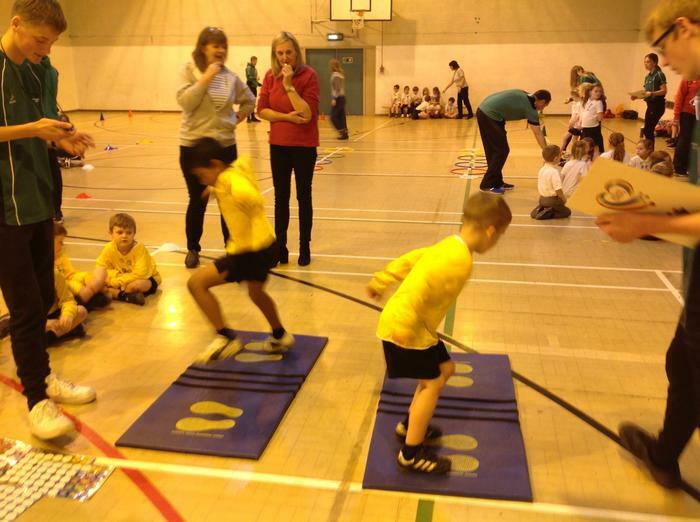 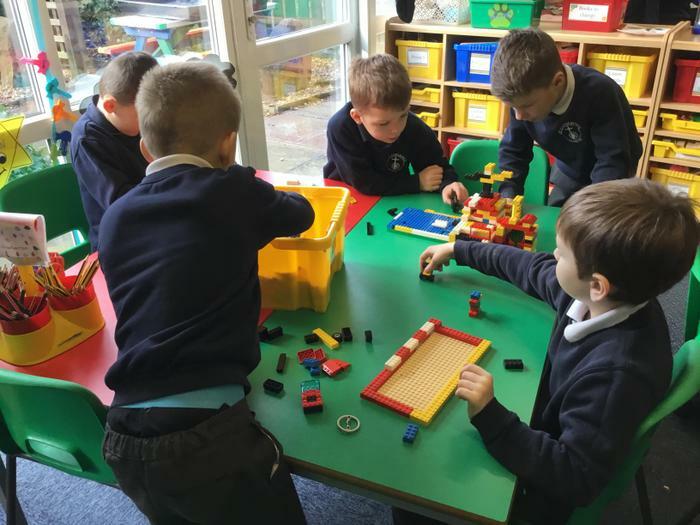 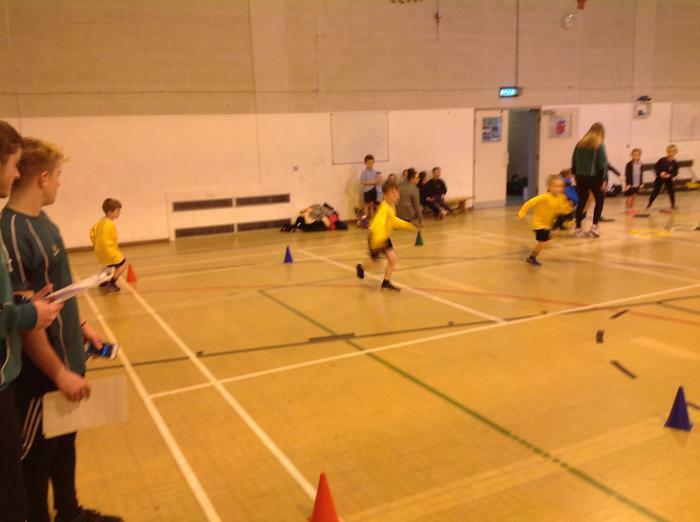 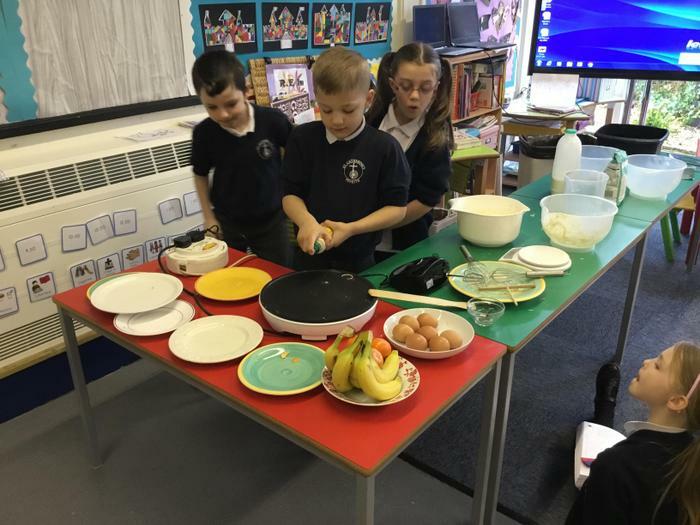 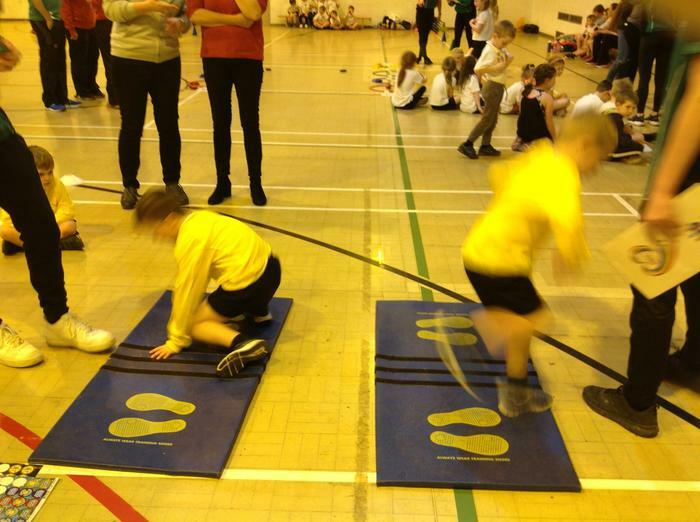 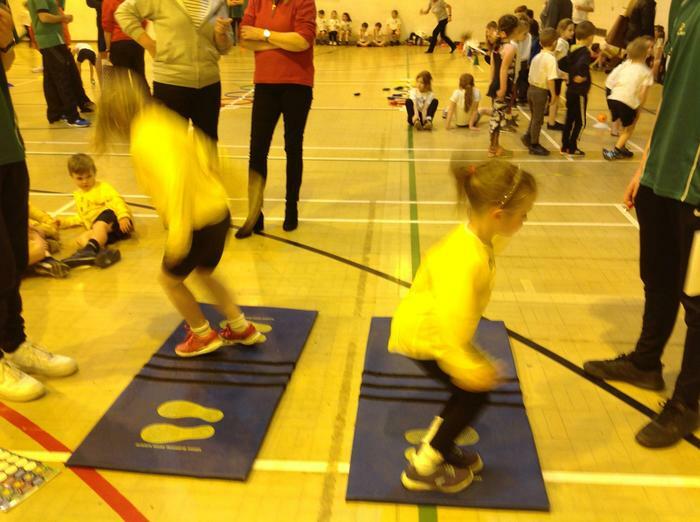 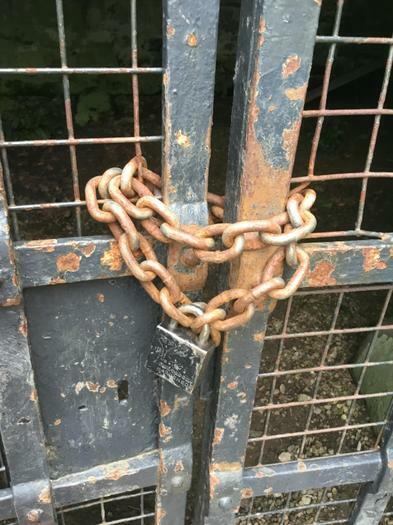 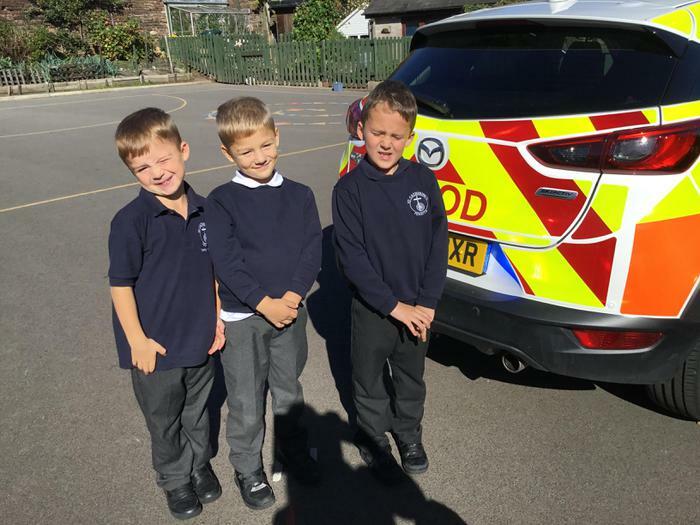 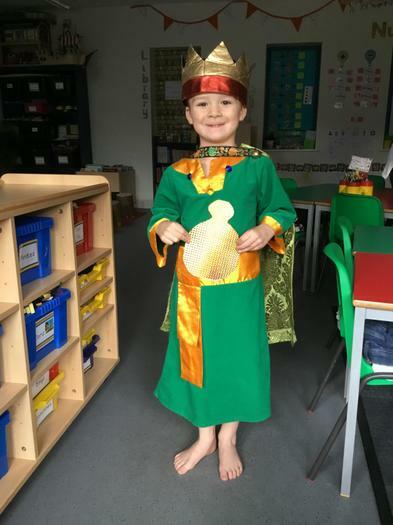 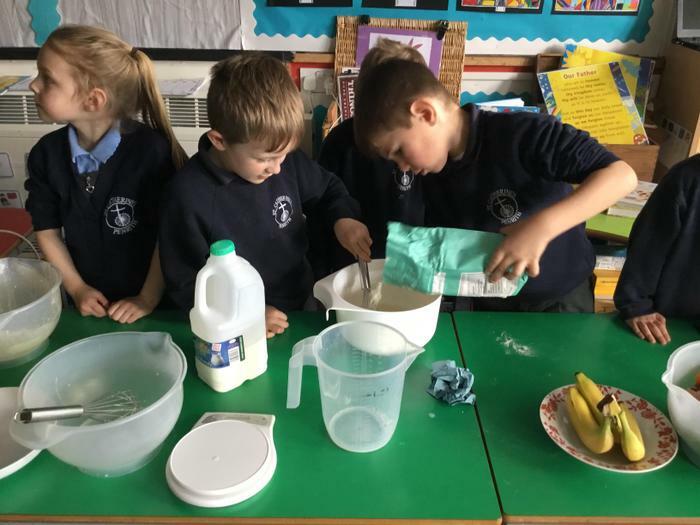 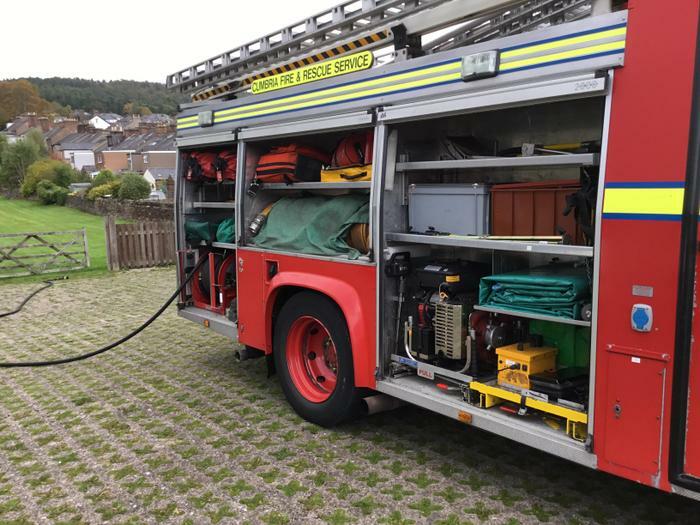 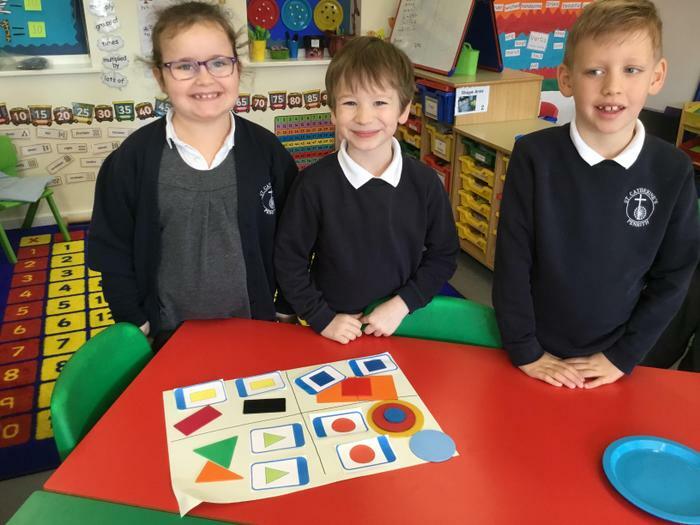 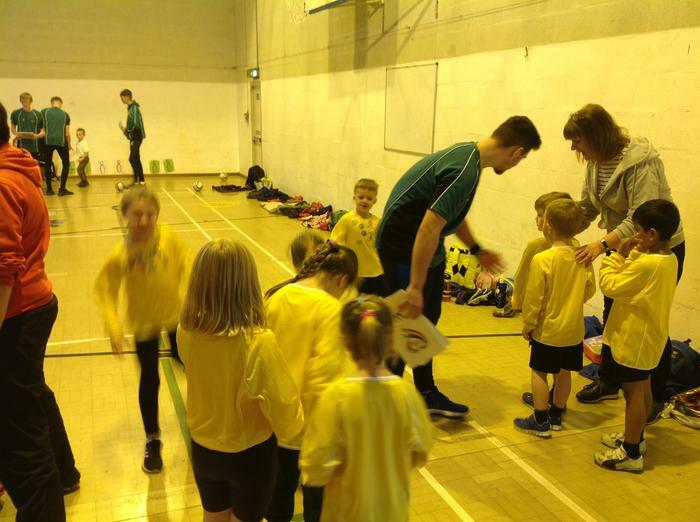 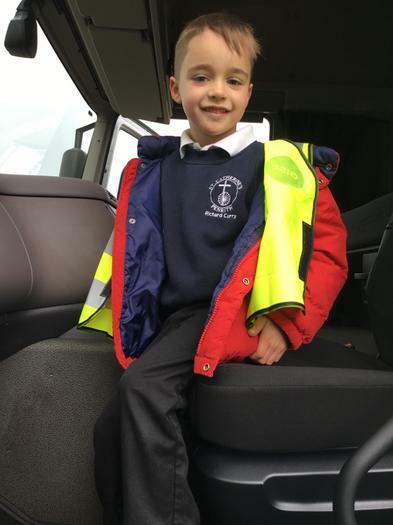 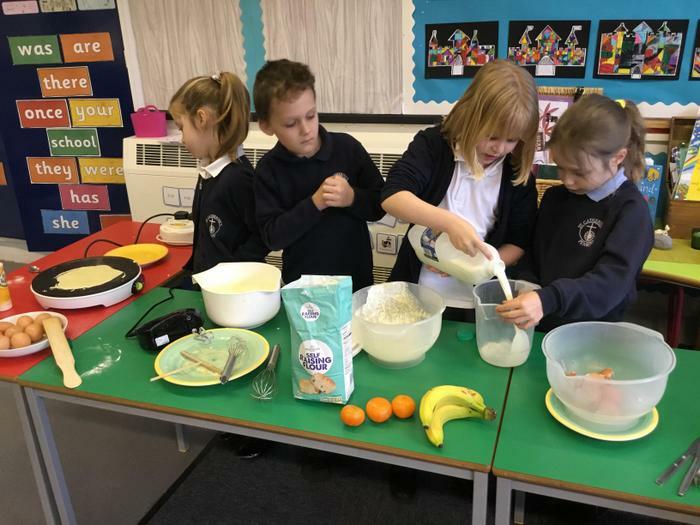 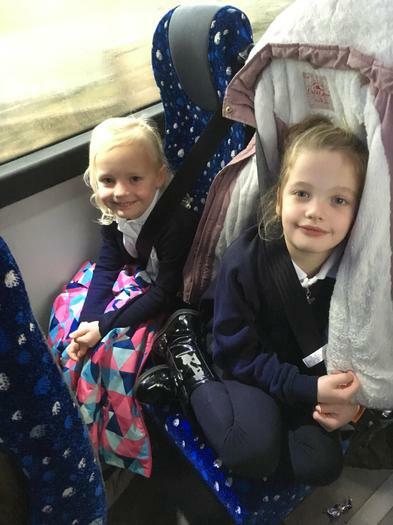 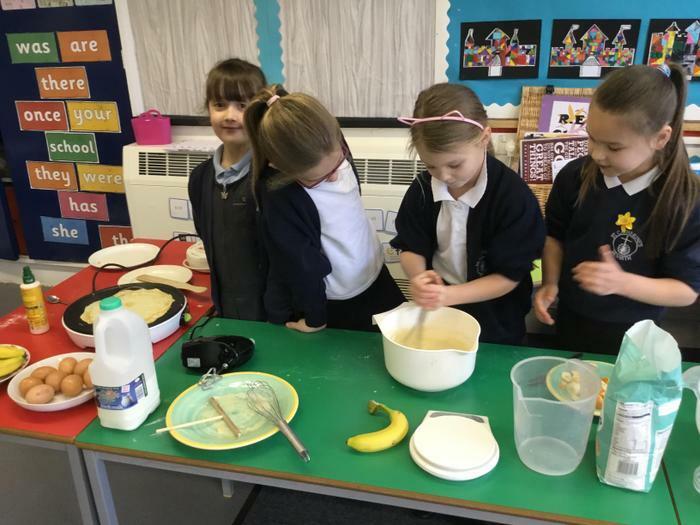 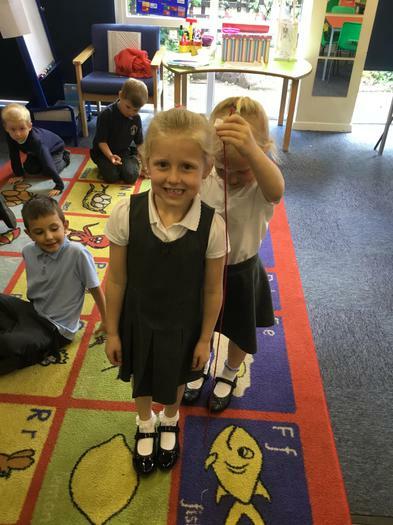 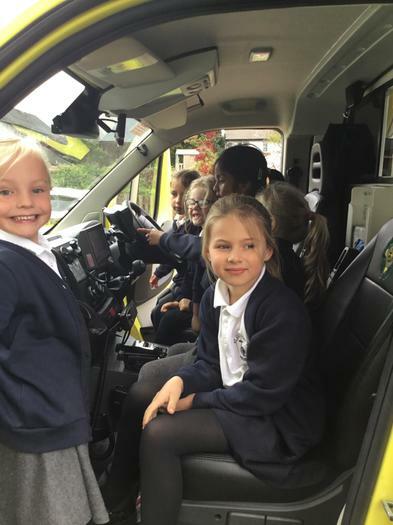 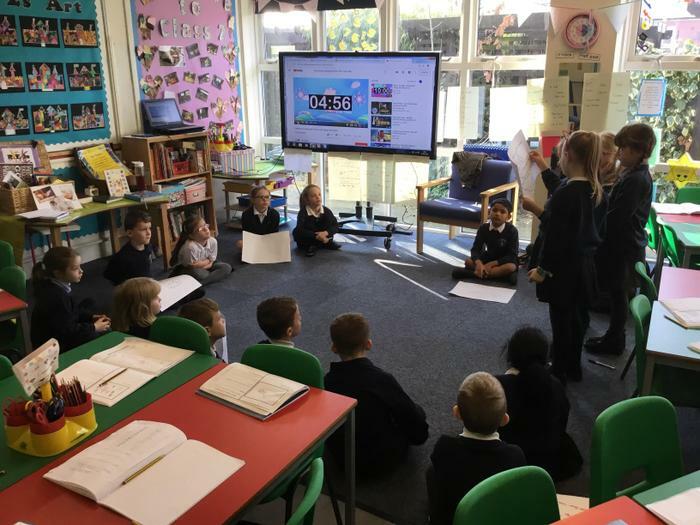 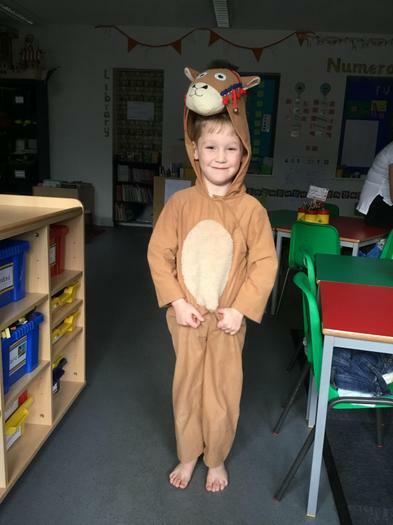 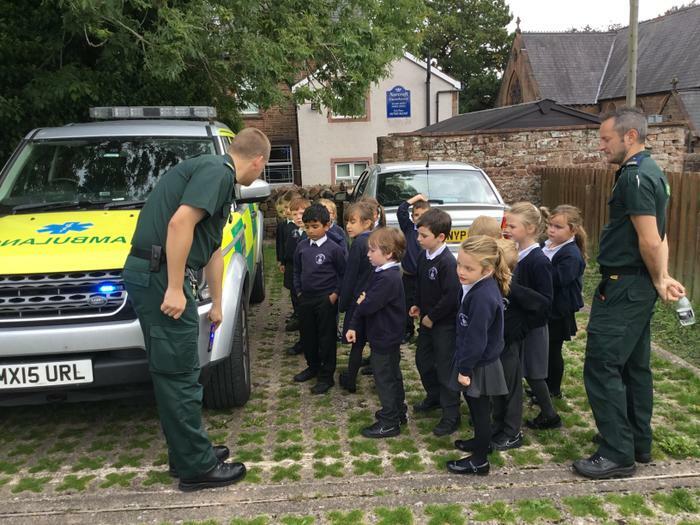 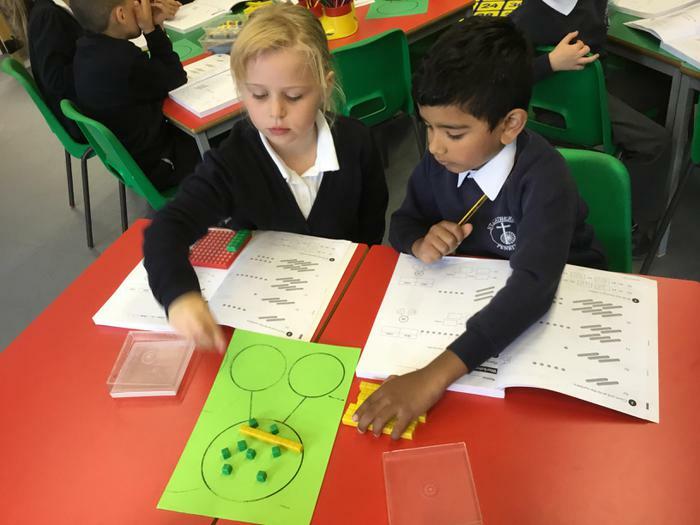 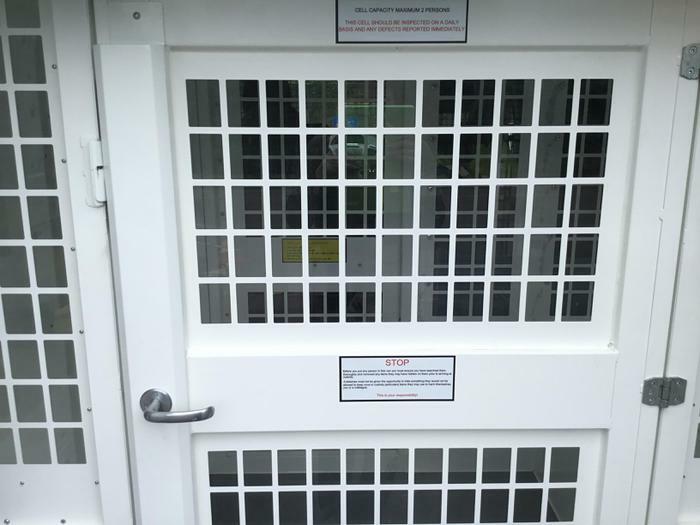 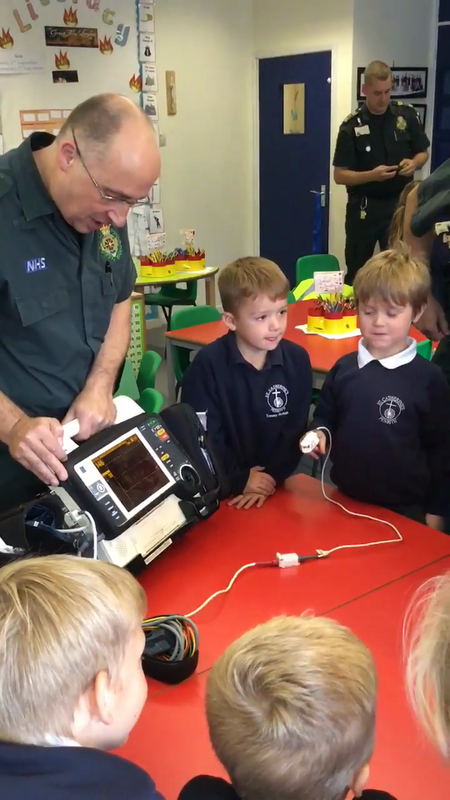 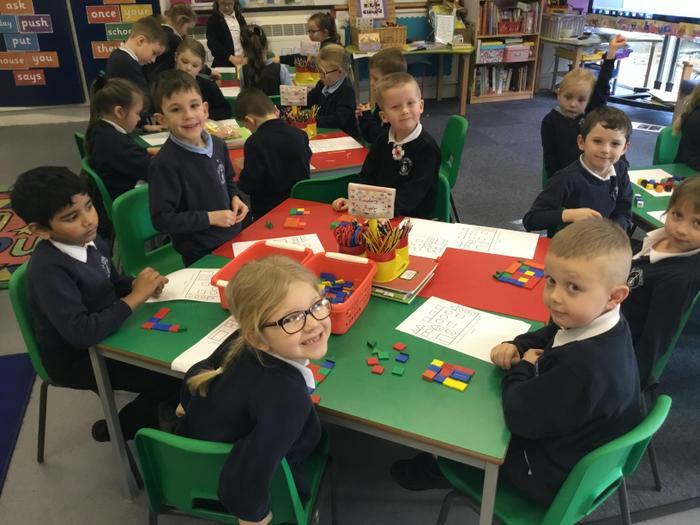 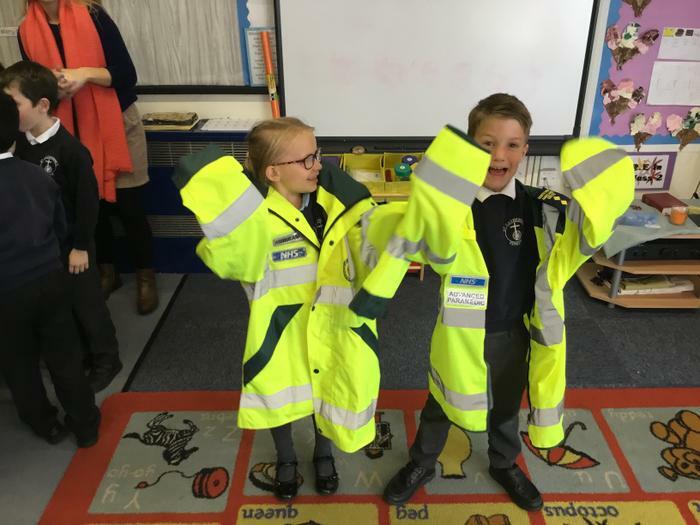 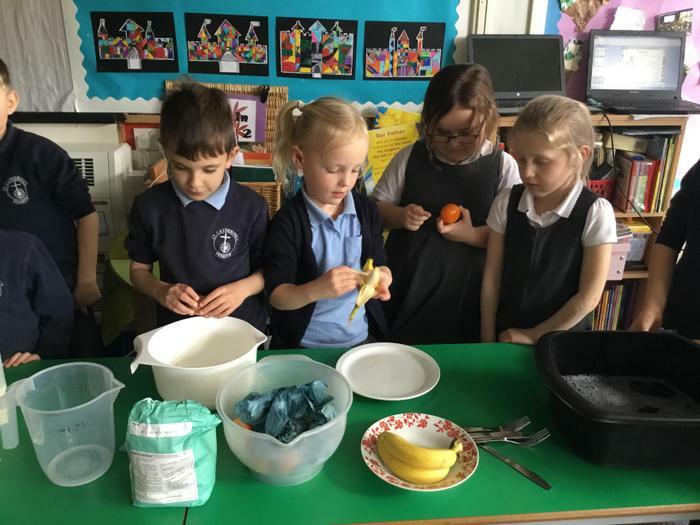 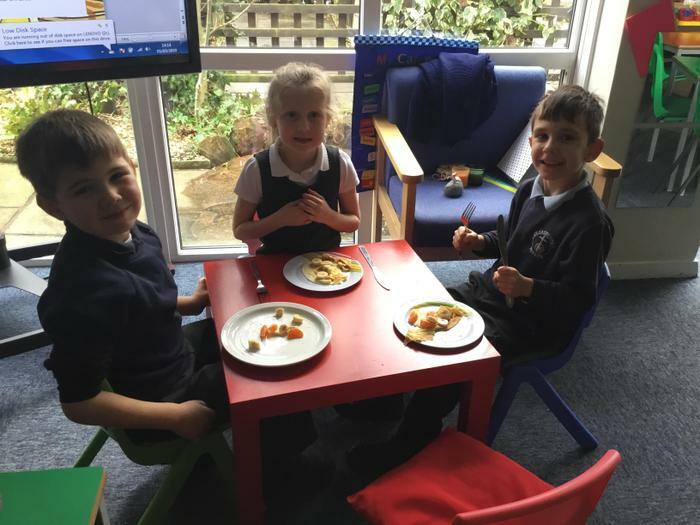 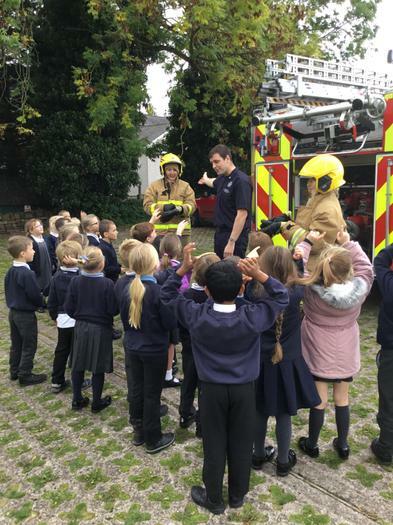 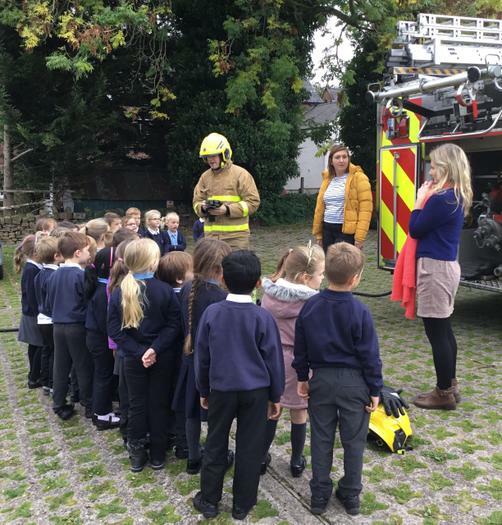 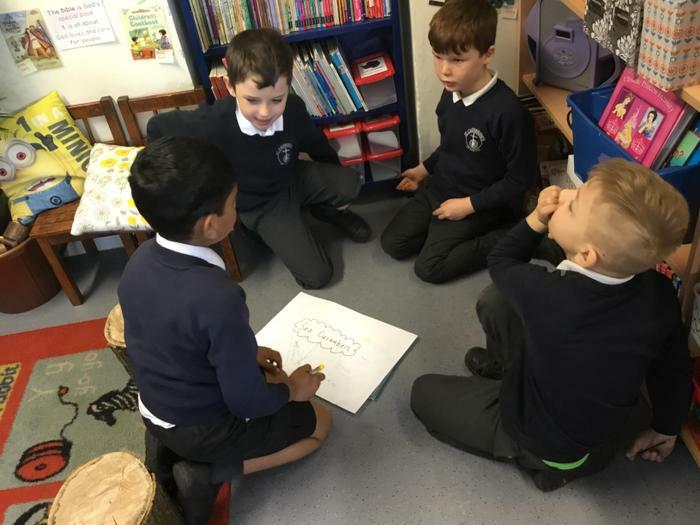 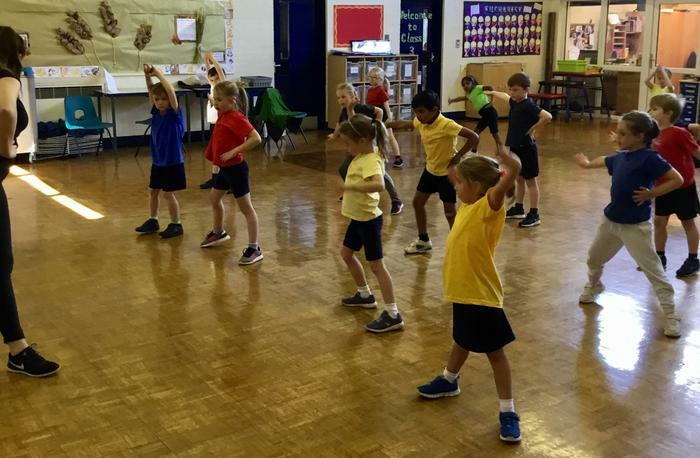 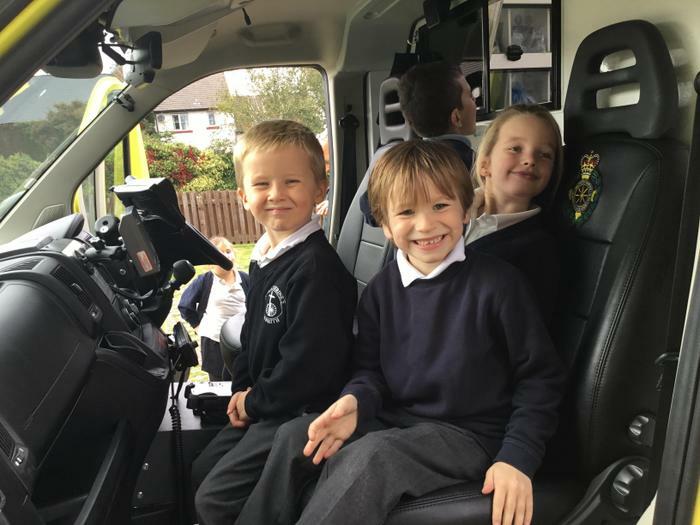 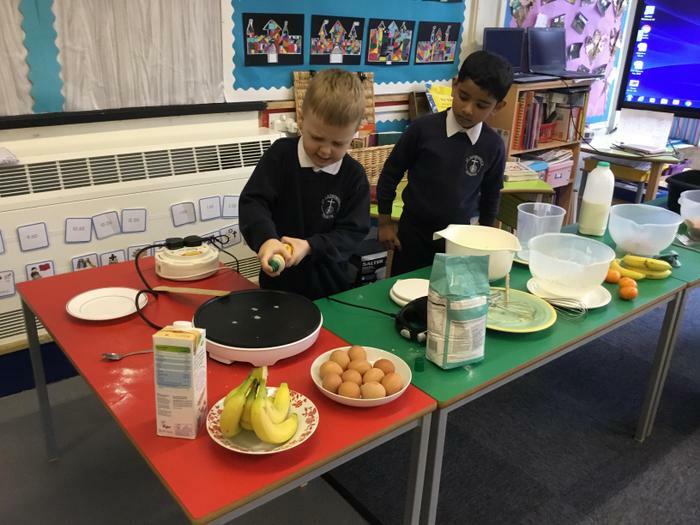 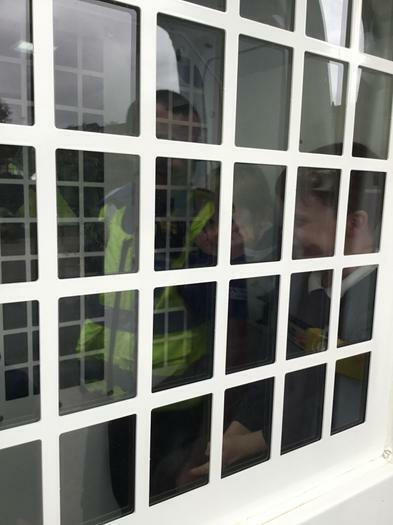 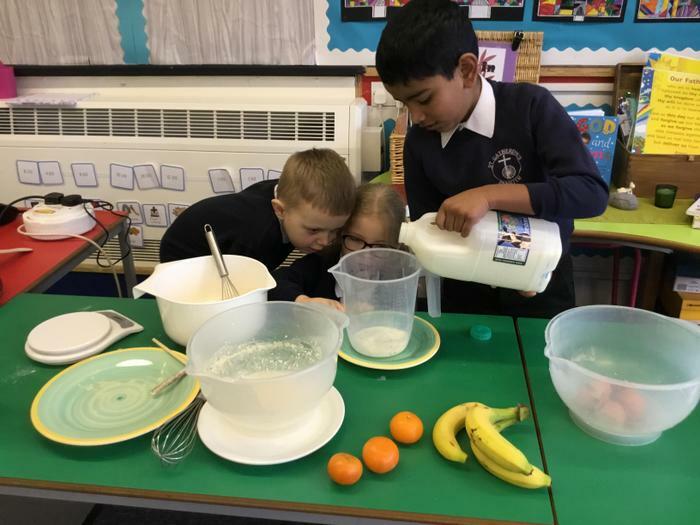 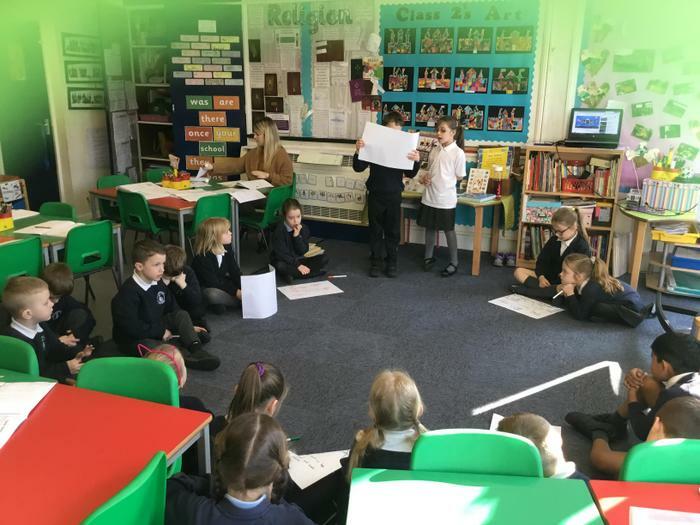 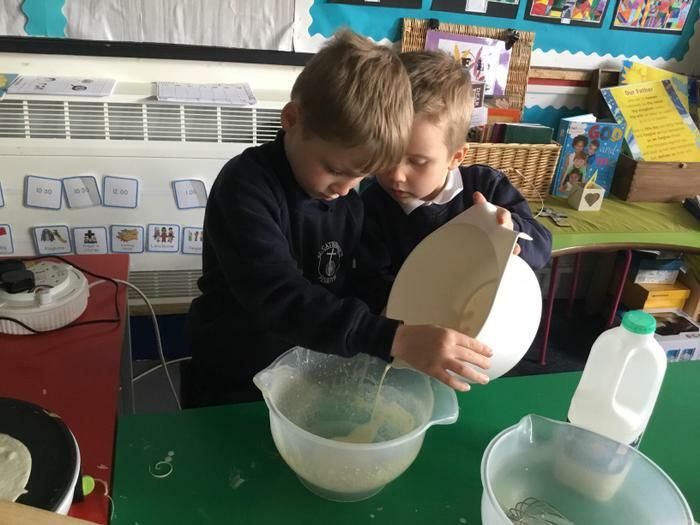 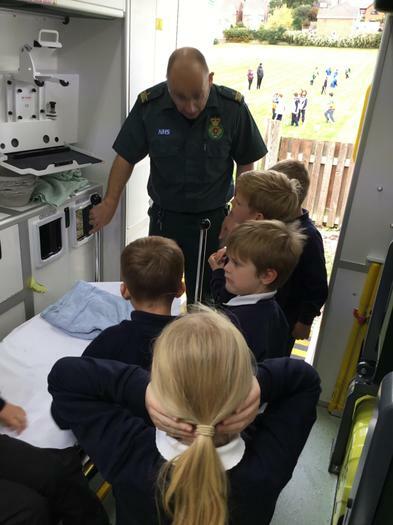 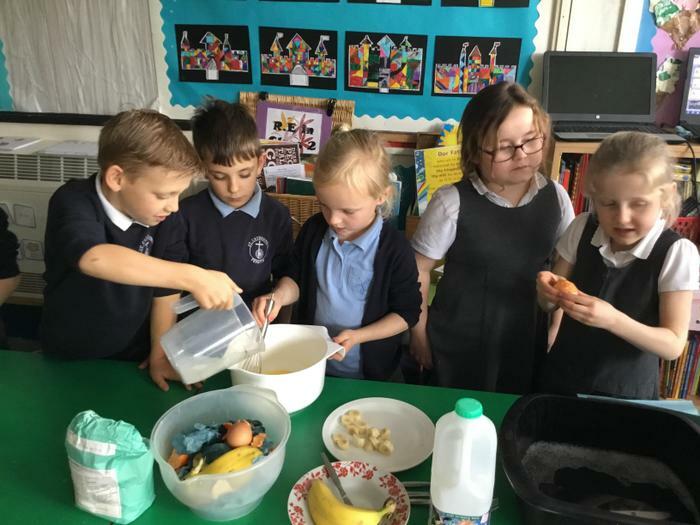 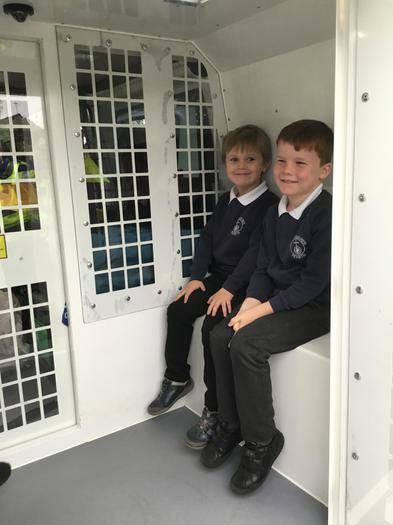 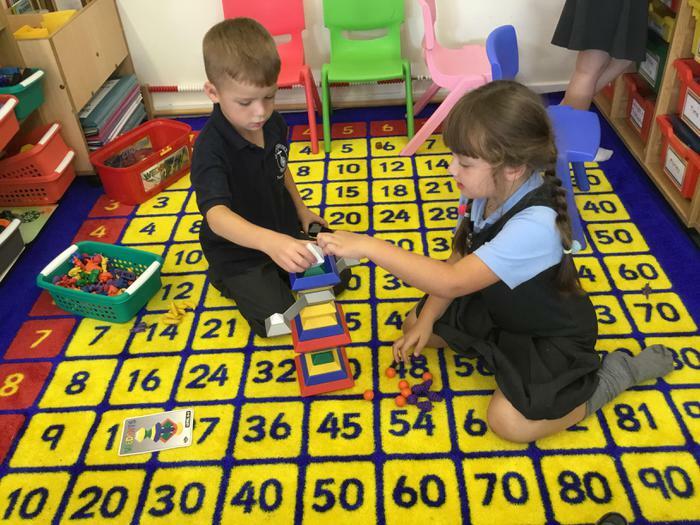 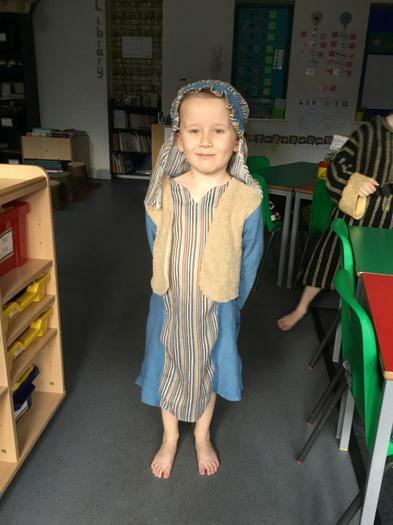 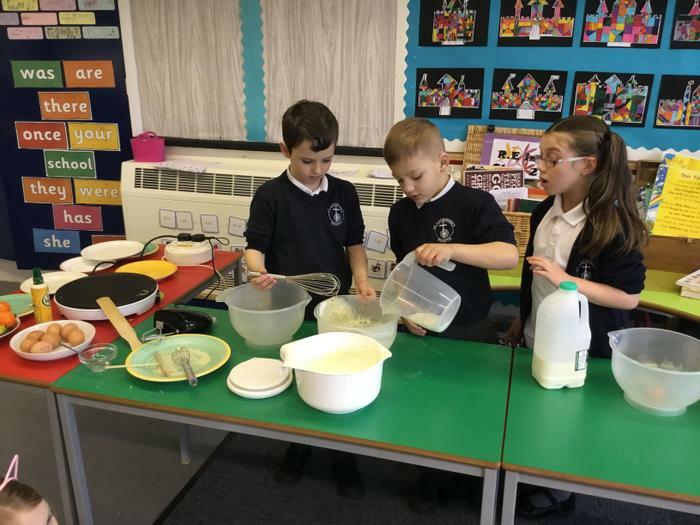 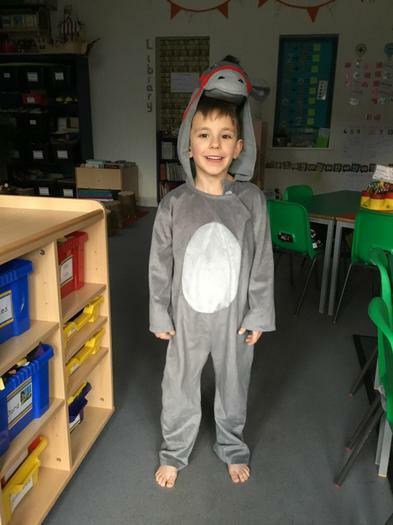 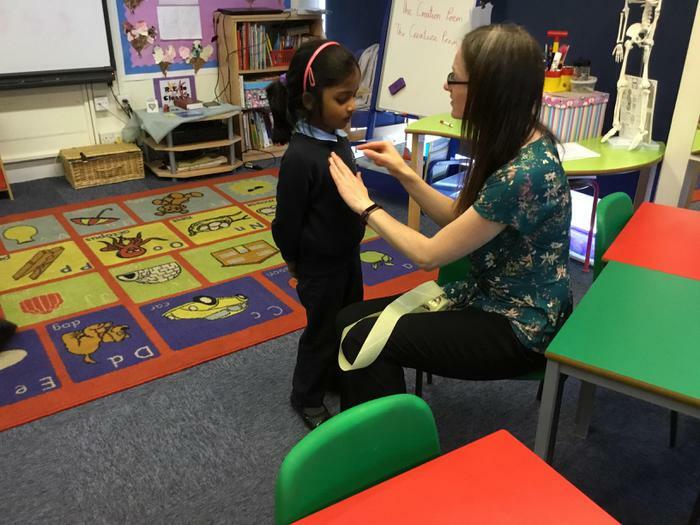 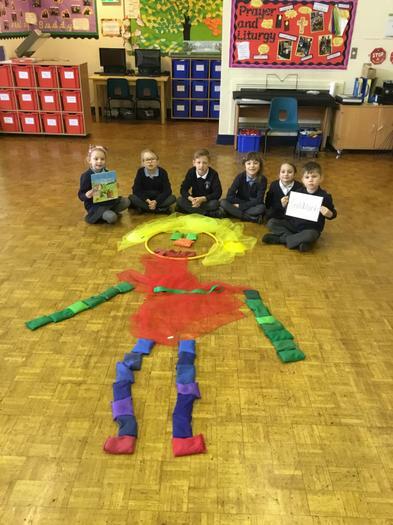 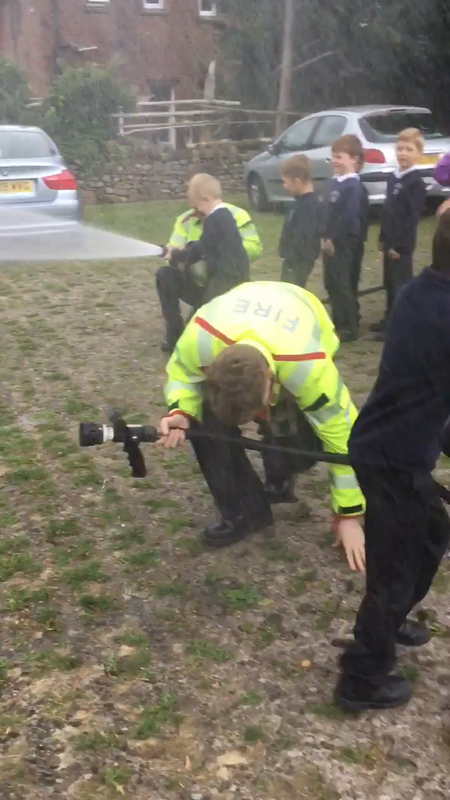 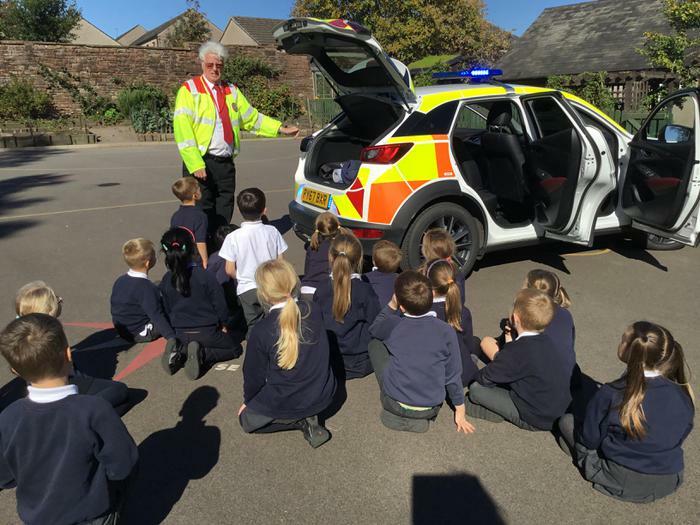 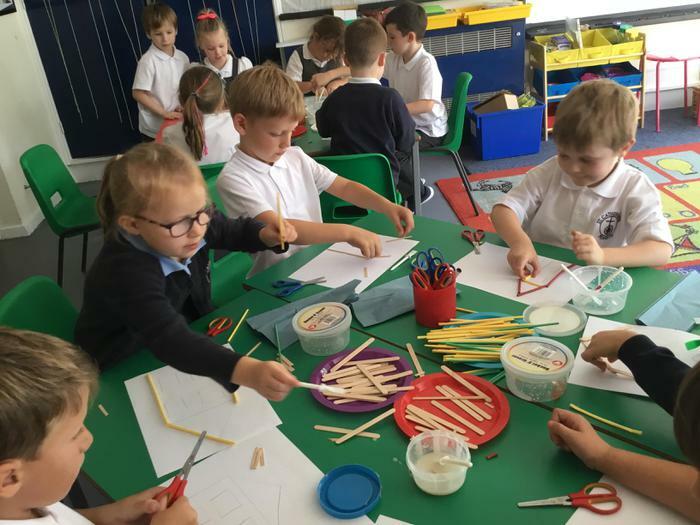 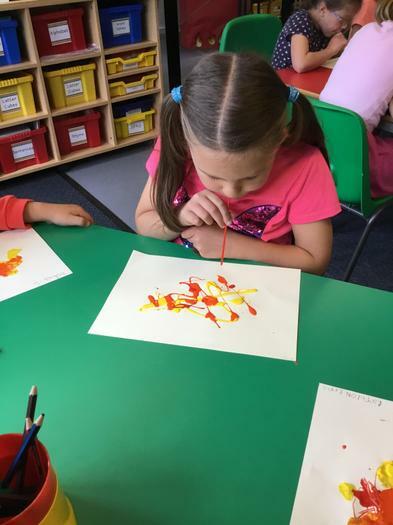 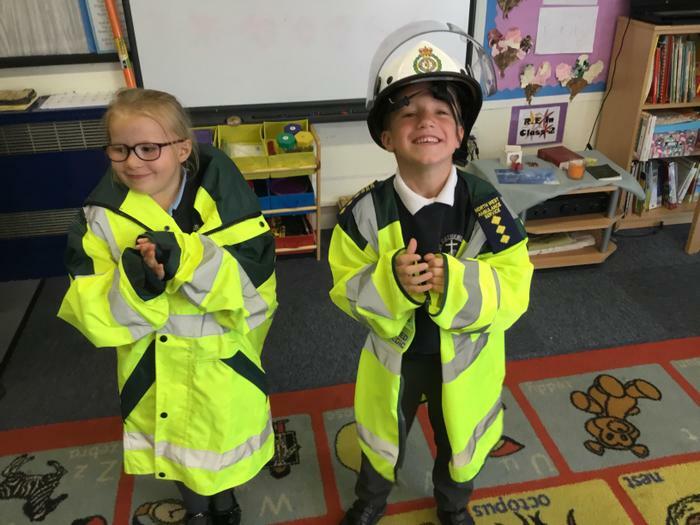 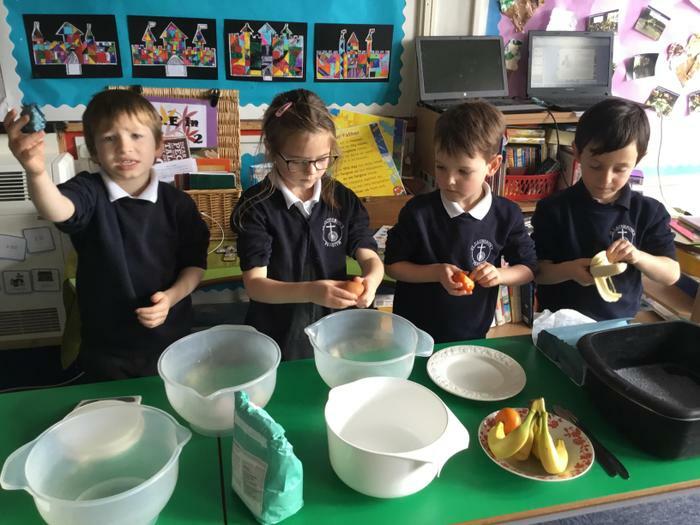 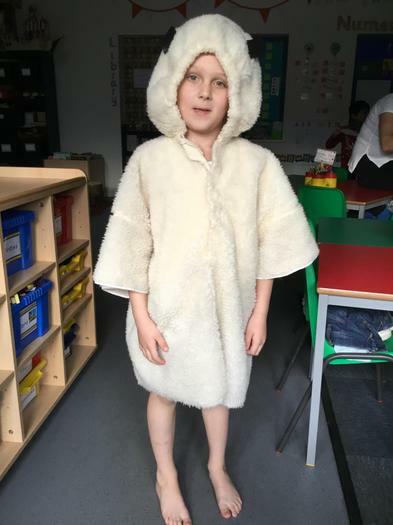 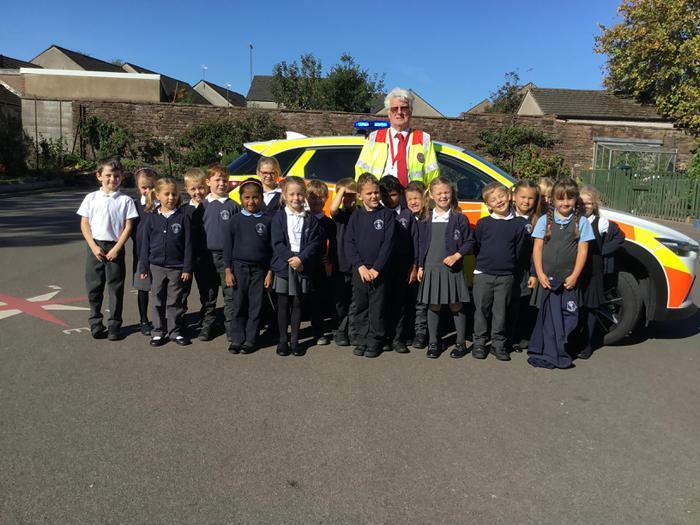 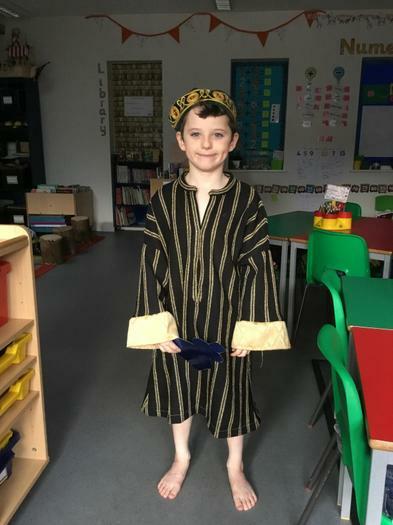 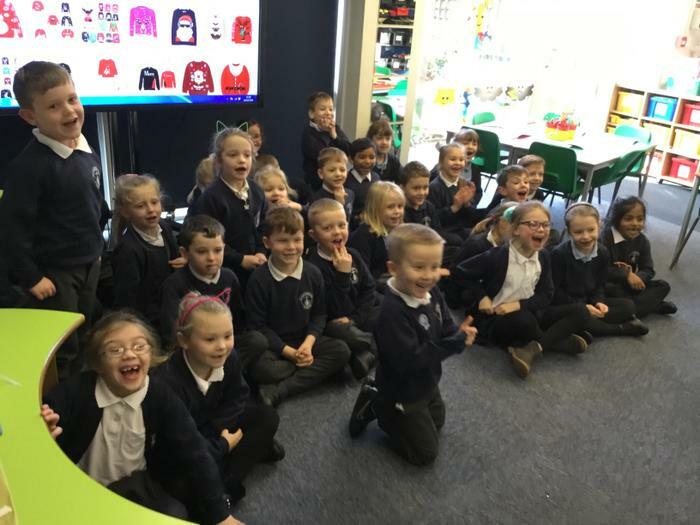 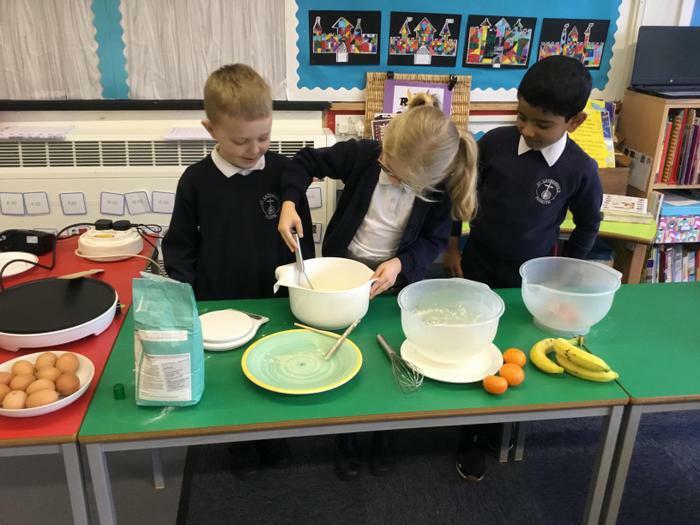 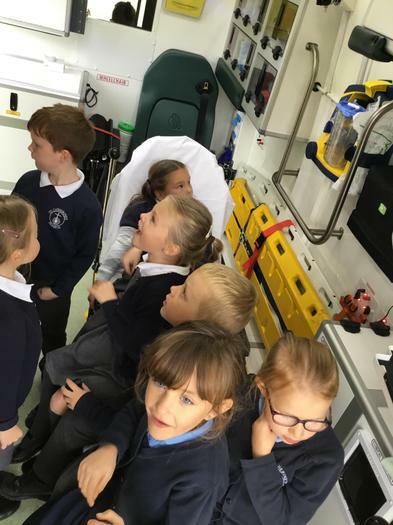 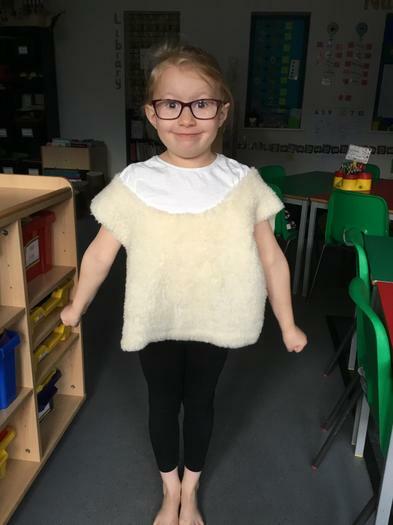 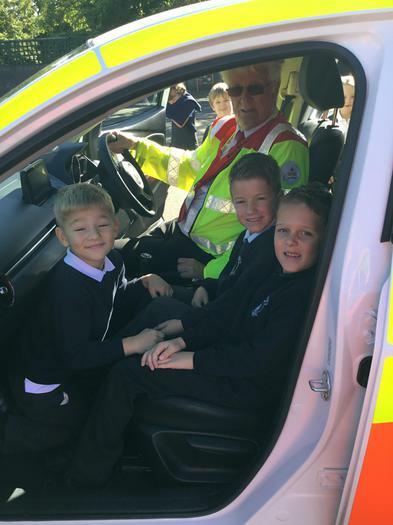 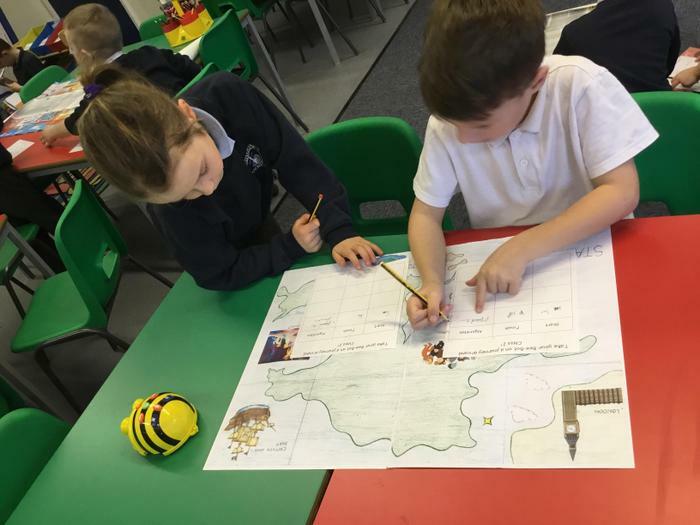 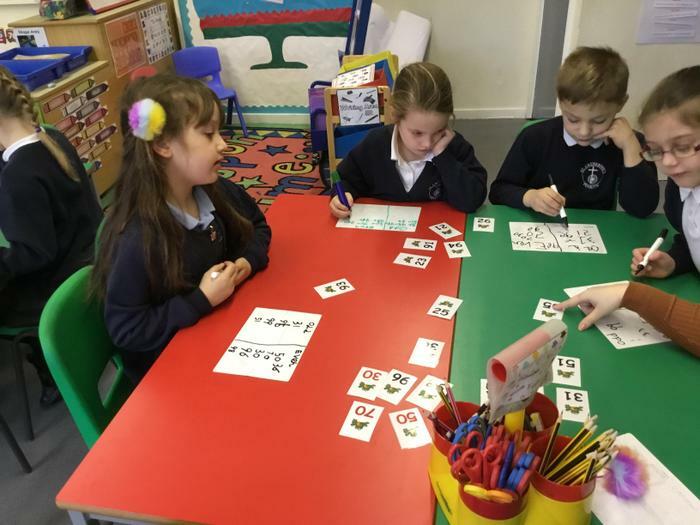 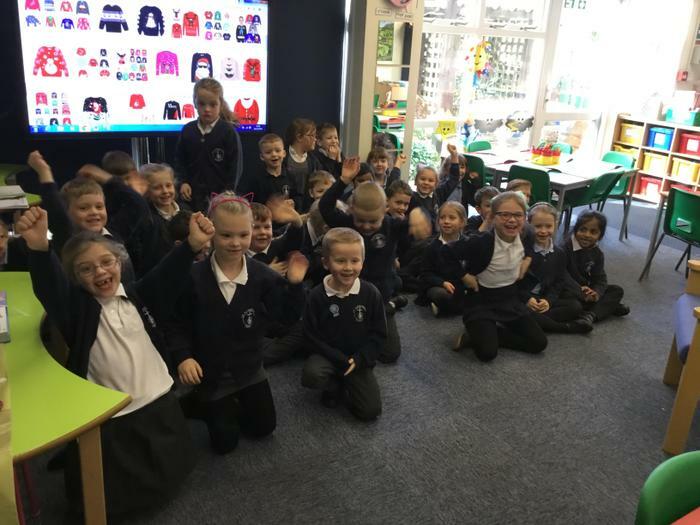 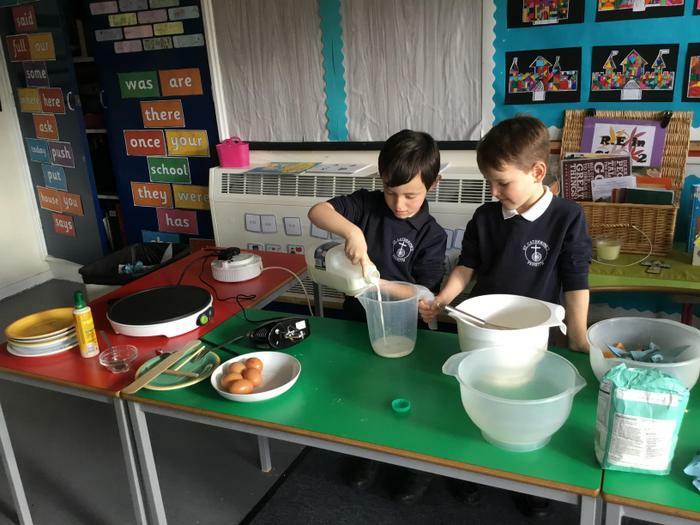 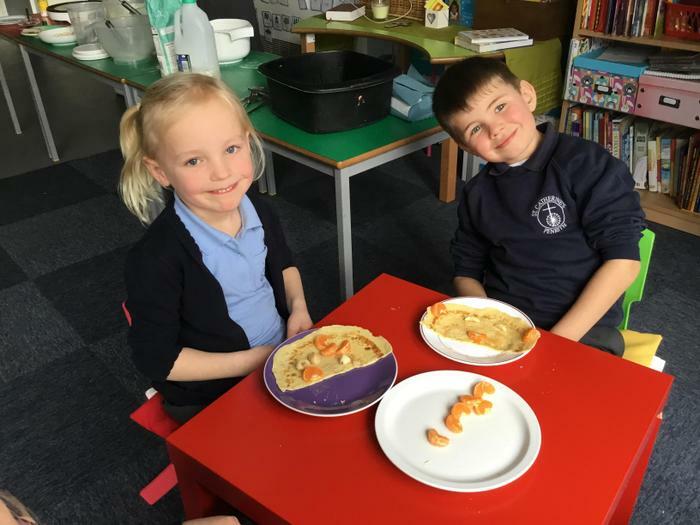 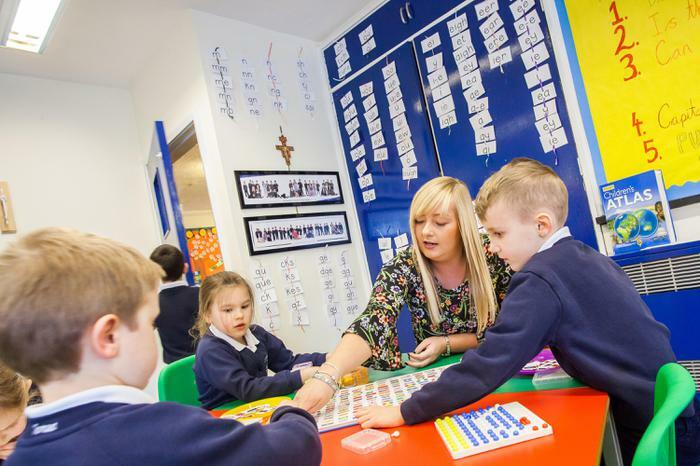 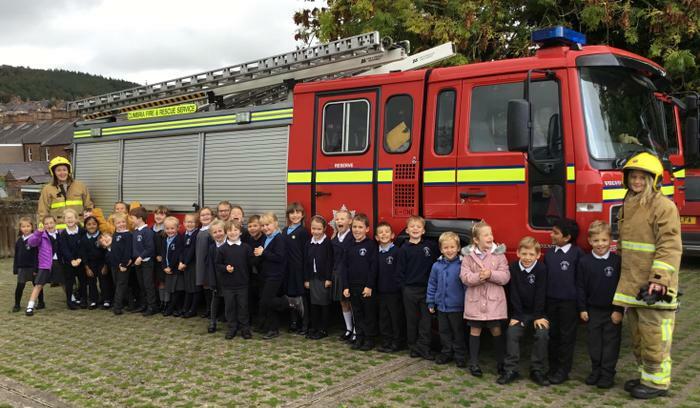 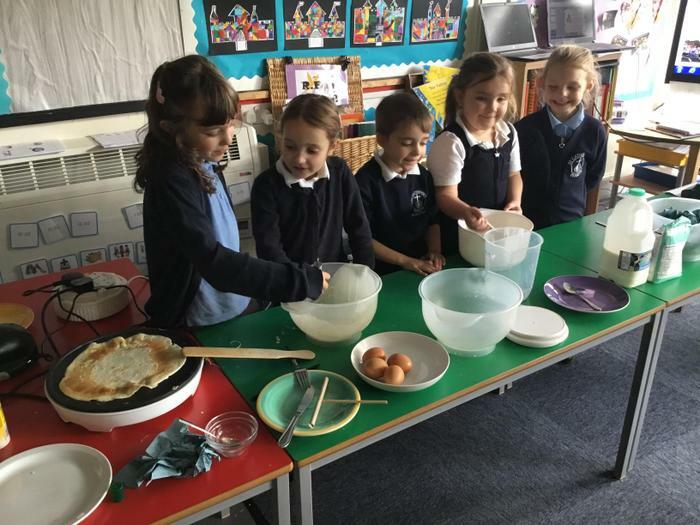 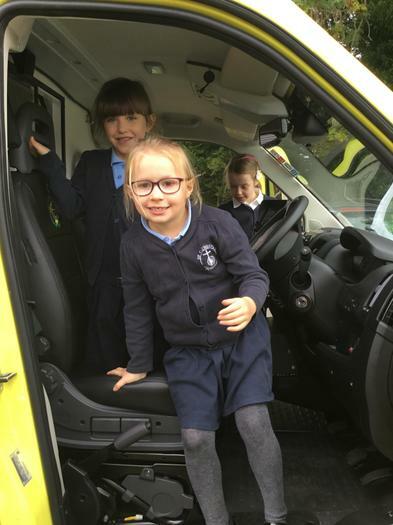 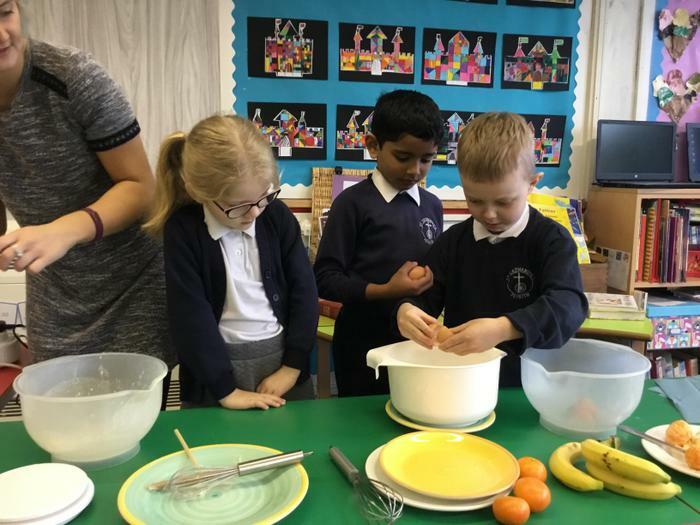 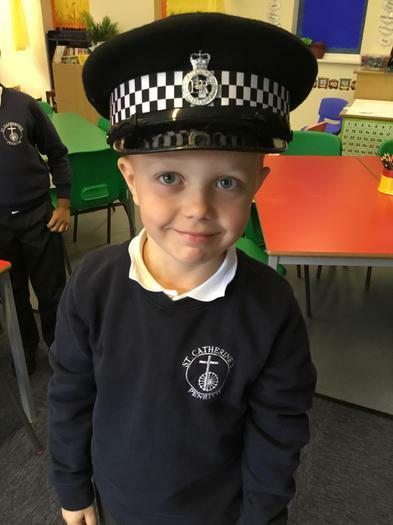 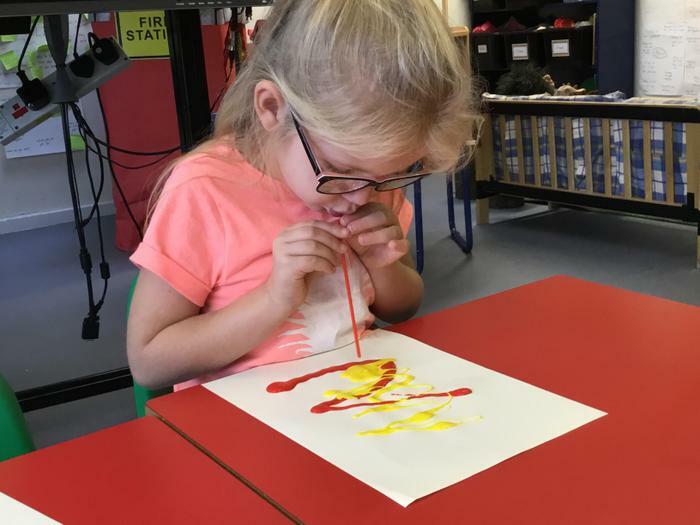 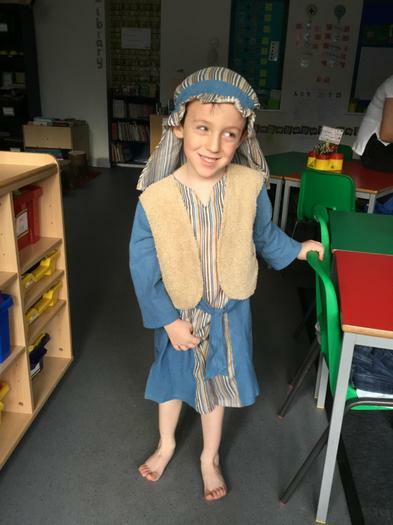 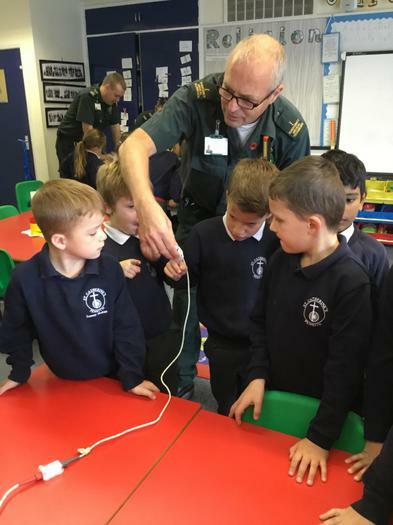 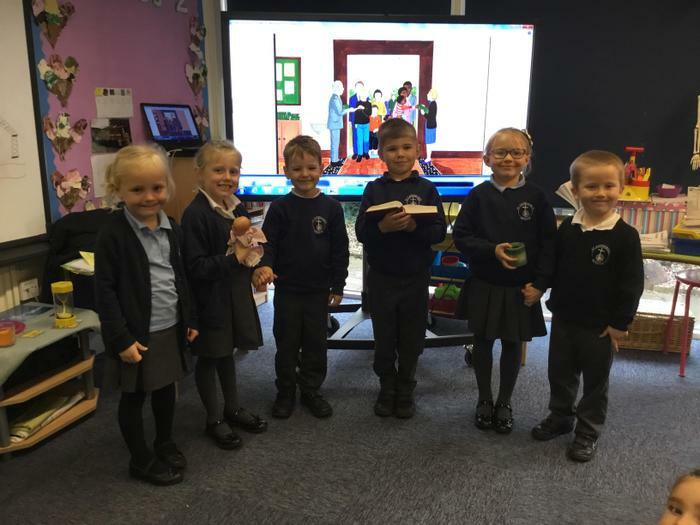 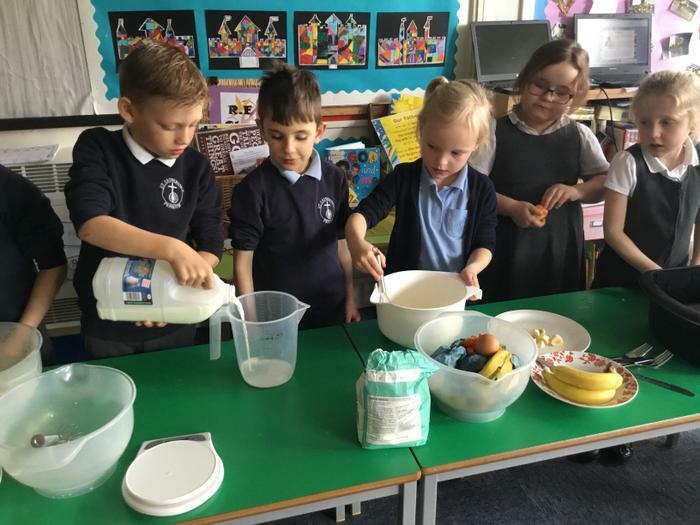 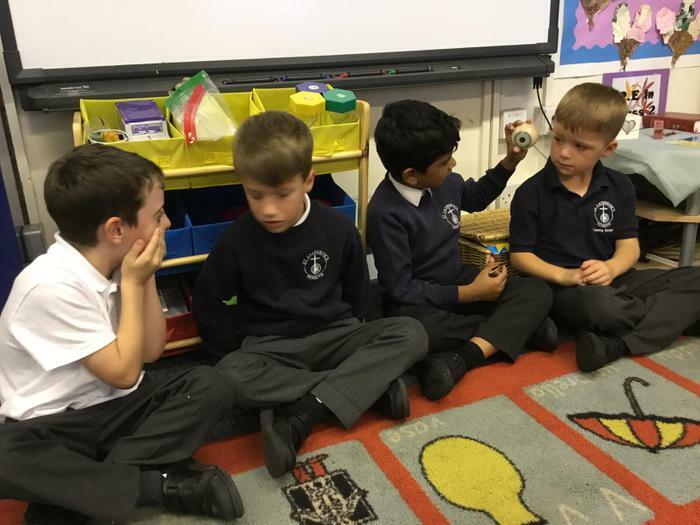 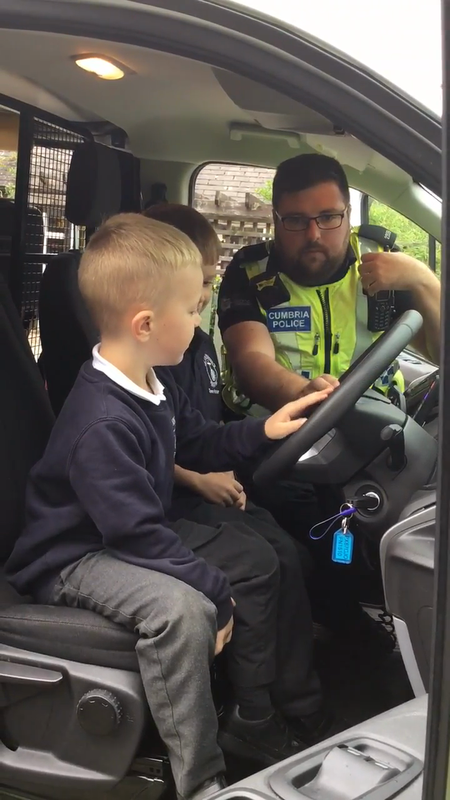 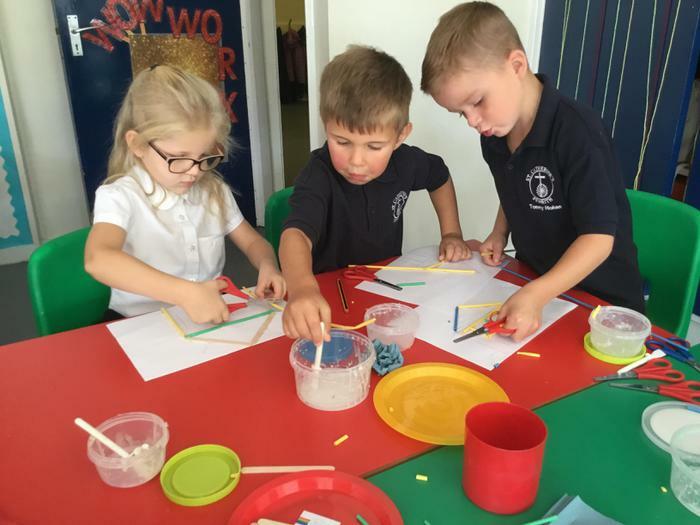 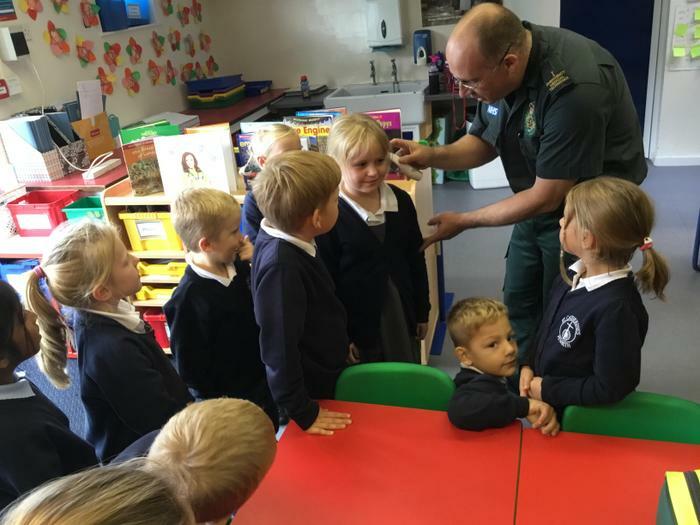 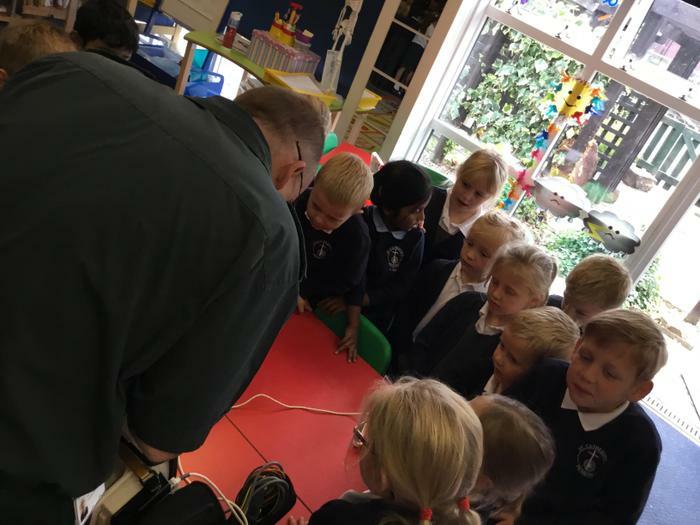 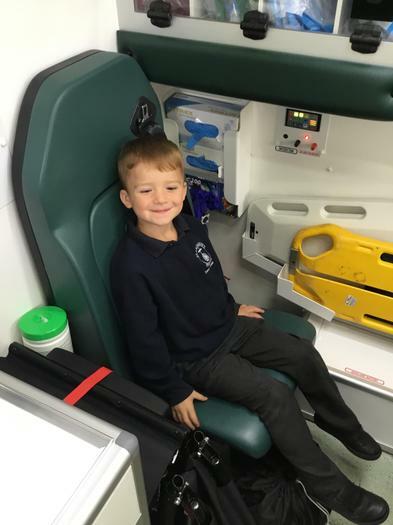 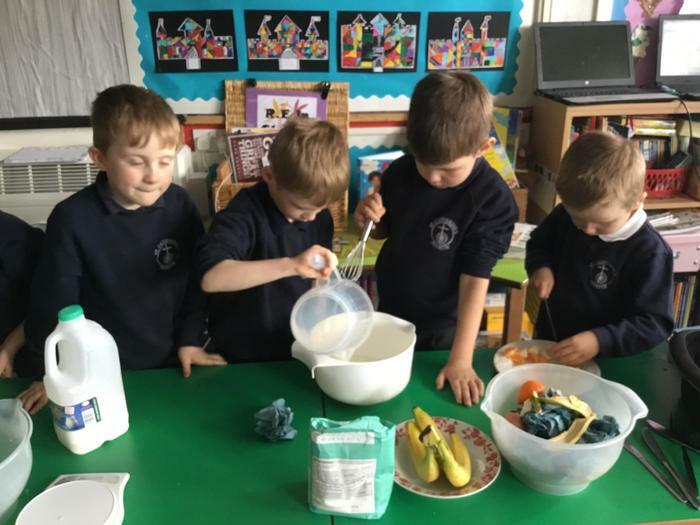 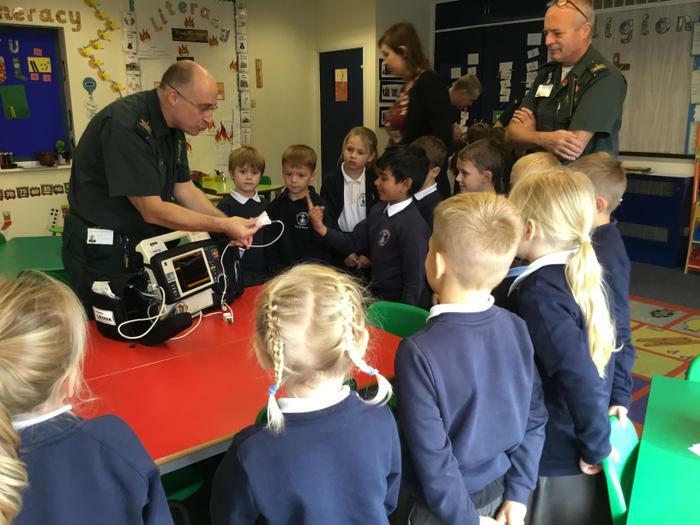 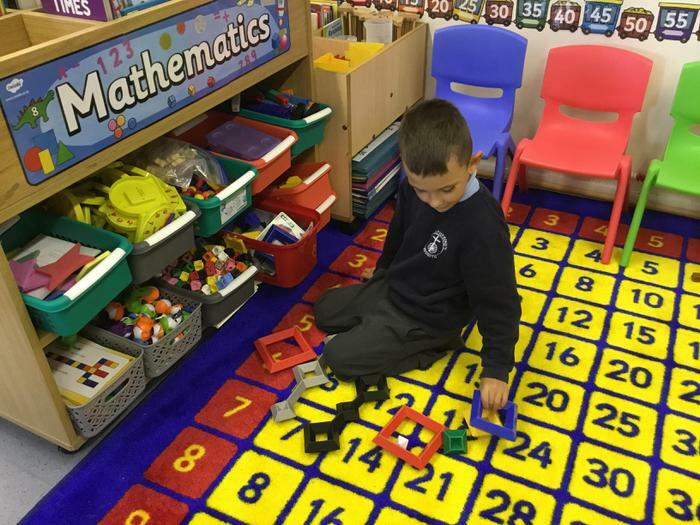 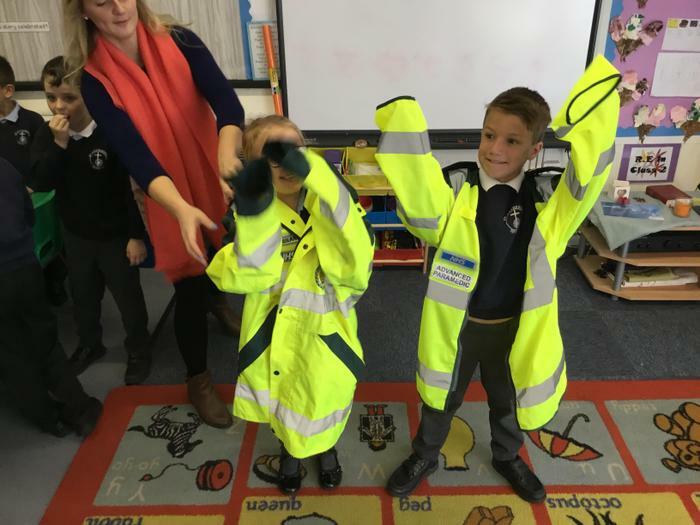 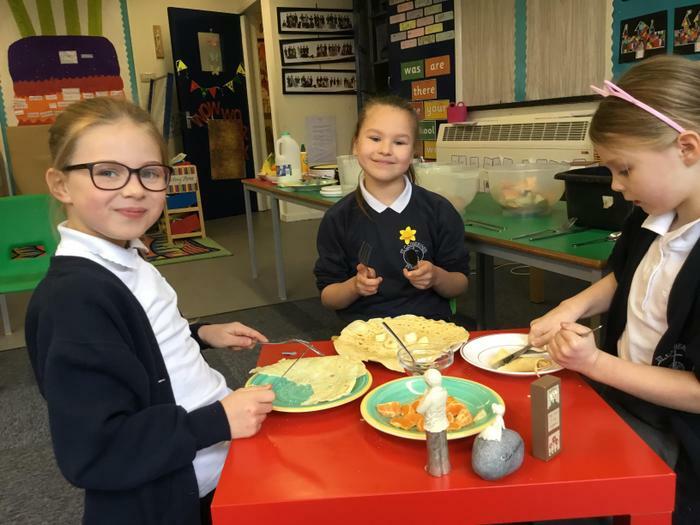 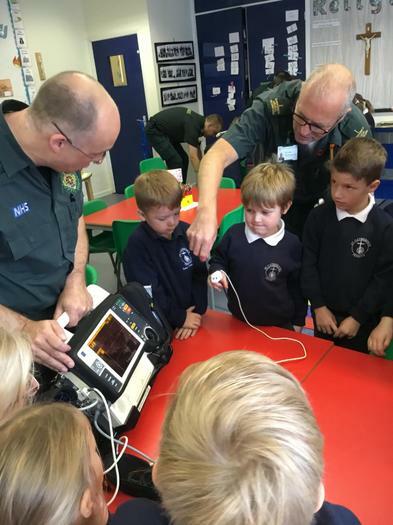 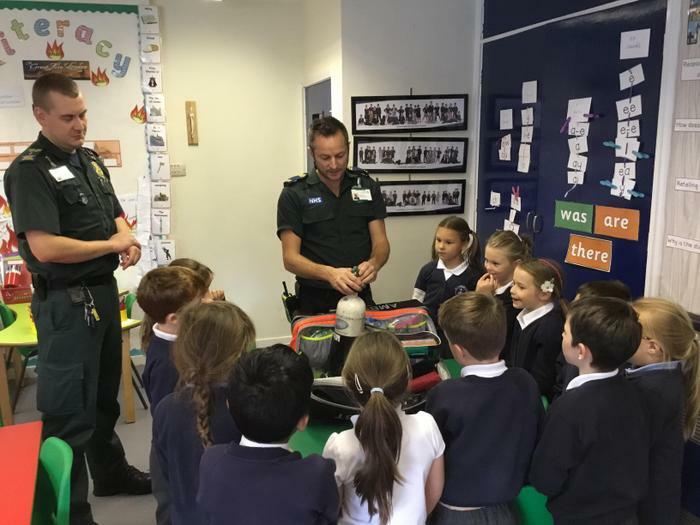 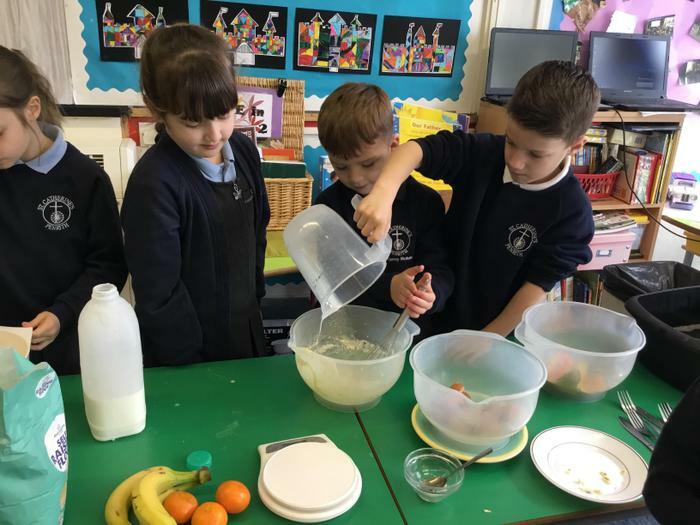 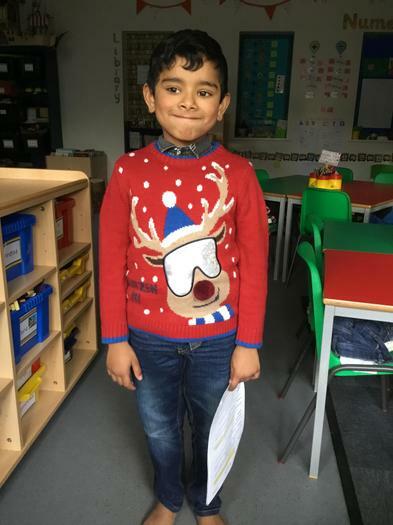 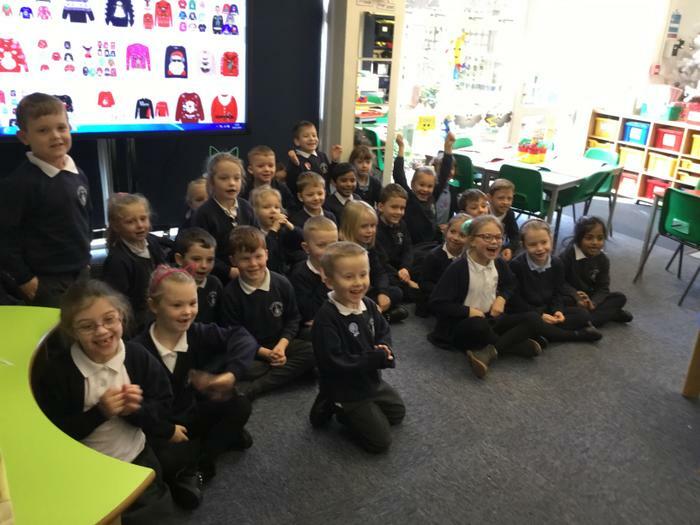 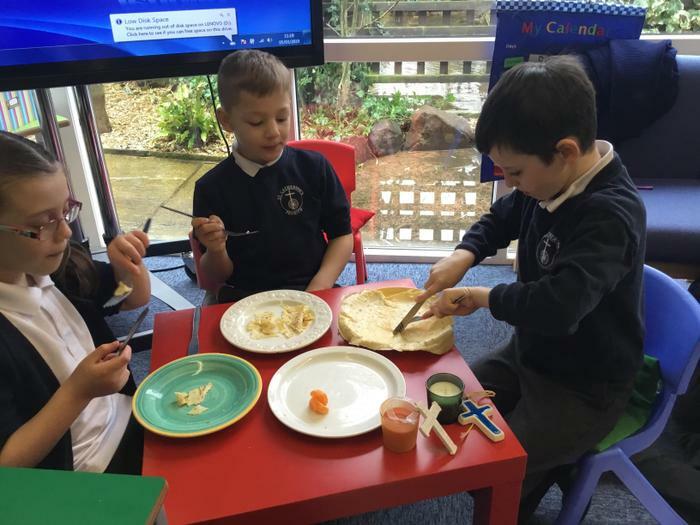 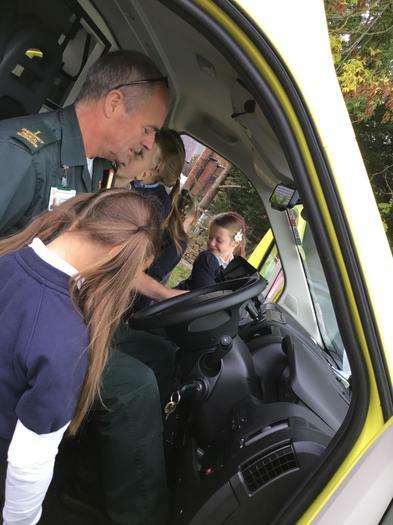 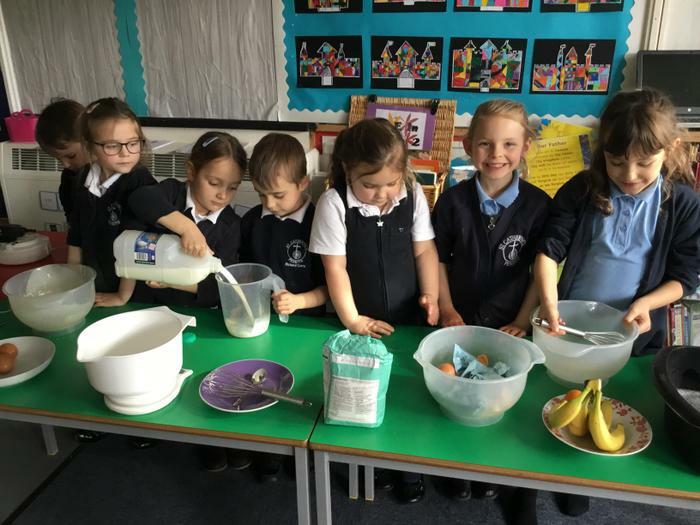 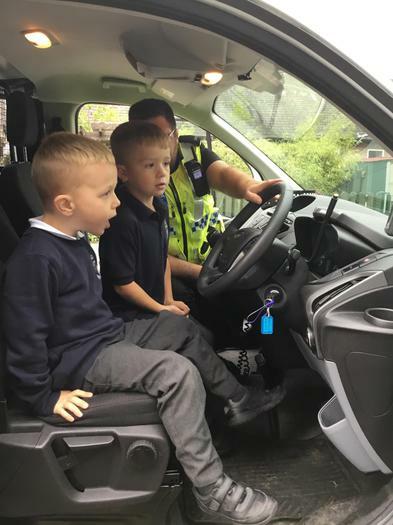 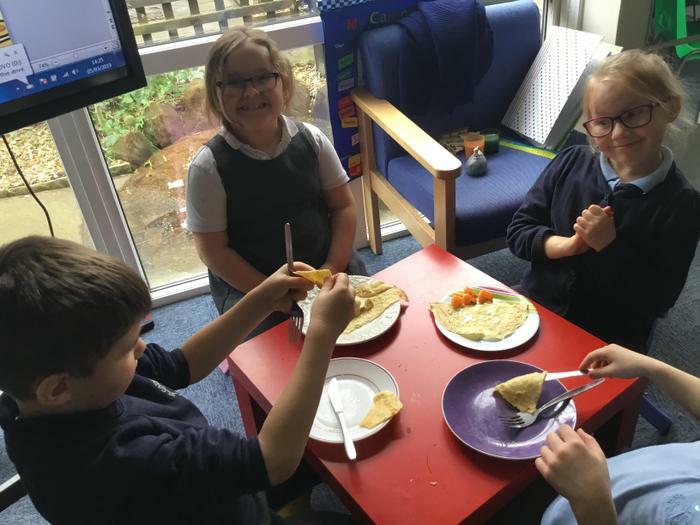 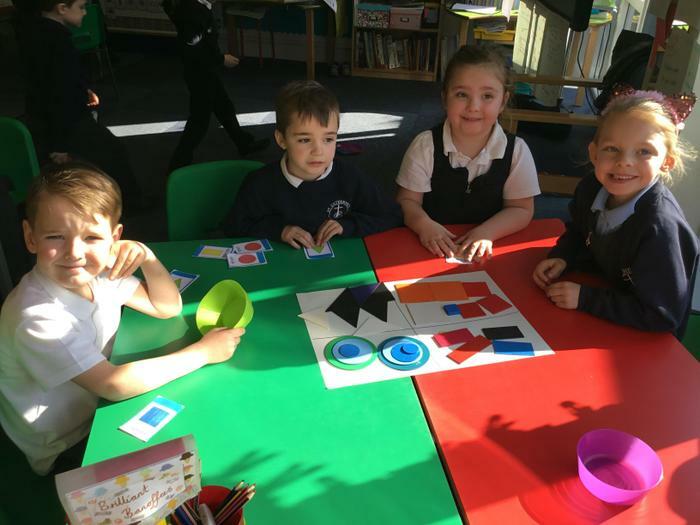 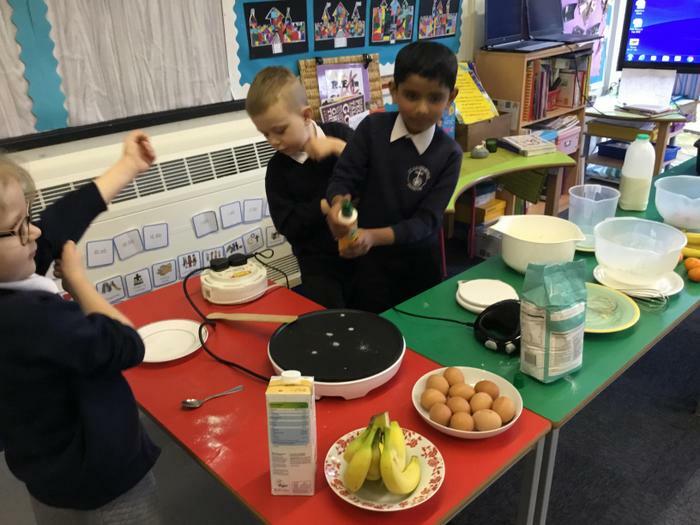 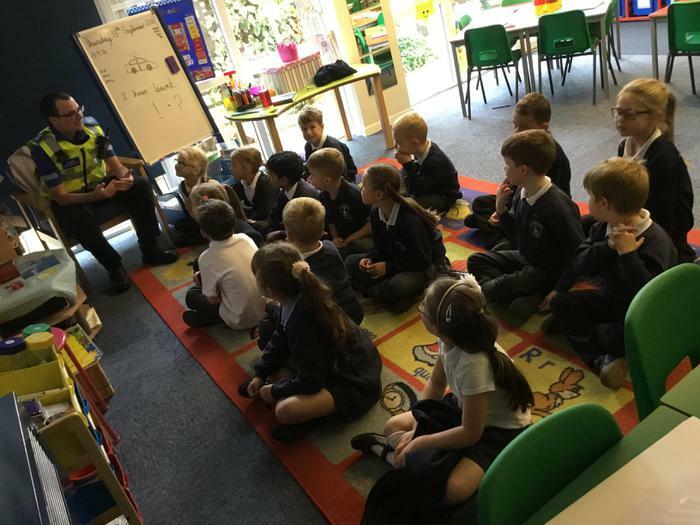 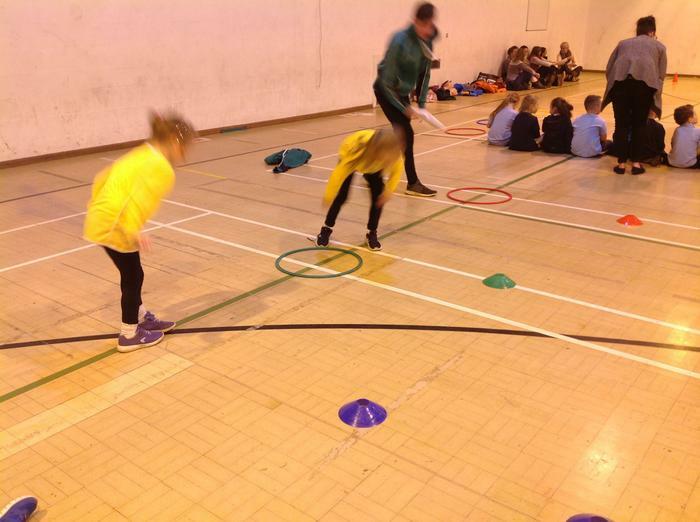 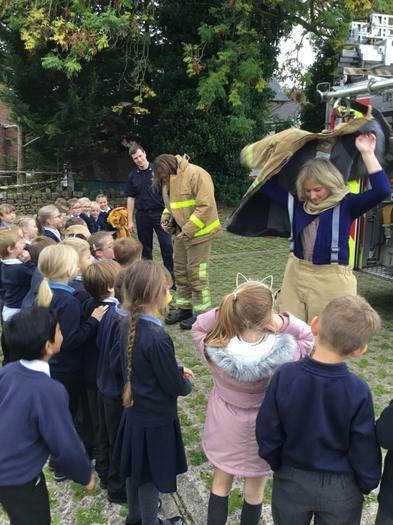 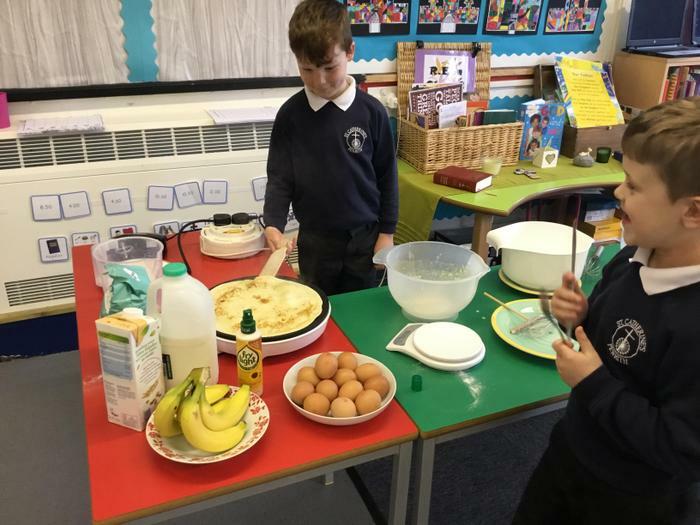 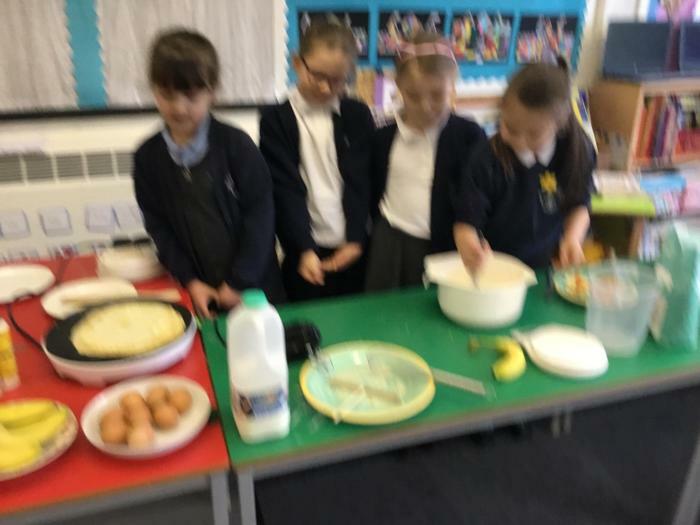 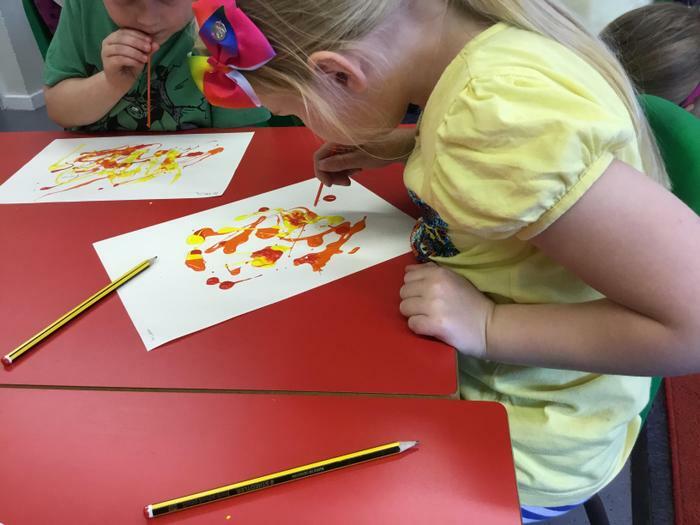 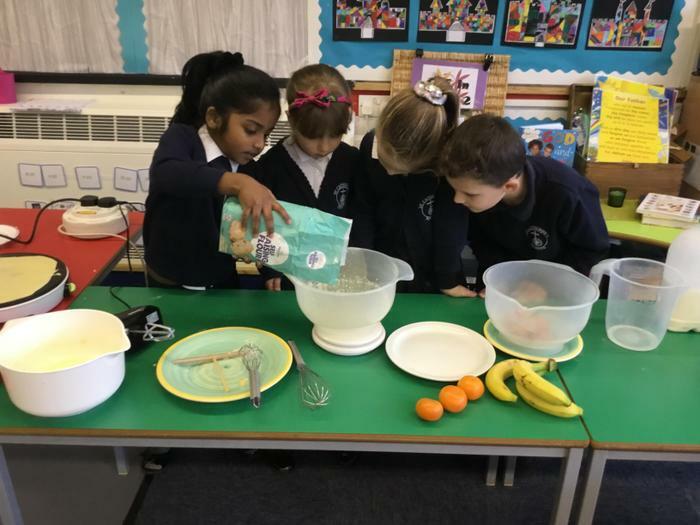 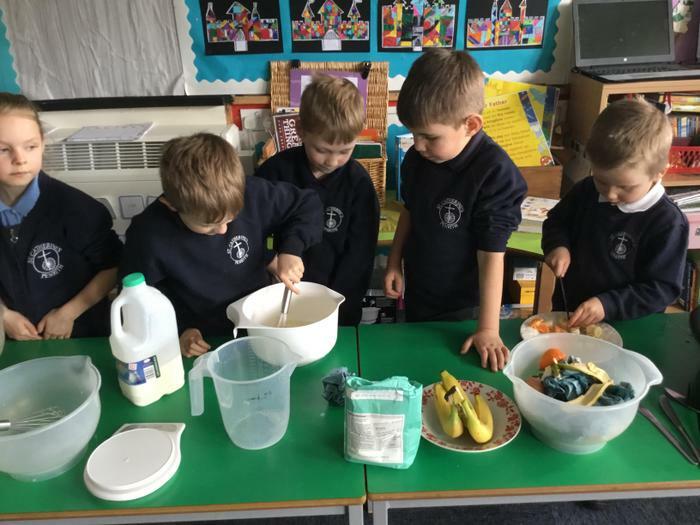 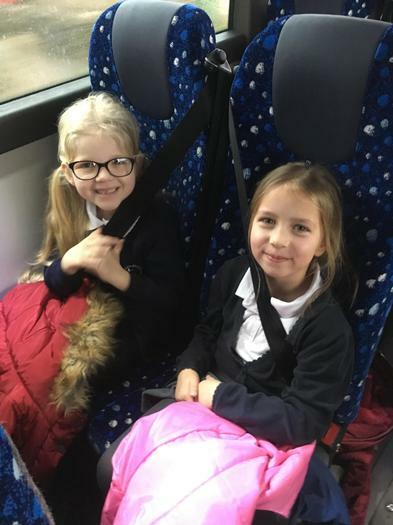 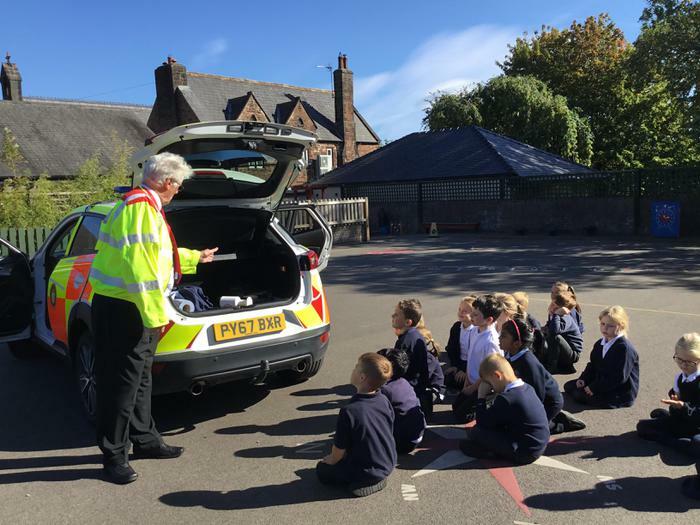 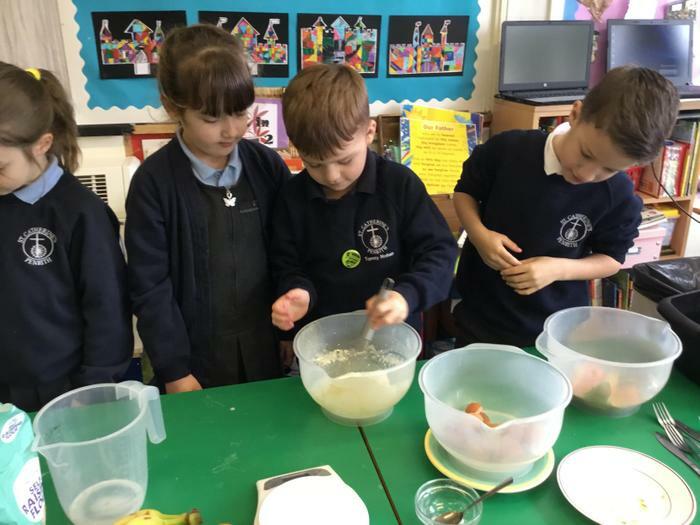 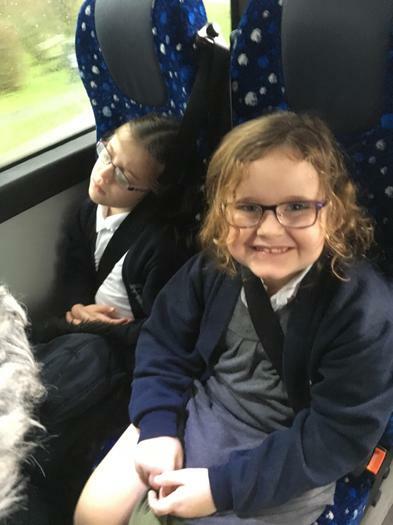 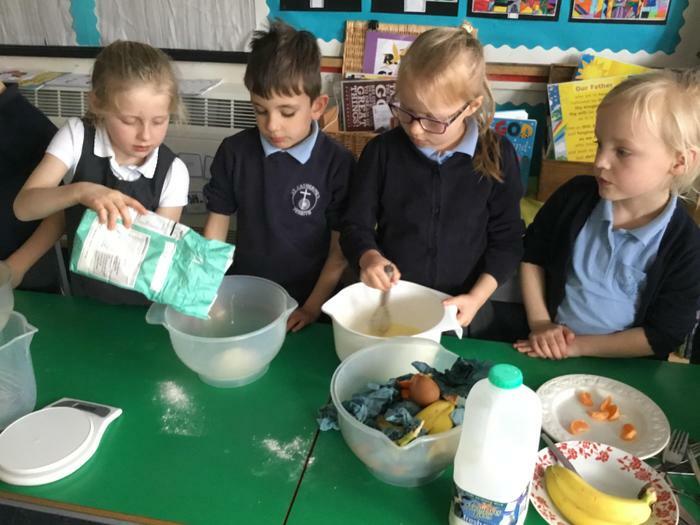 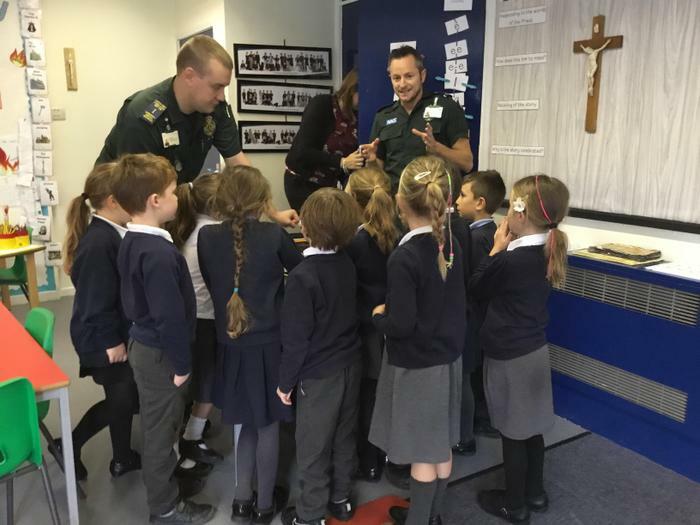 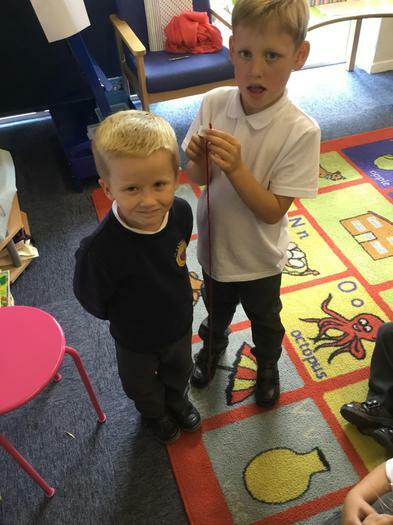 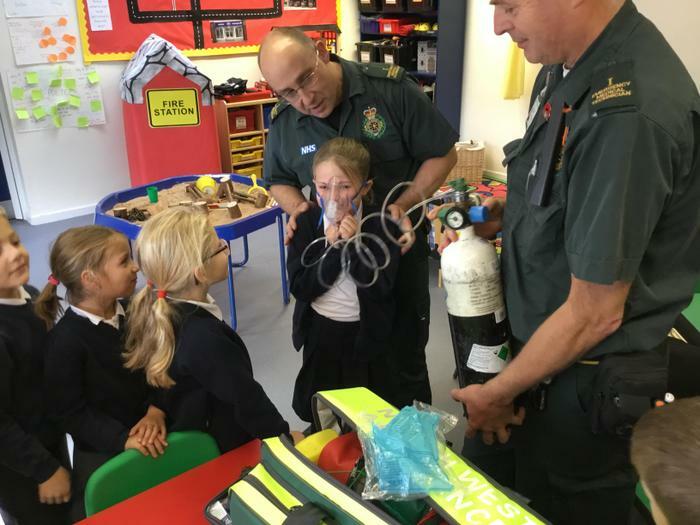 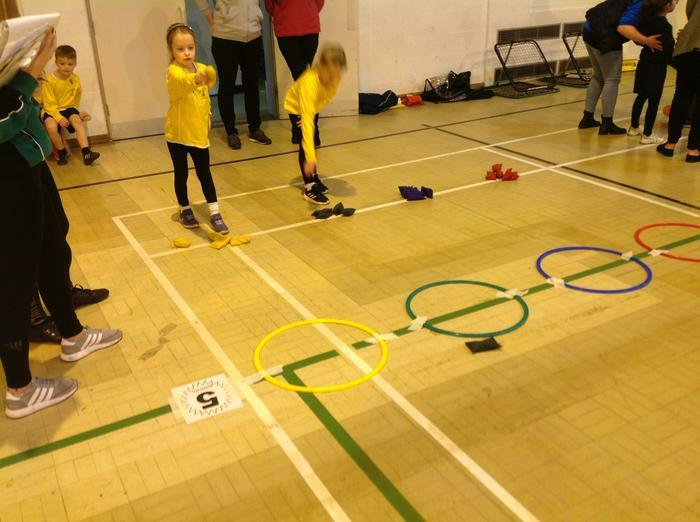 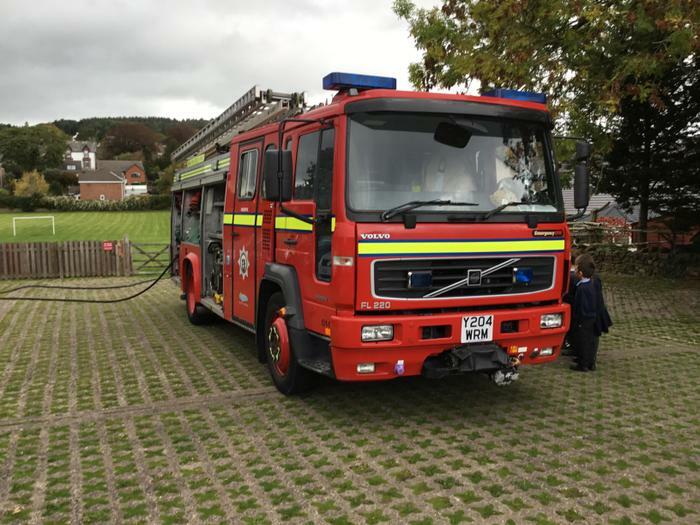 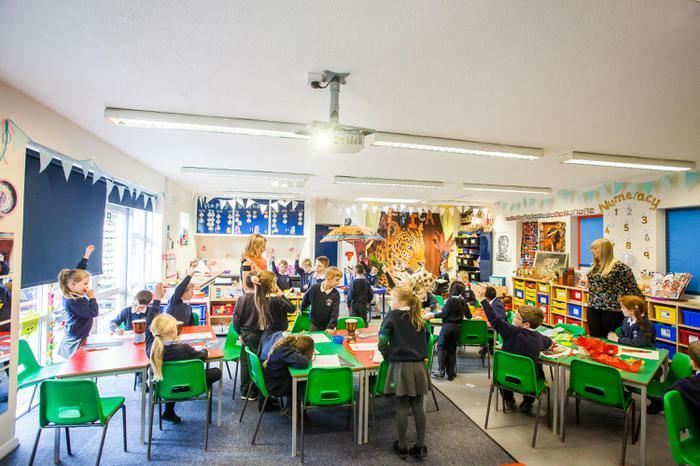 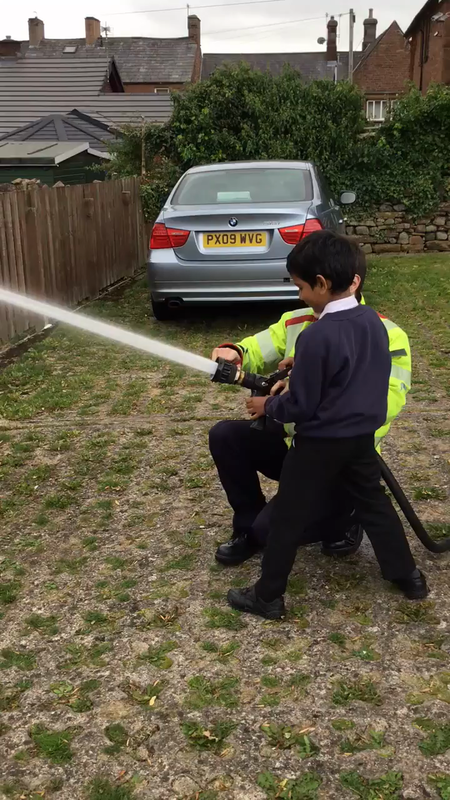 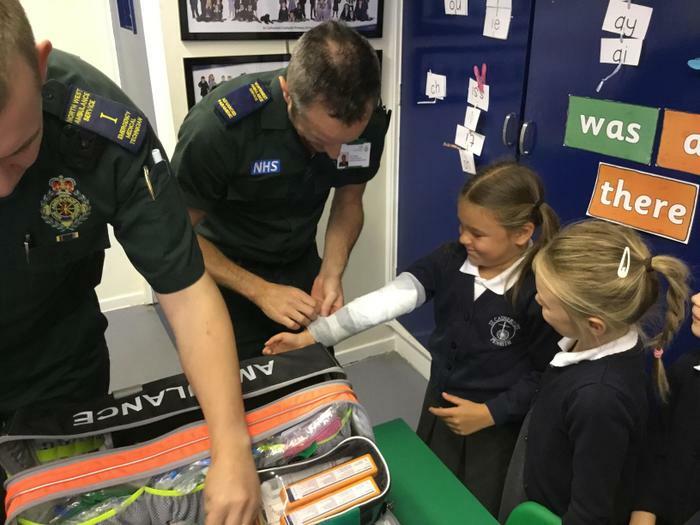 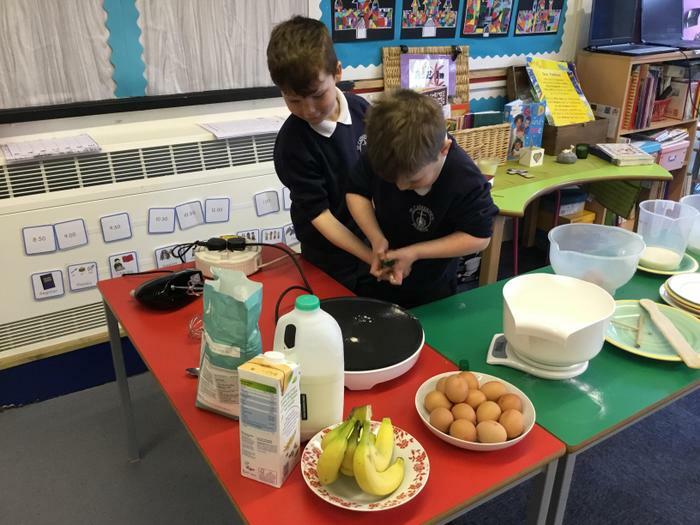 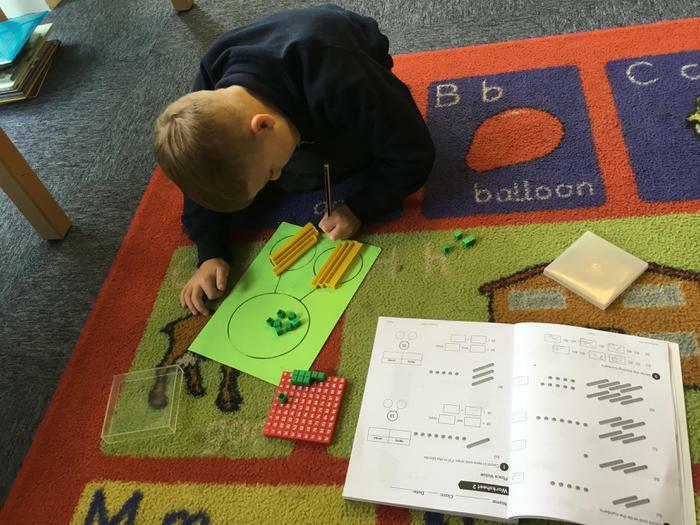 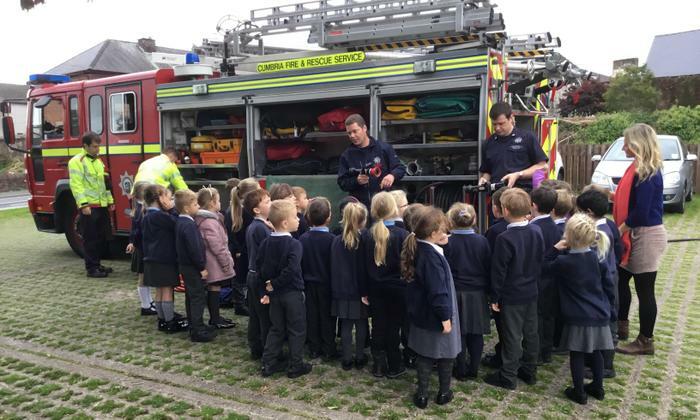 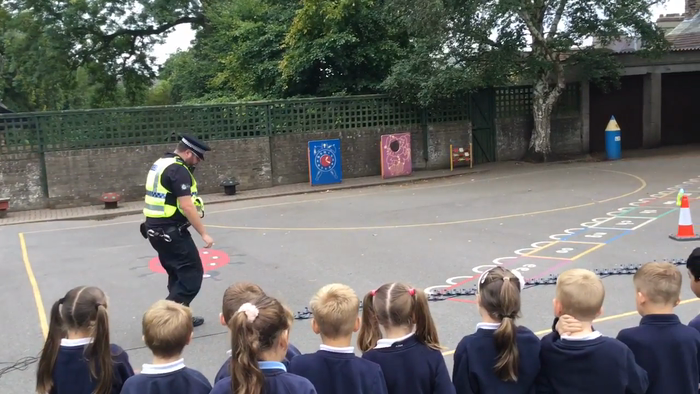 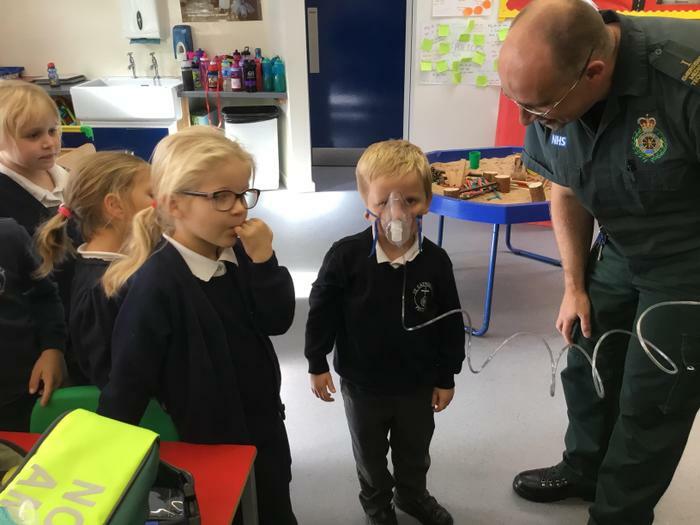 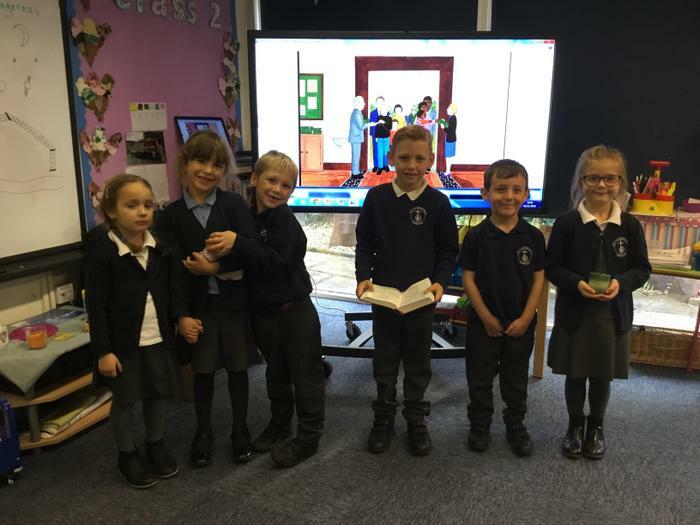 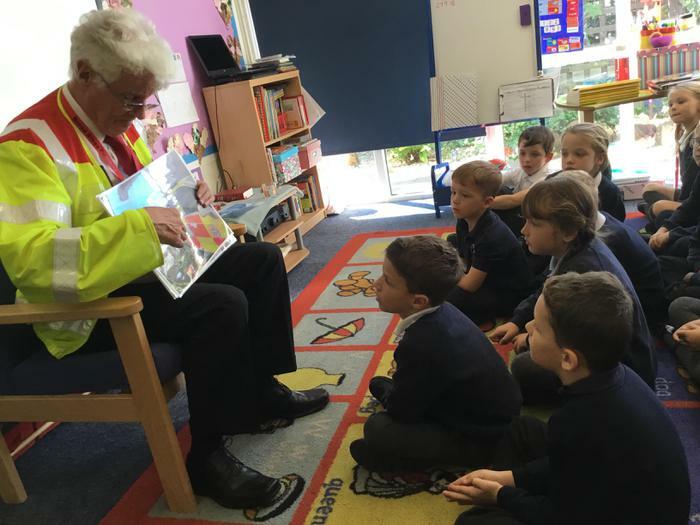 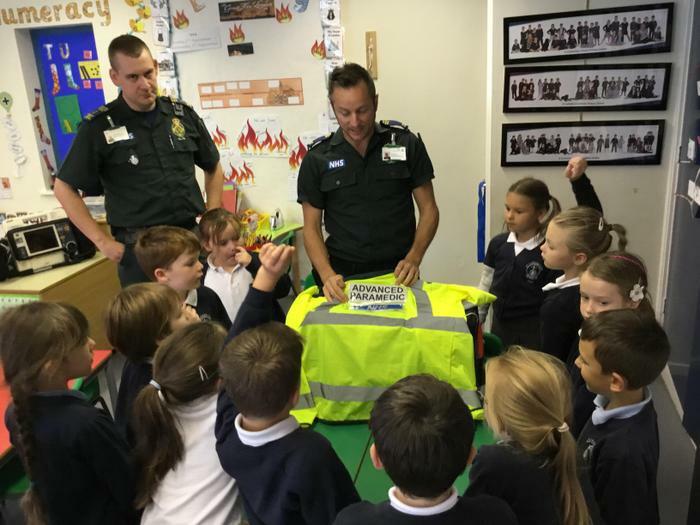 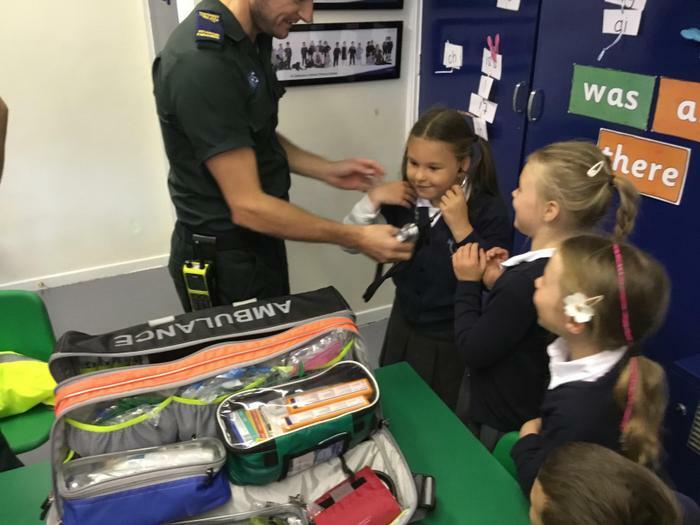 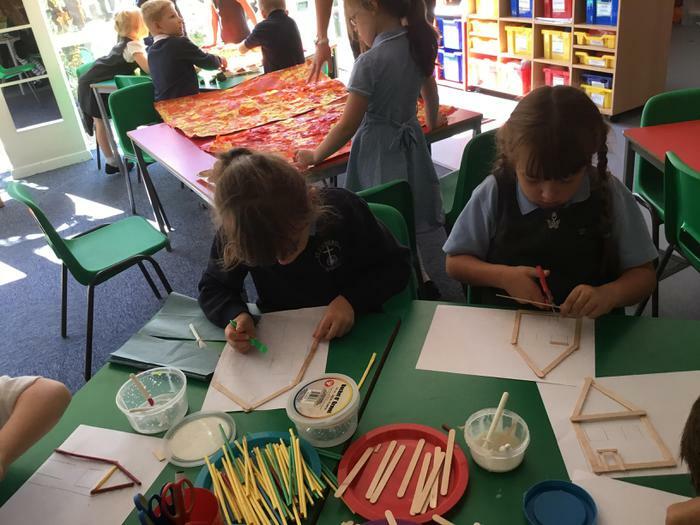 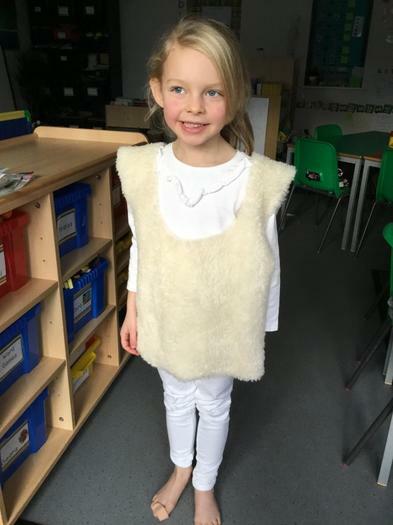 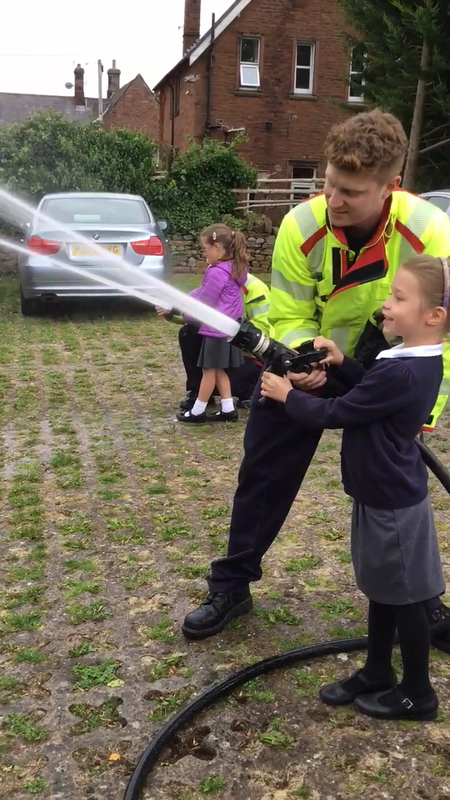 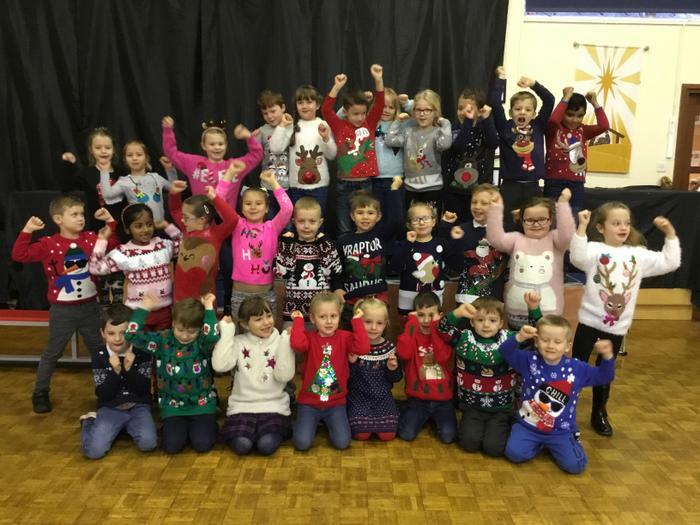 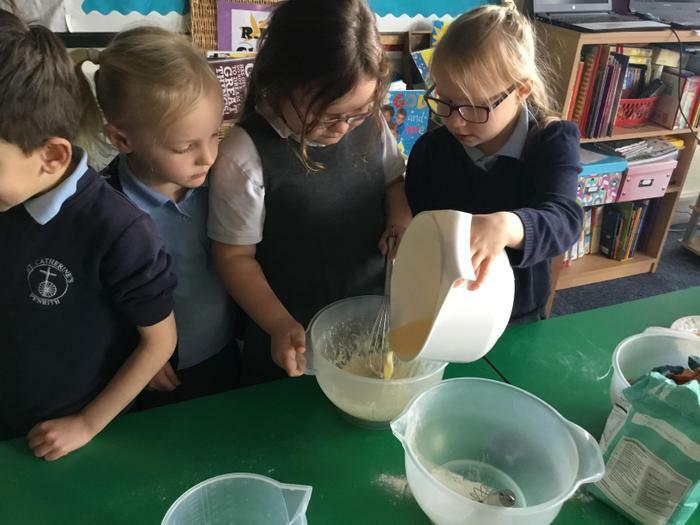 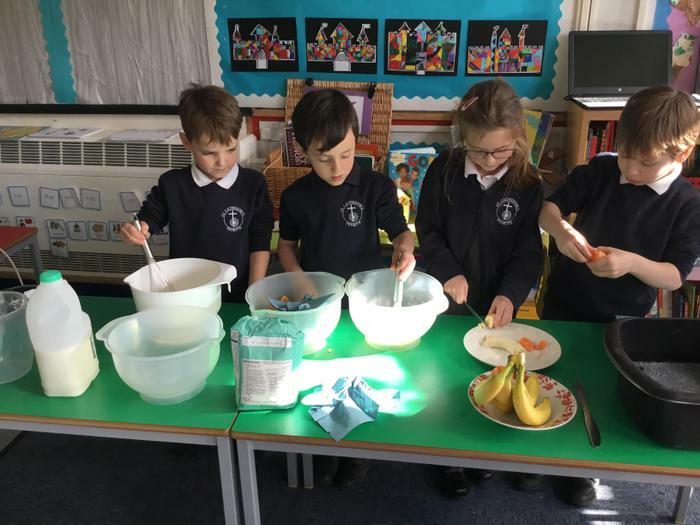 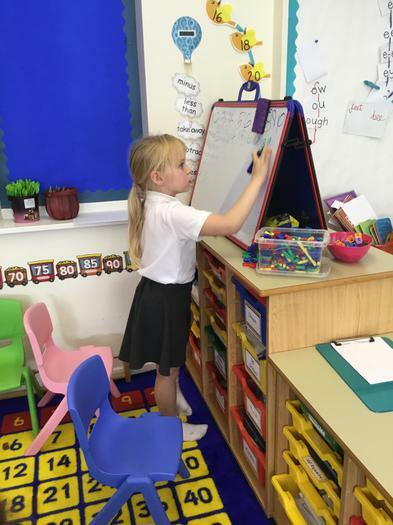 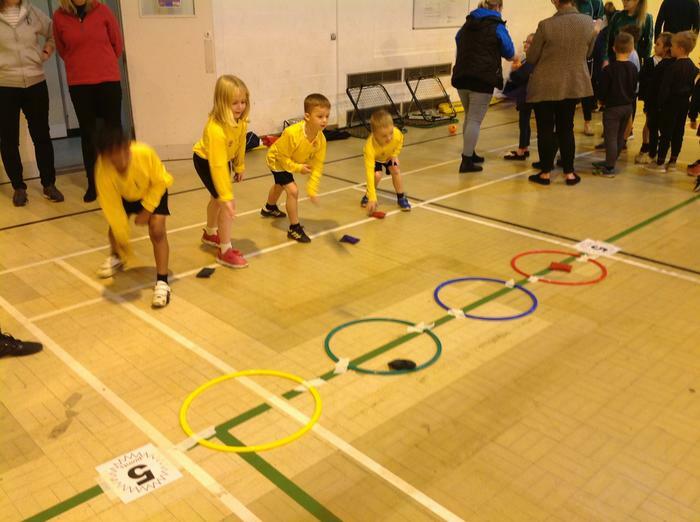 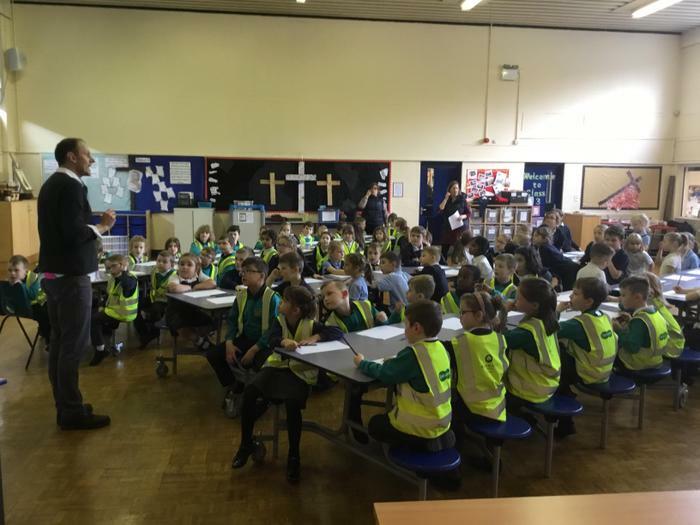 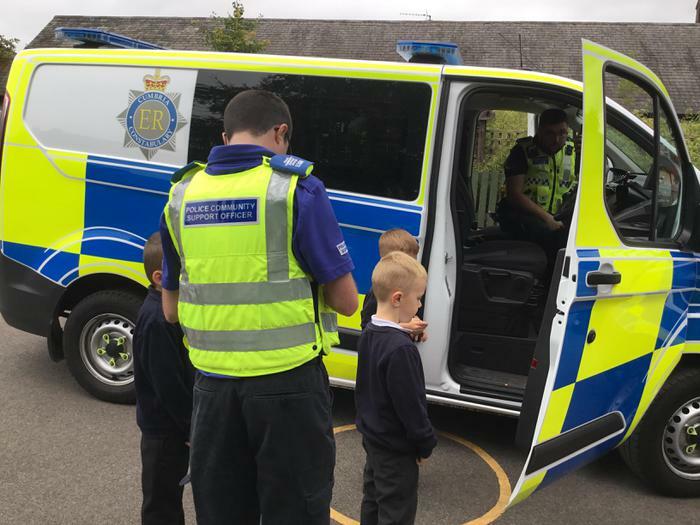 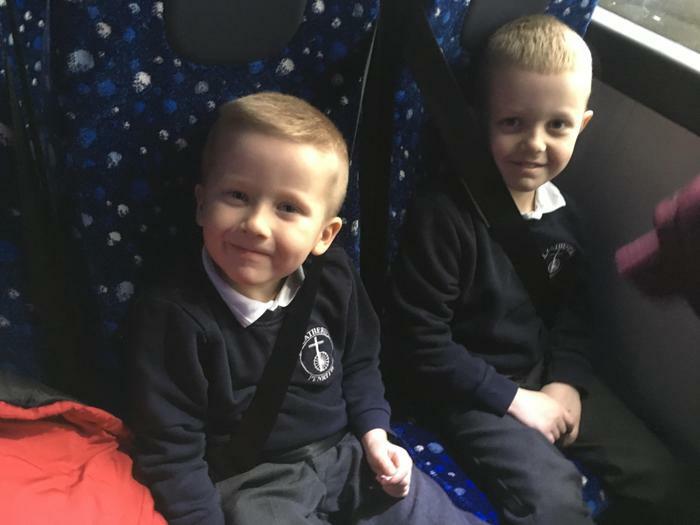 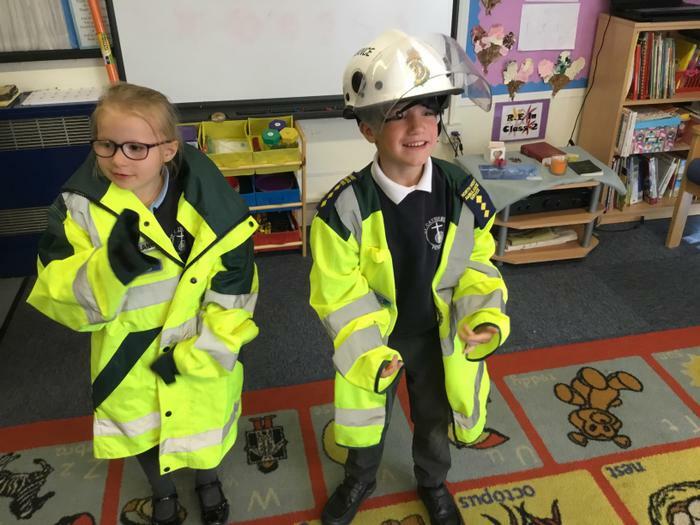 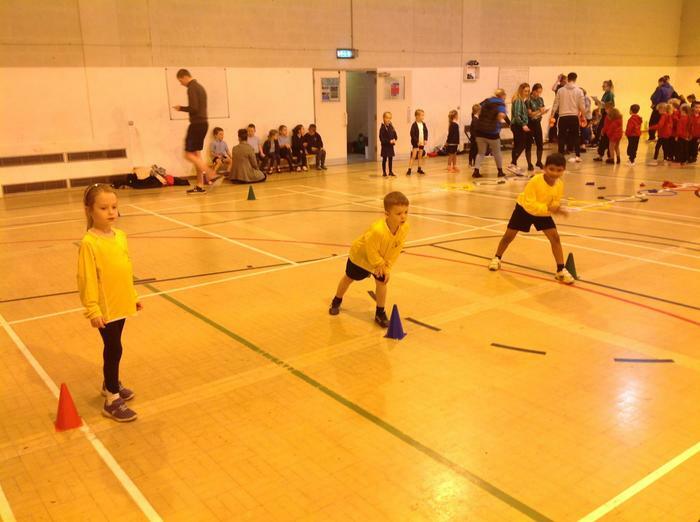 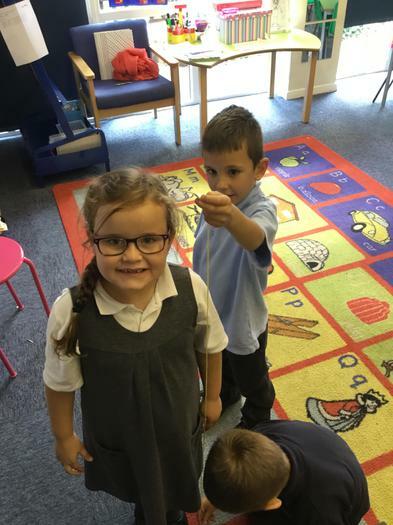 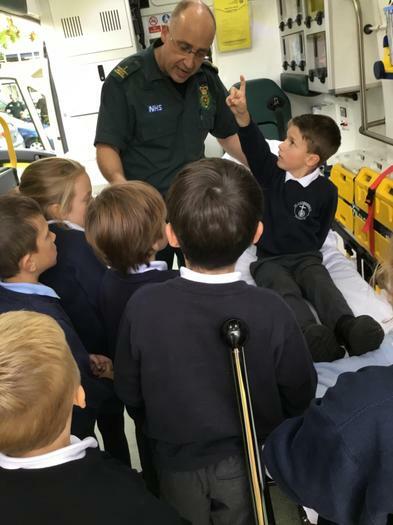 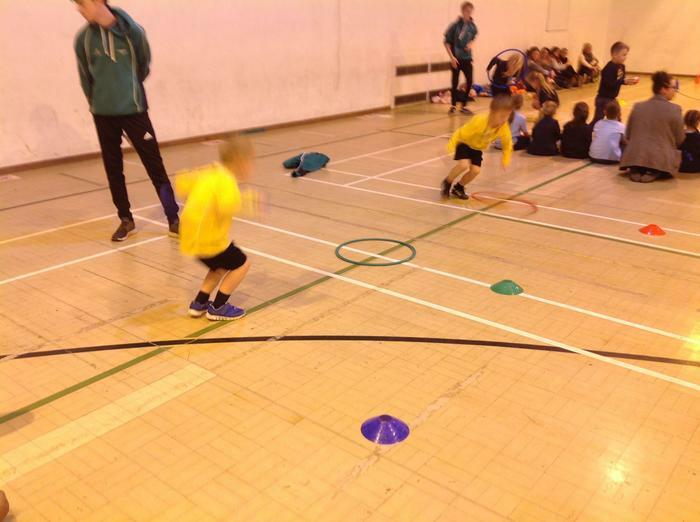 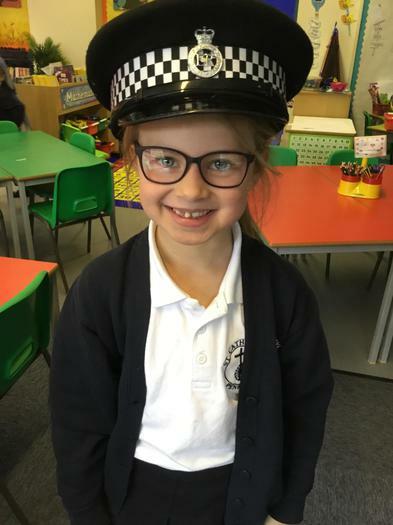 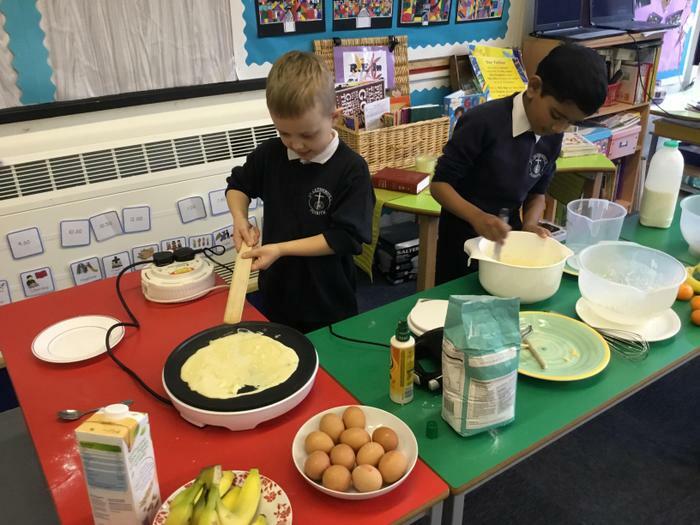 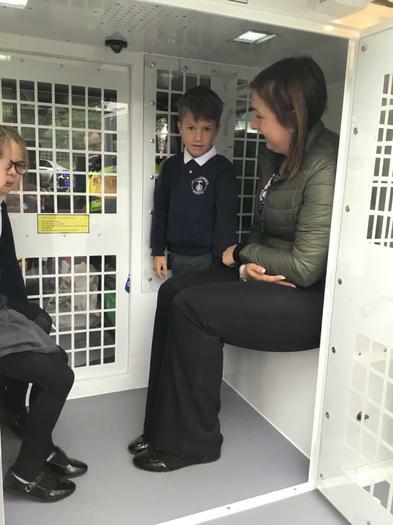 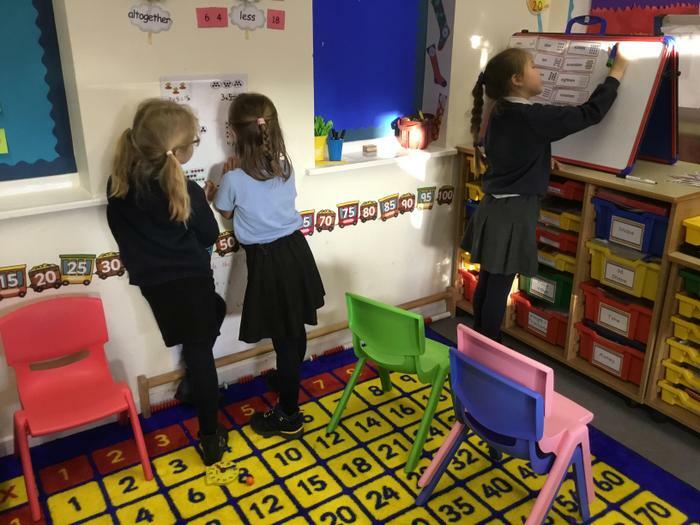 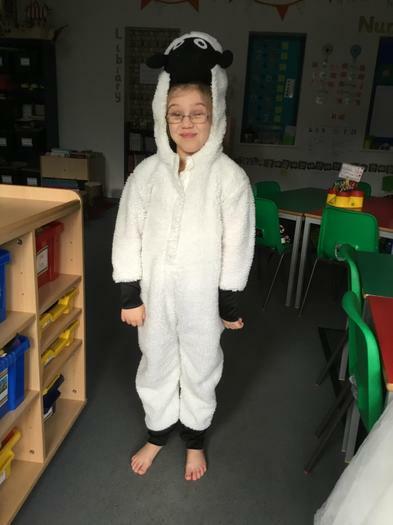 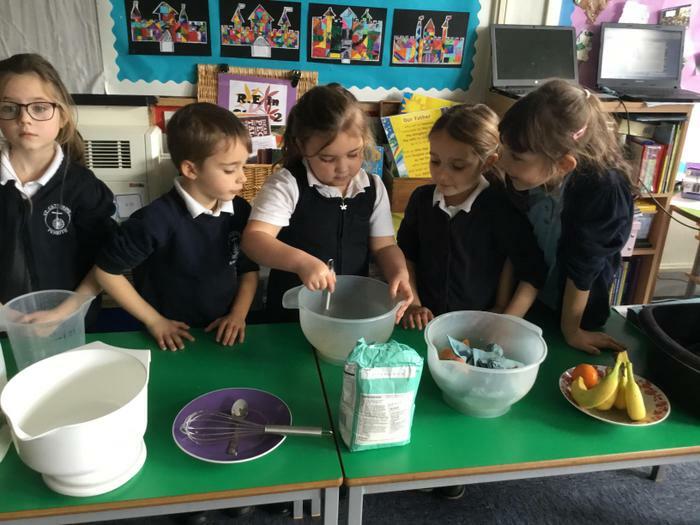 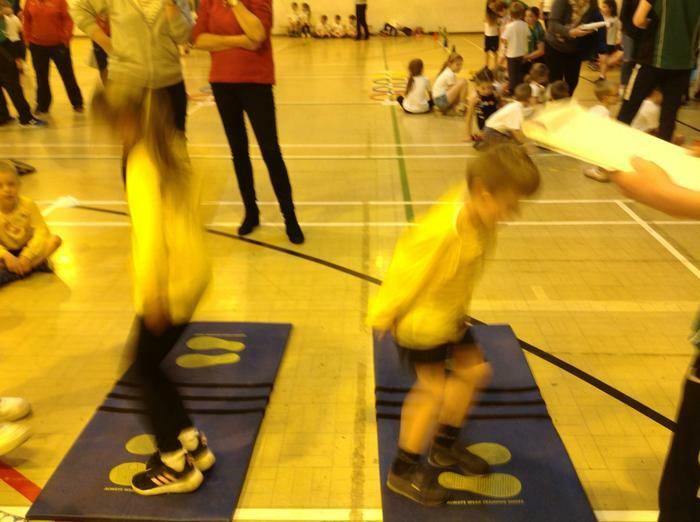 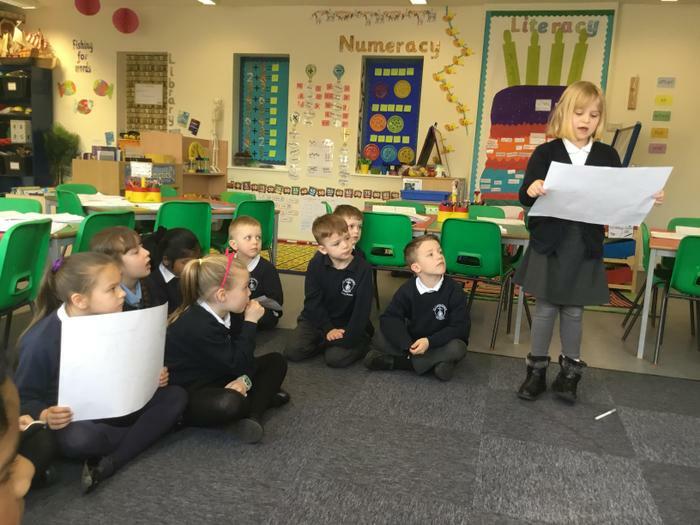 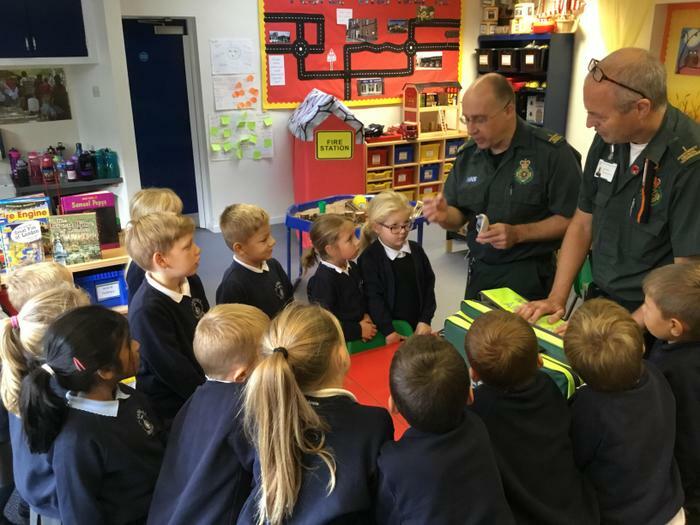 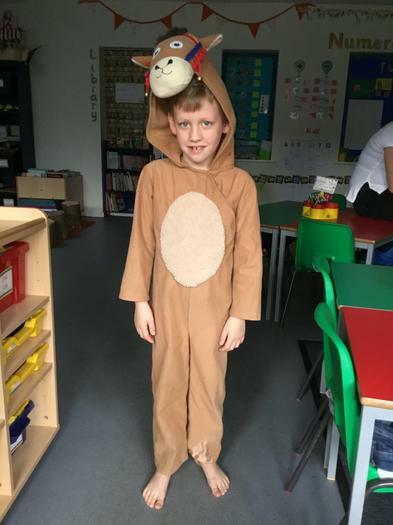 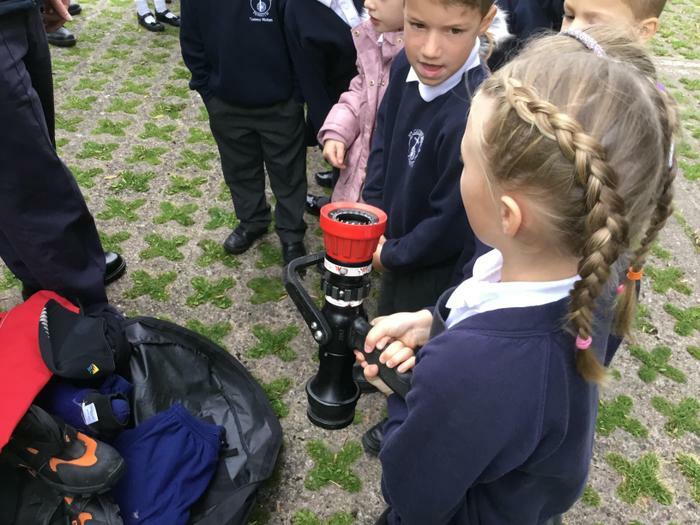 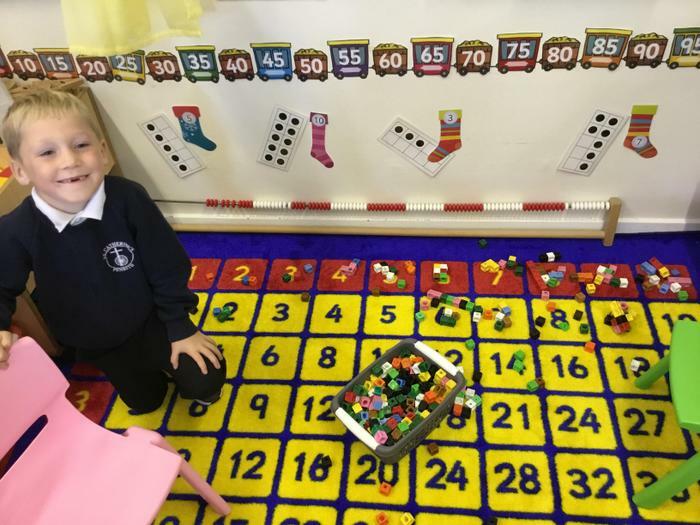 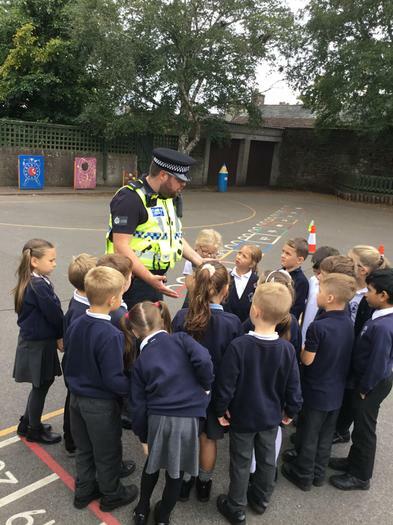 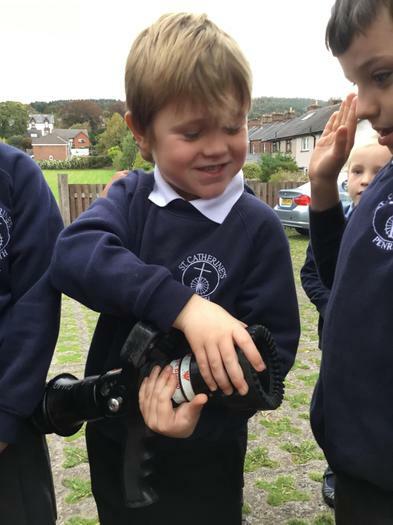 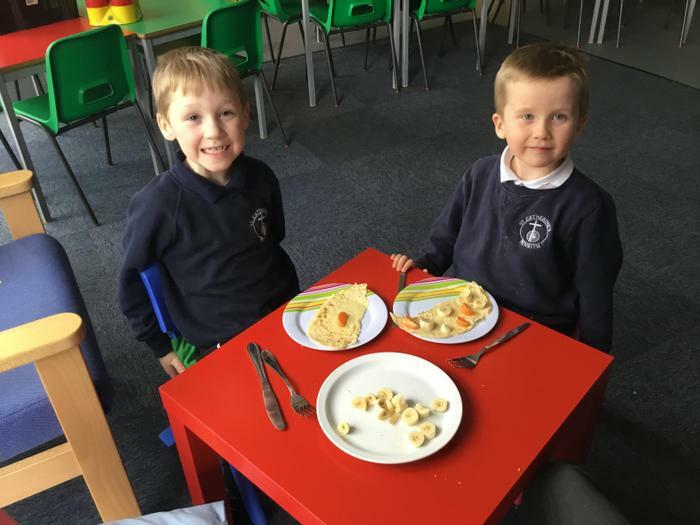 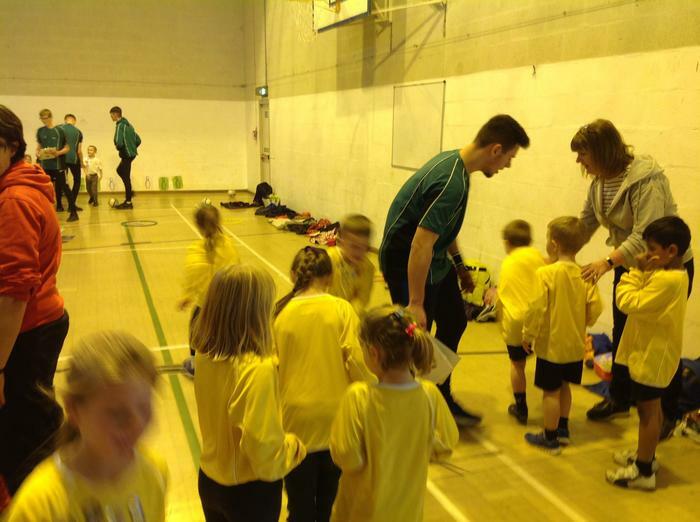 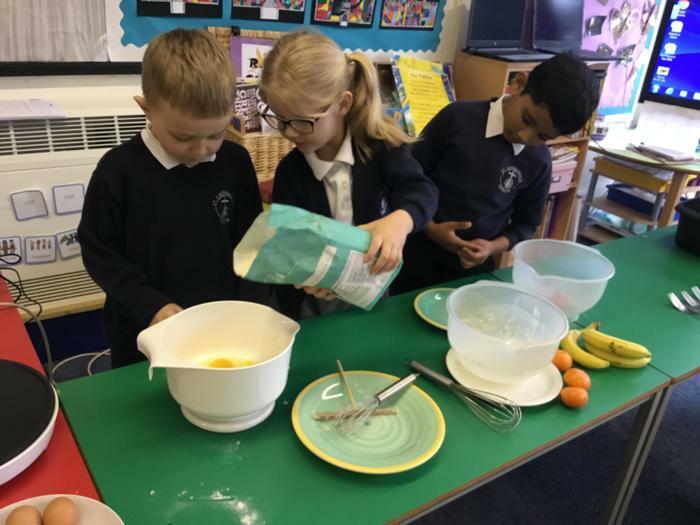 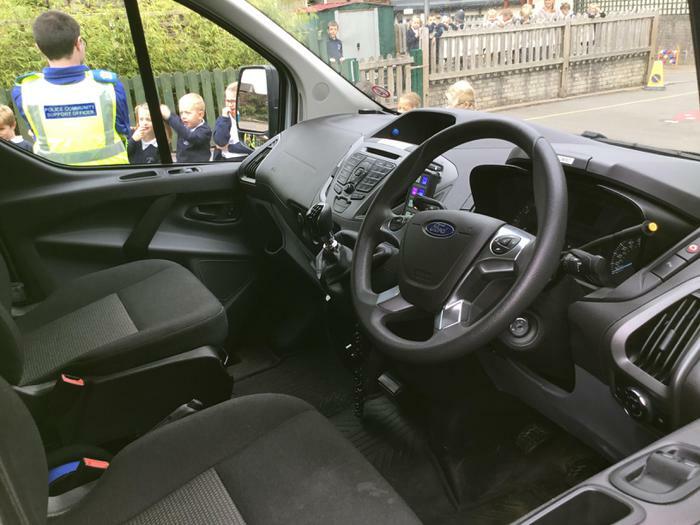 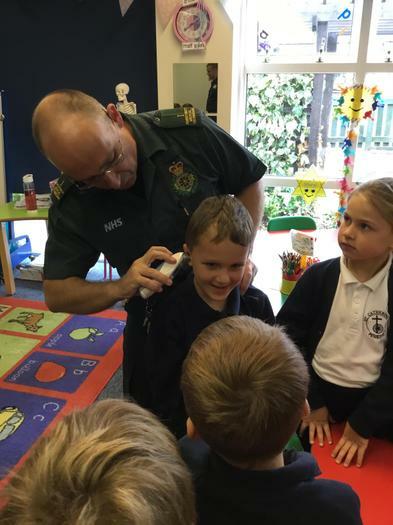 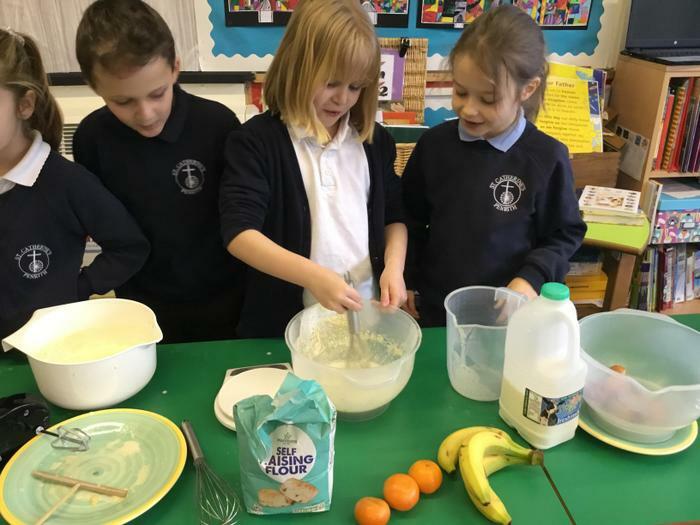 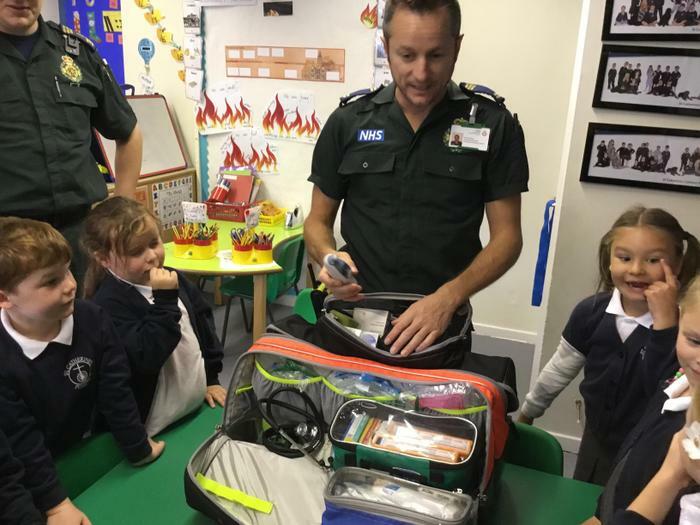 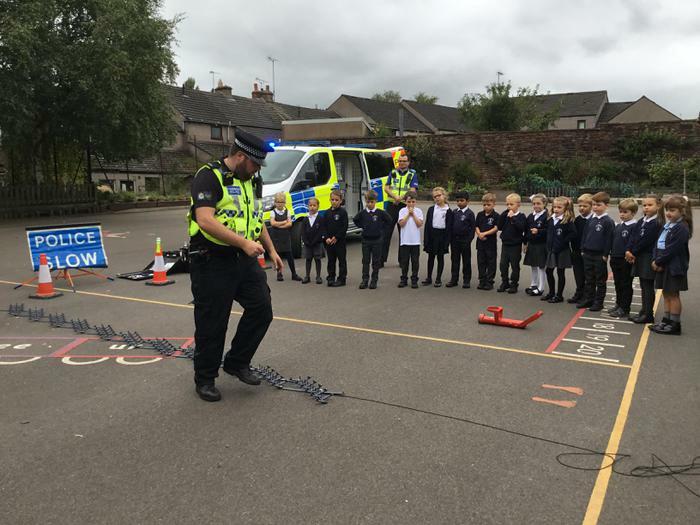 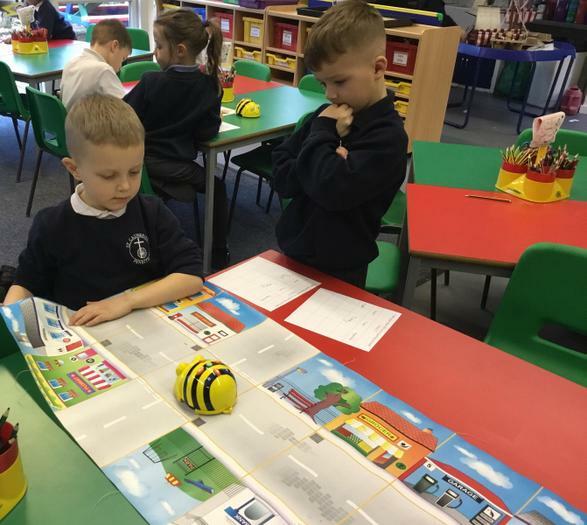 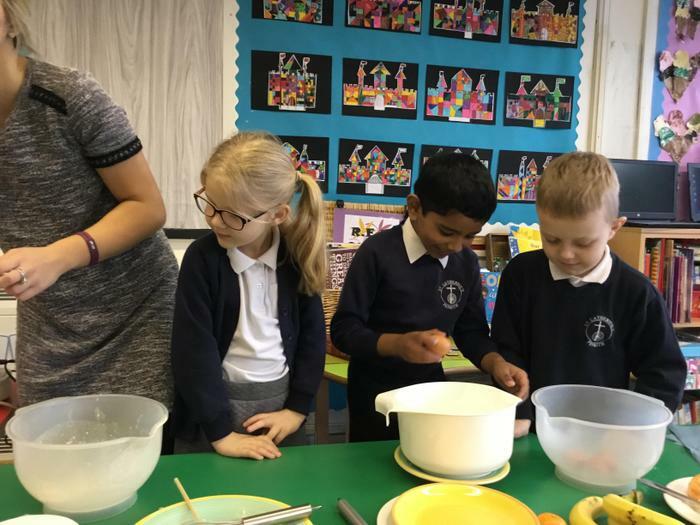 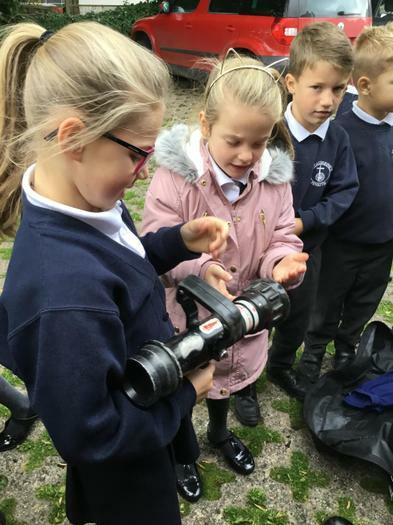 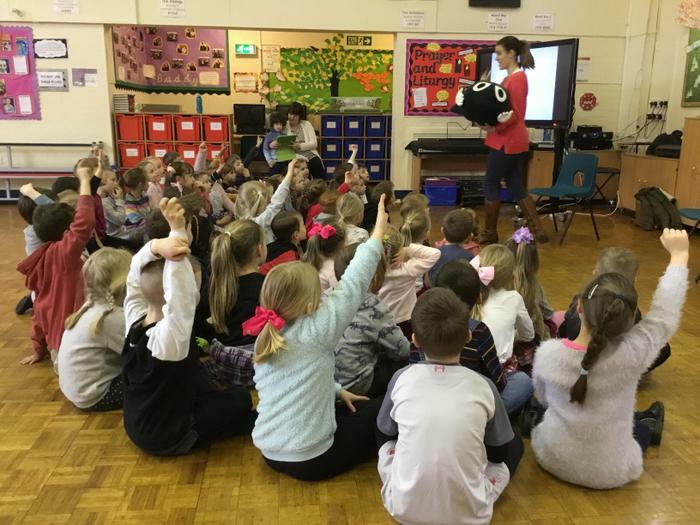 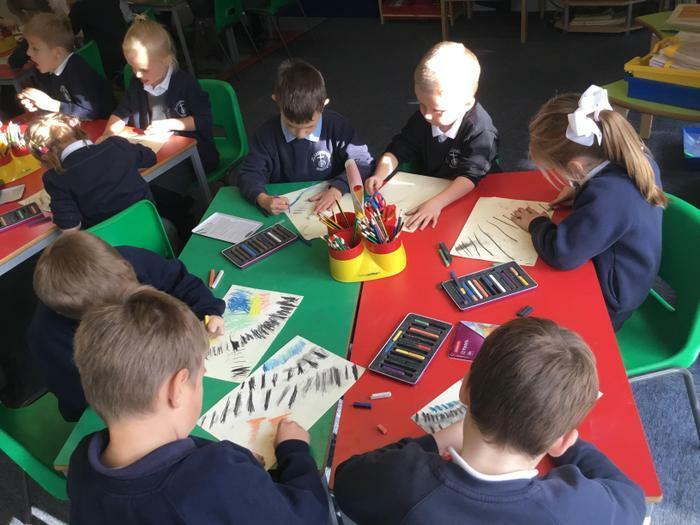 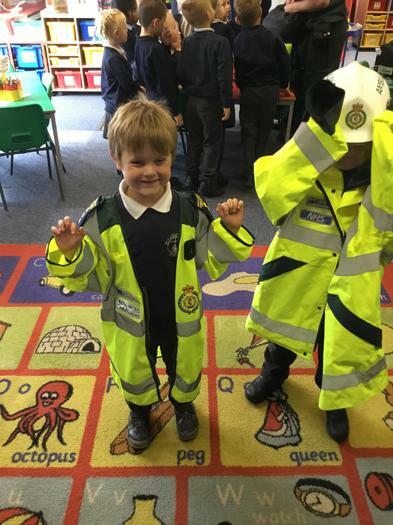 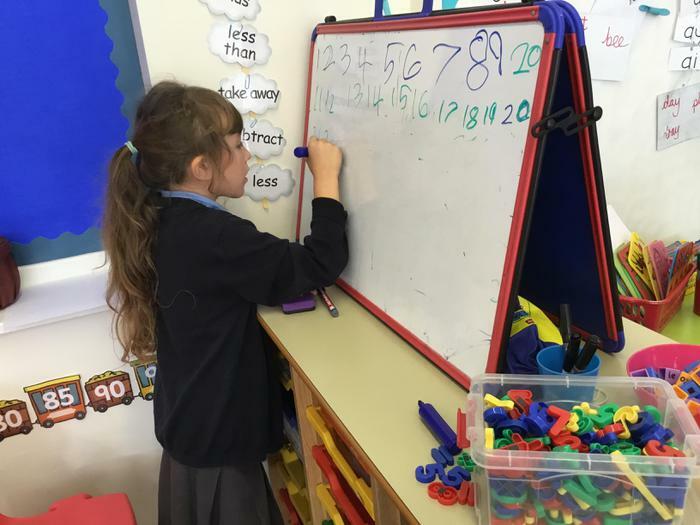 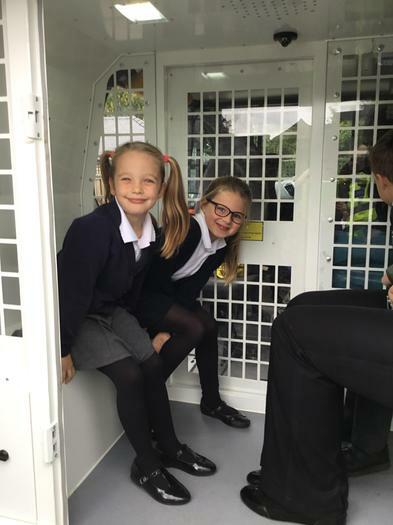 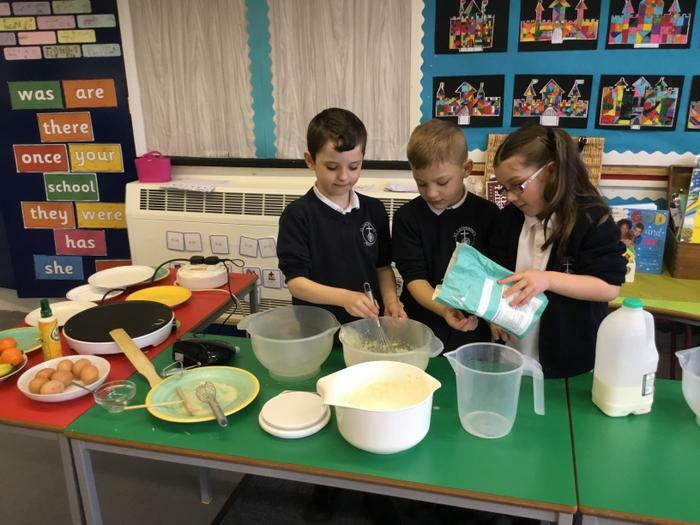 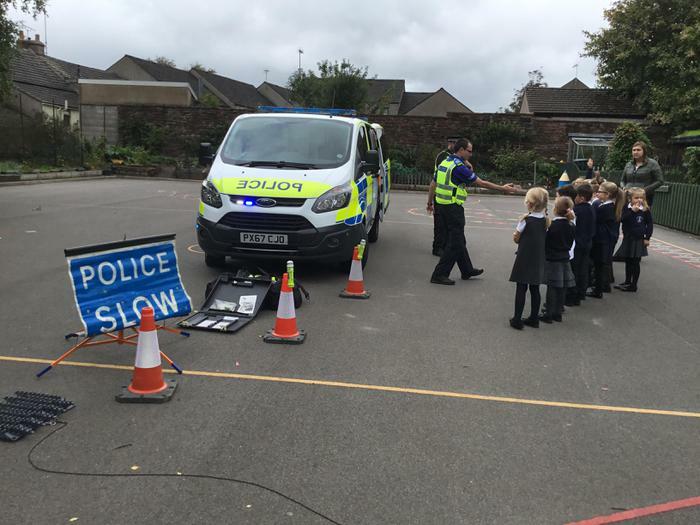 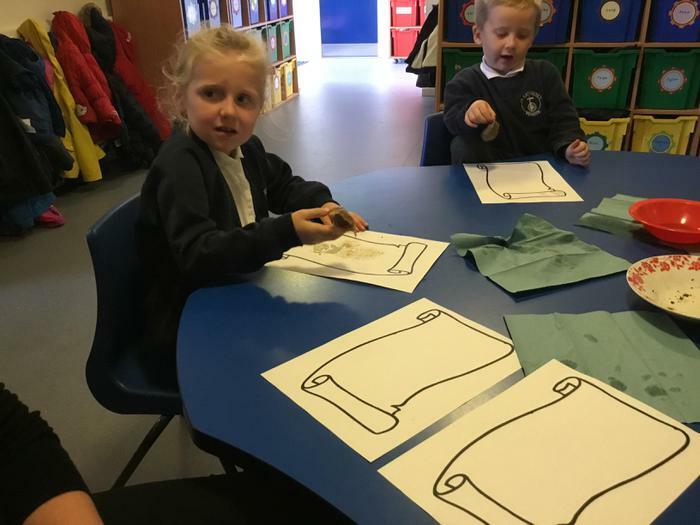 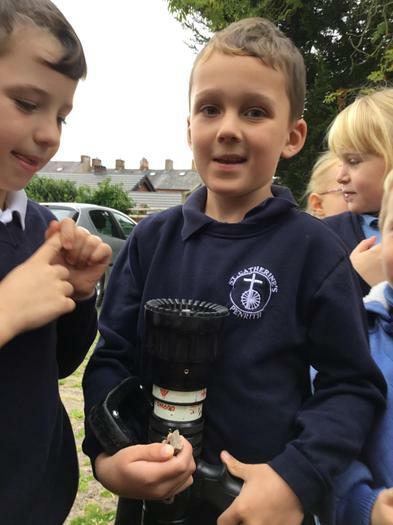 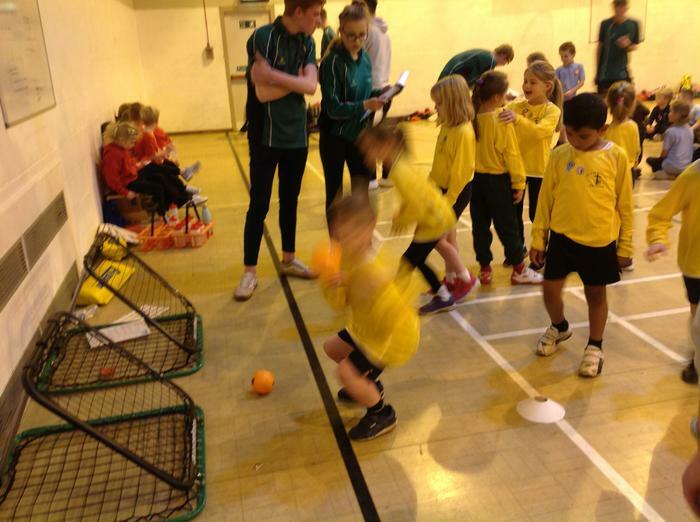 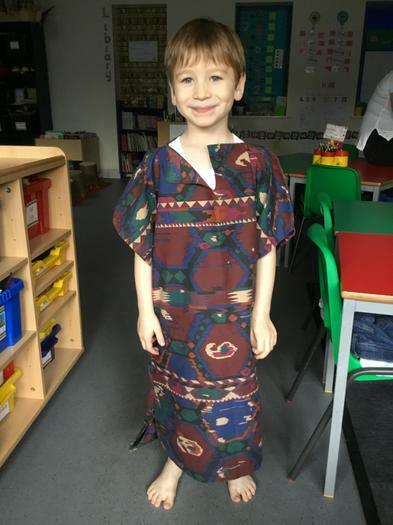 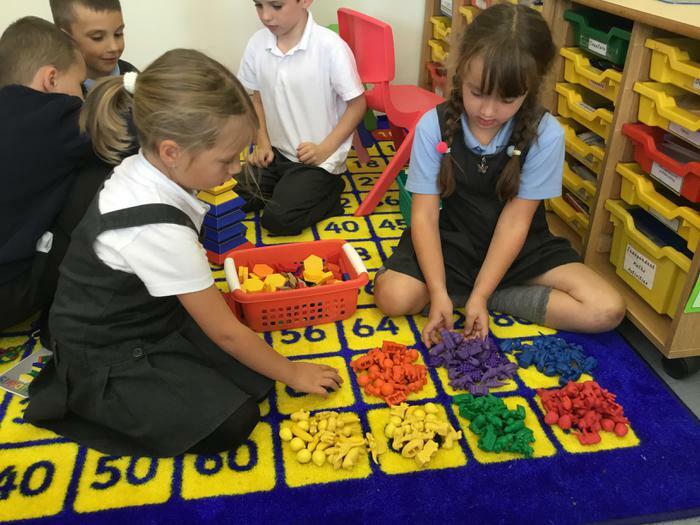 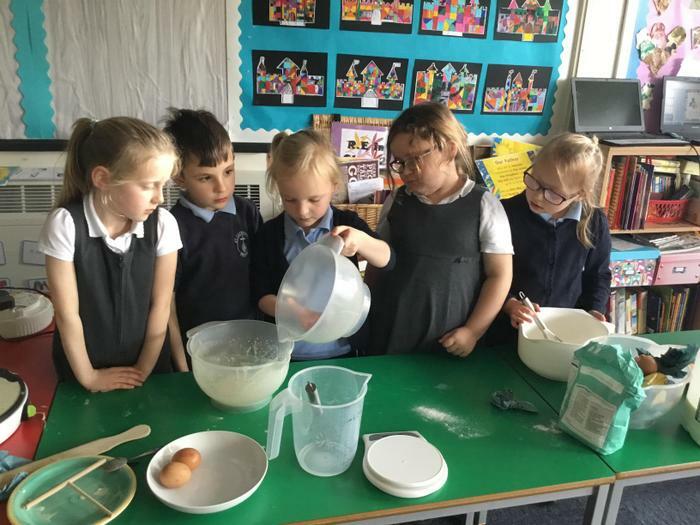 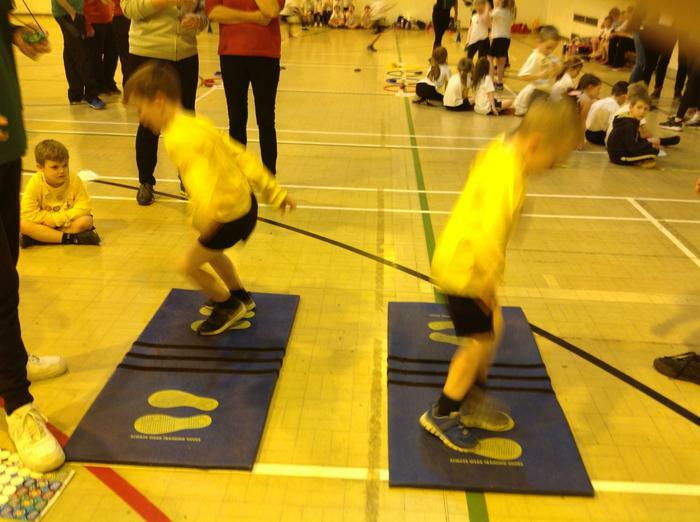 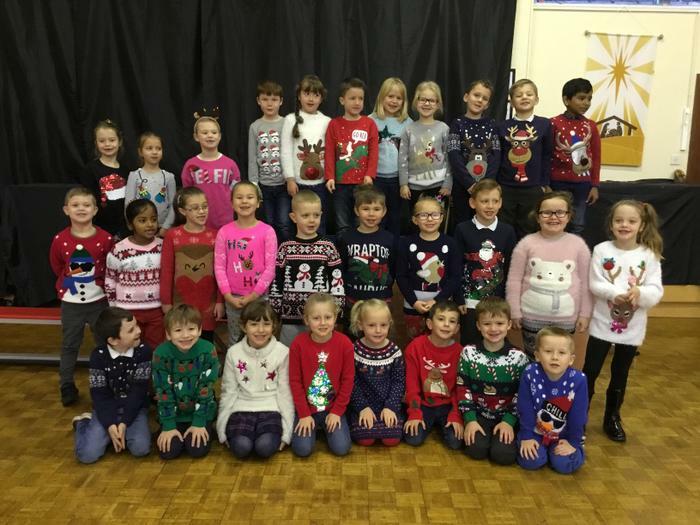 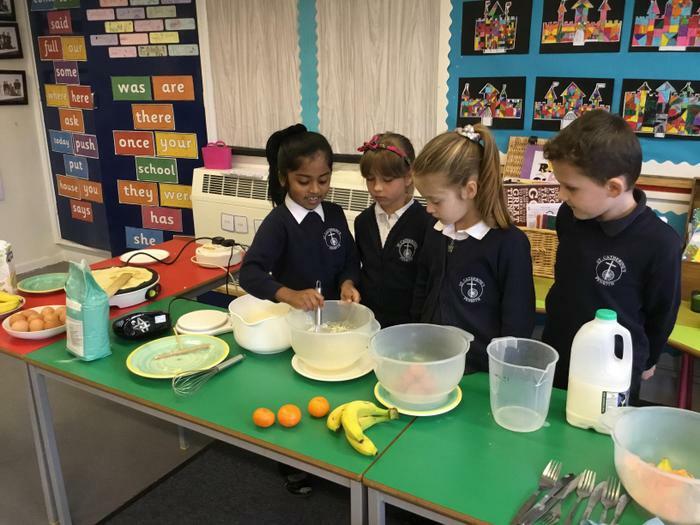 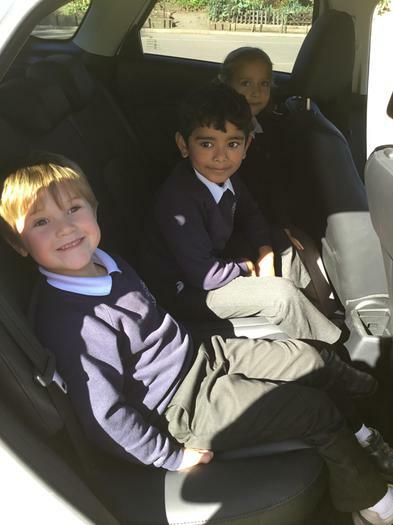 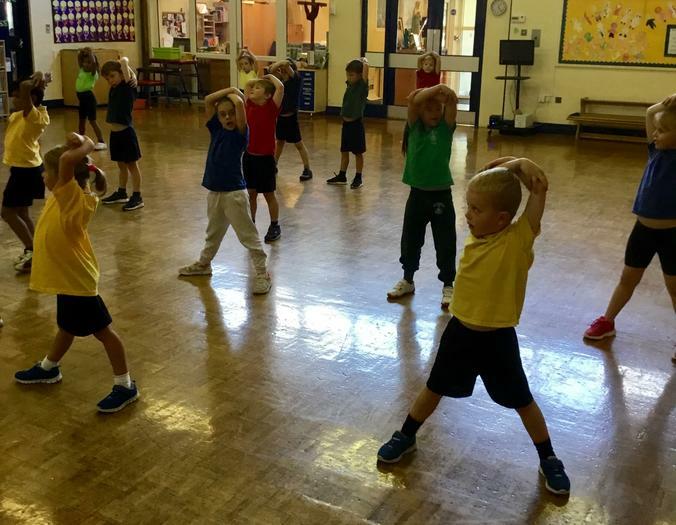 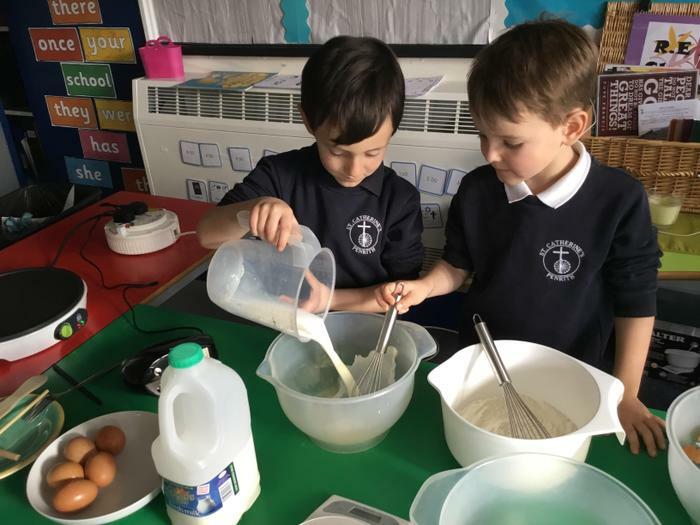 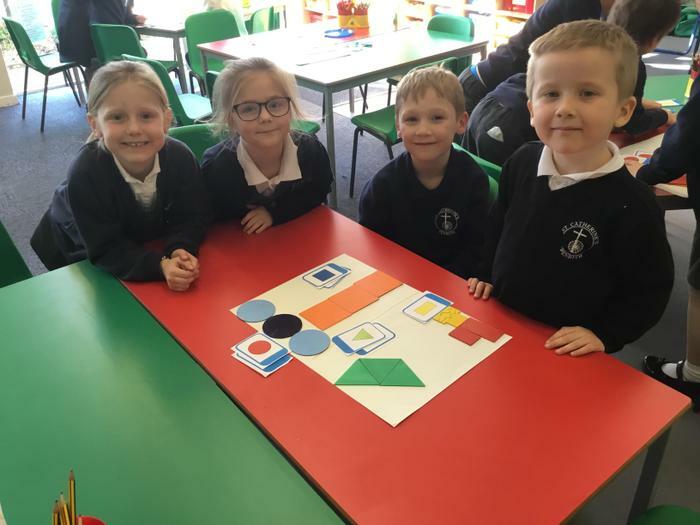 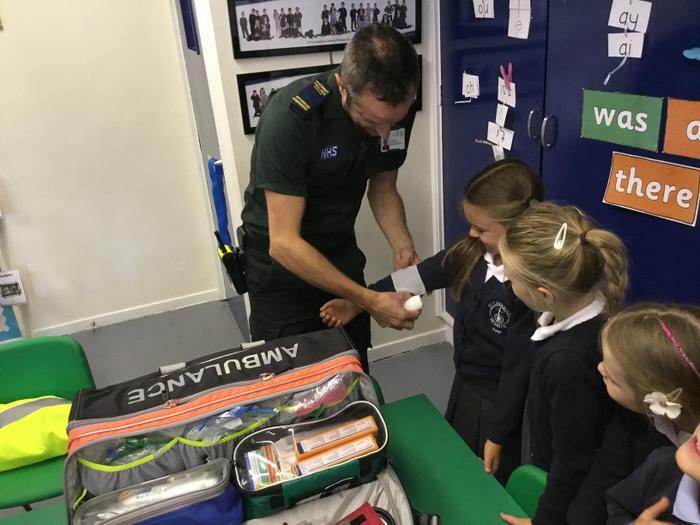 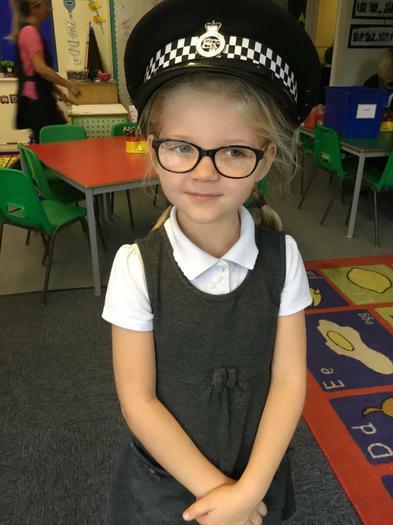 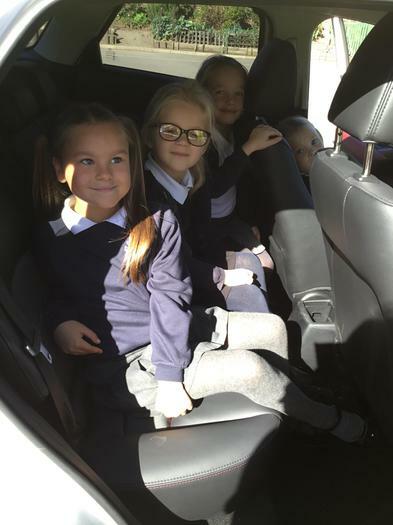 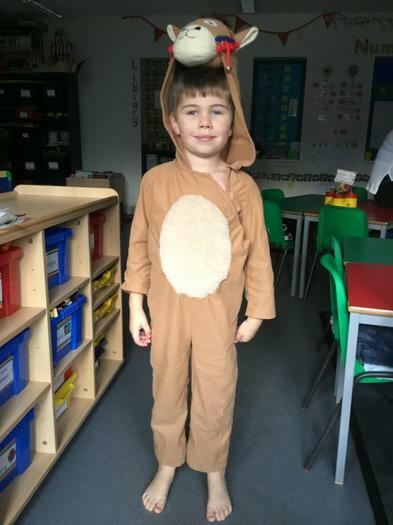 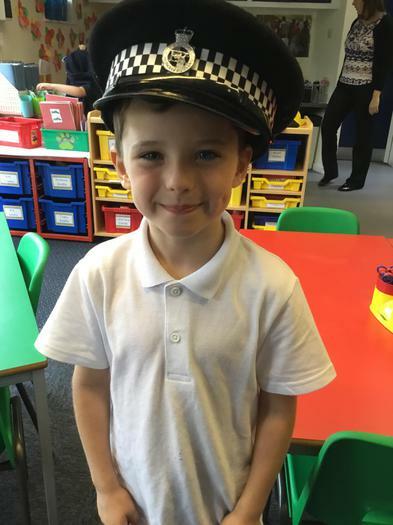 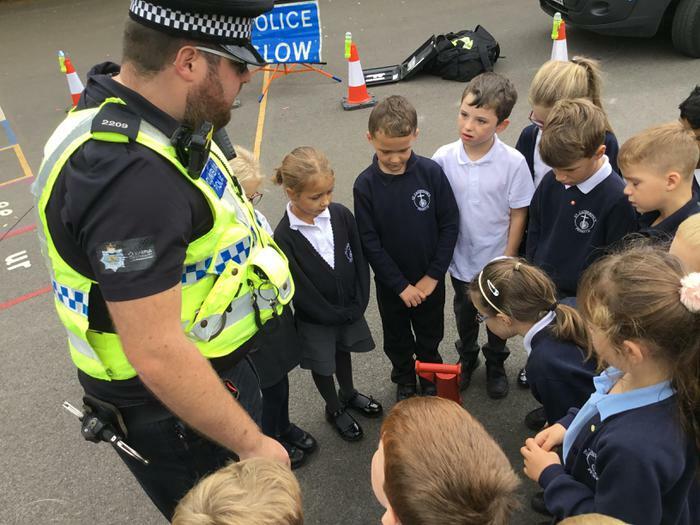 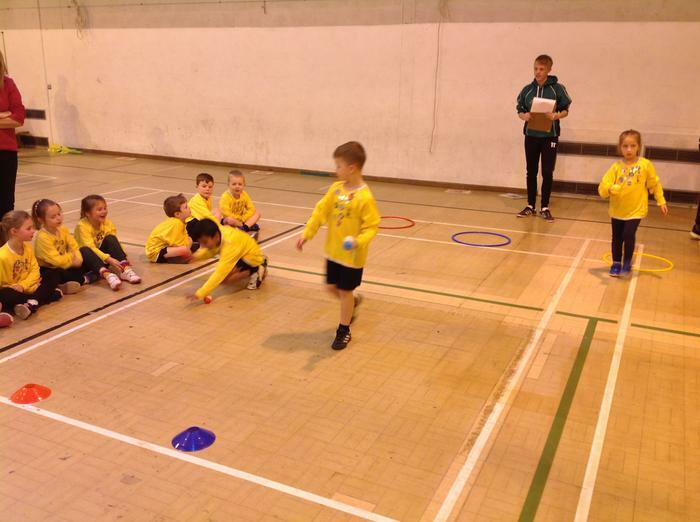 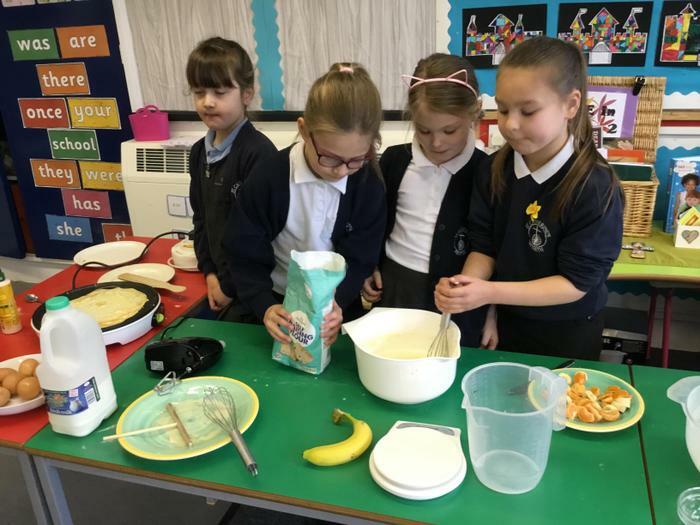 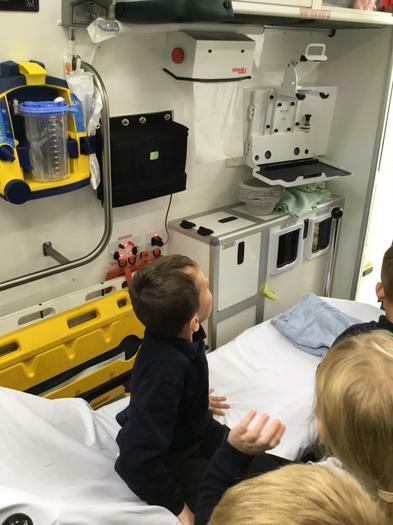 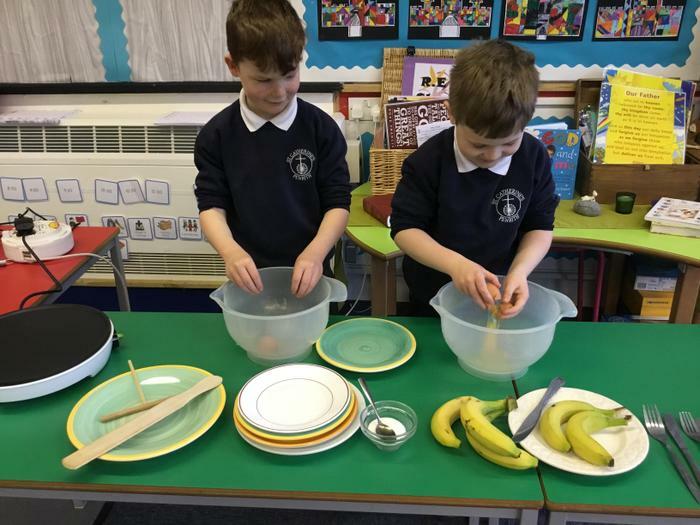 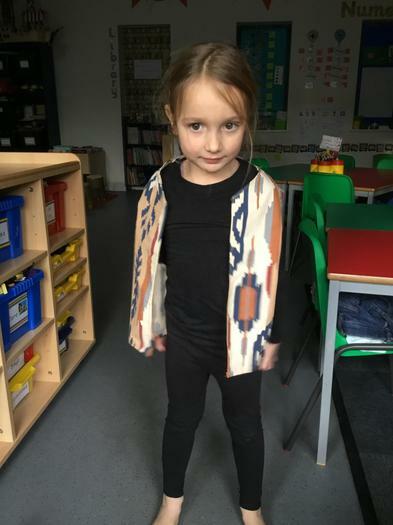 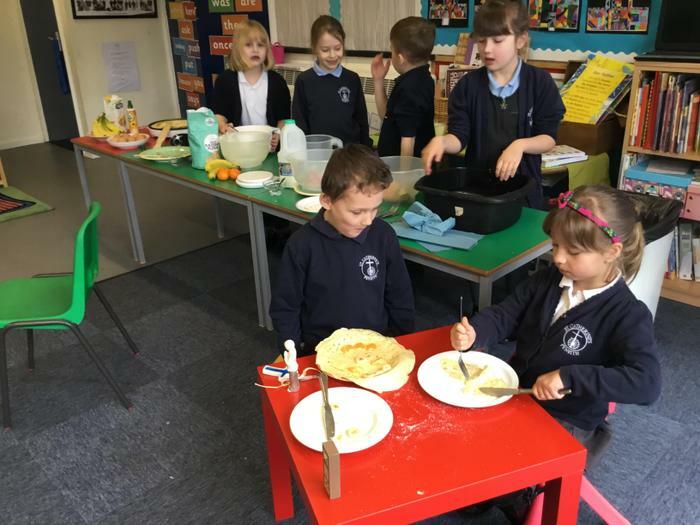 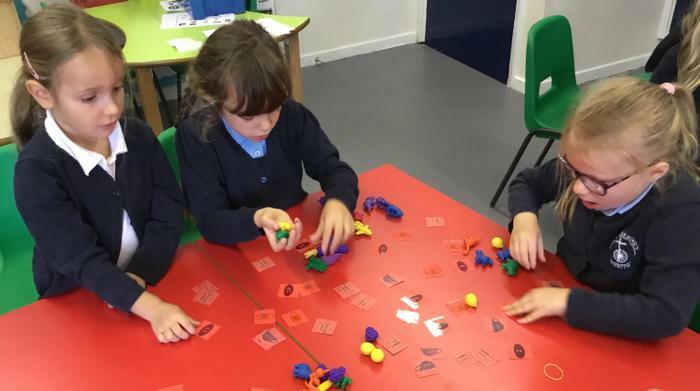 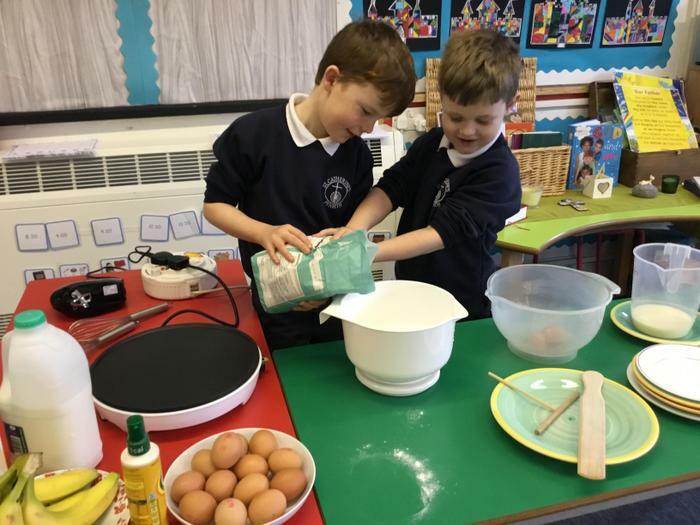 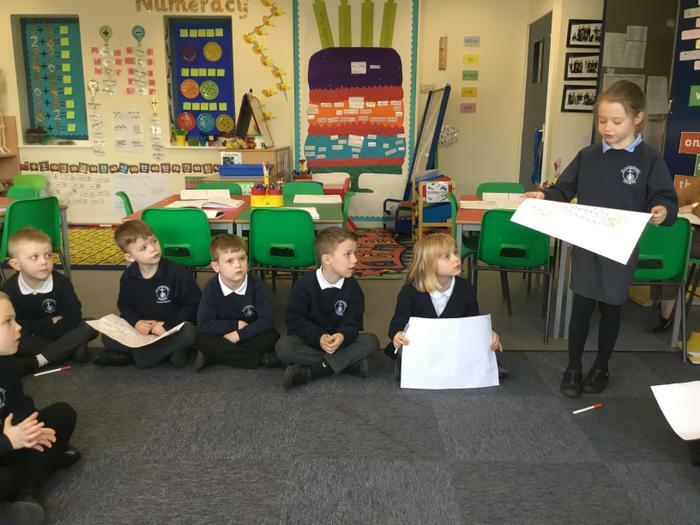 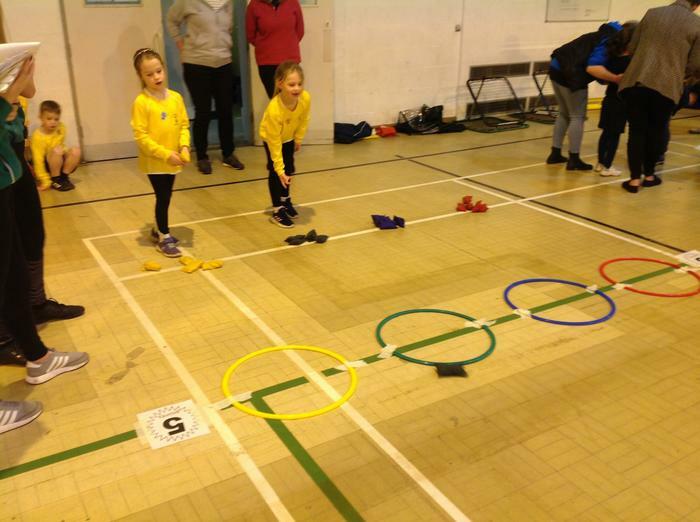 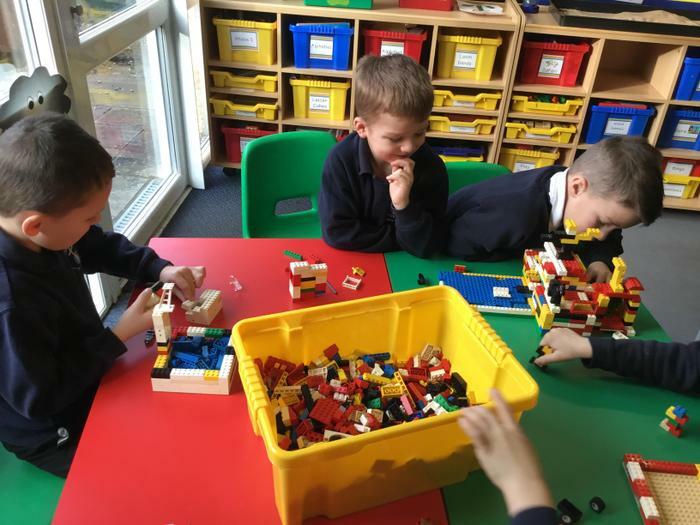 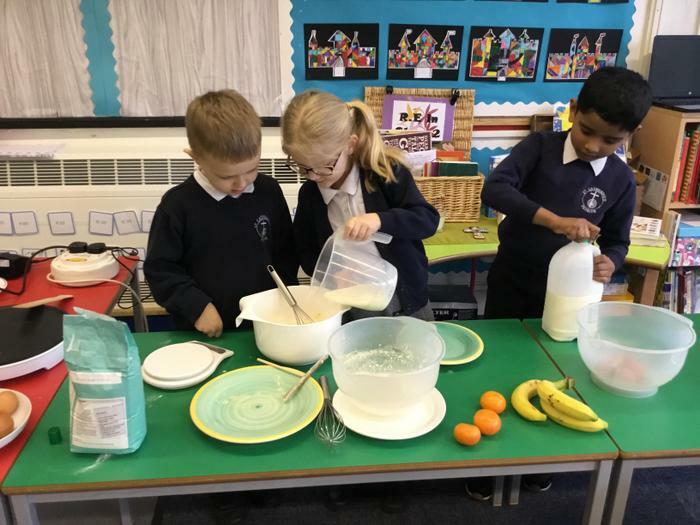 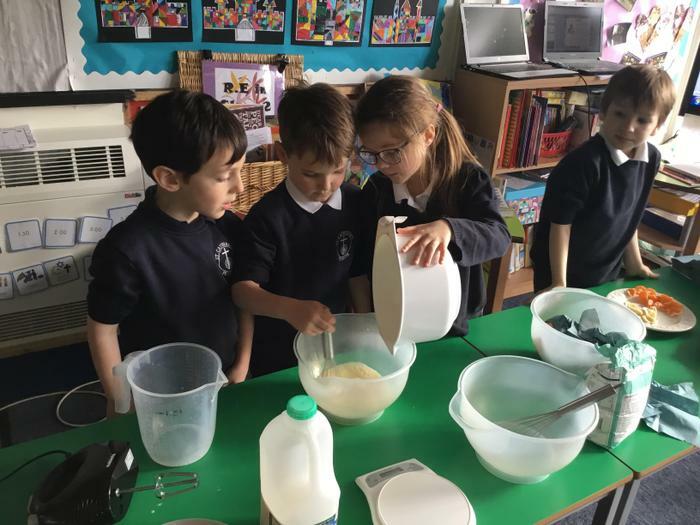 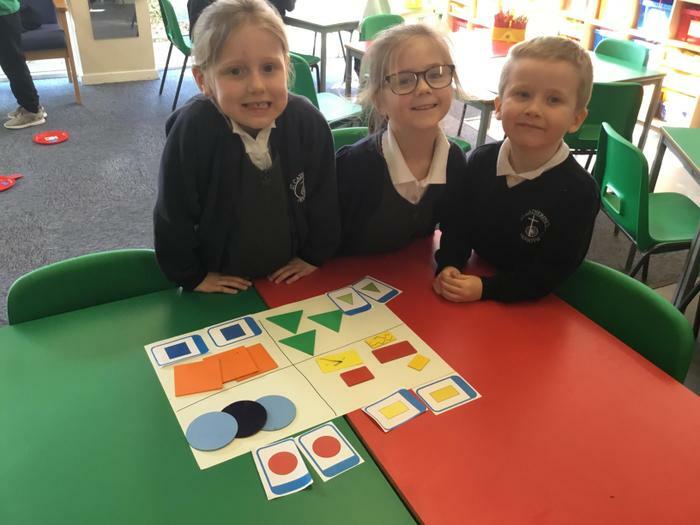 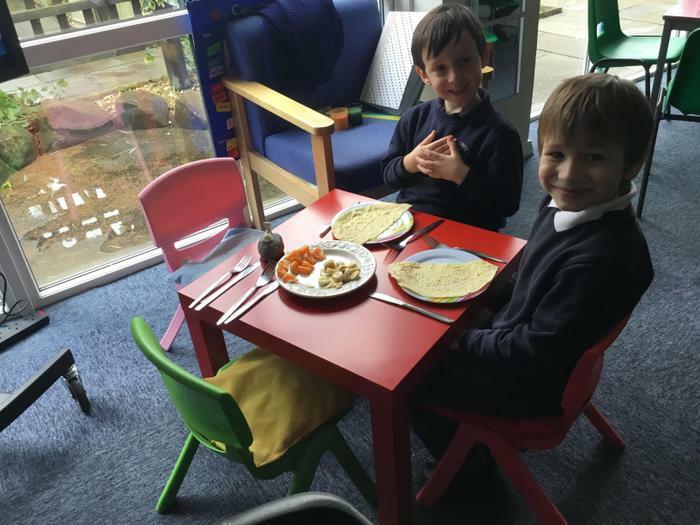 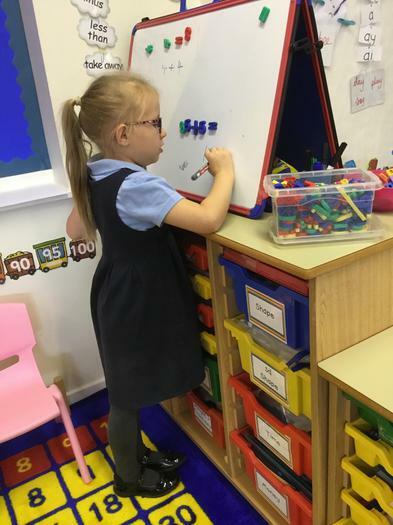 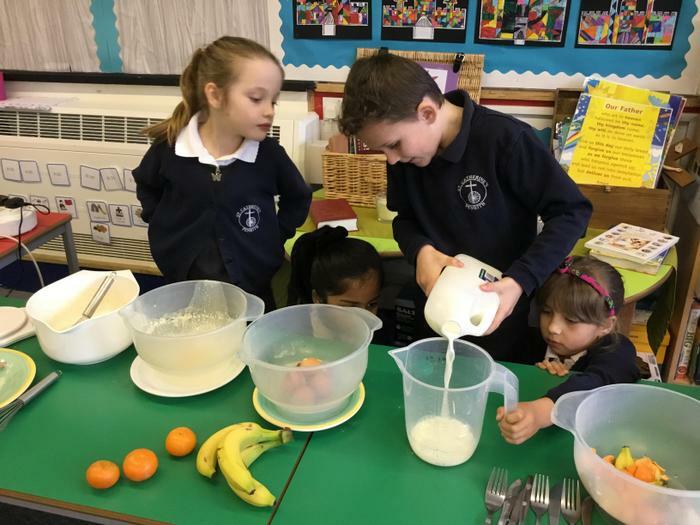 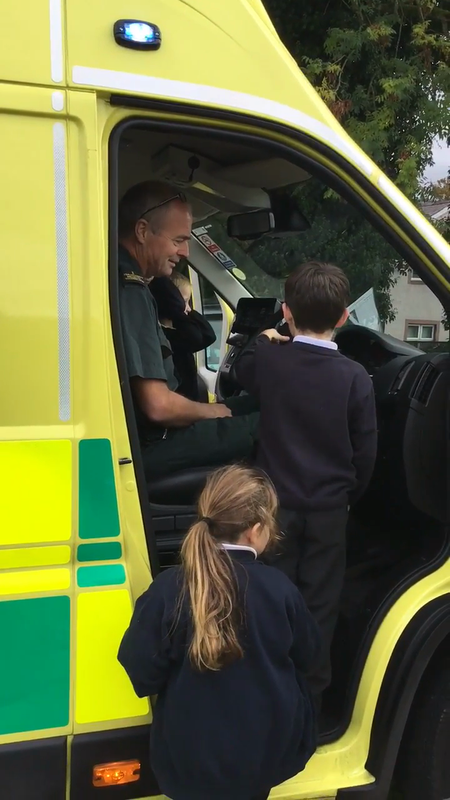 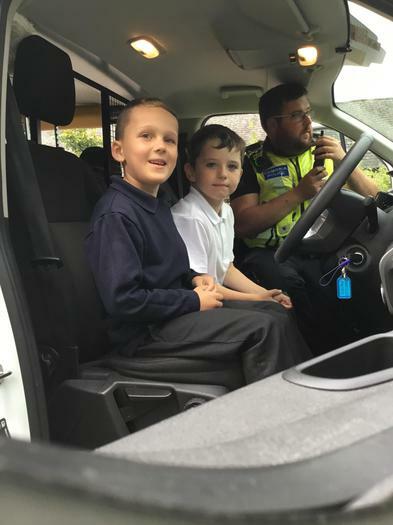 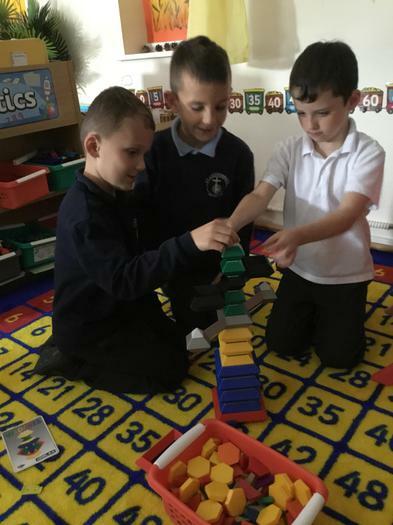 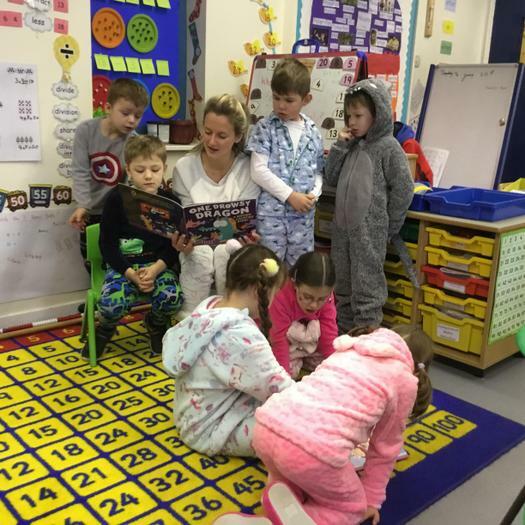 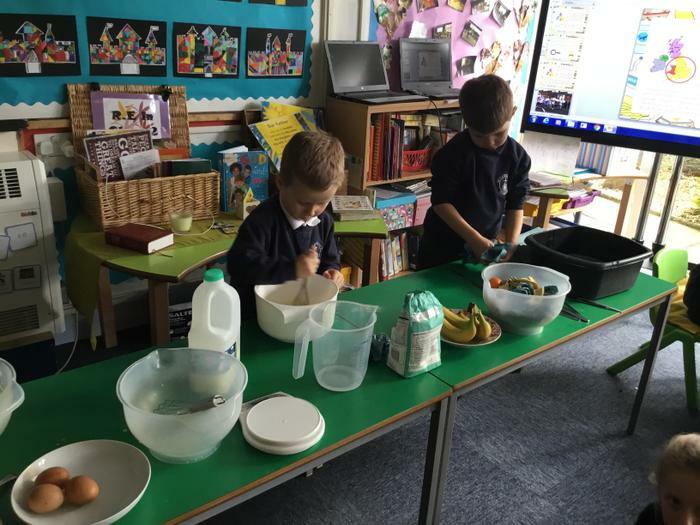 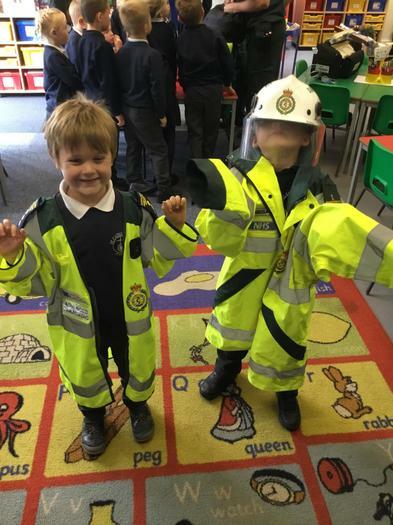 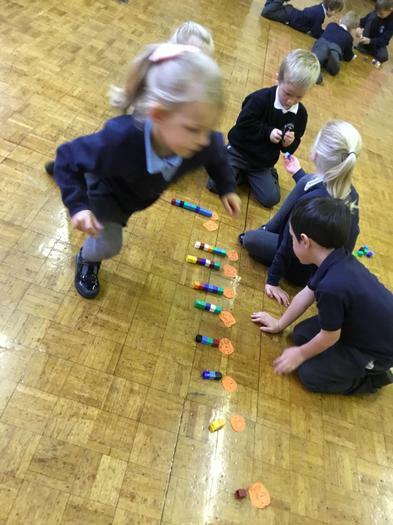 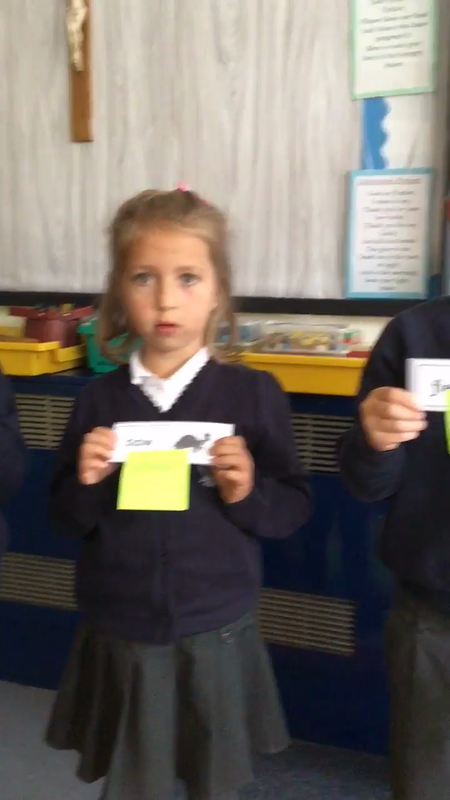 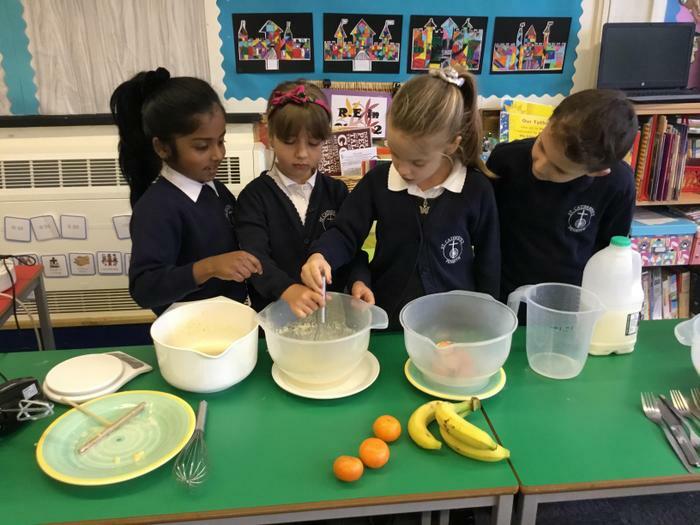 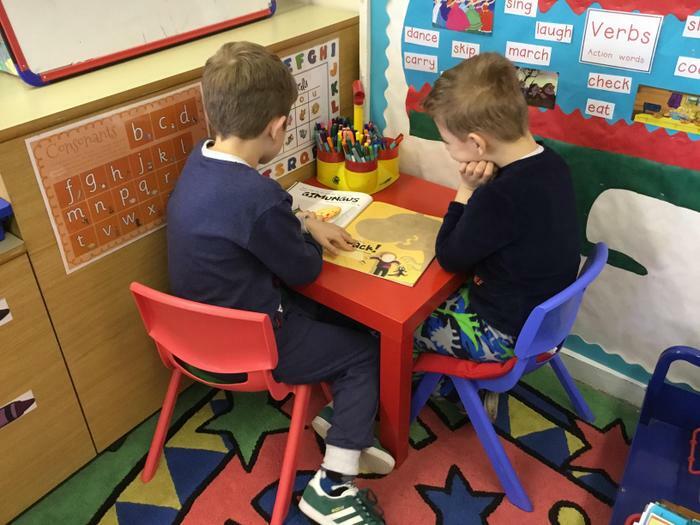 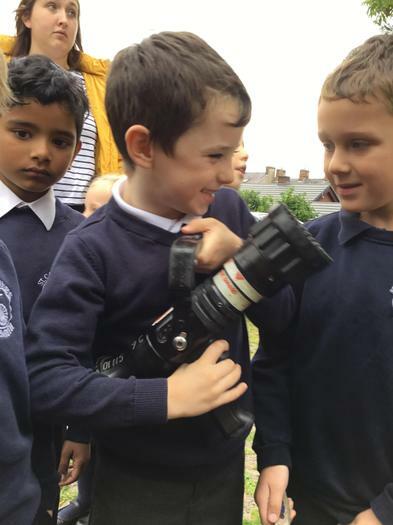 September: Penrith Police visit Class 2! 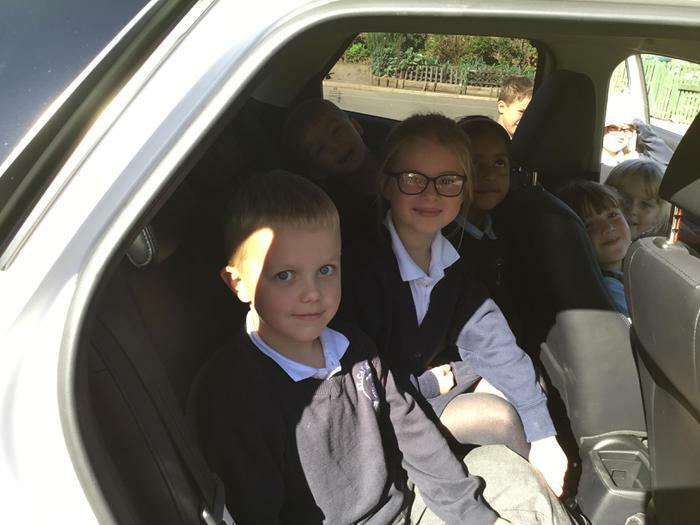 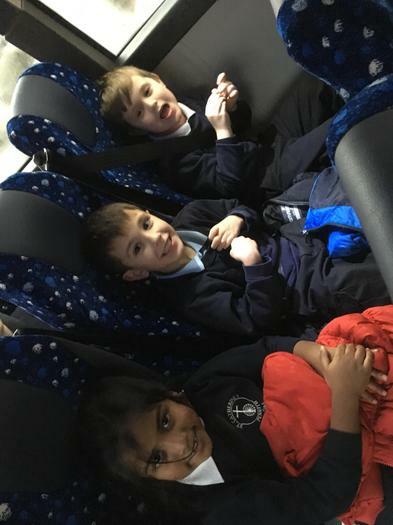 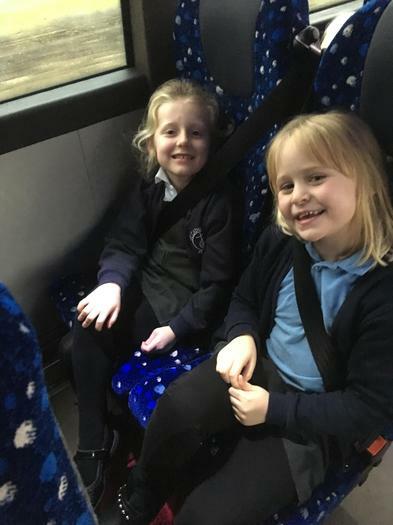 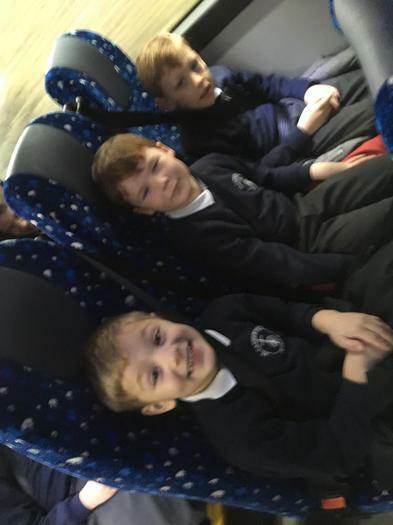 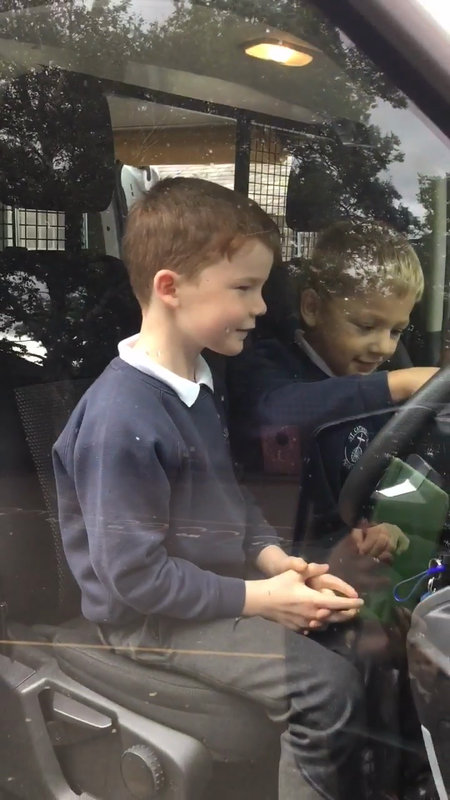 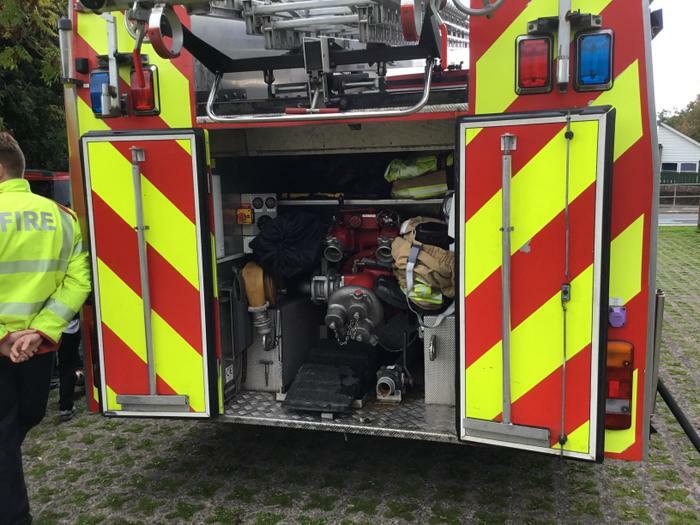 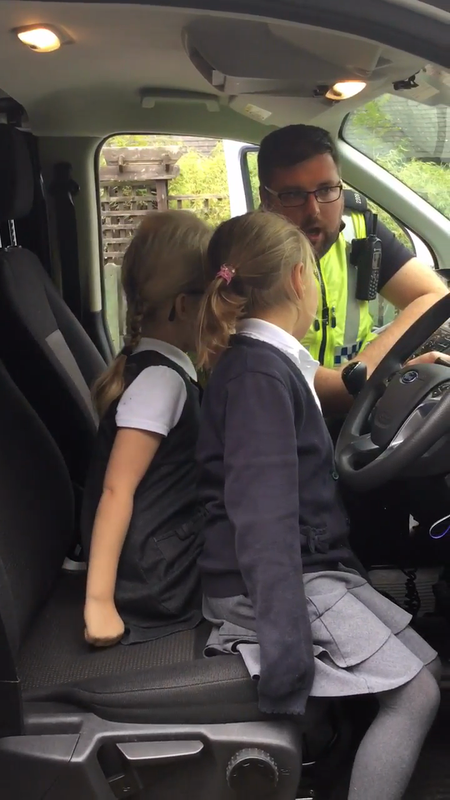 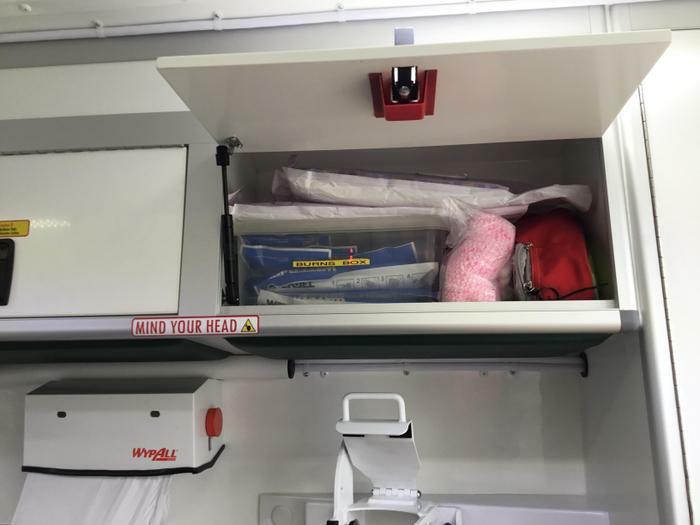 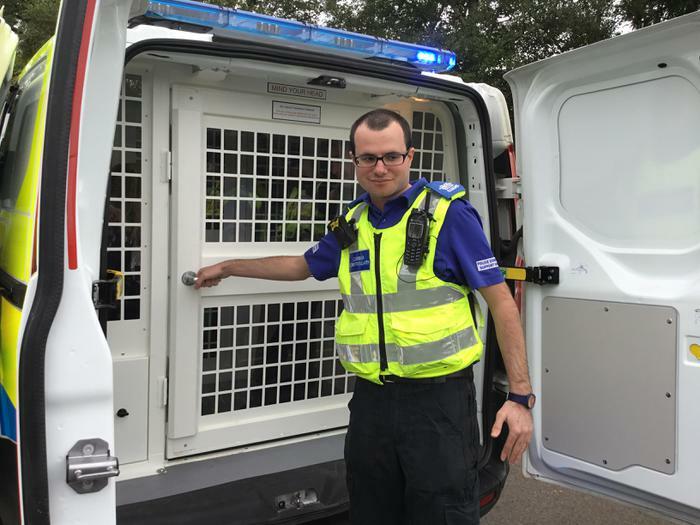 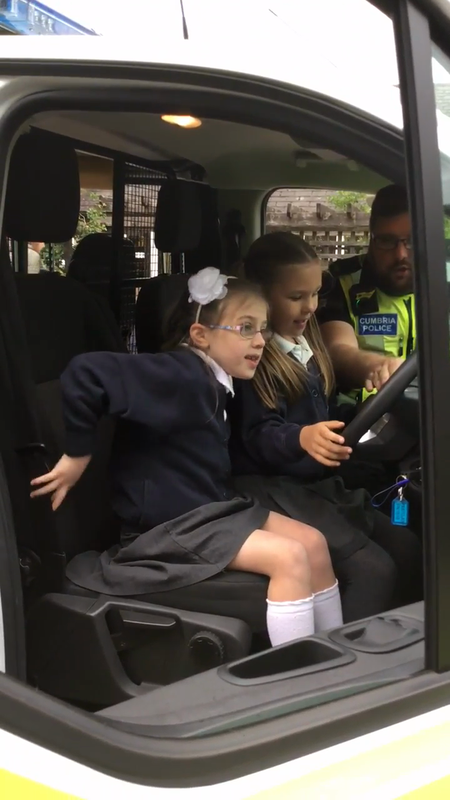 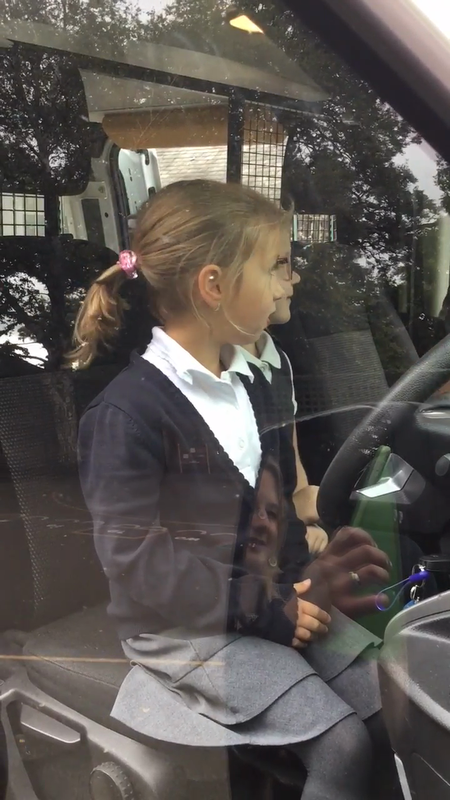 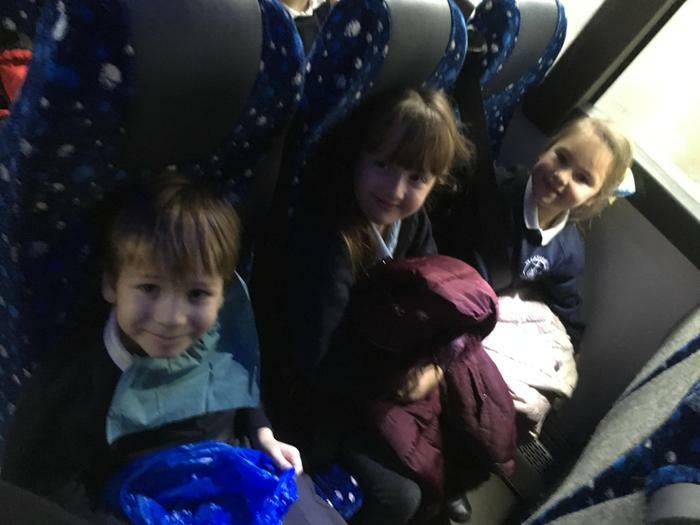 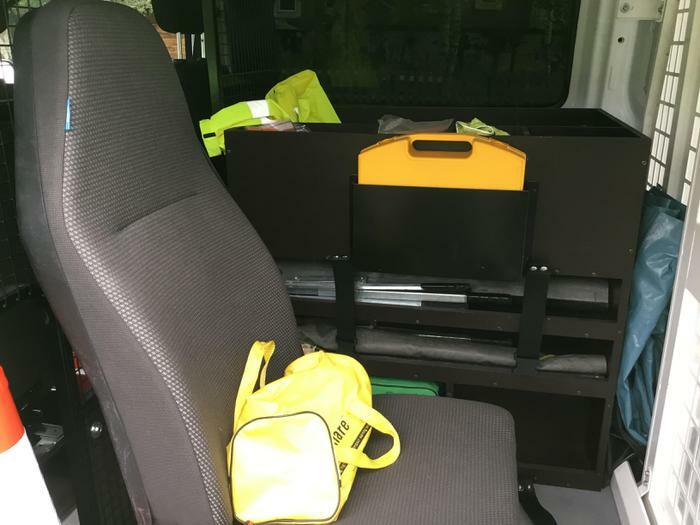 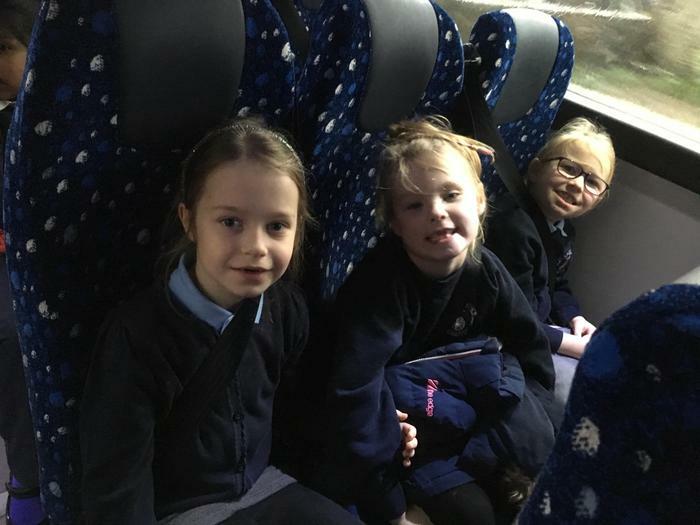 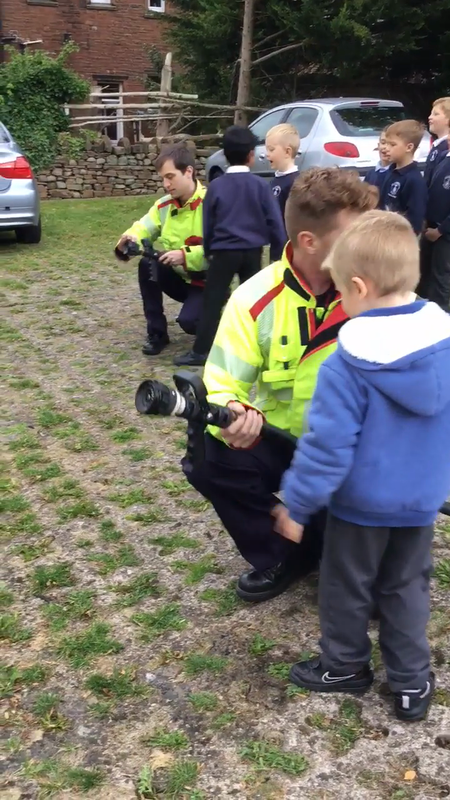 We got even the chance to sit in the police van... and test the sirens and horn! 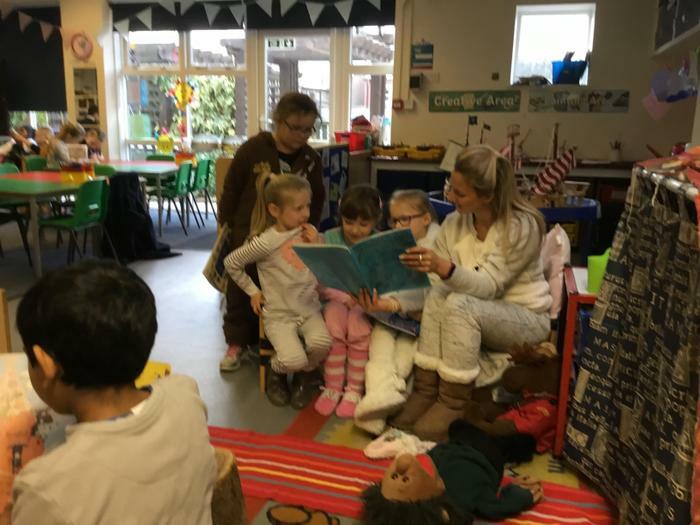 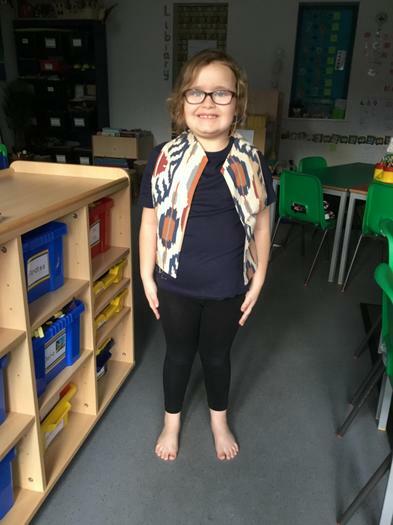 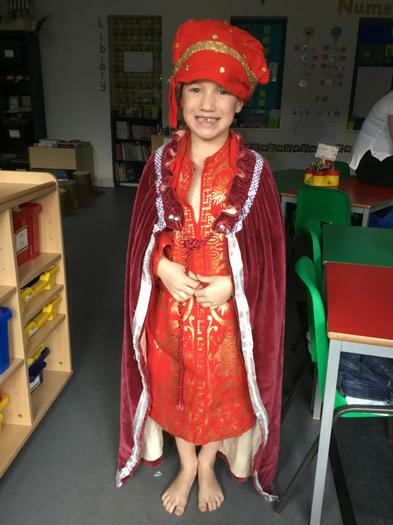 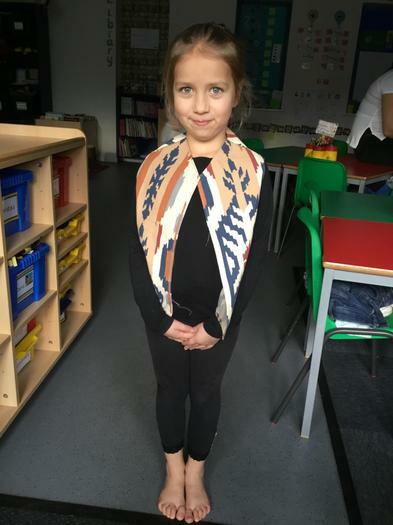 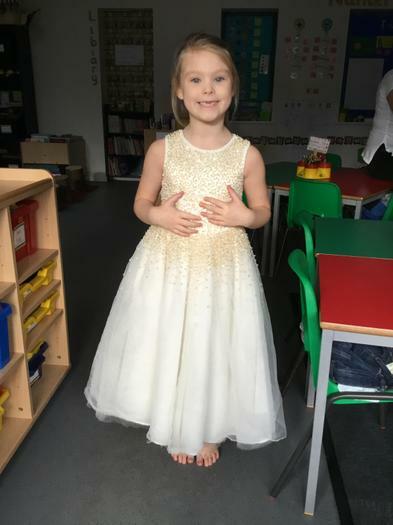 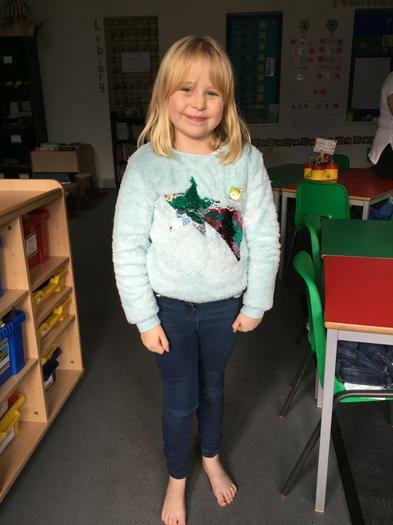 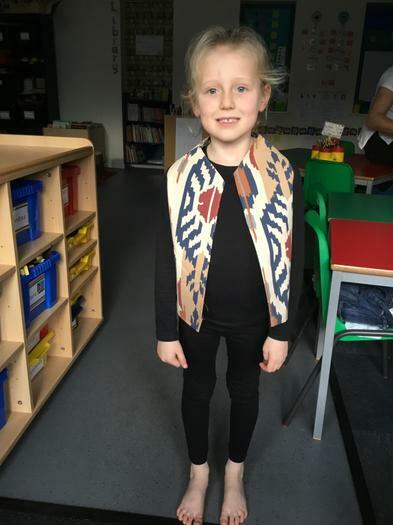 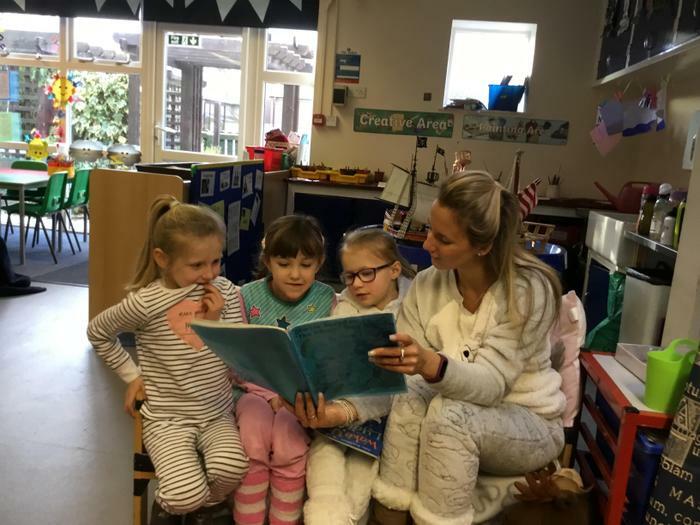 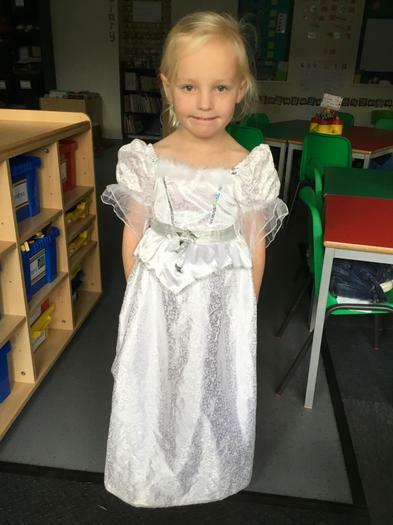 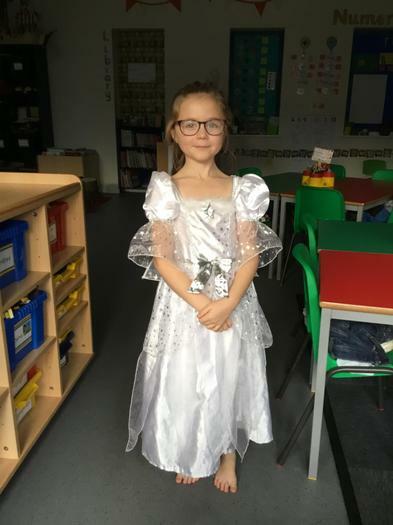 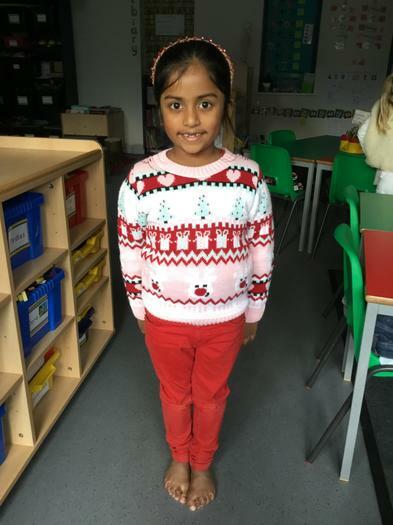 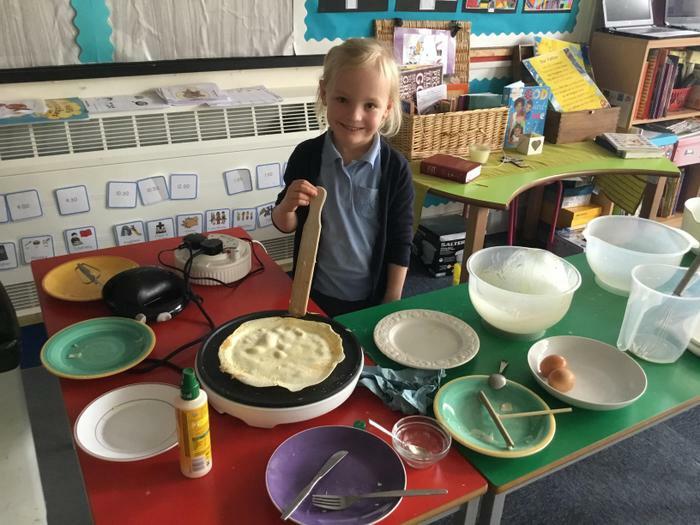 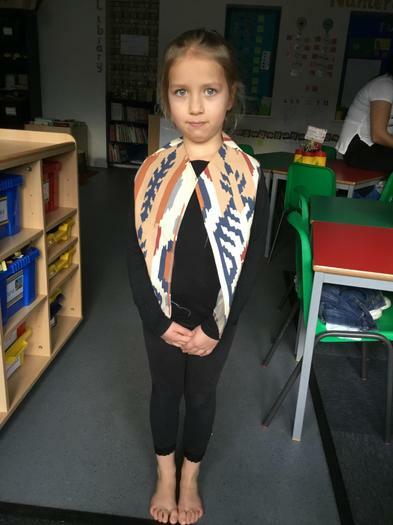 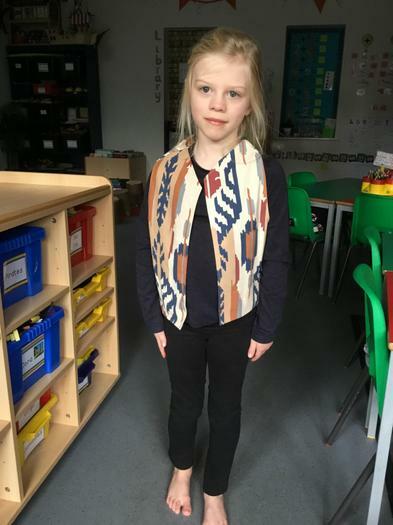 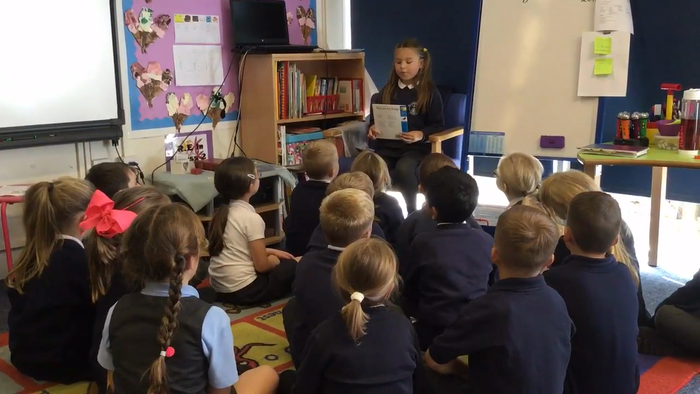 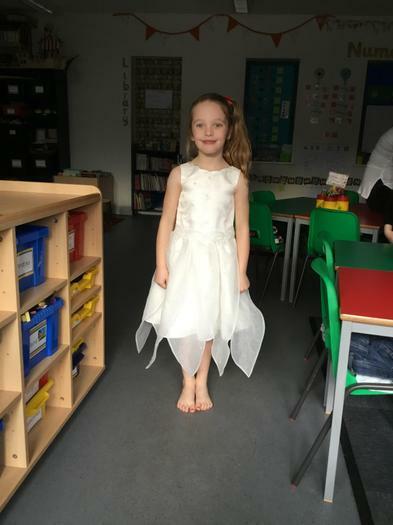 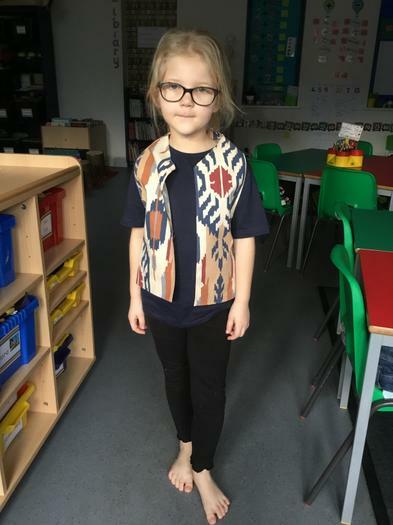 September: Class 2 had a lovely treat listening to Paige share her story. 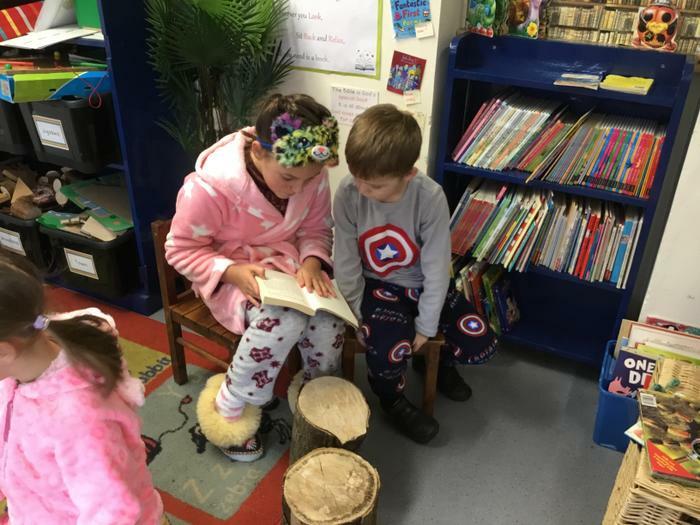 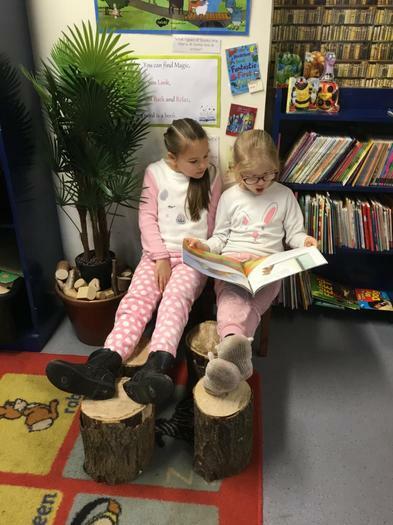 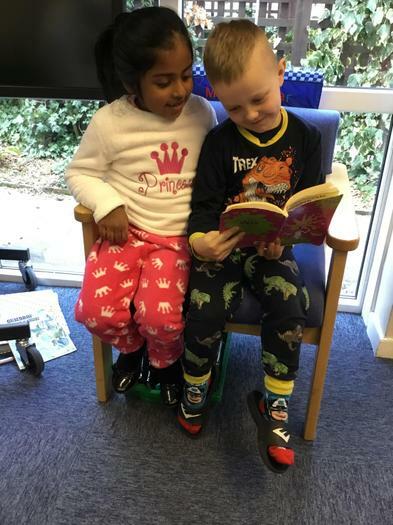 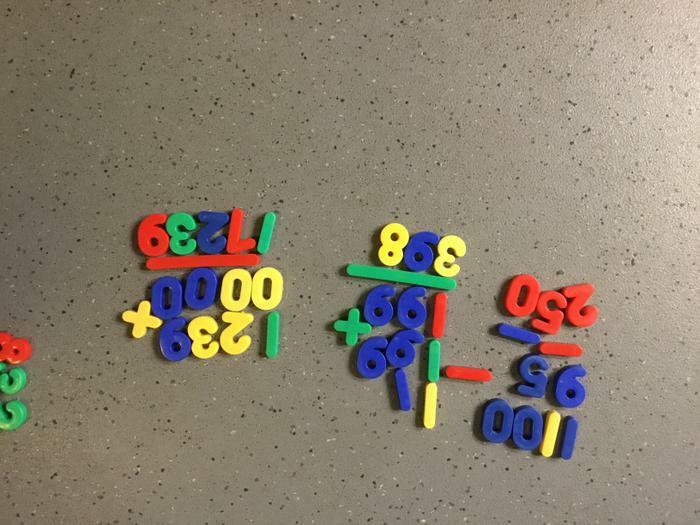 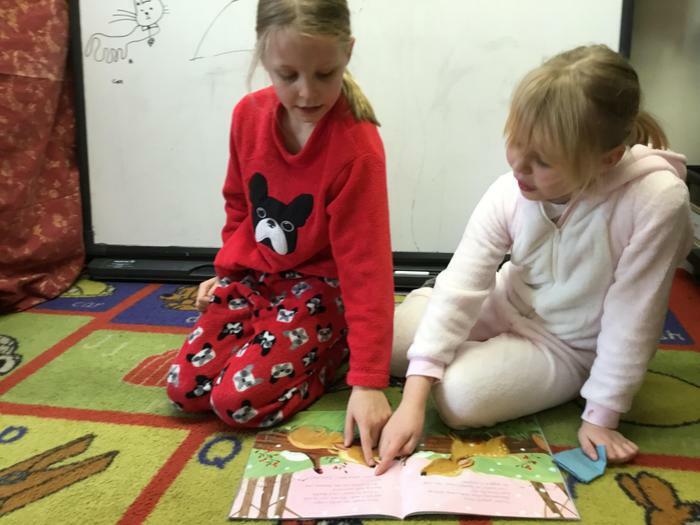 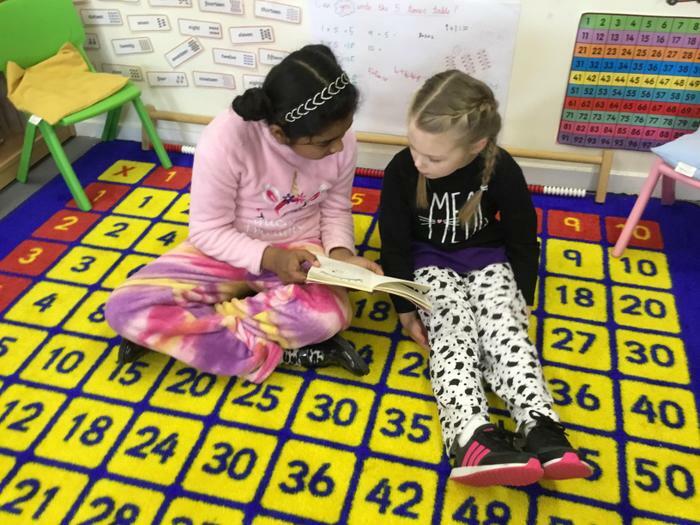 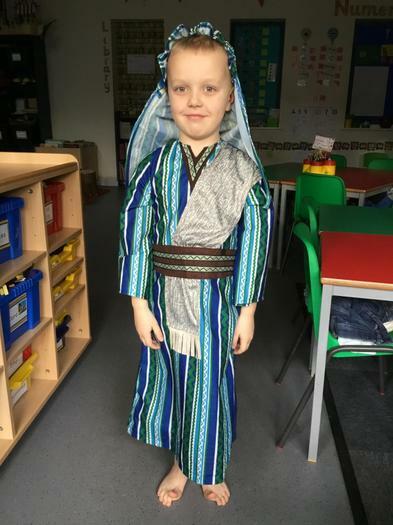 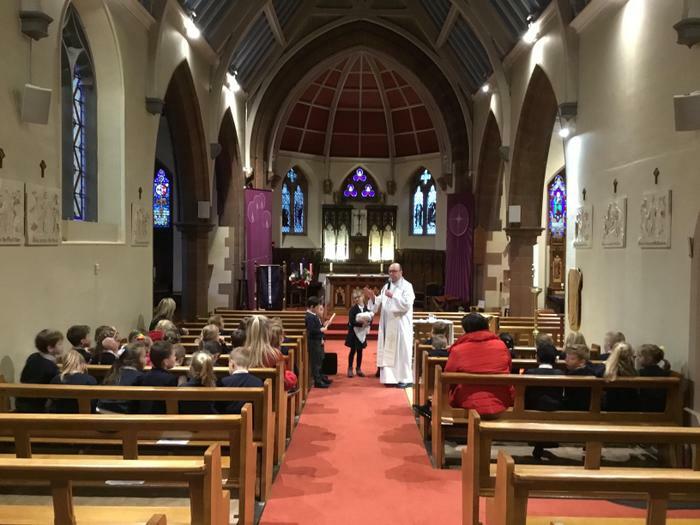 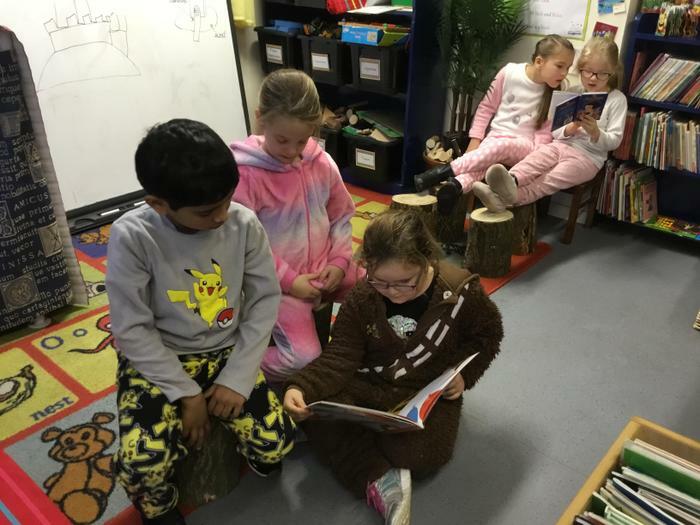 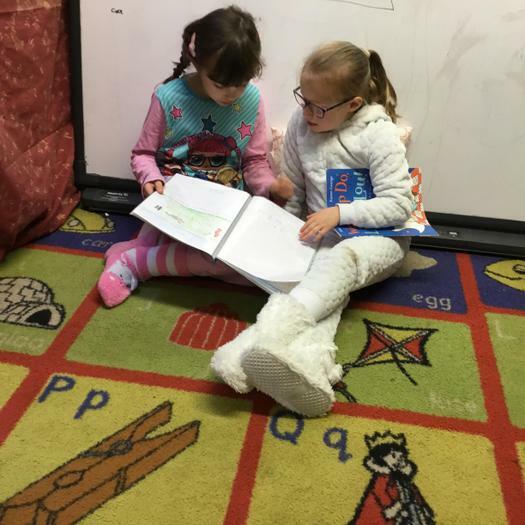 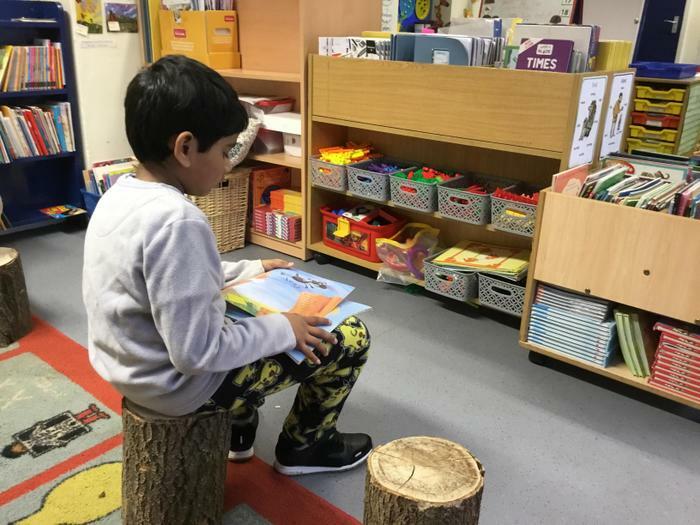 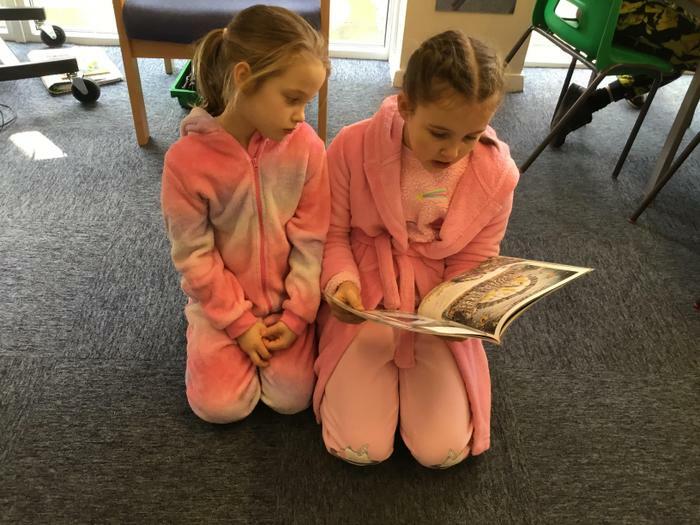 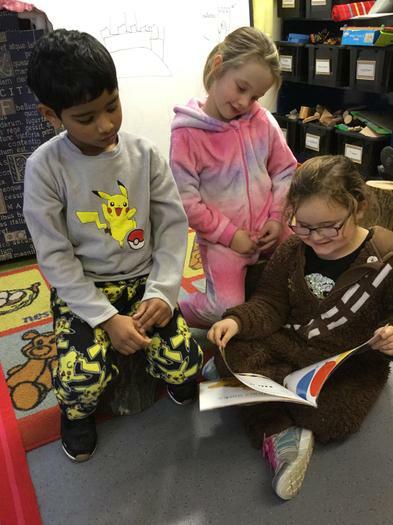 What beautiful reading! 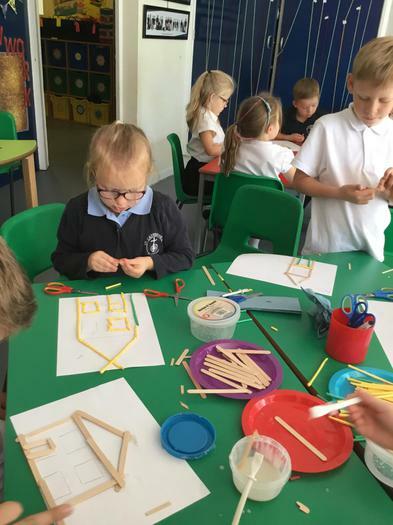 September - Building the foreground of the display: House construction! 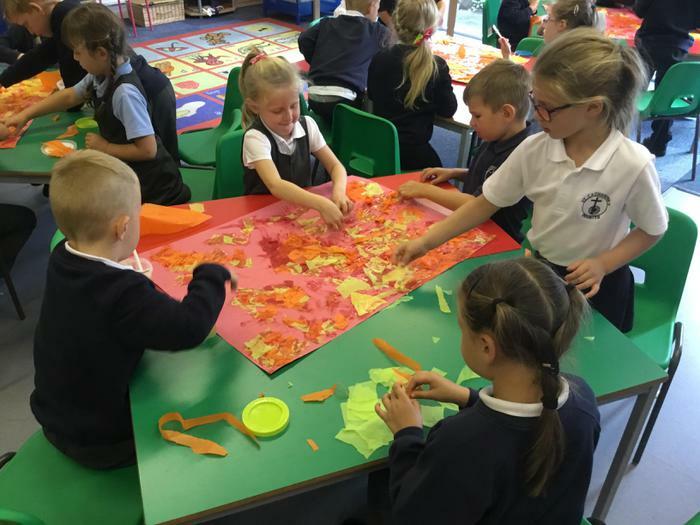 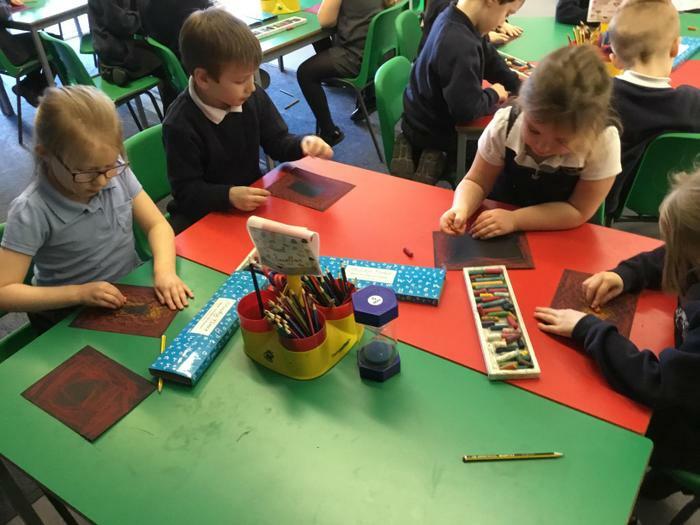 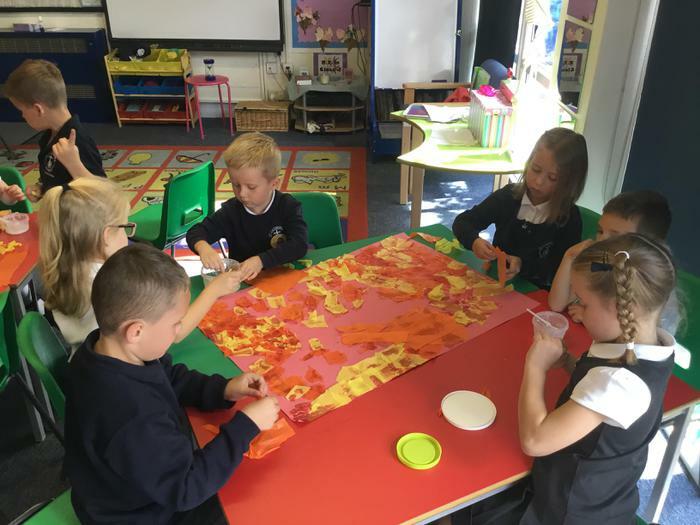 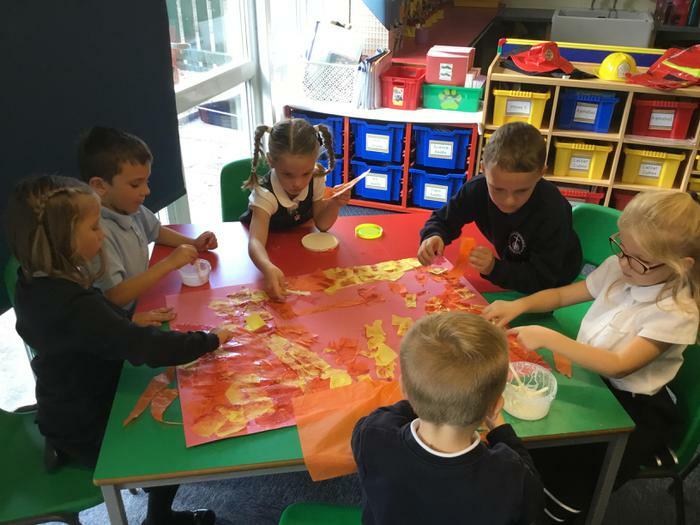 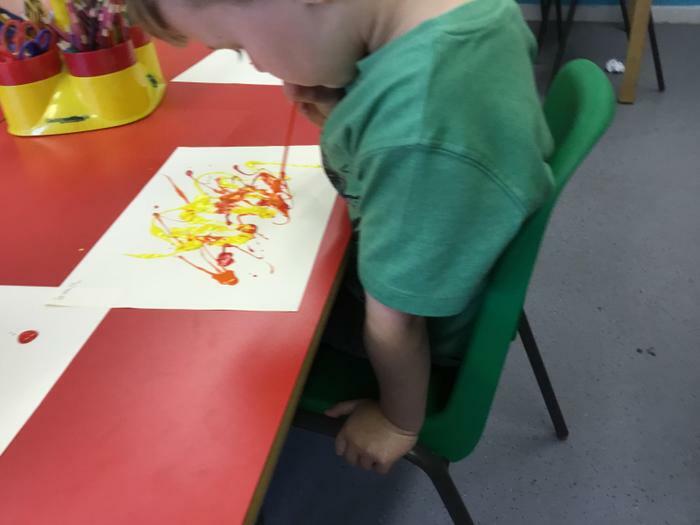 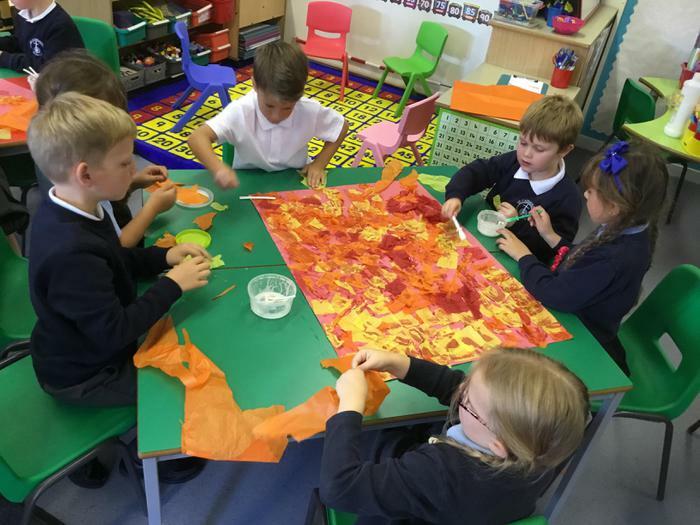 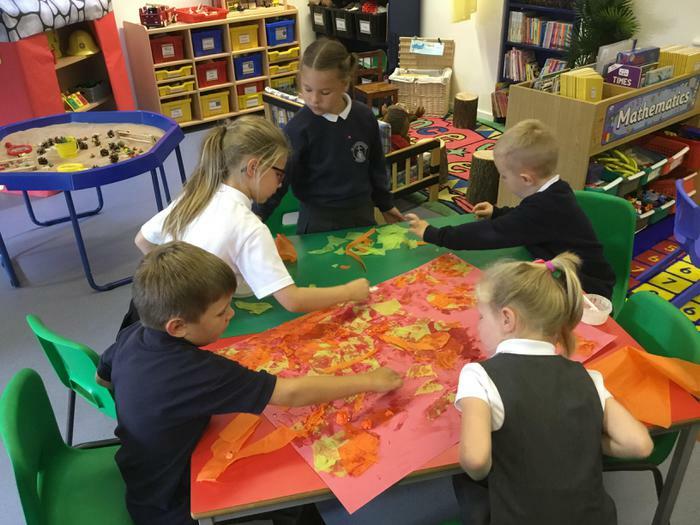 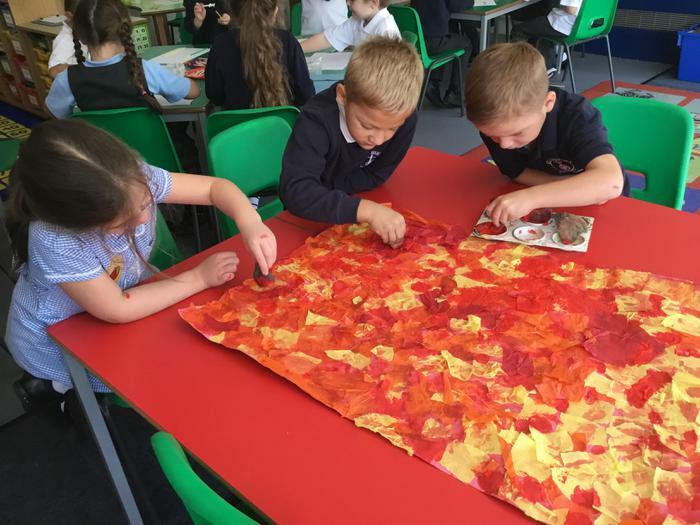 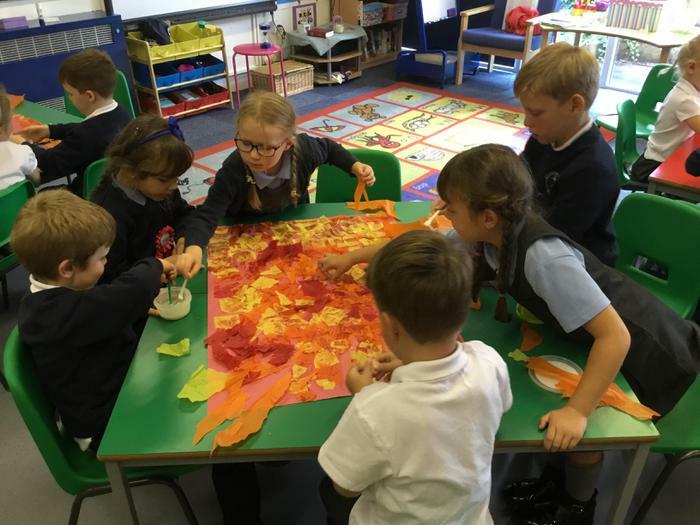 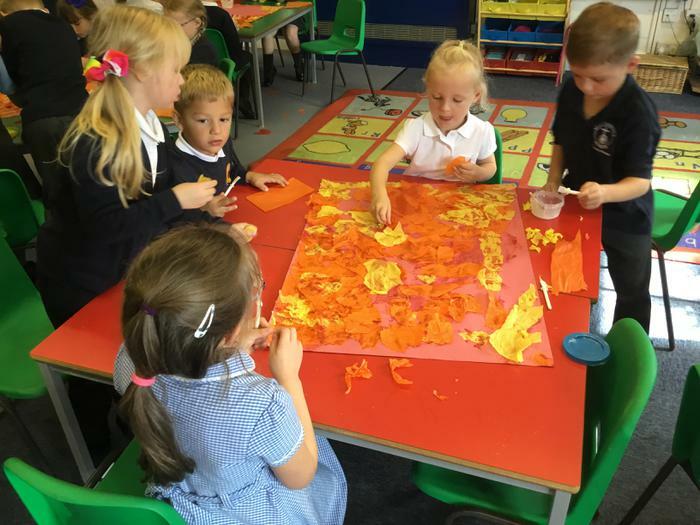 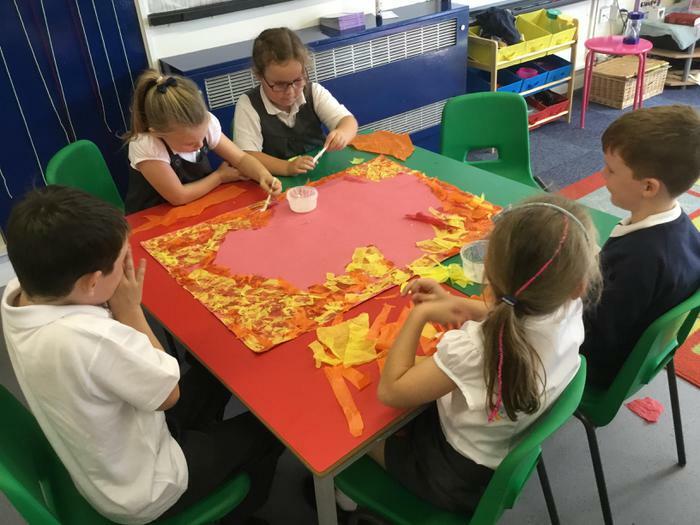 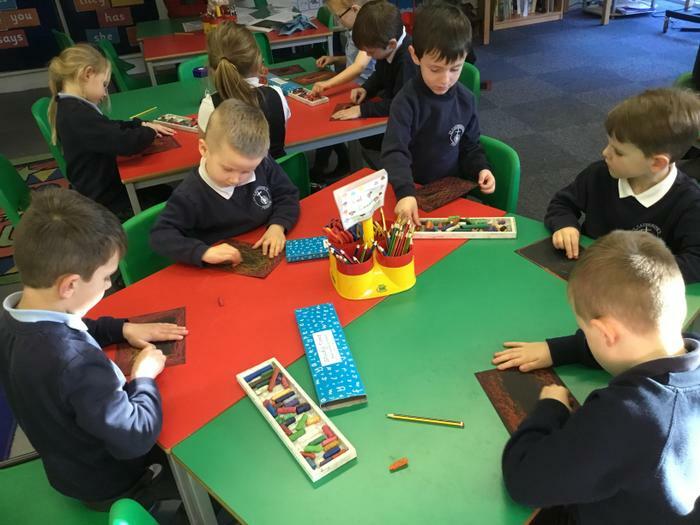 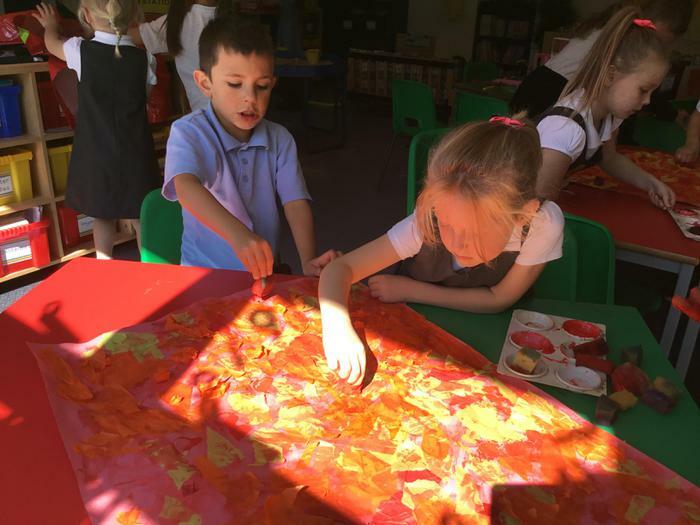 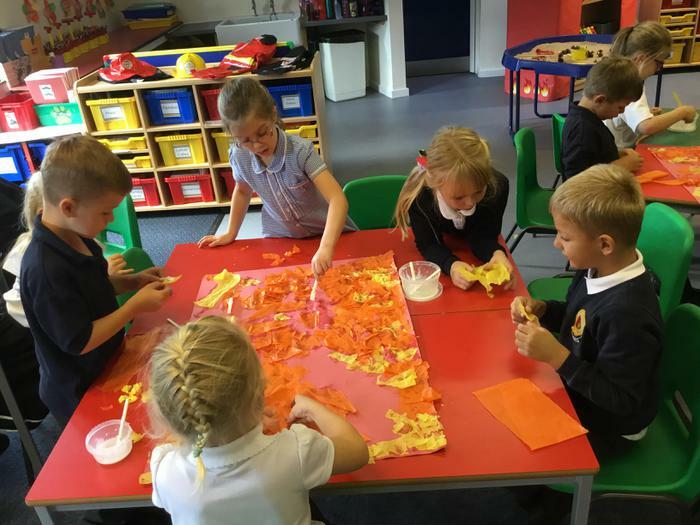 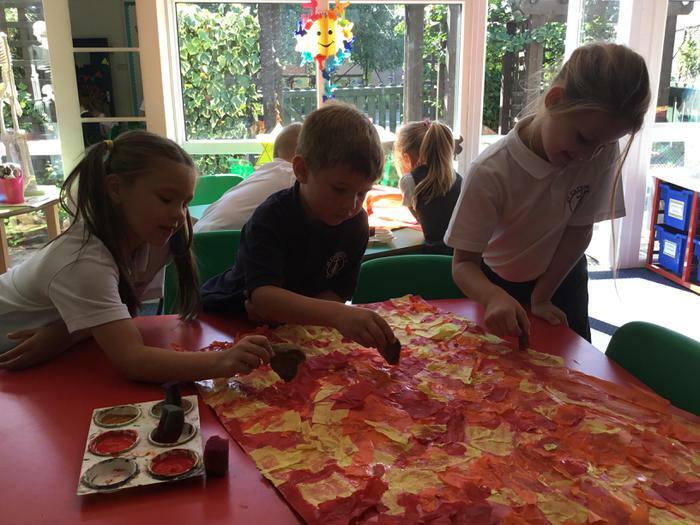 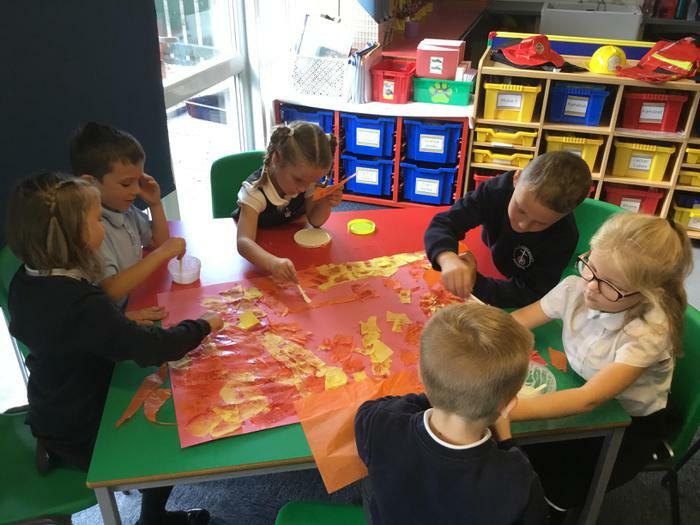 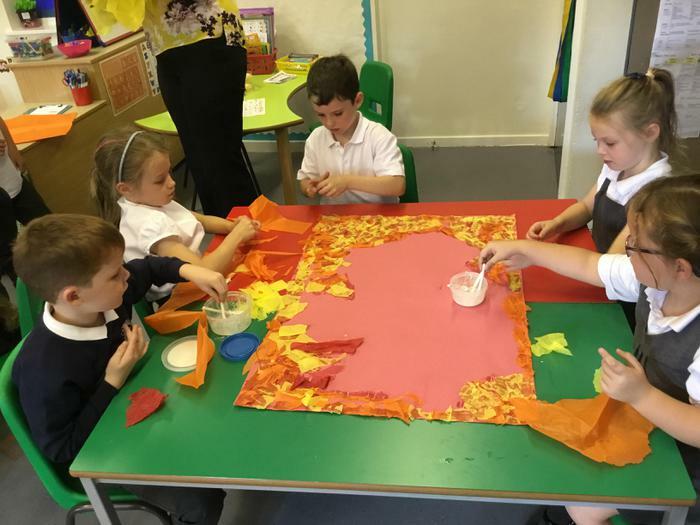 September 2018 - Collaging to create our new display background..... watch this space!